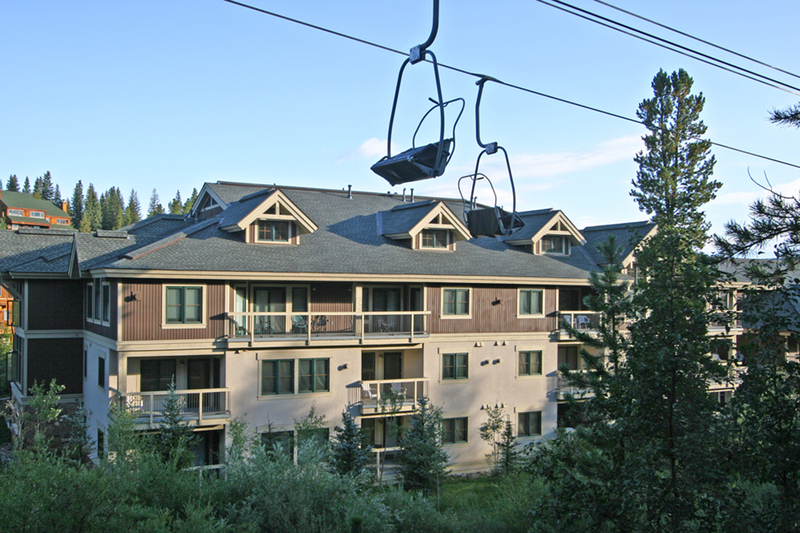 Stand on your balcony and wave to skiers as they pass by riding the Snowflake chairlift! 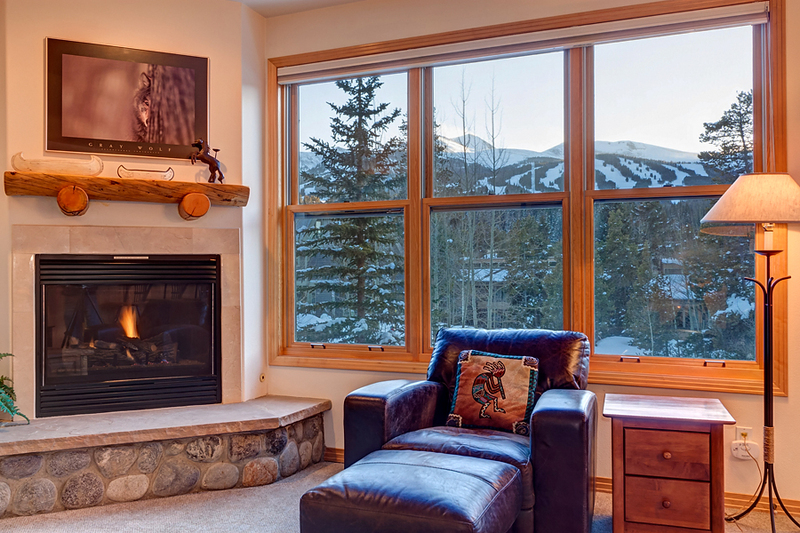 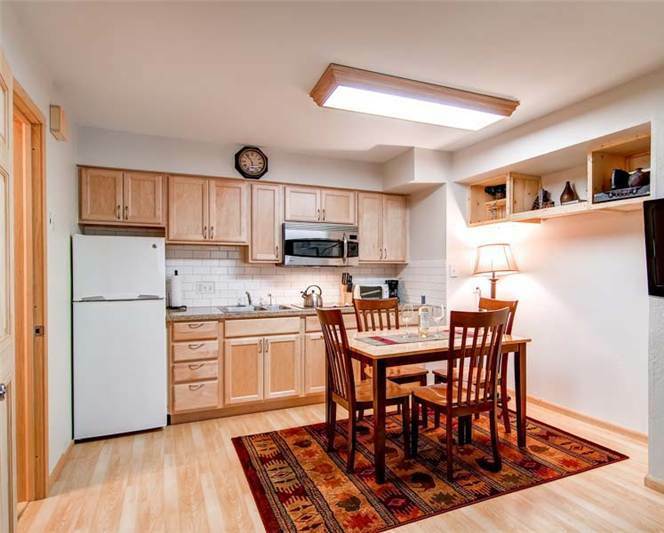 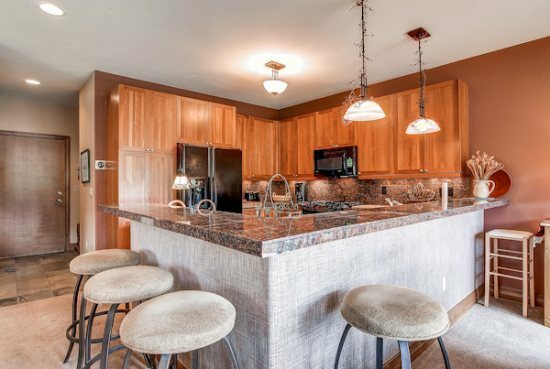 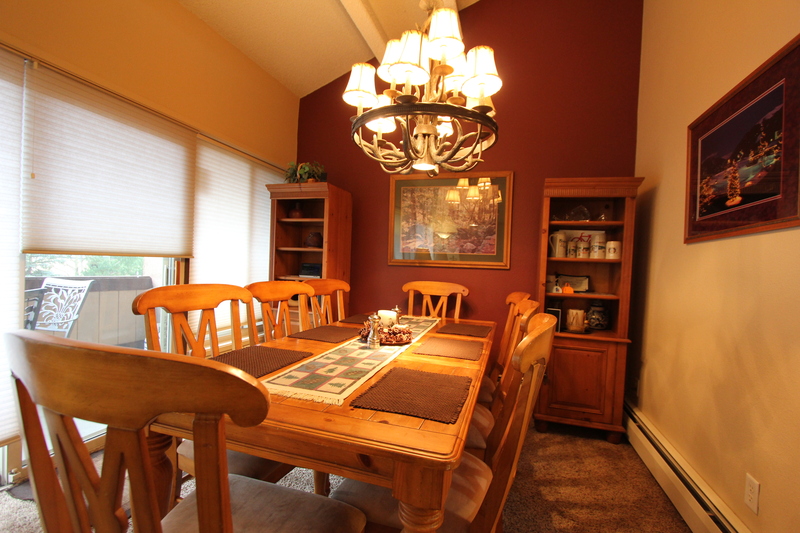 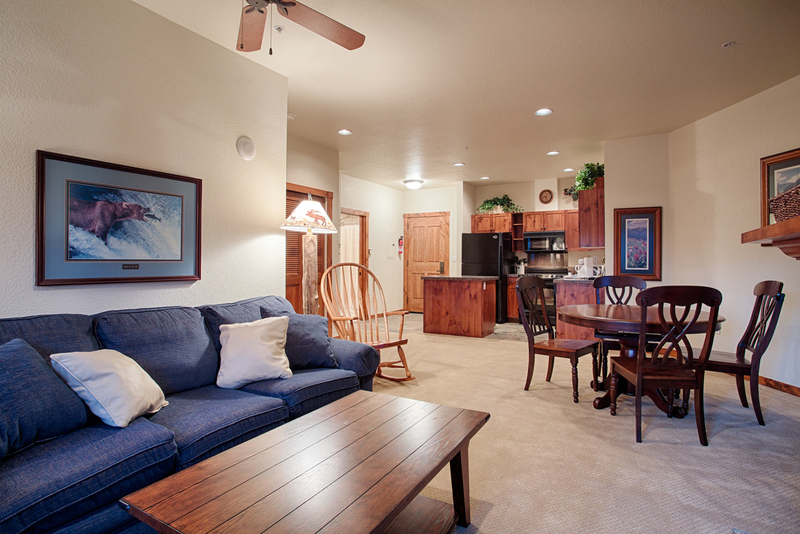 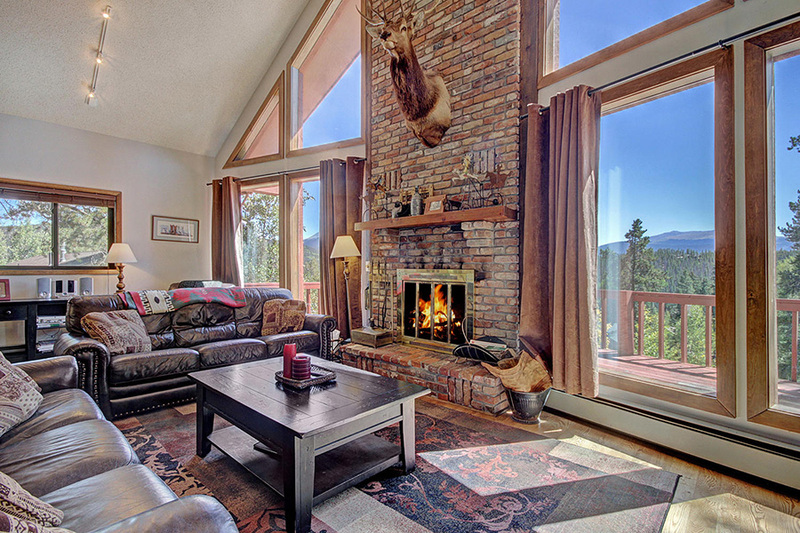 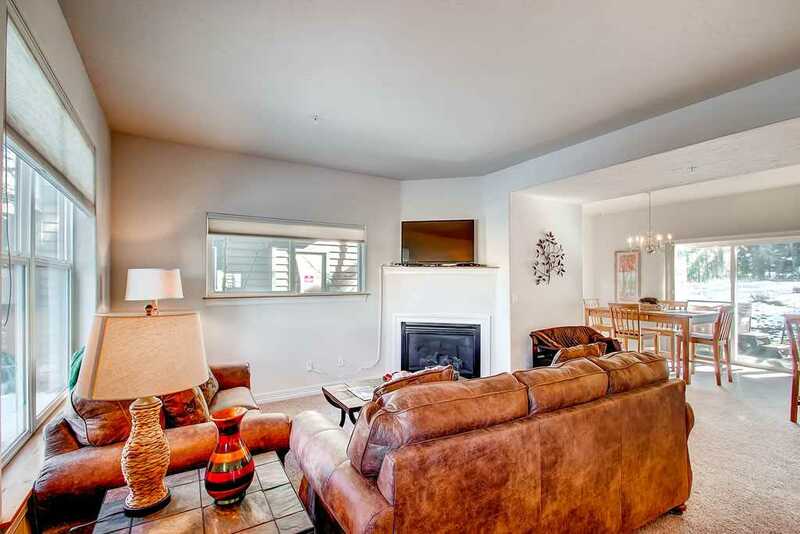 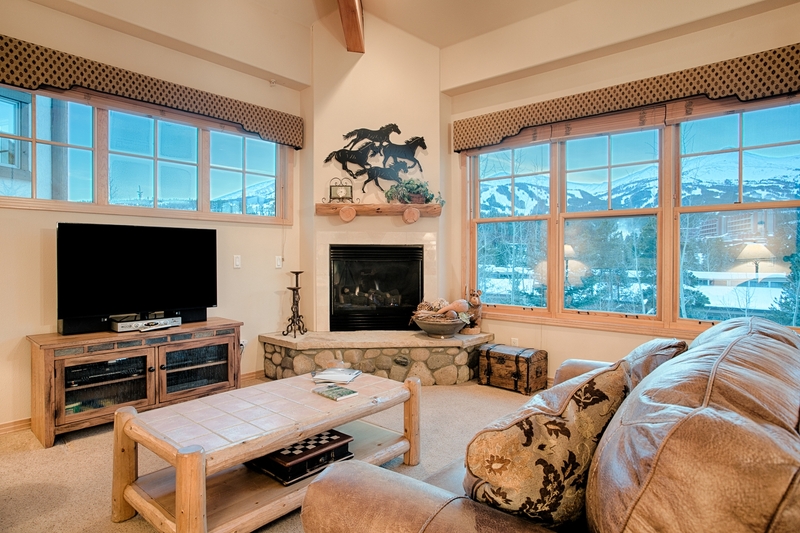 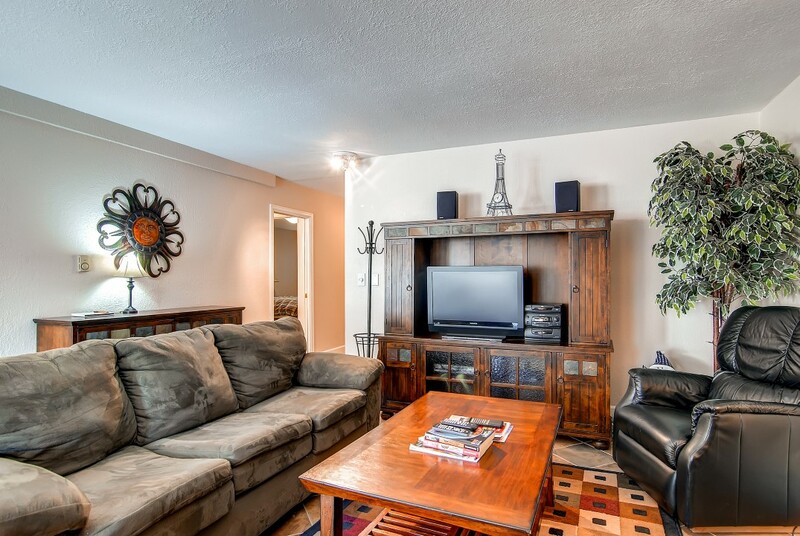 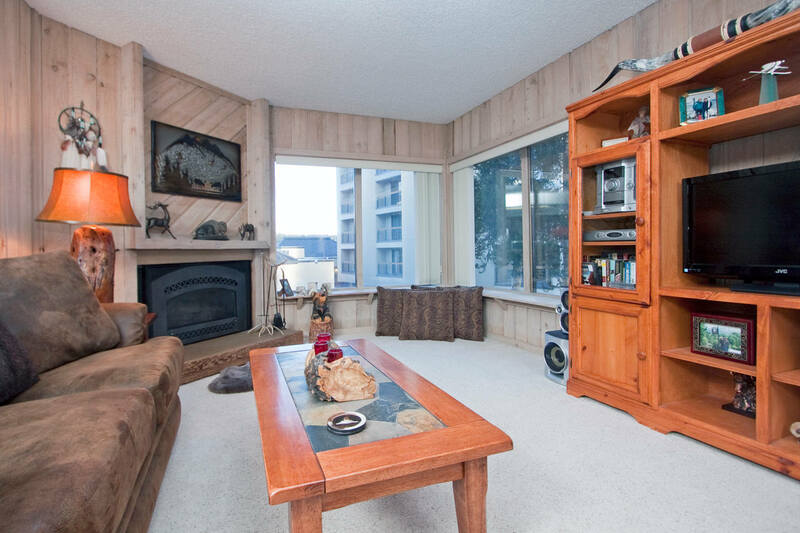 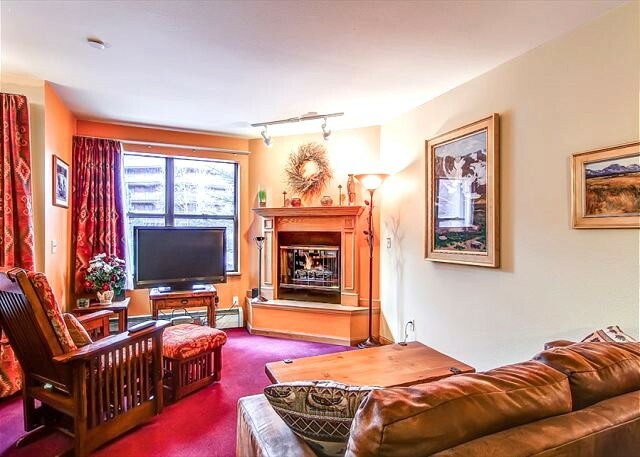 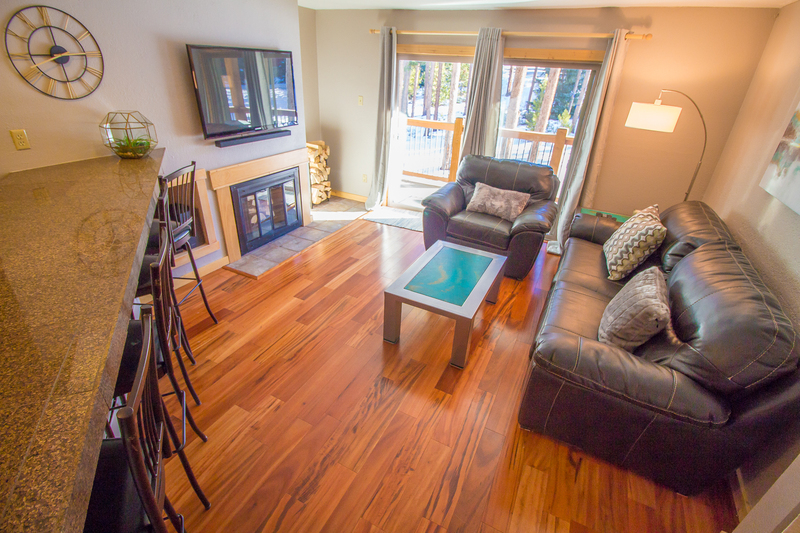 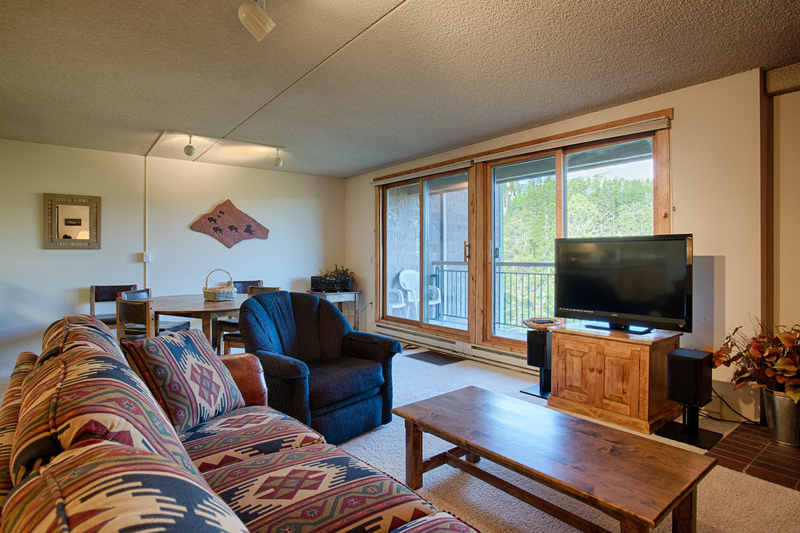 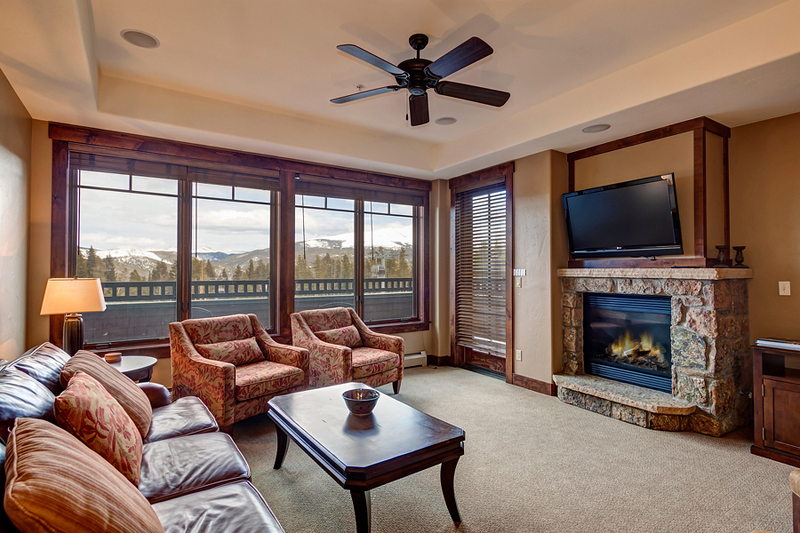 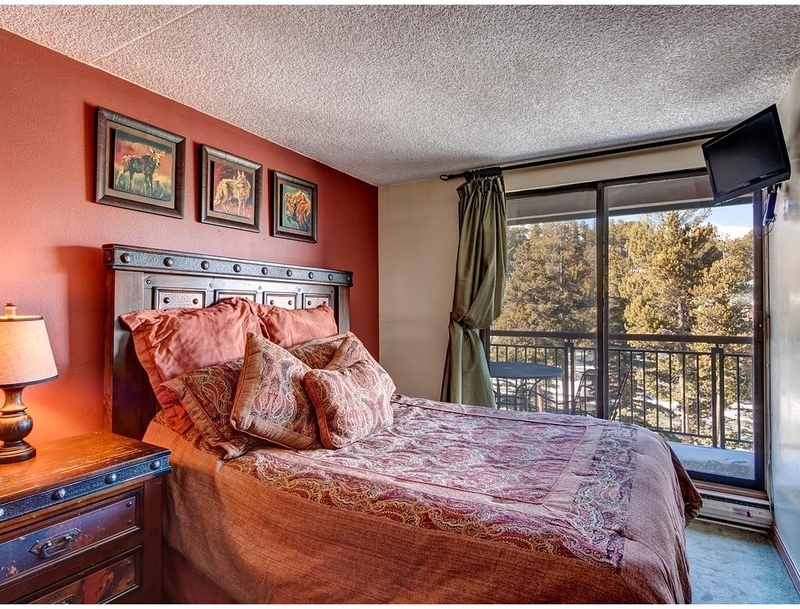 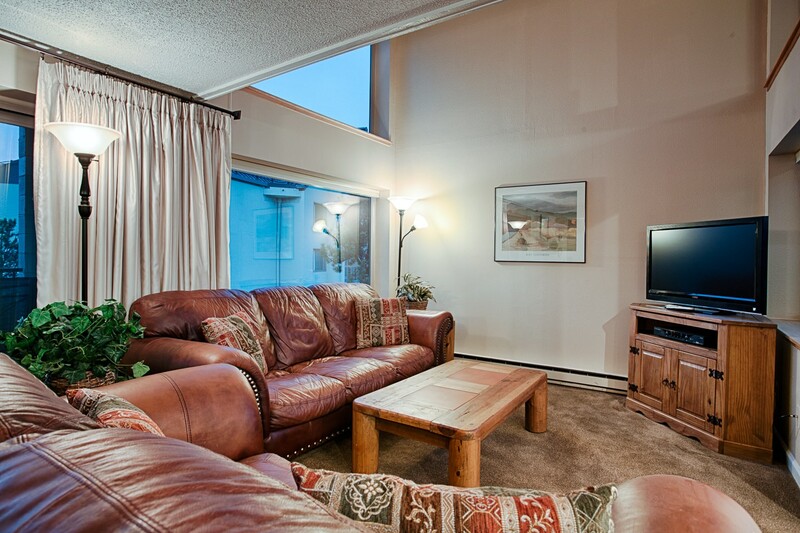 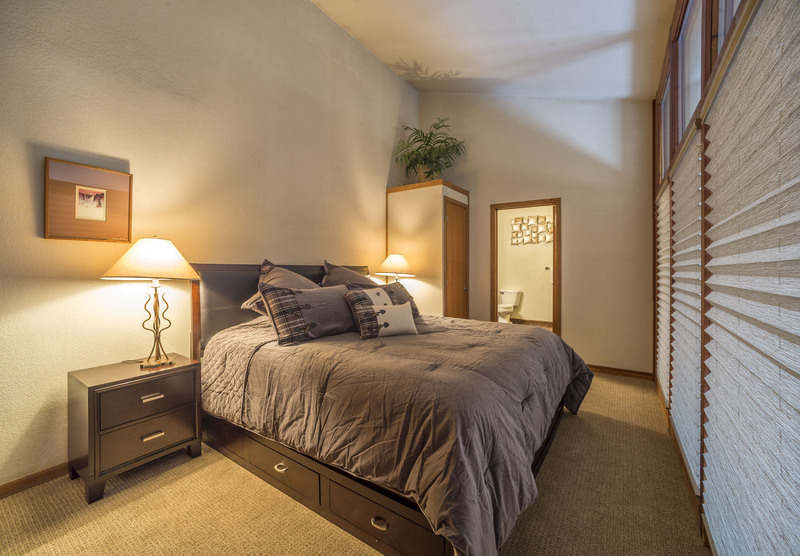 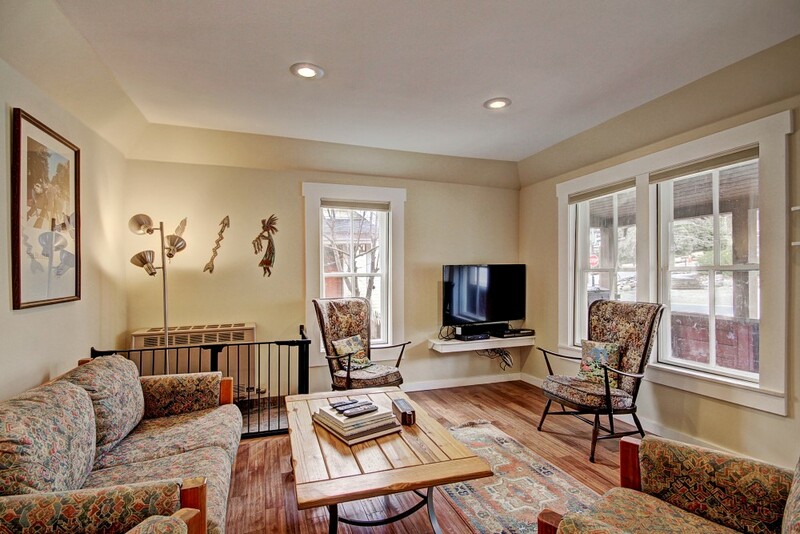 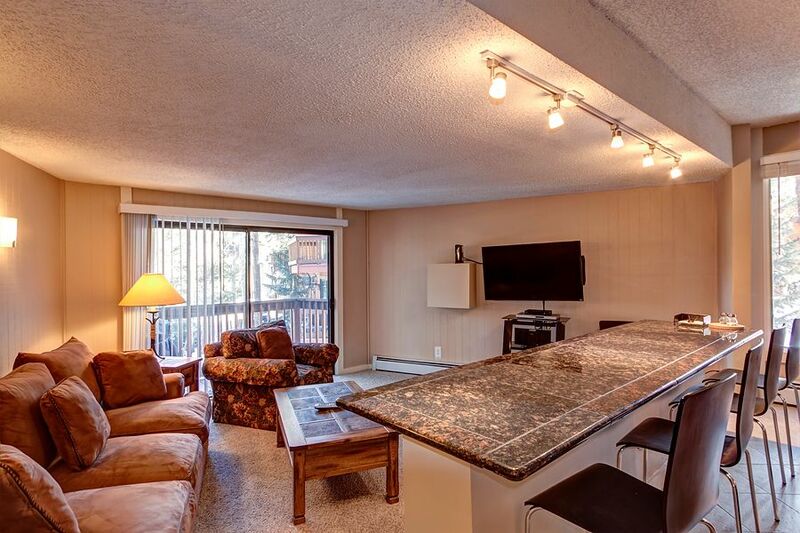 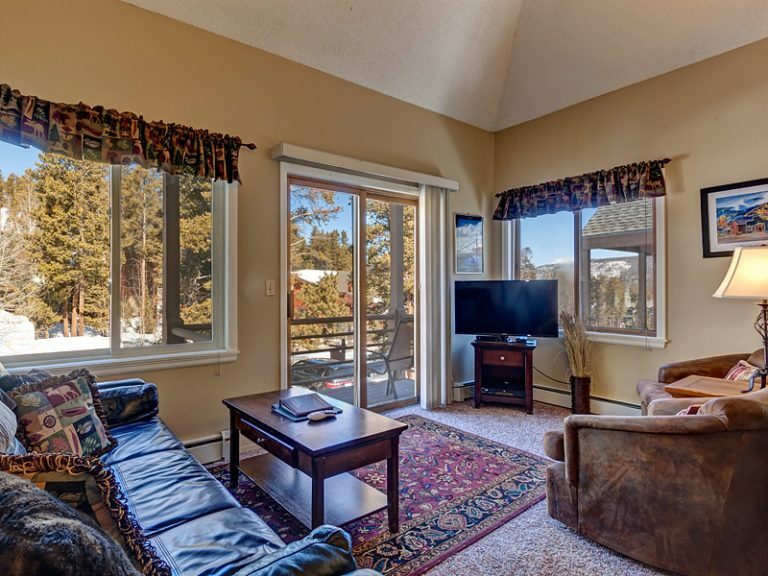 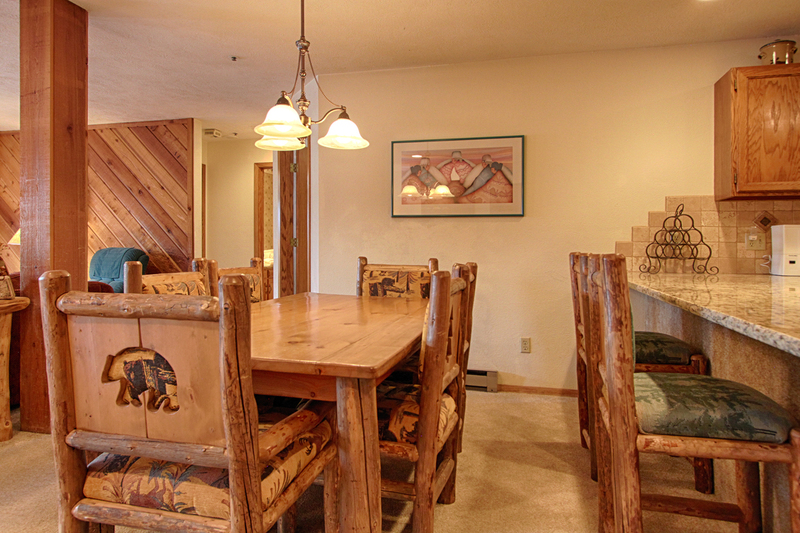 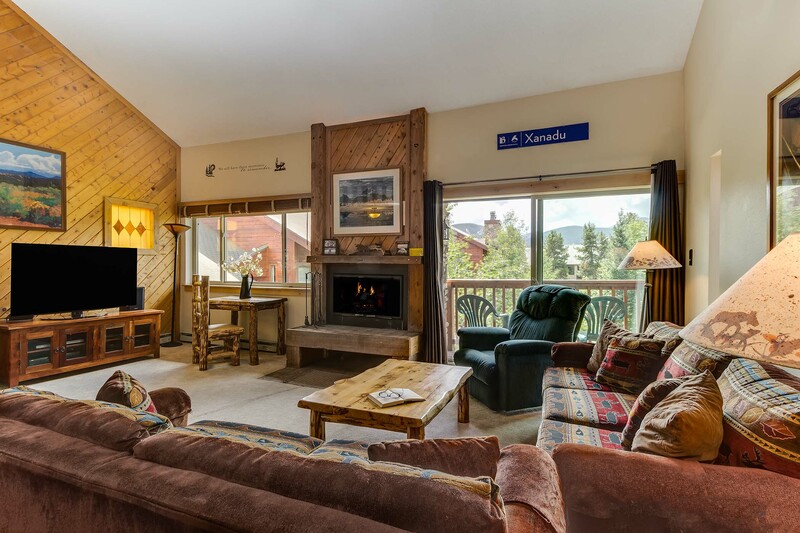 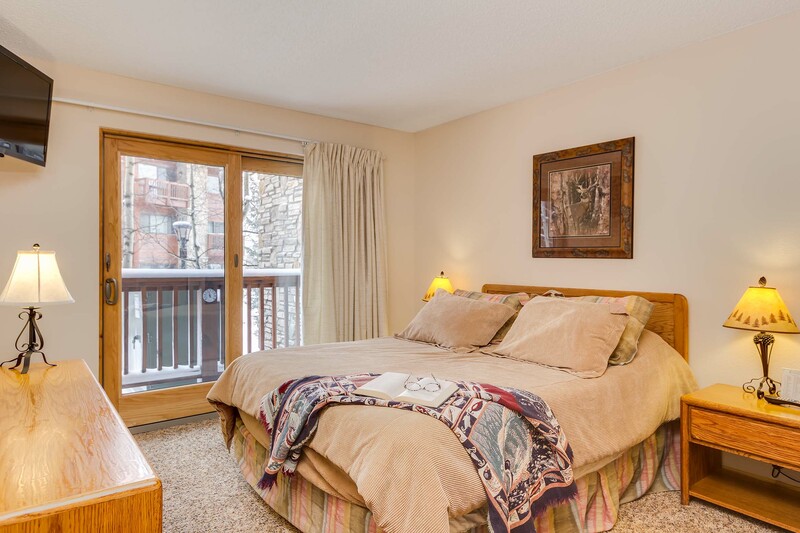 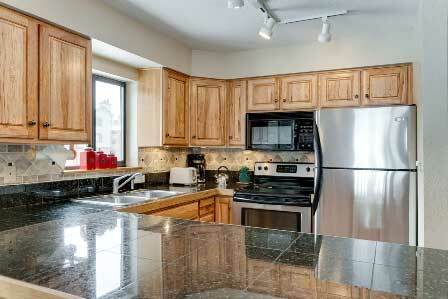 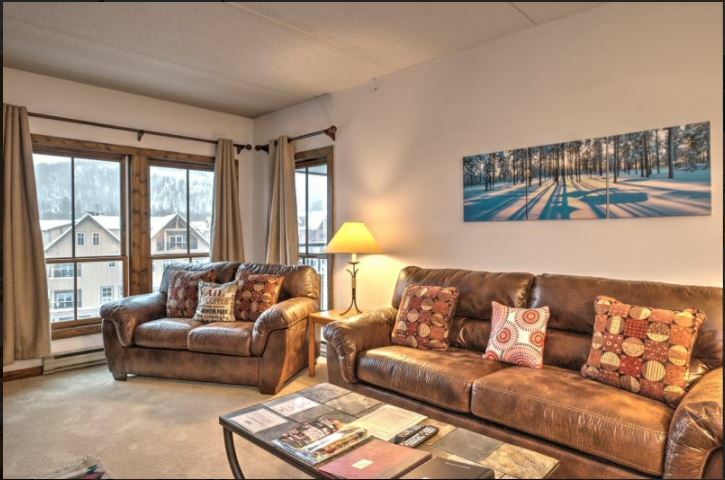 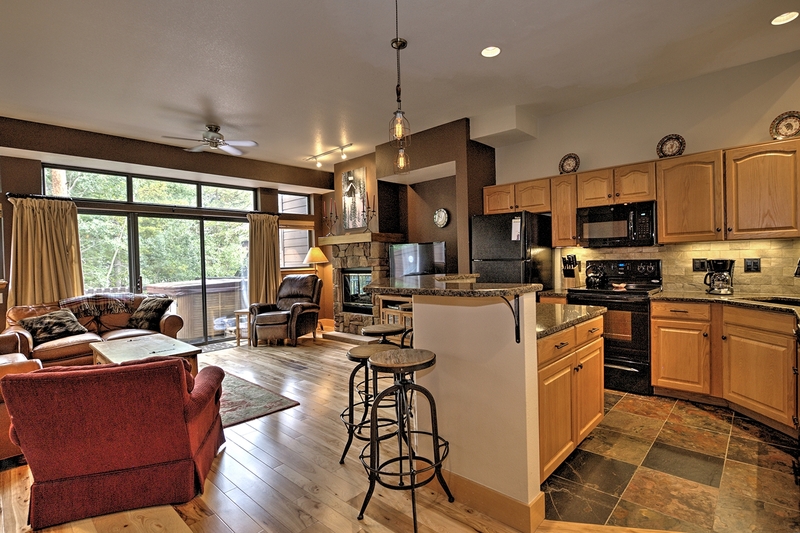 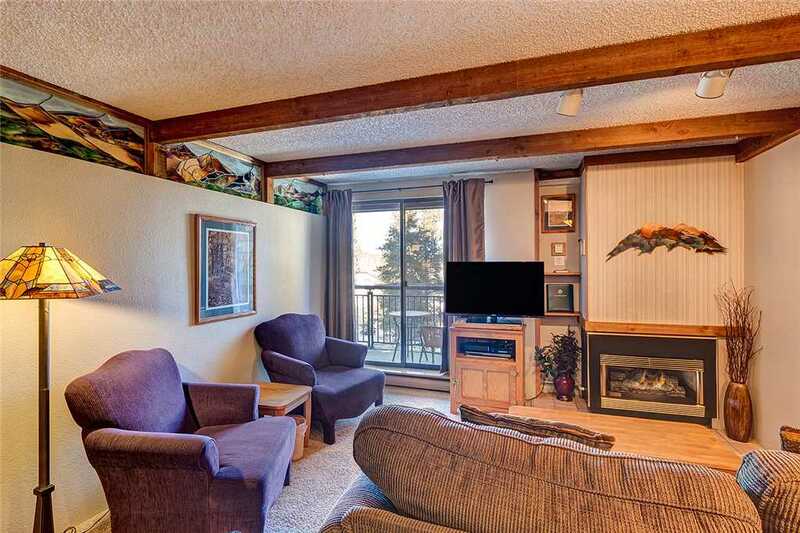 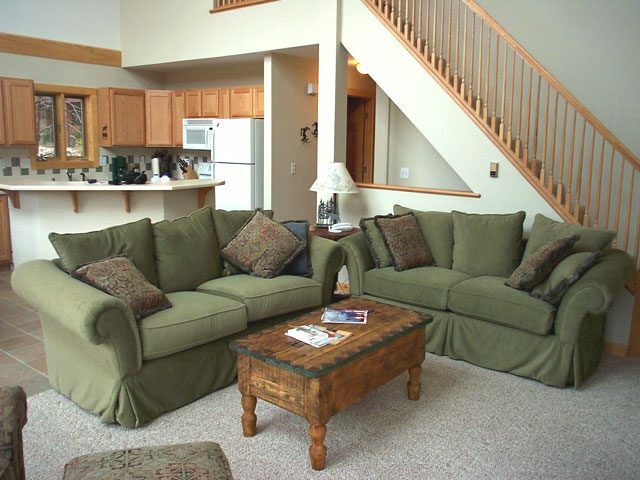 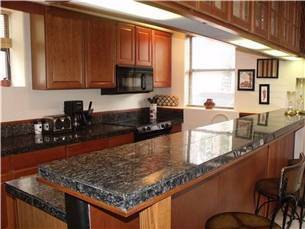 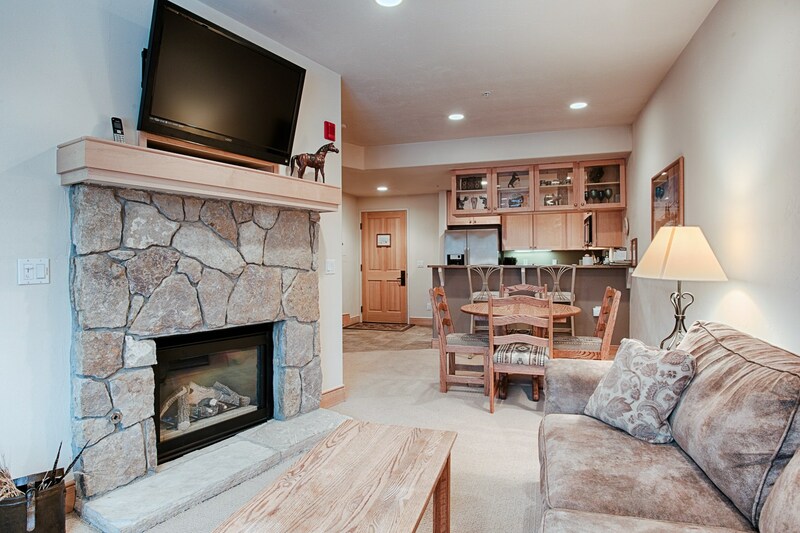 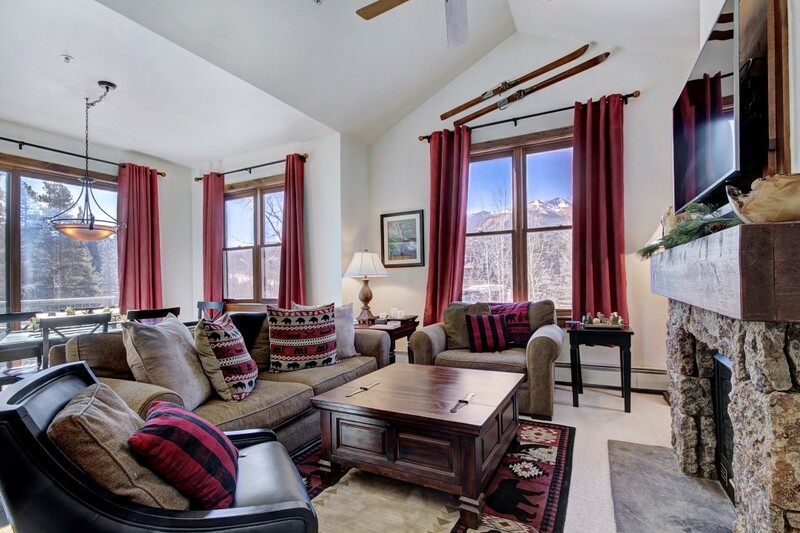 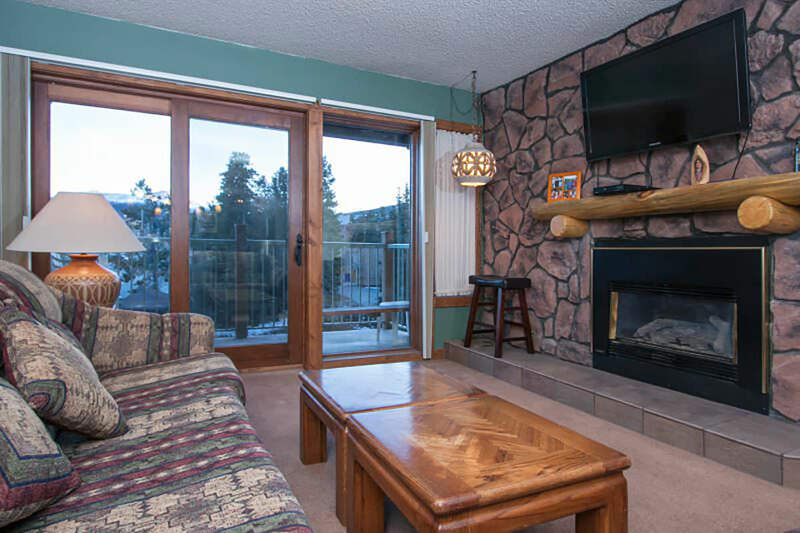 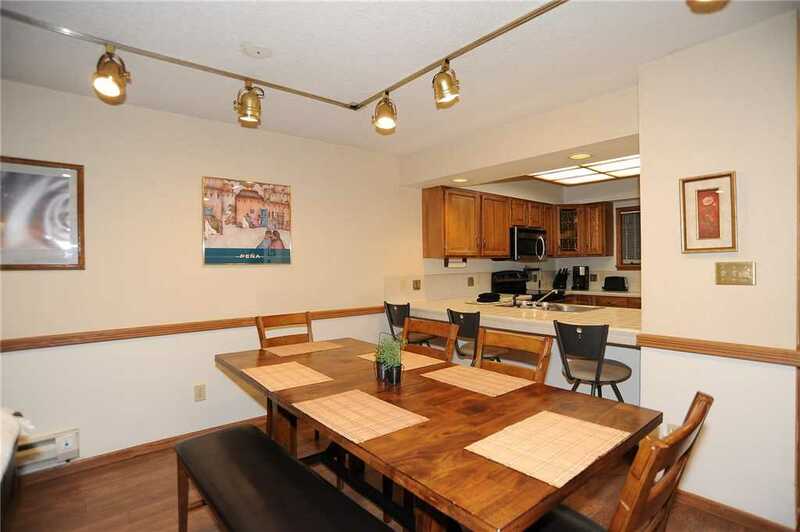 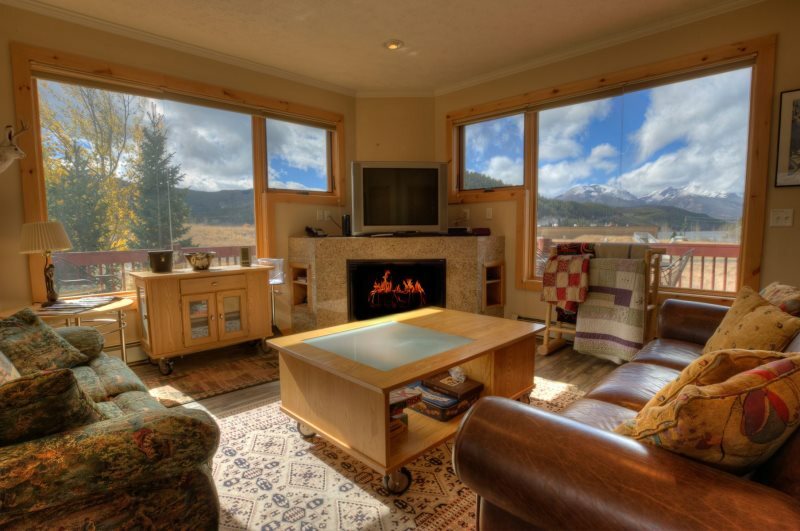 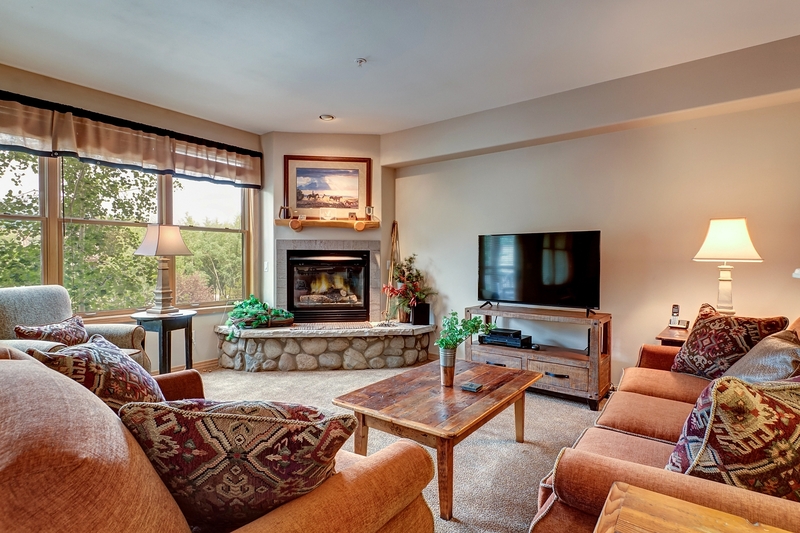 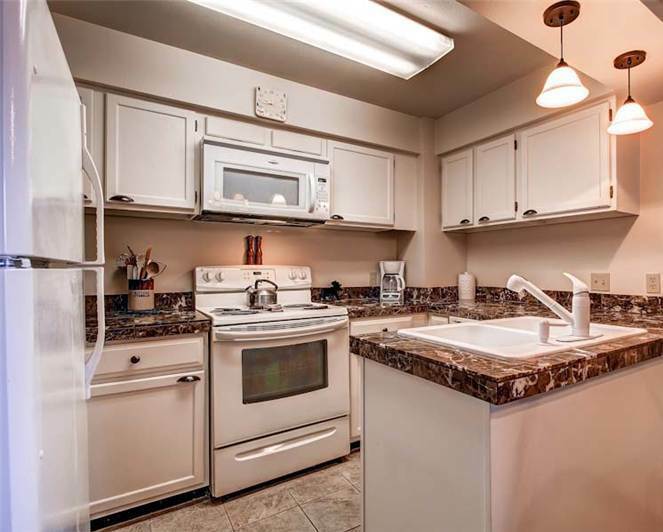 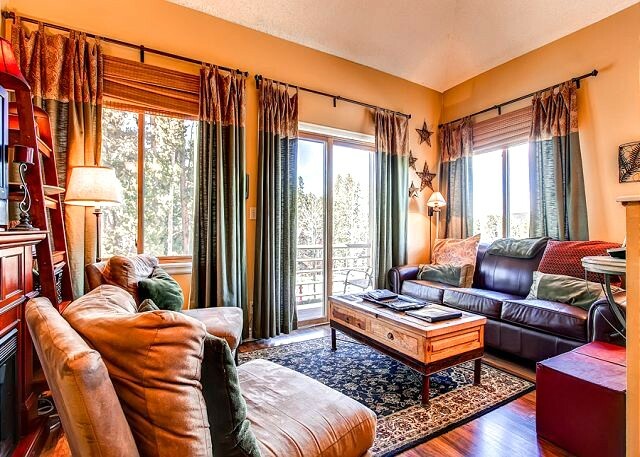 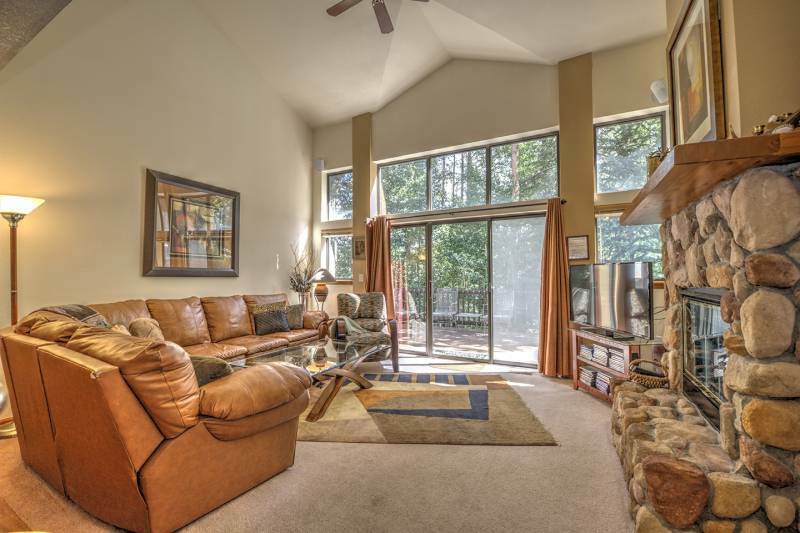 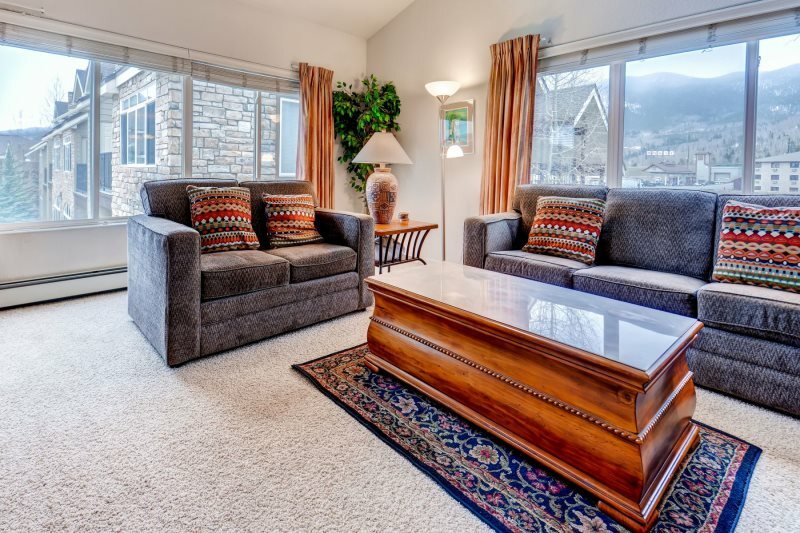 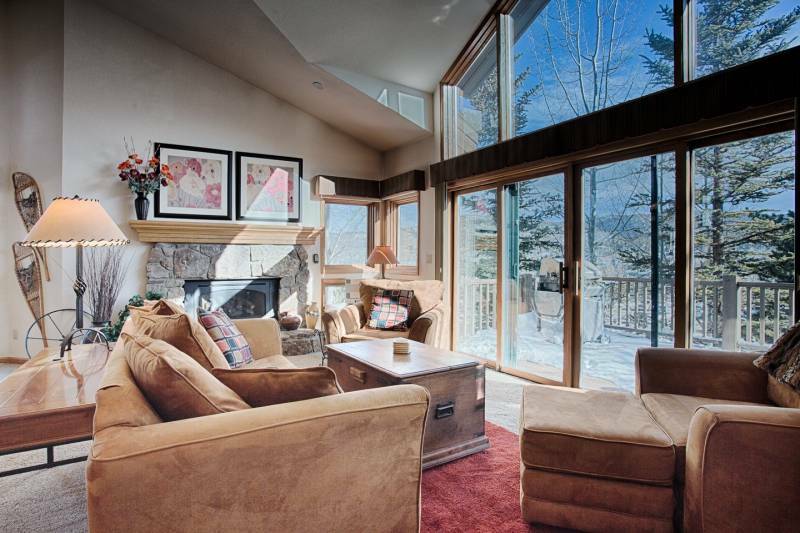 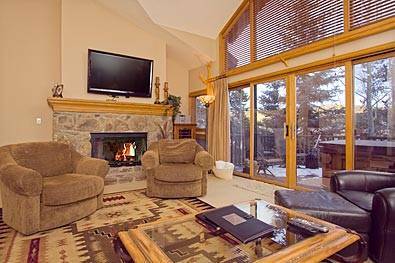 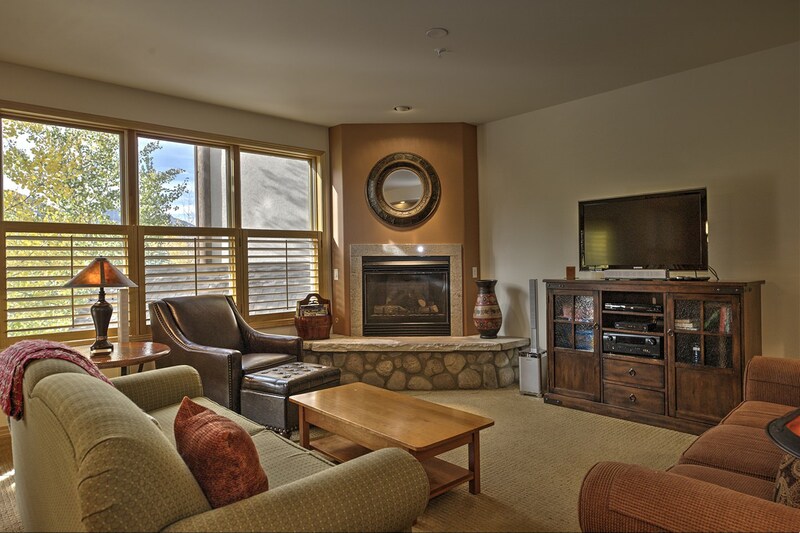 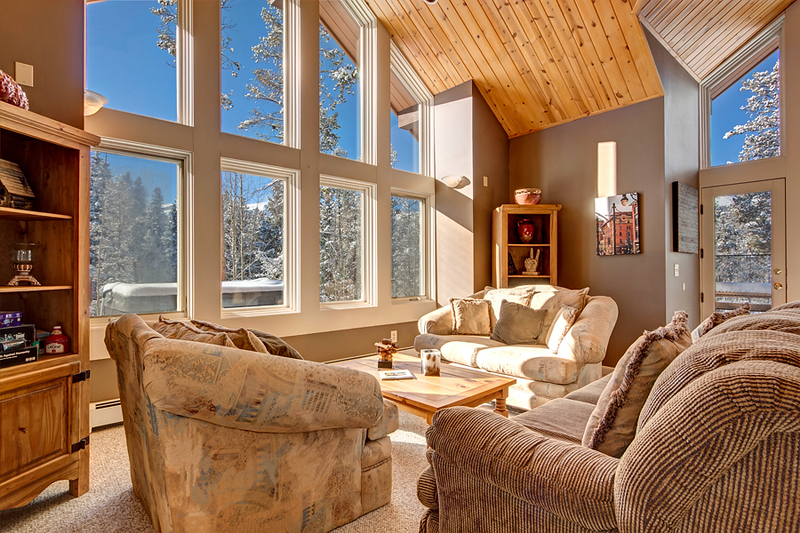 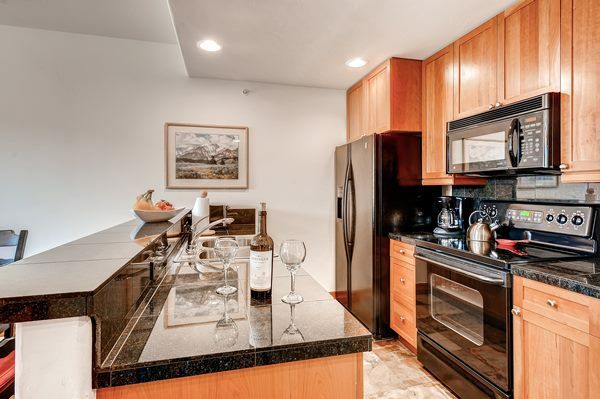 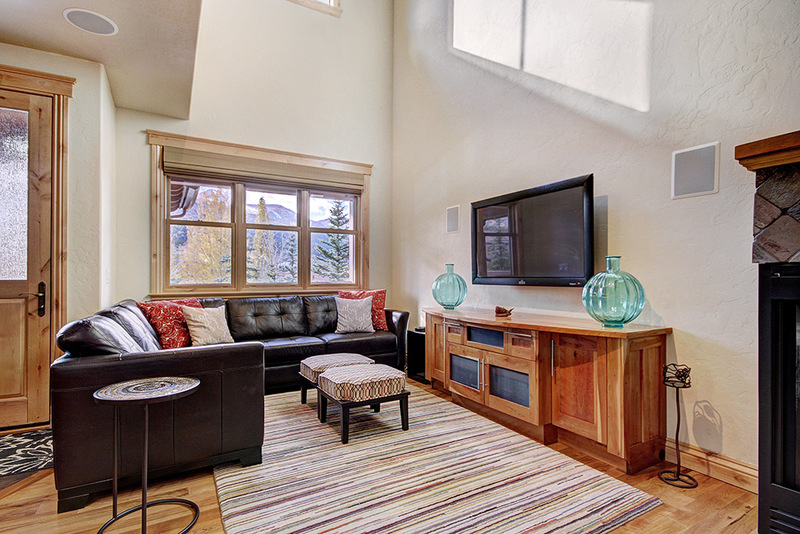 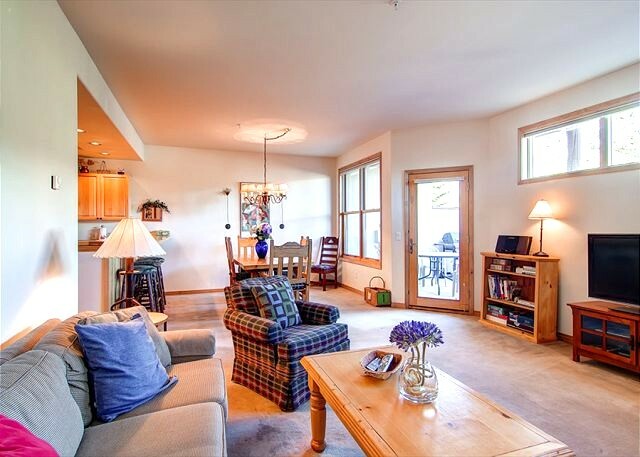 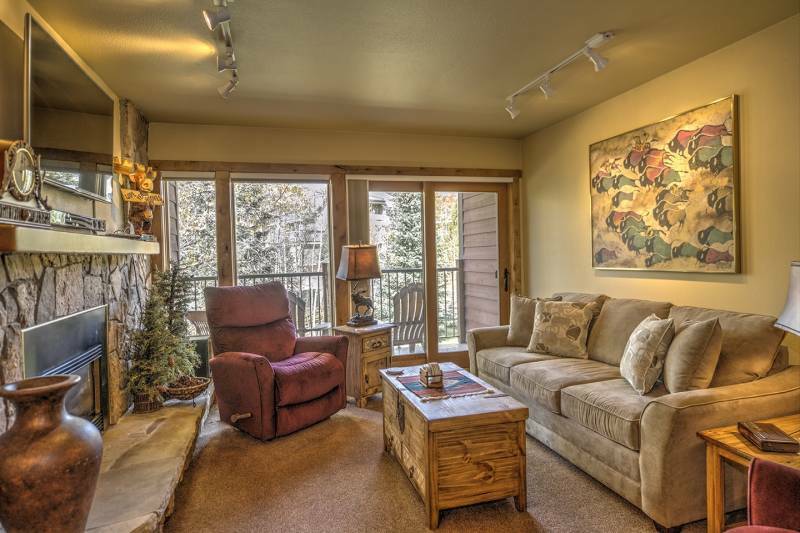 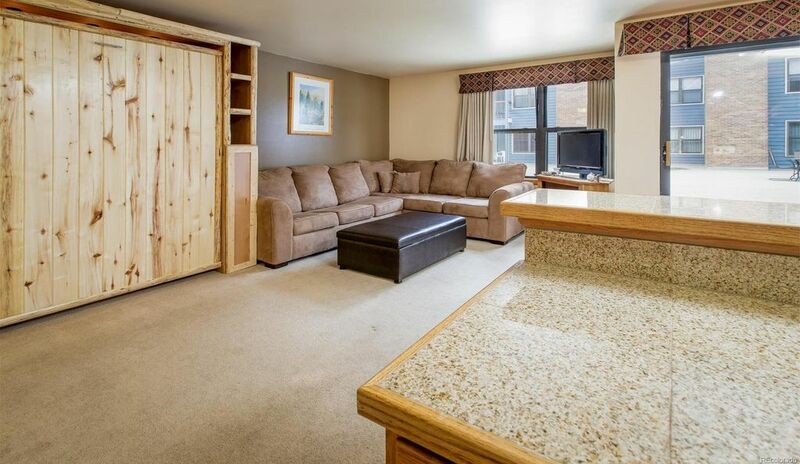 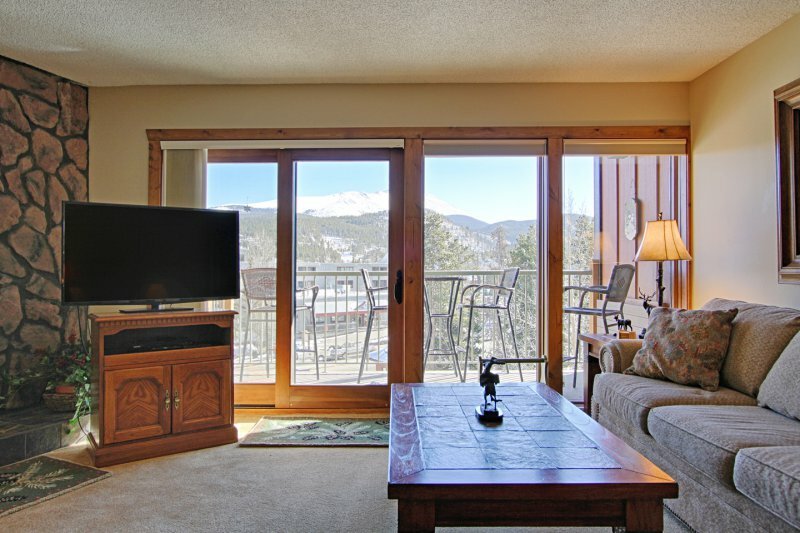 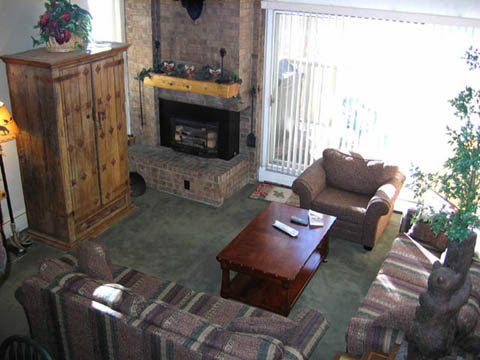 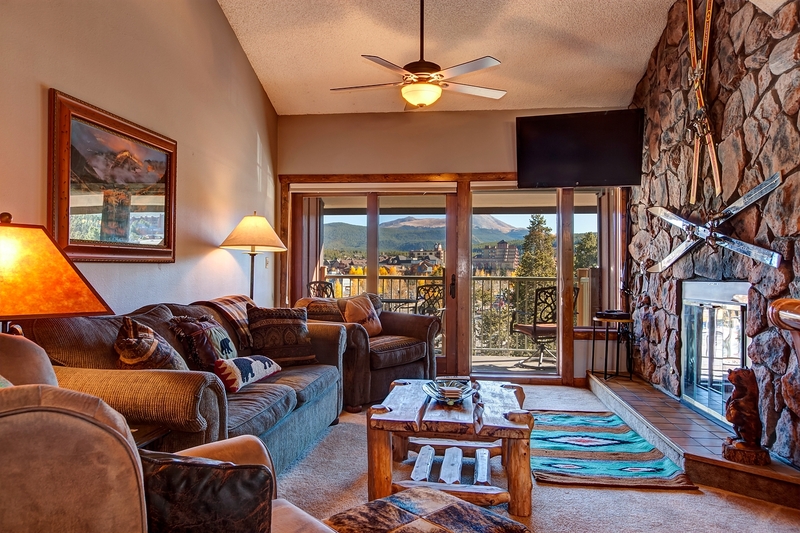 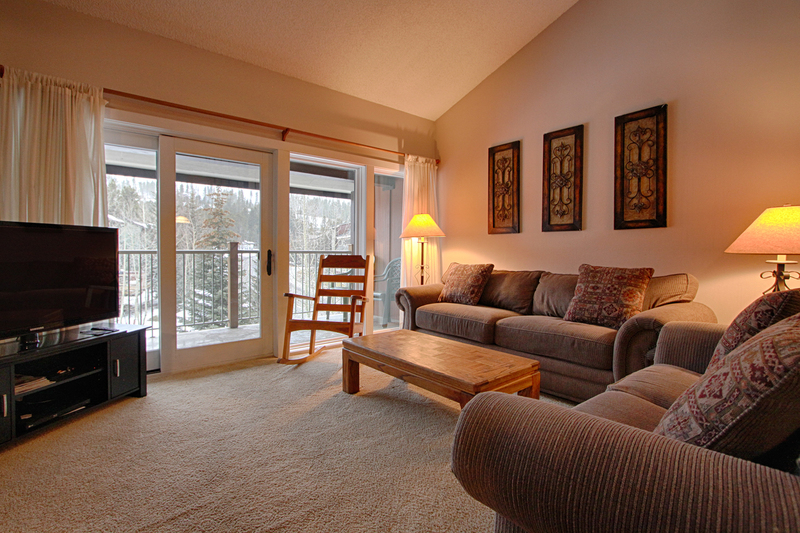 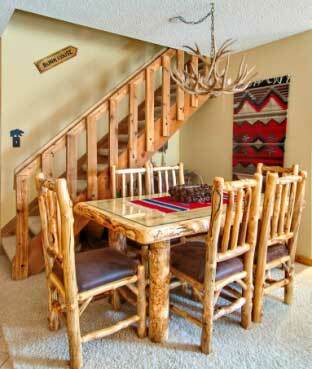 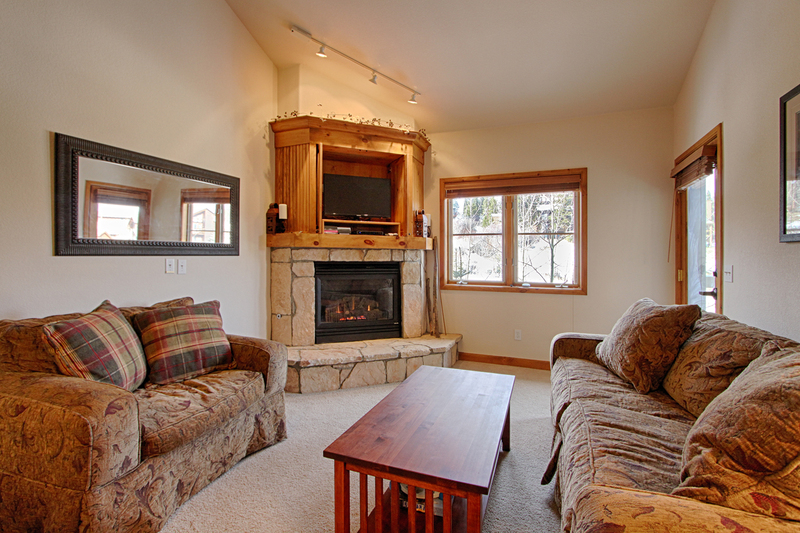 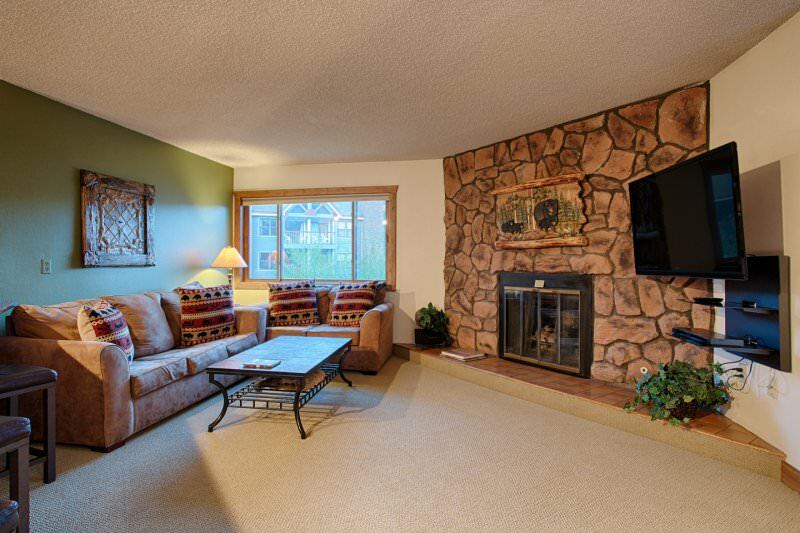 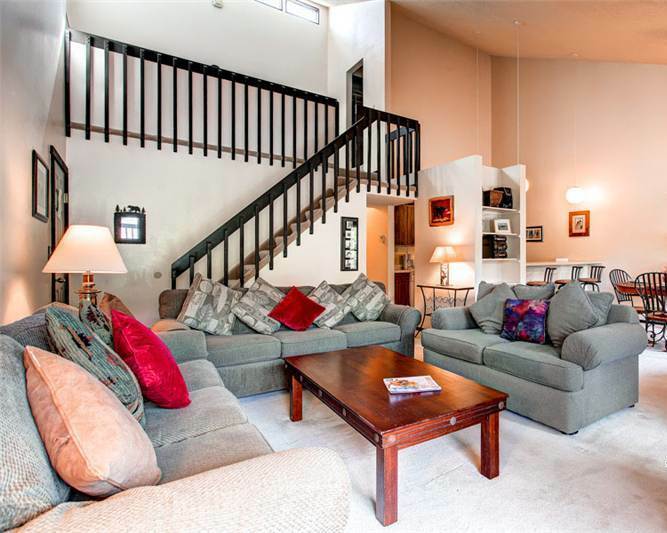 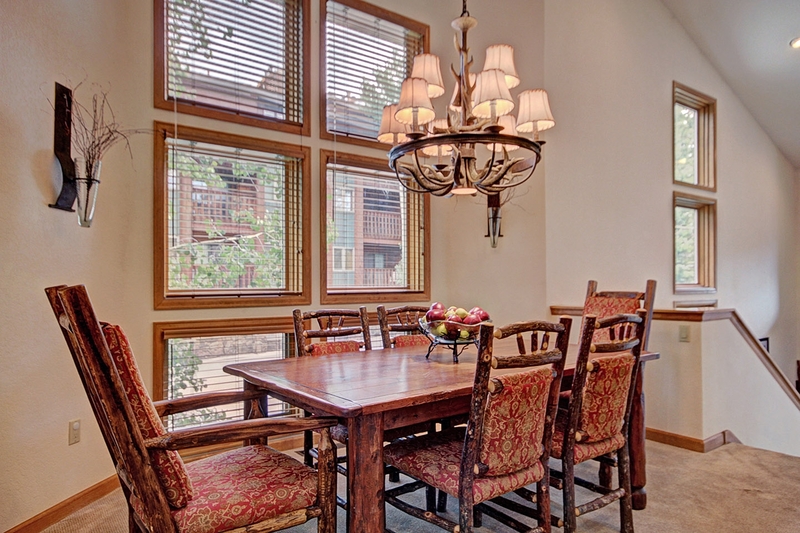 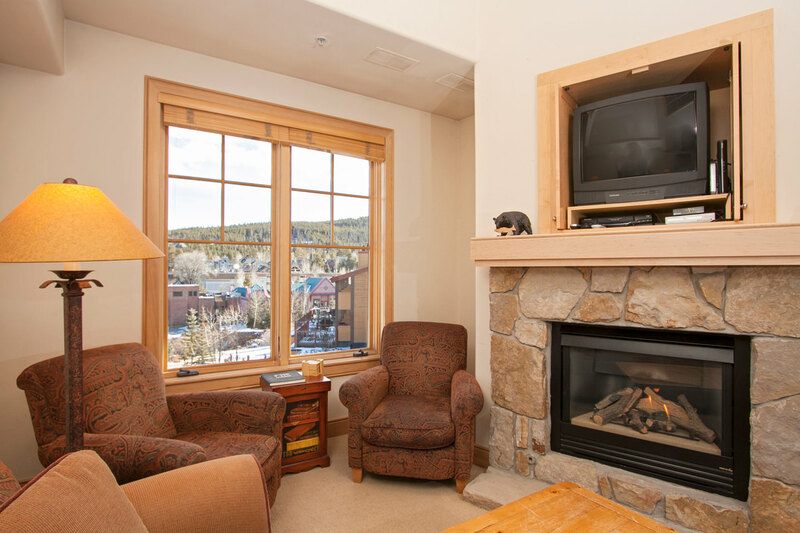 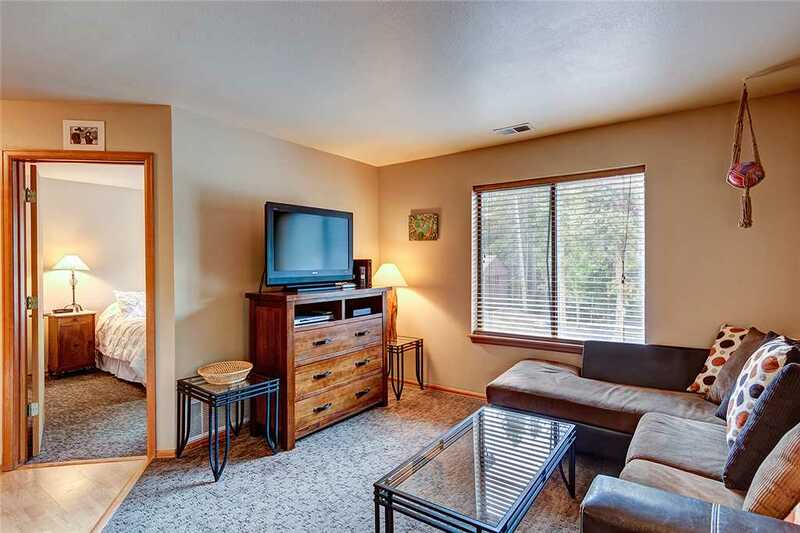 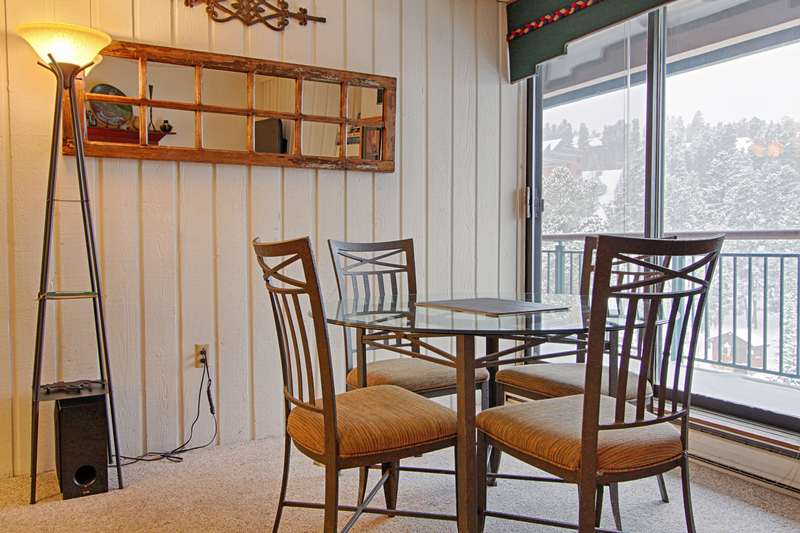 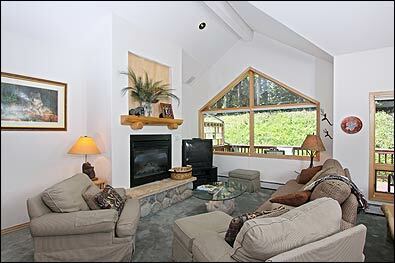 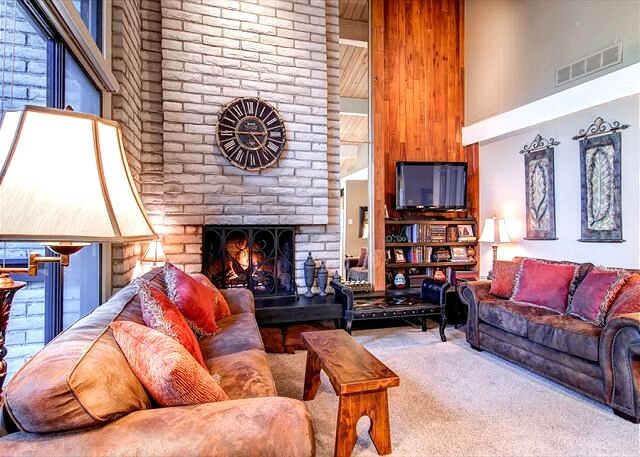 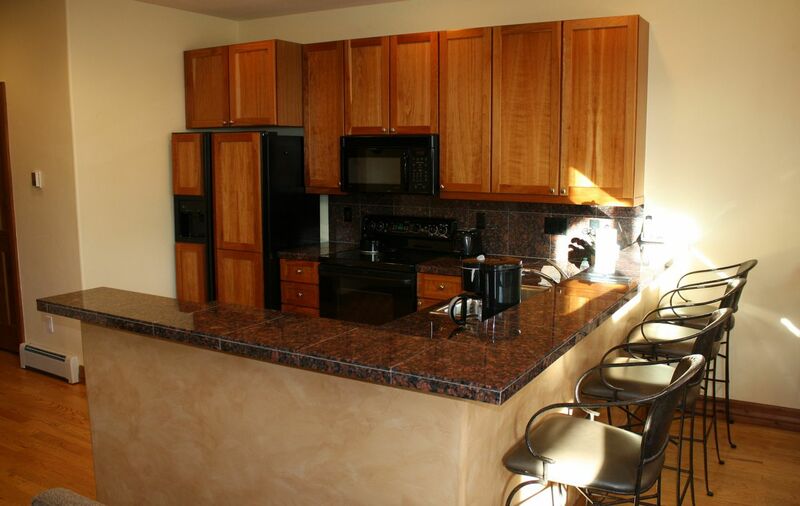 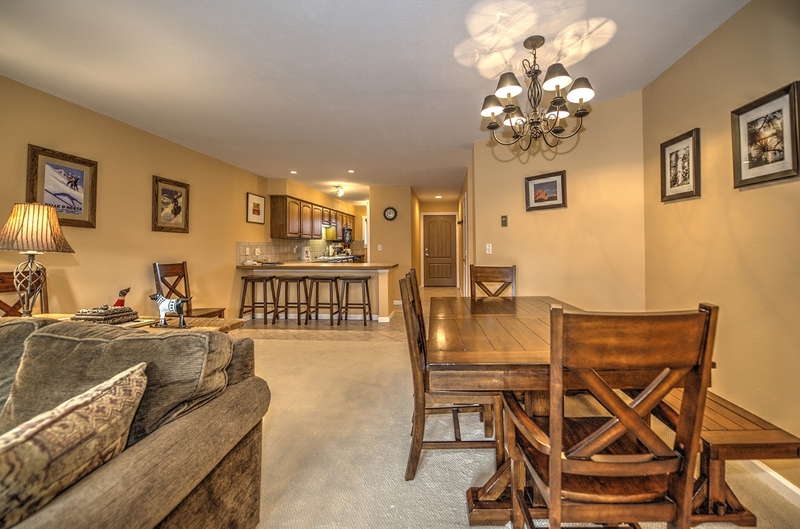 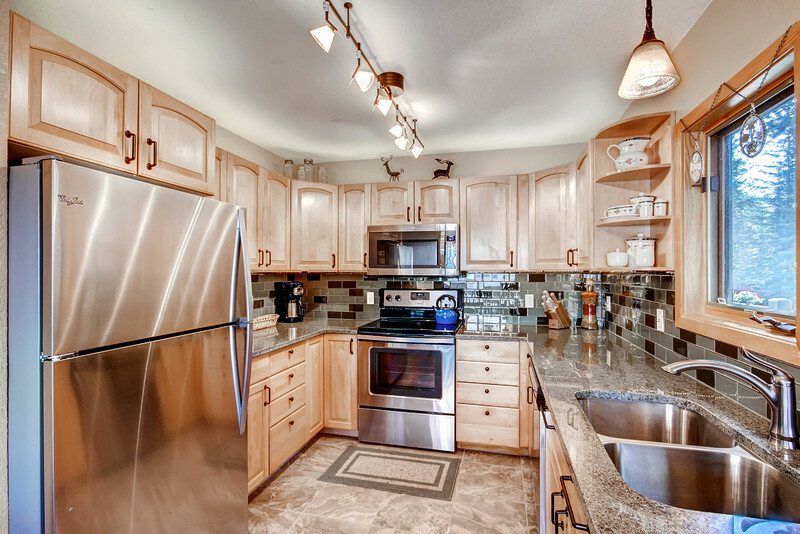 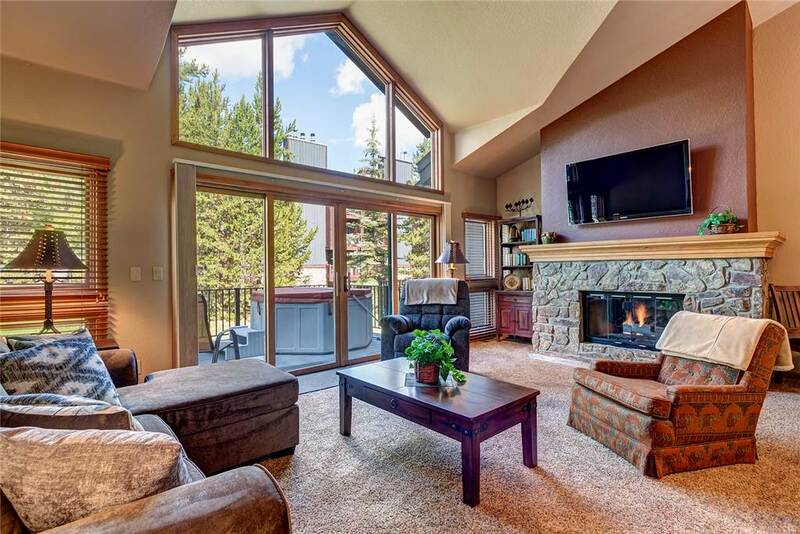 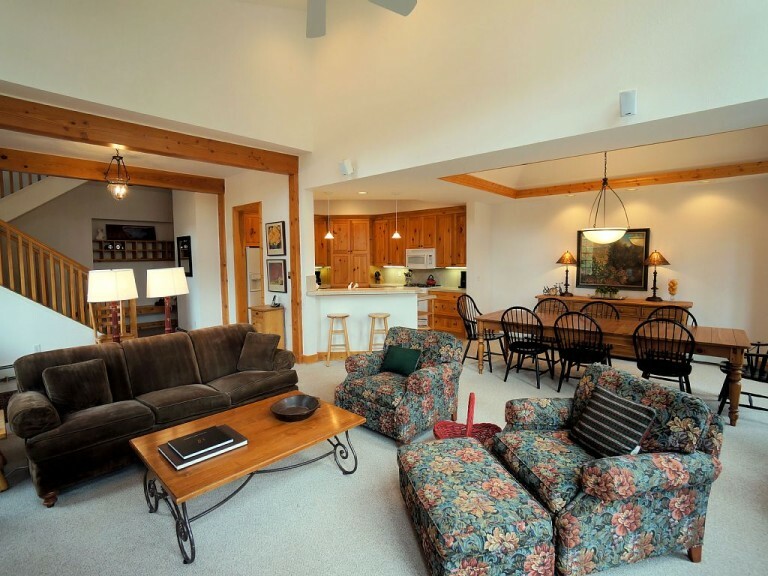 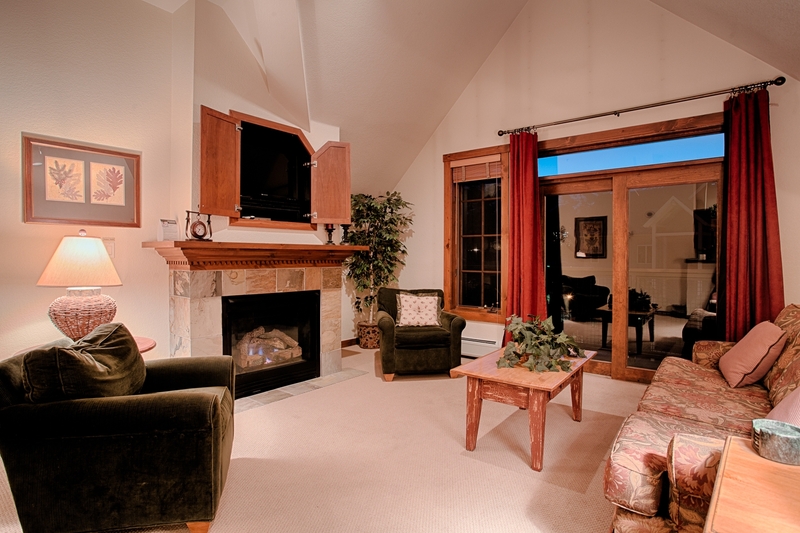 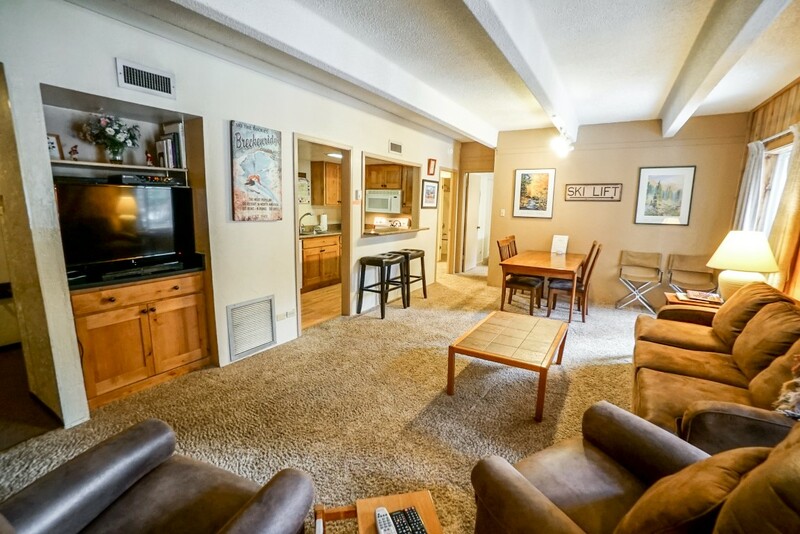 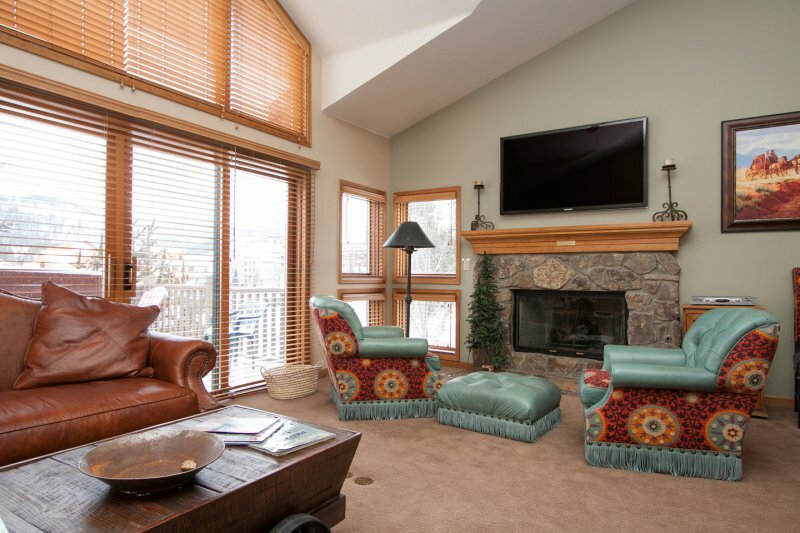 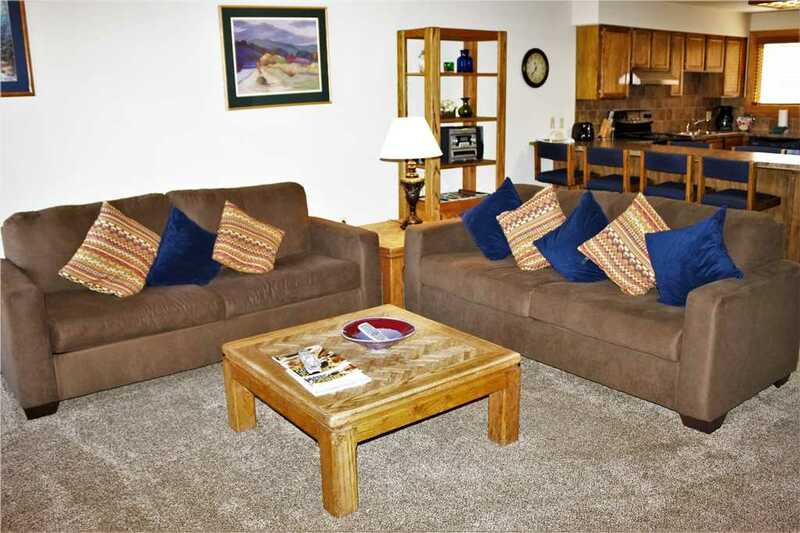 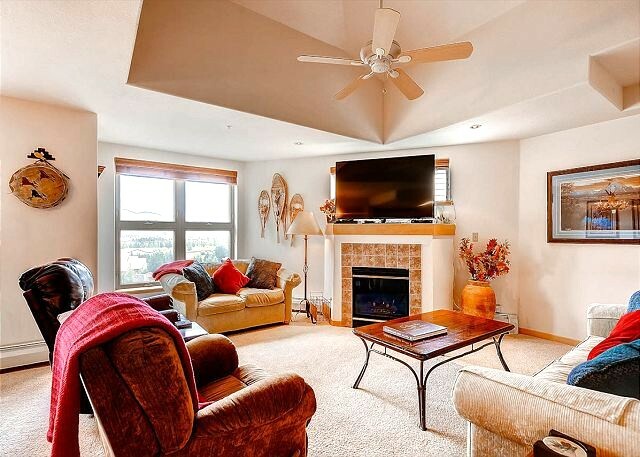 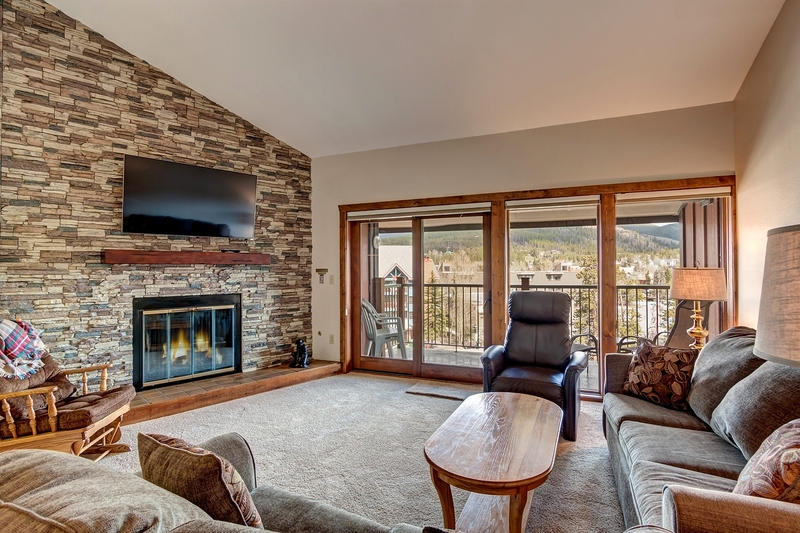 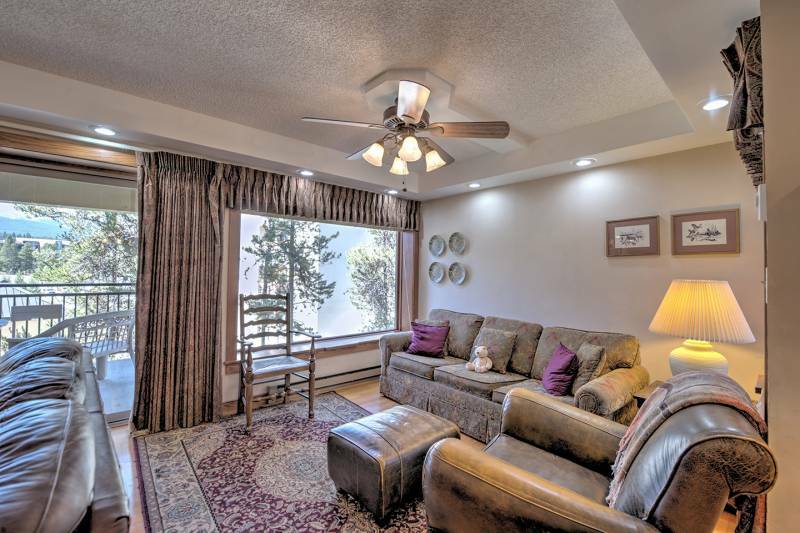 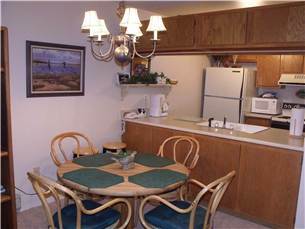 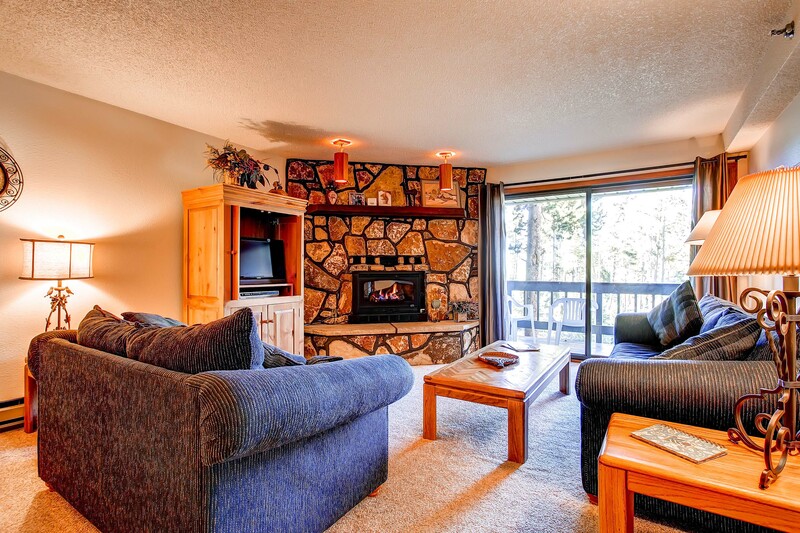 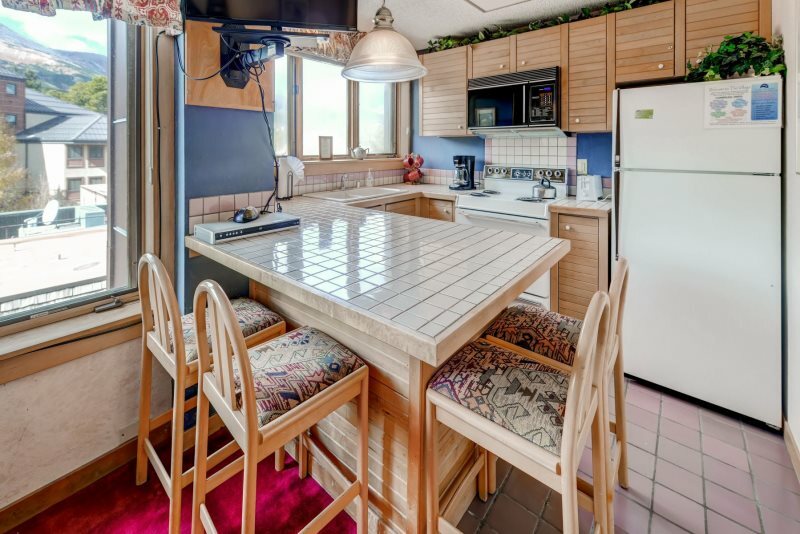 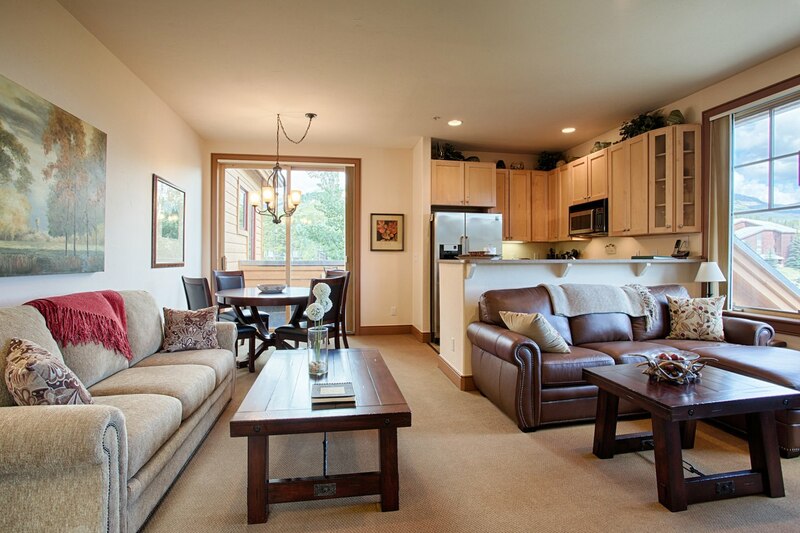 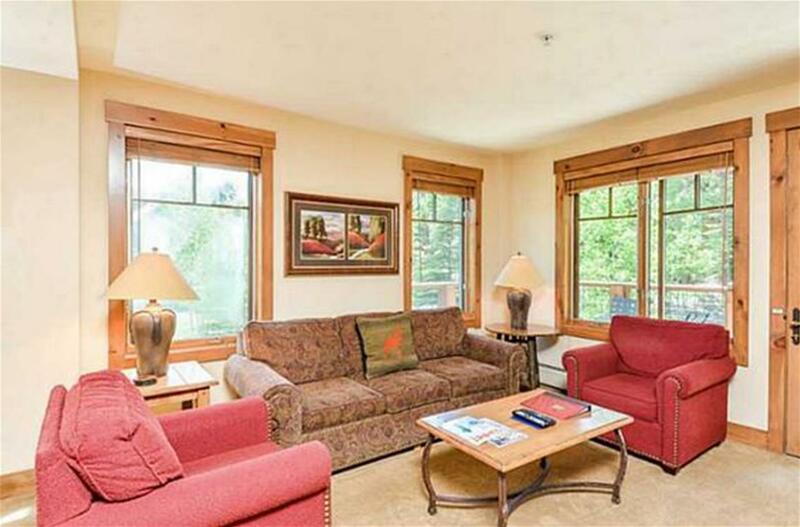 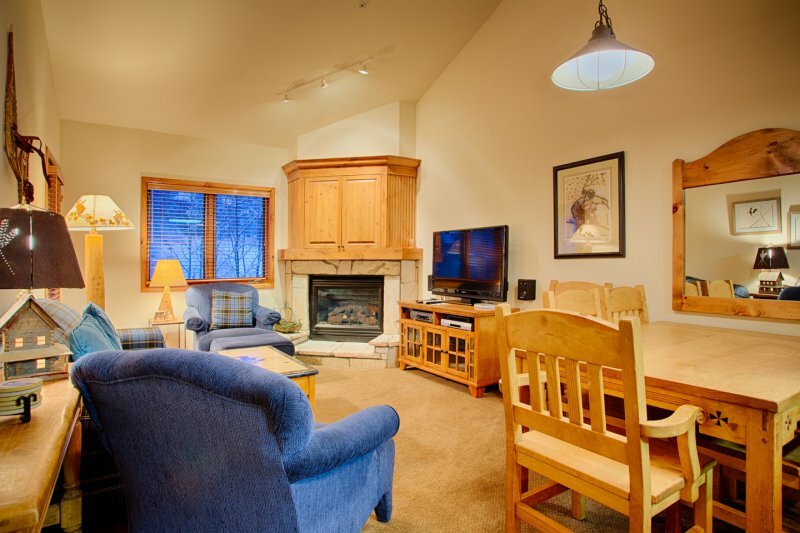 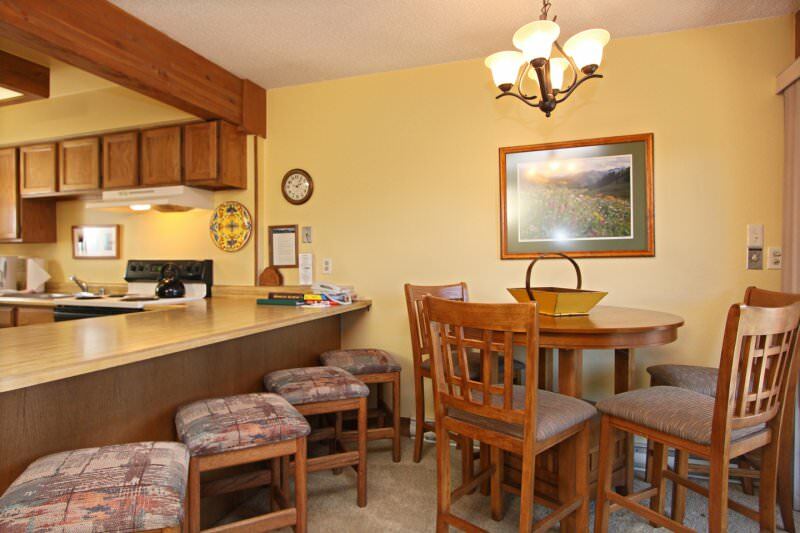 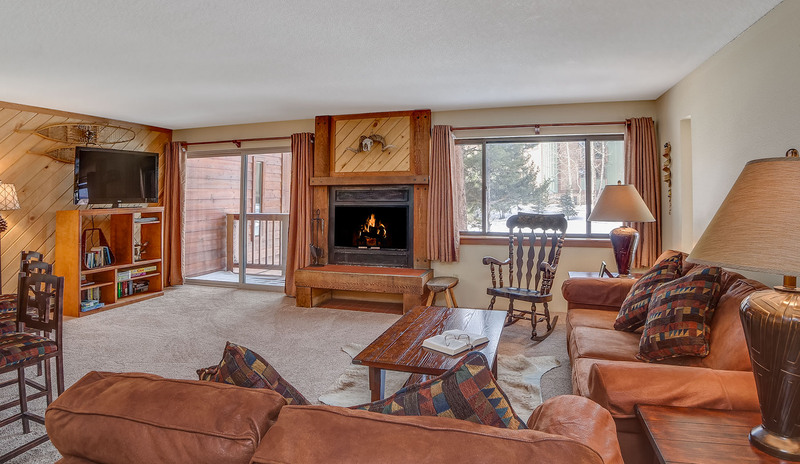 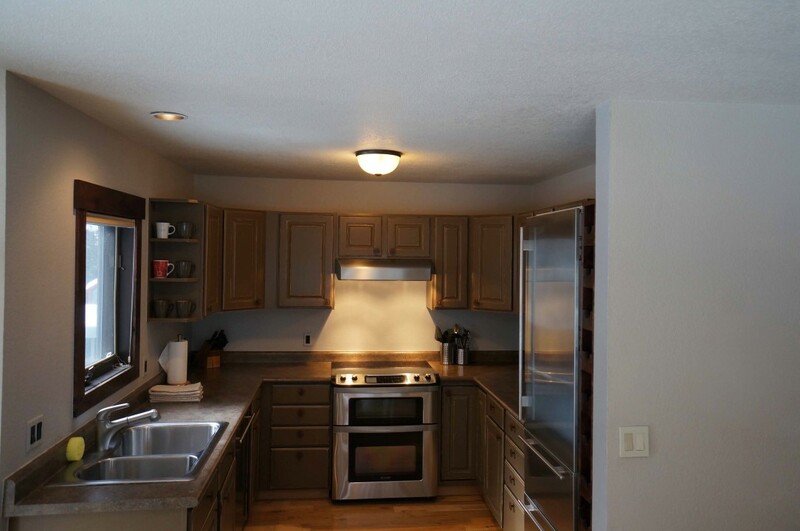 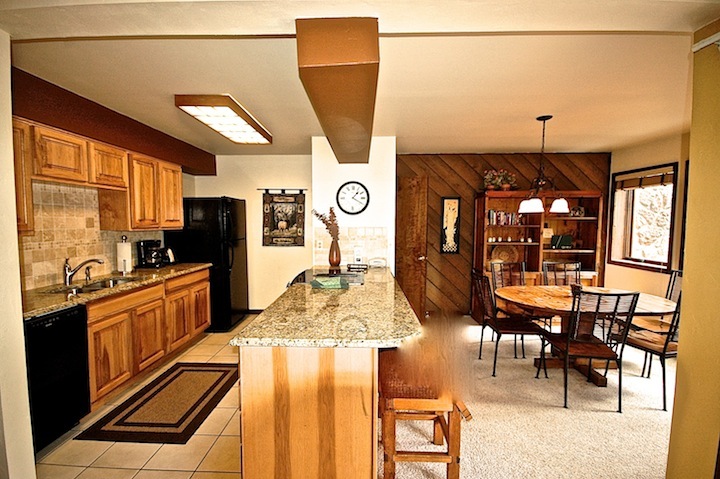 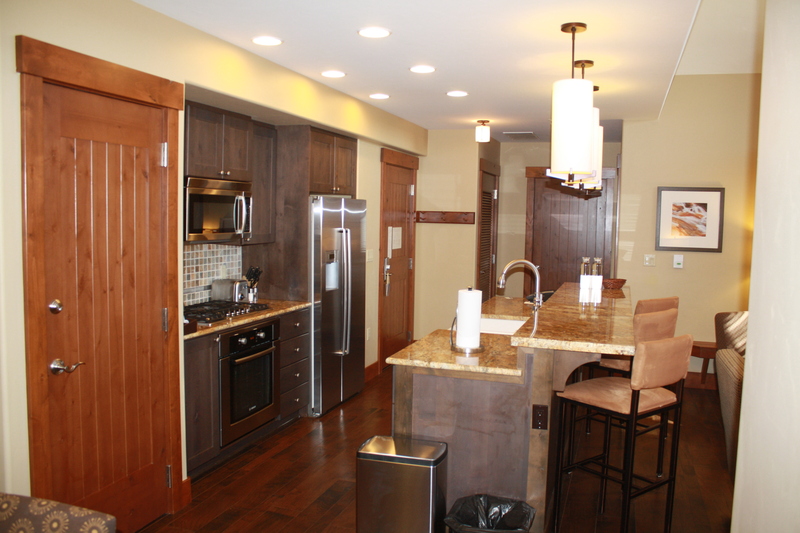 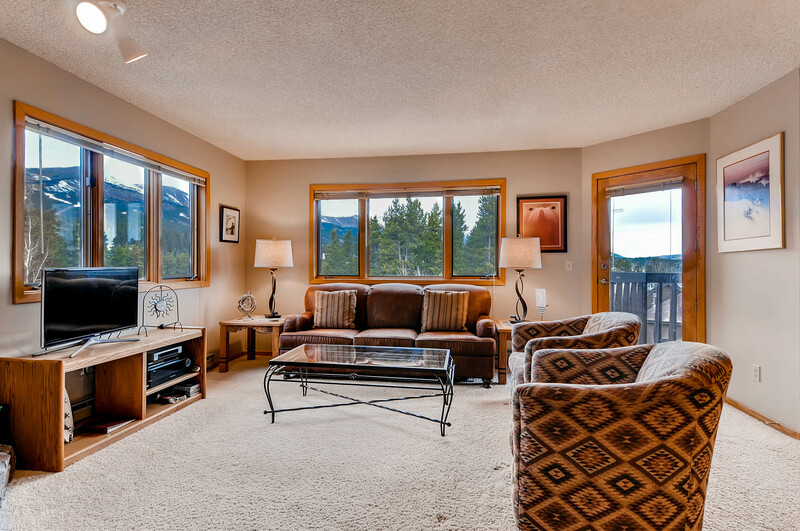 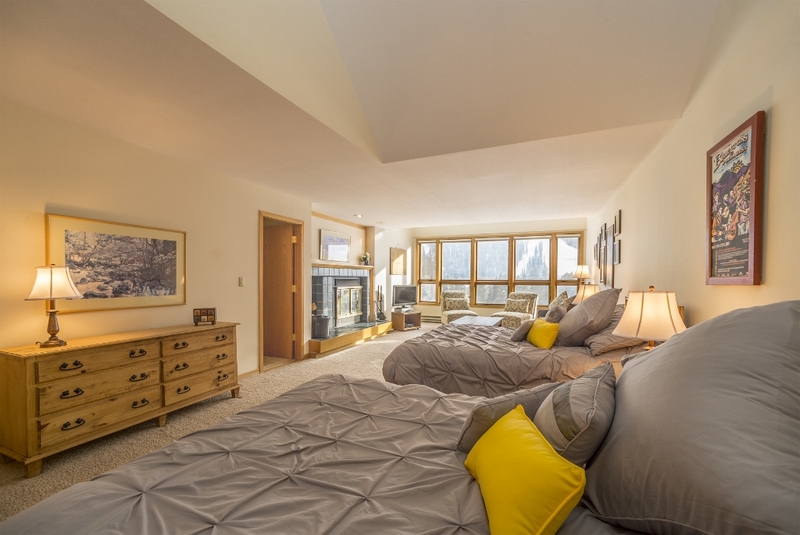 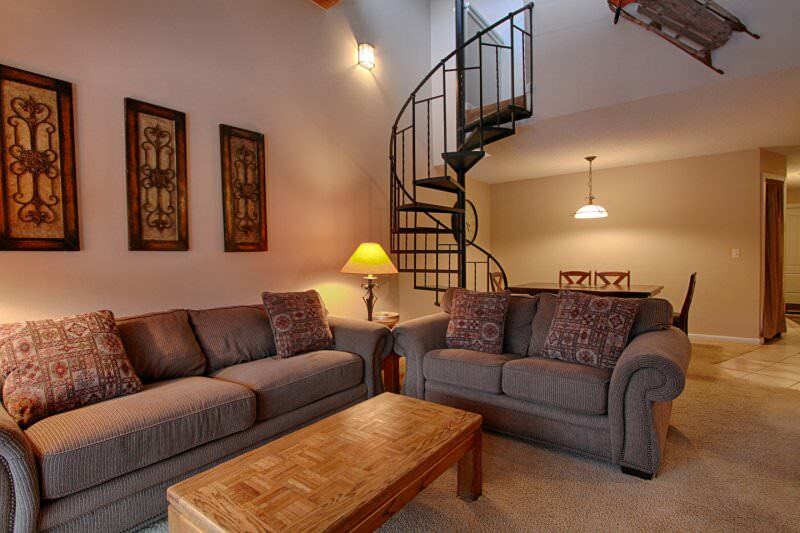 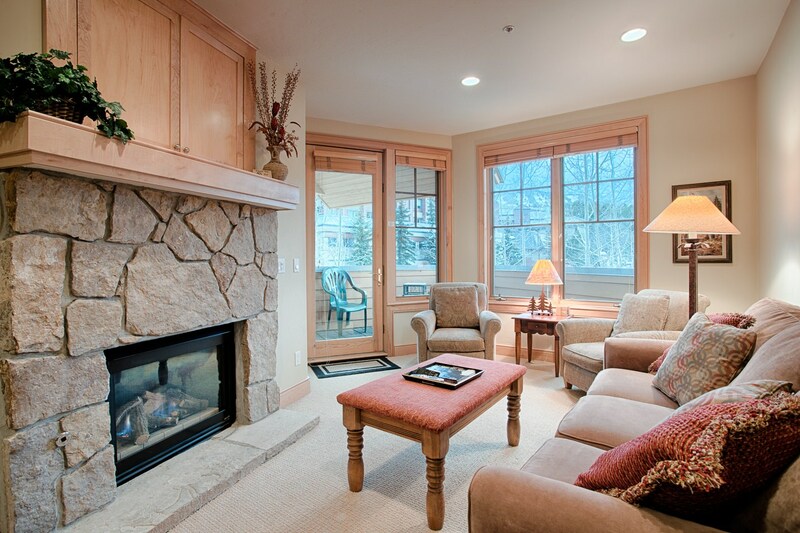 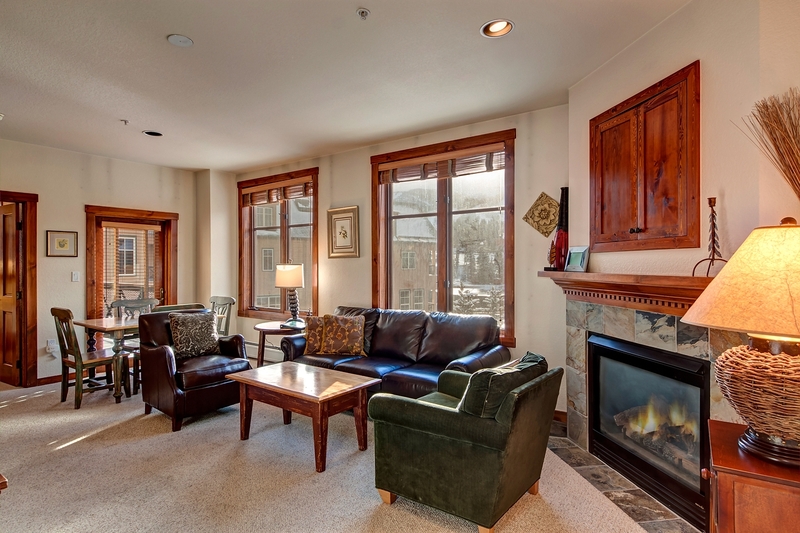 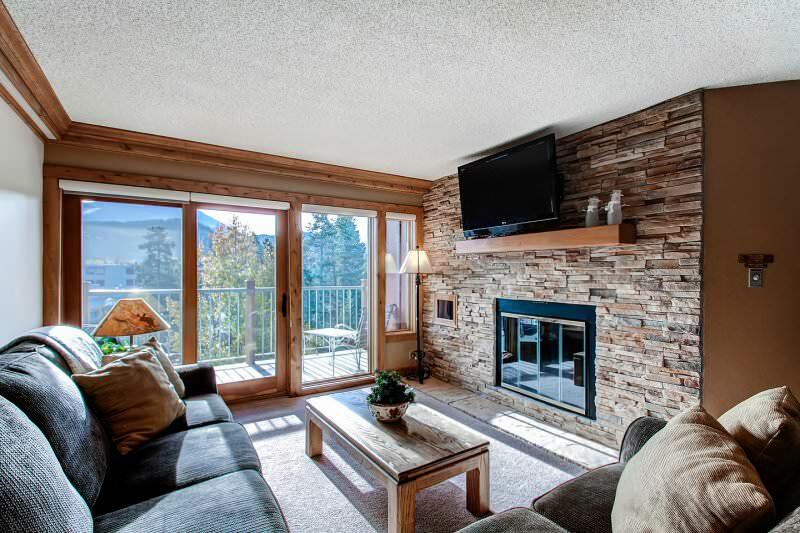 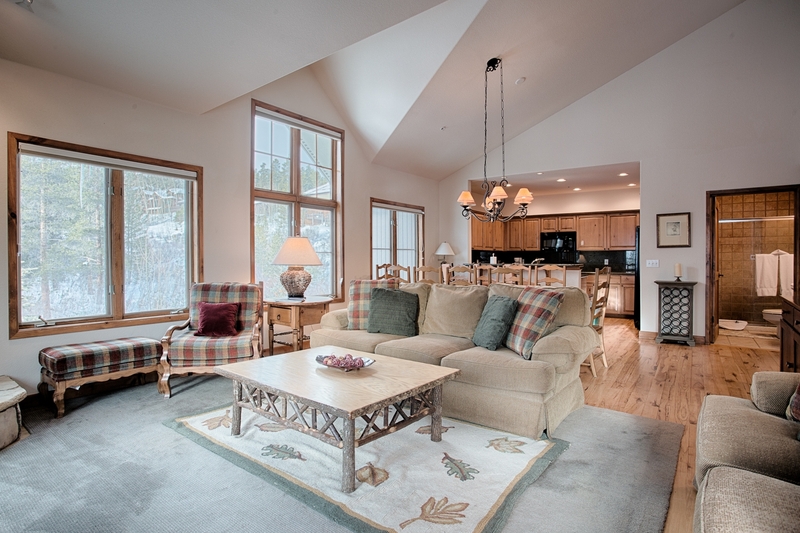 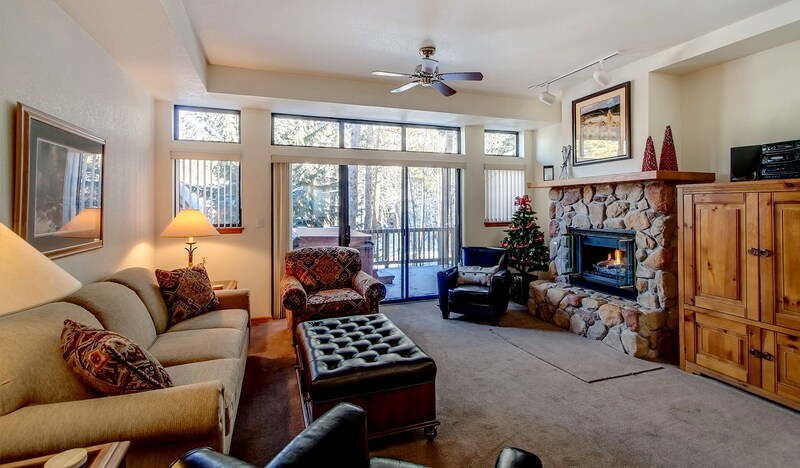 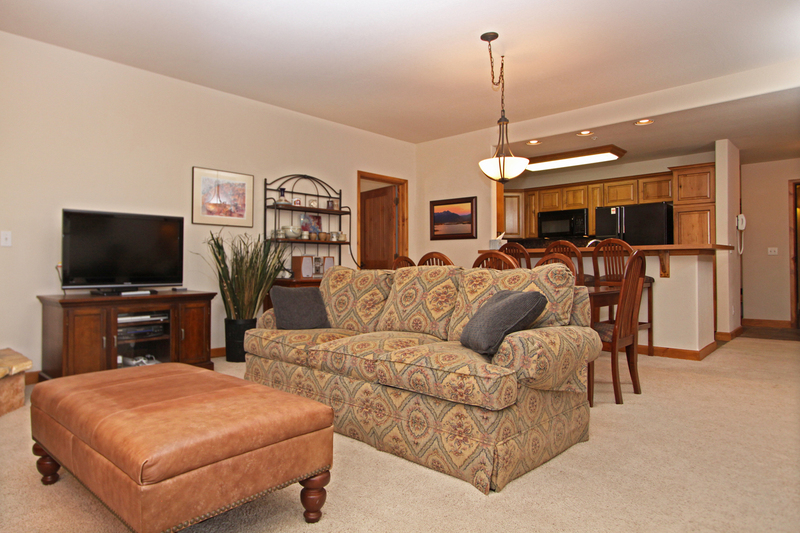 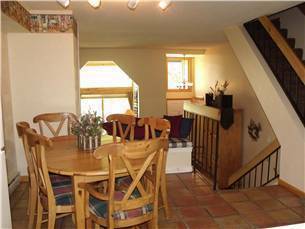 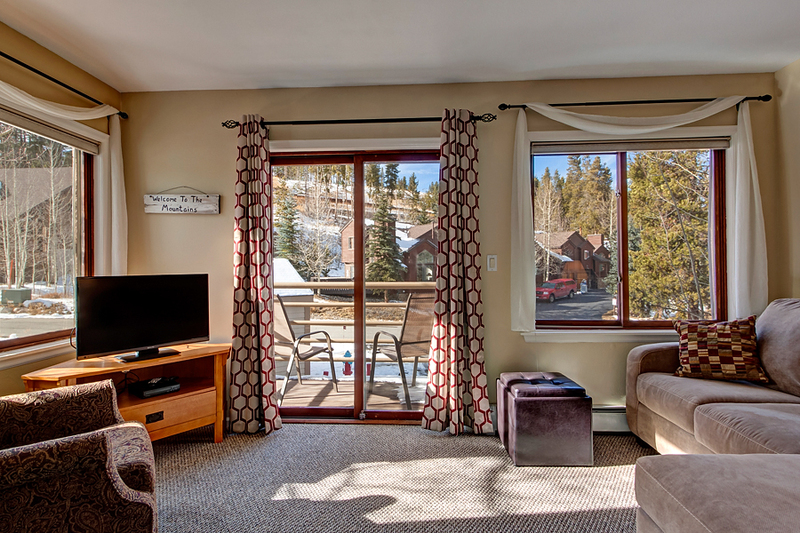 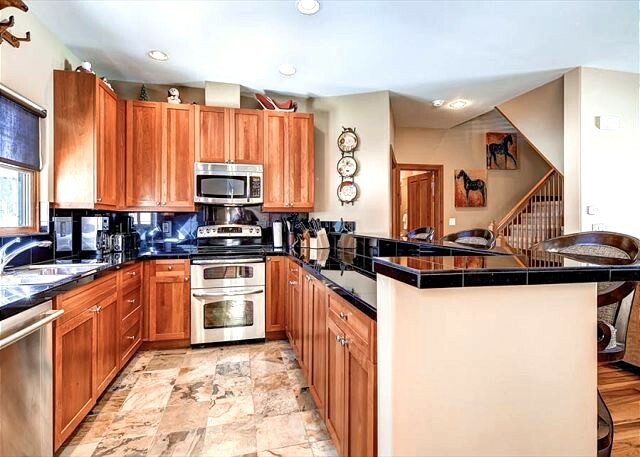 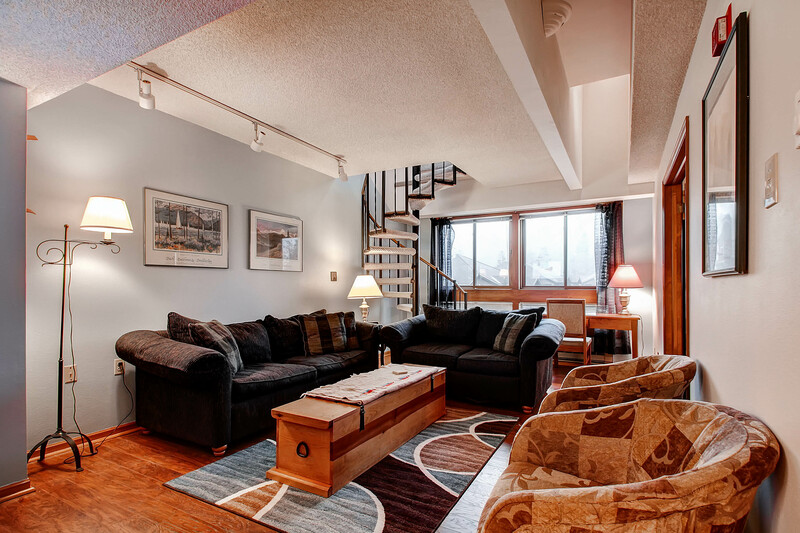 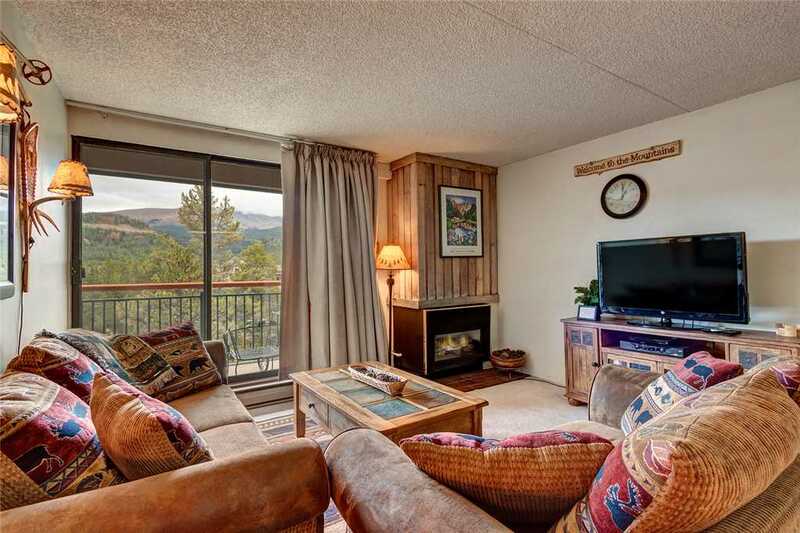 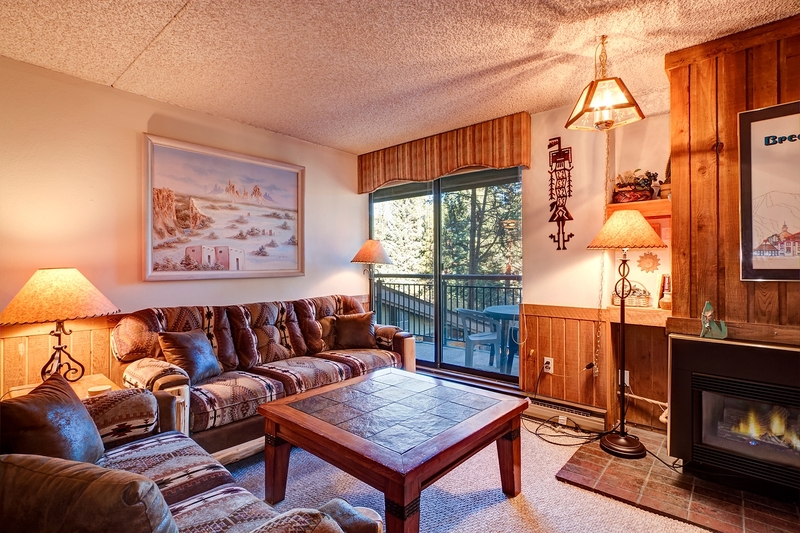 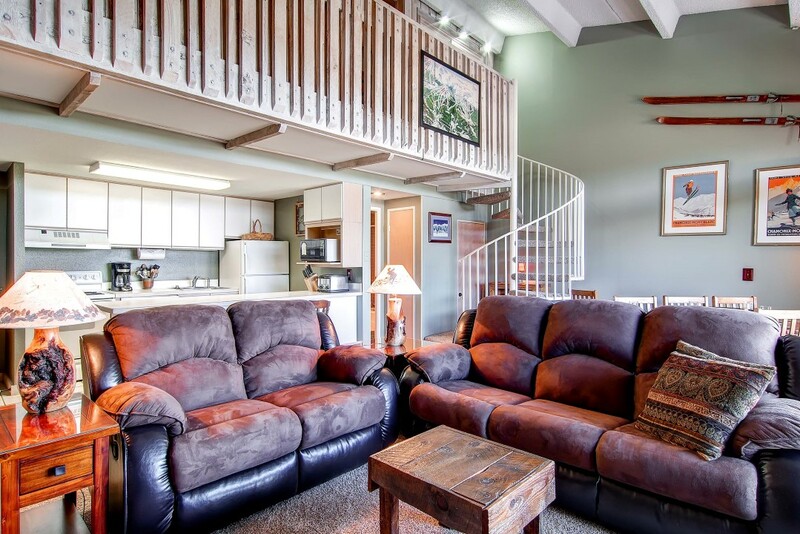 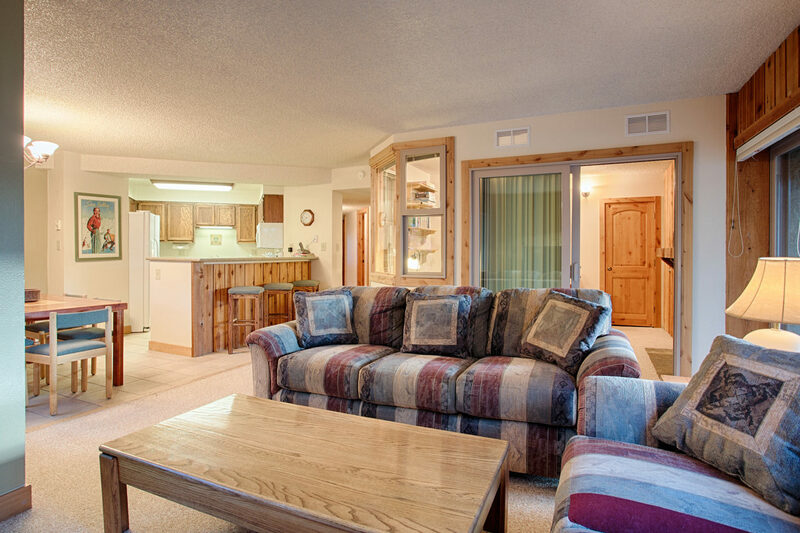 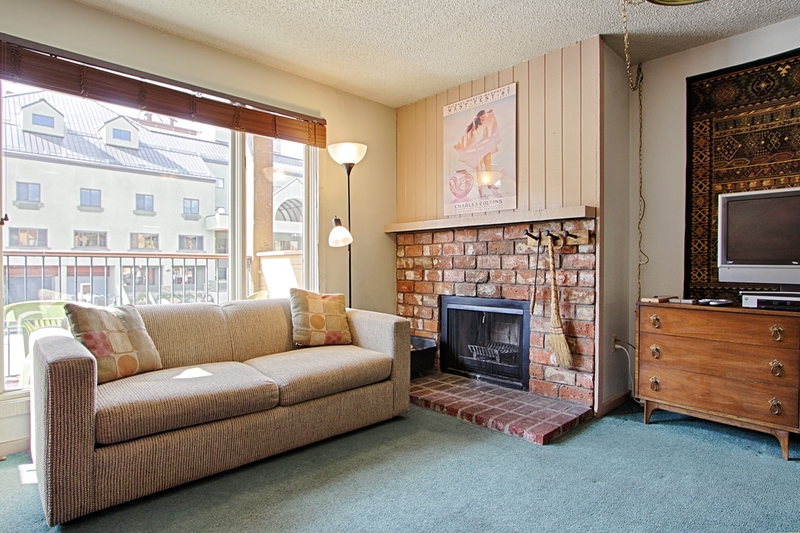 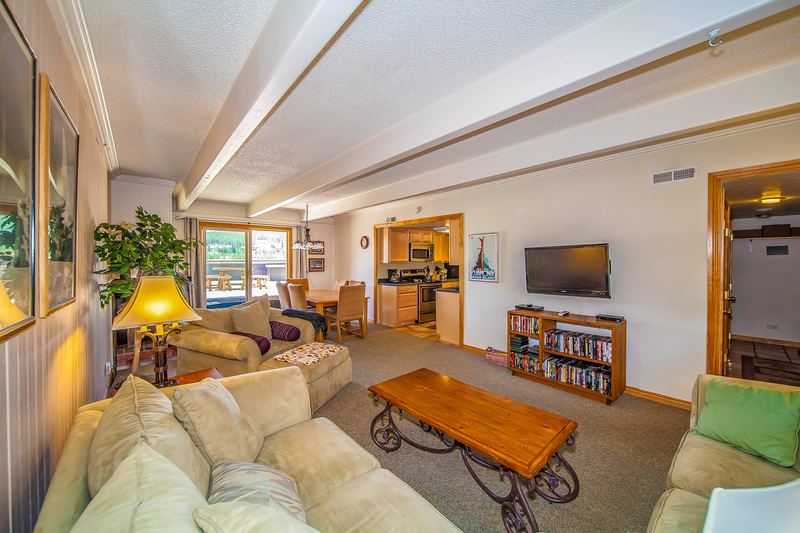 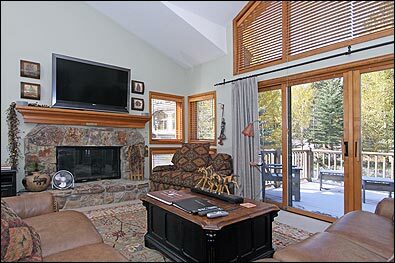 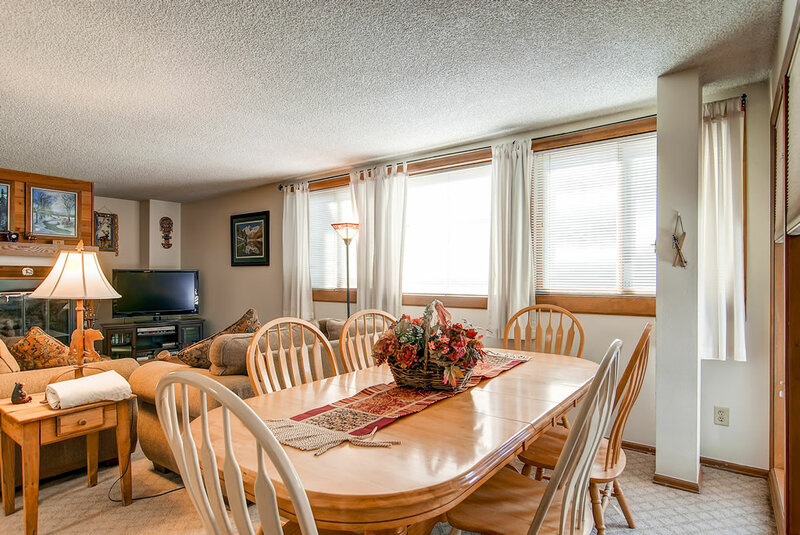 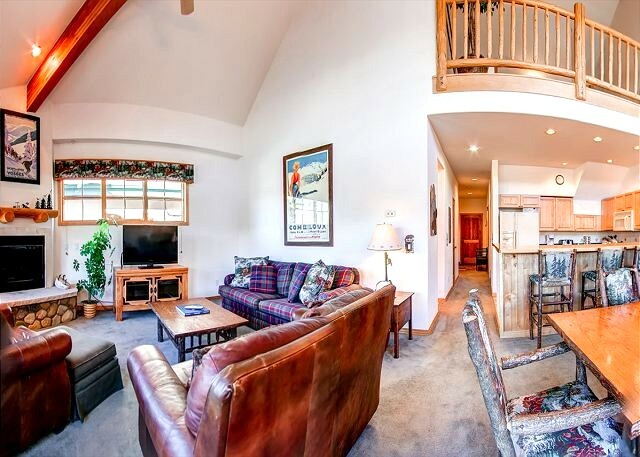 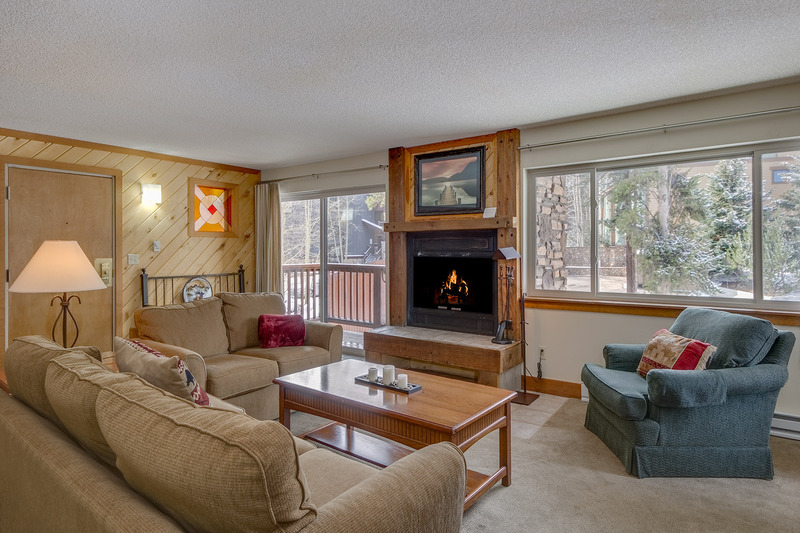 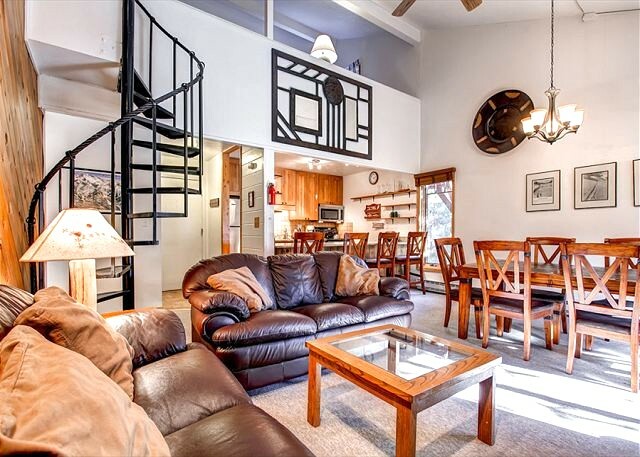 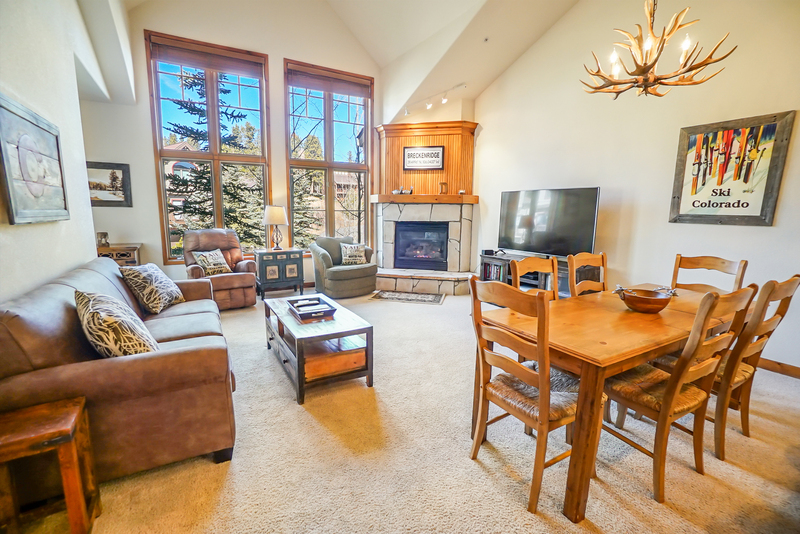 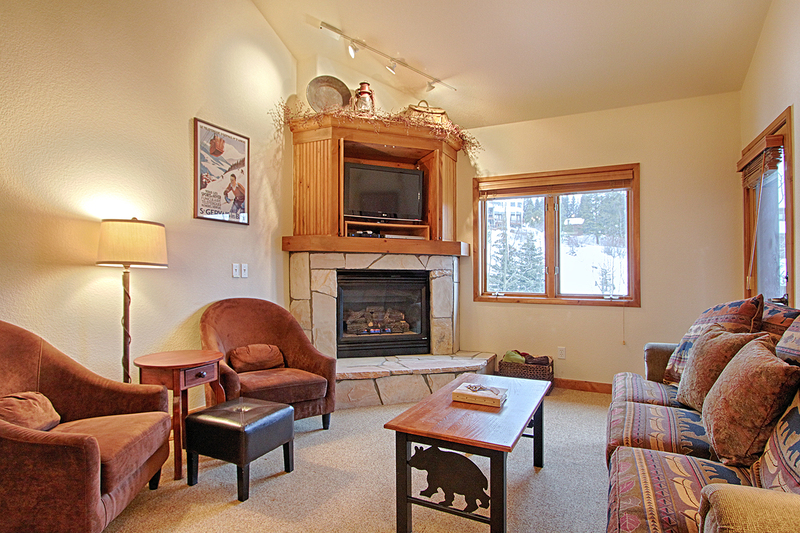 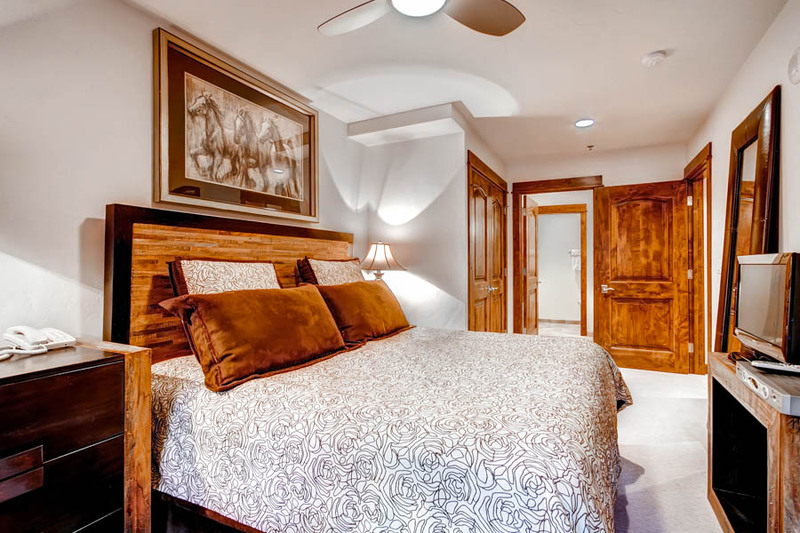 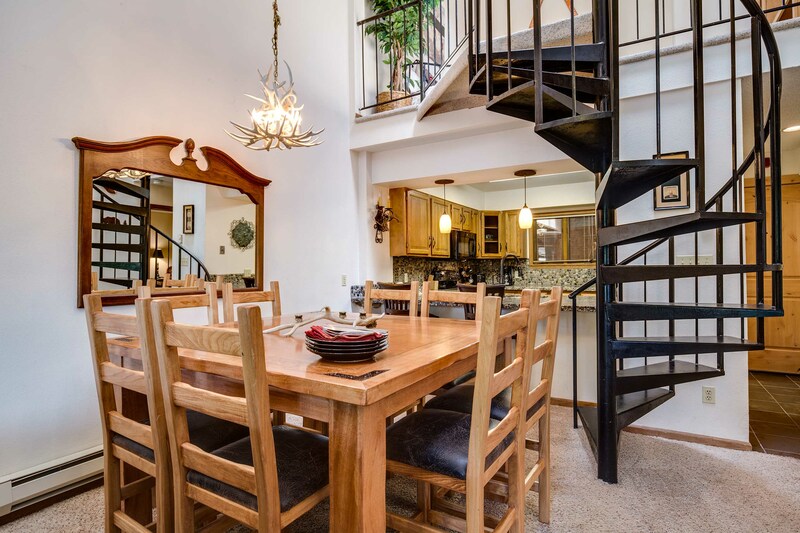 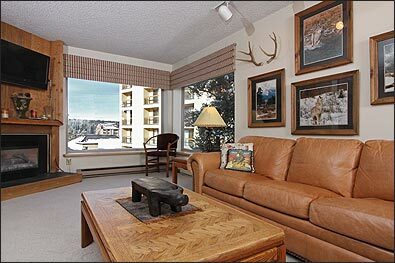 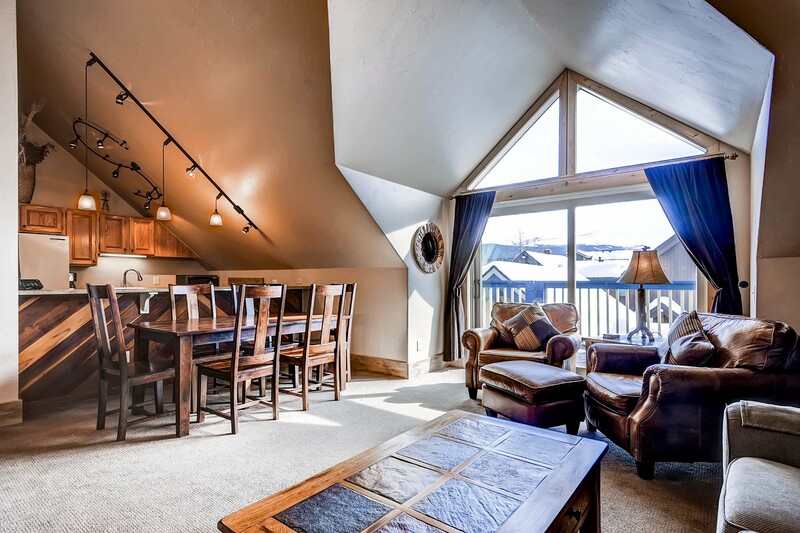 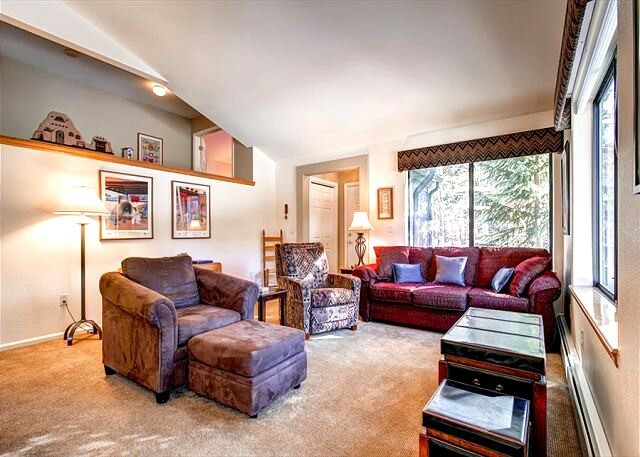 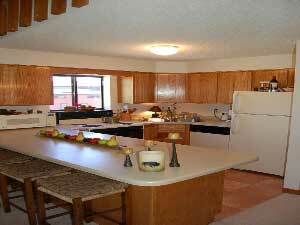 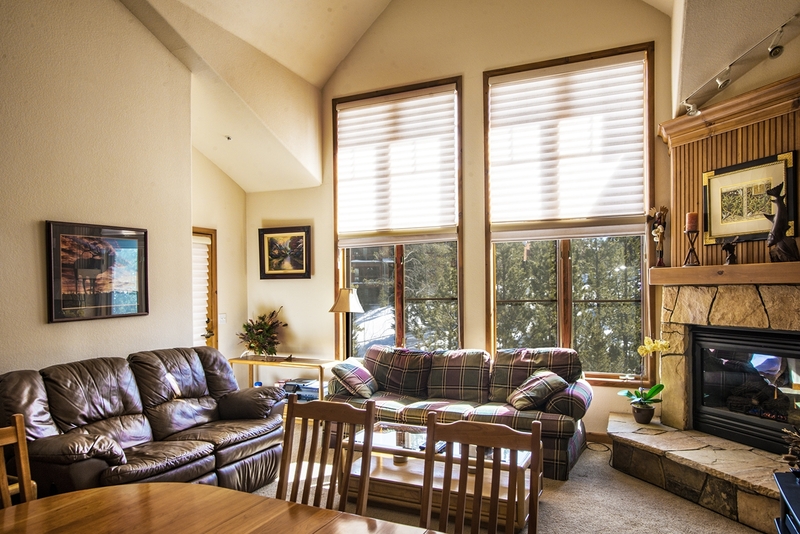 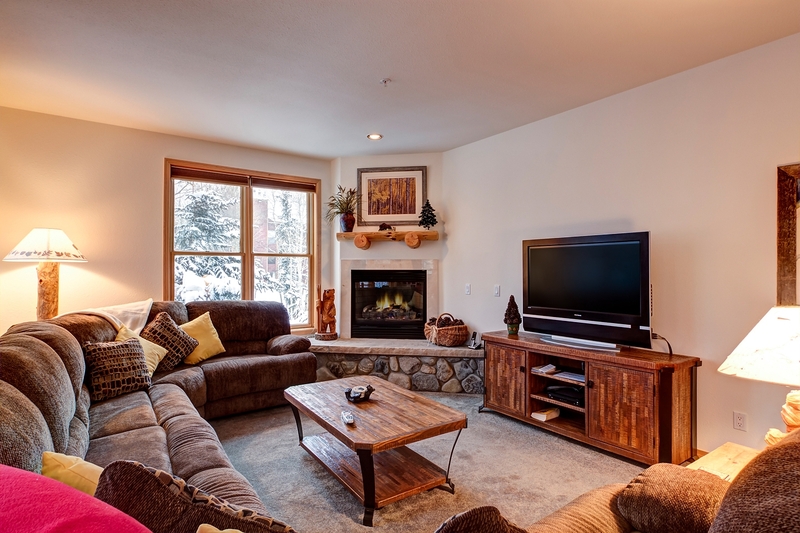 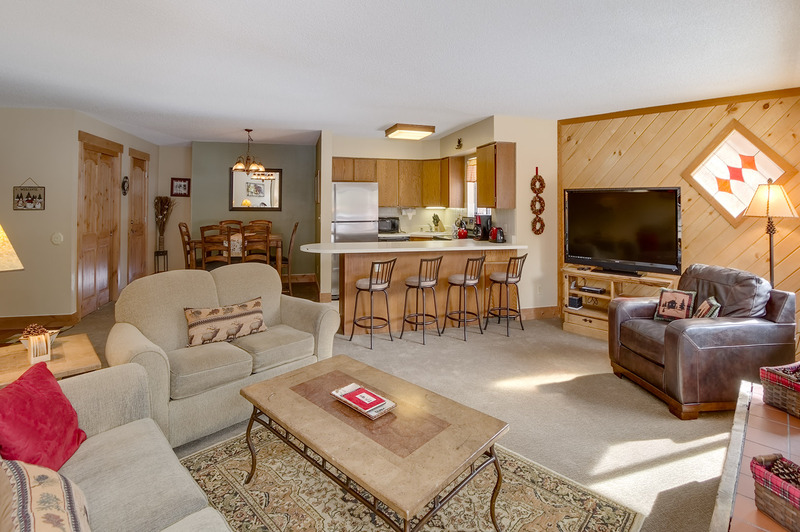 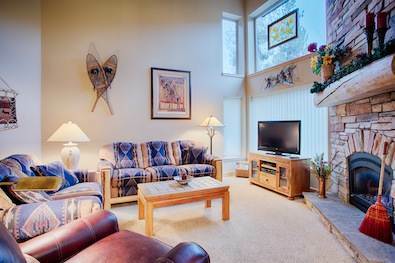 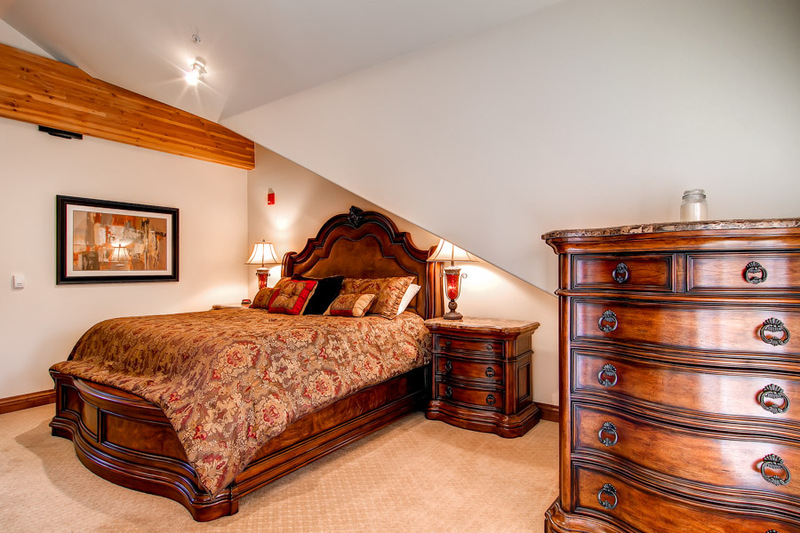 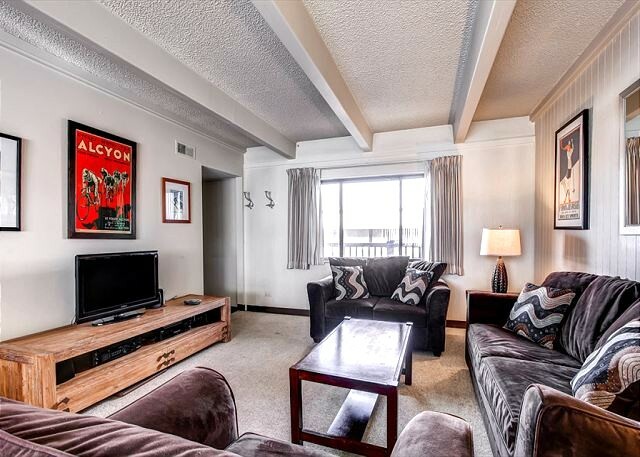 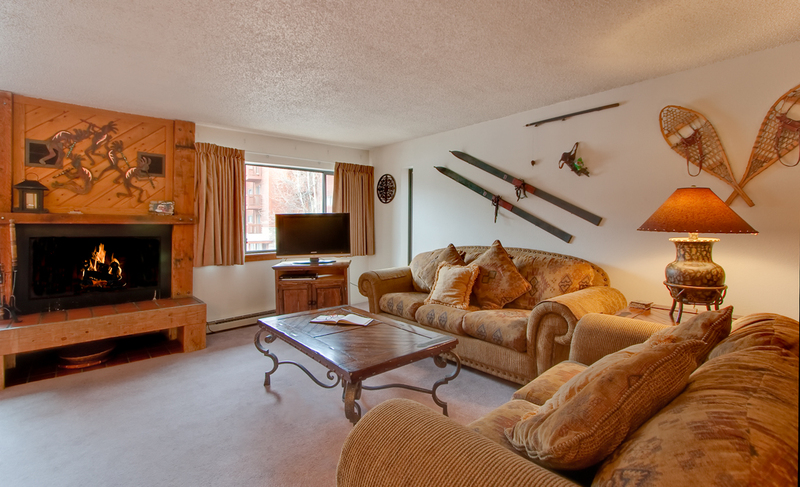 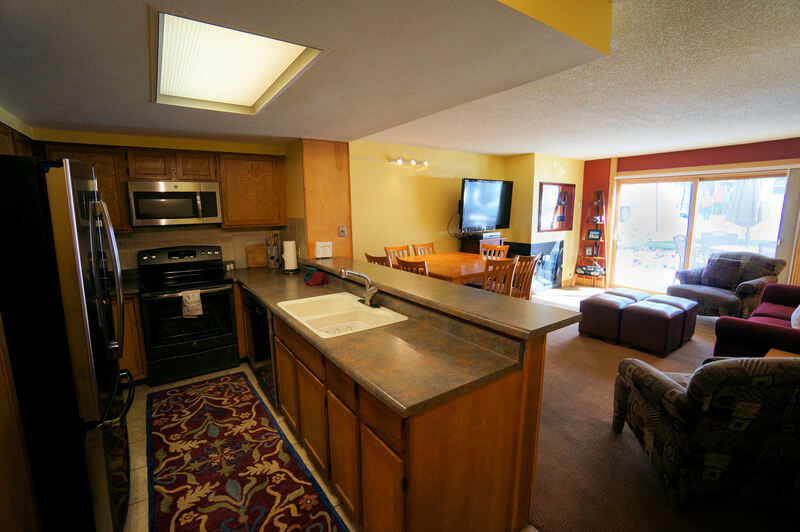 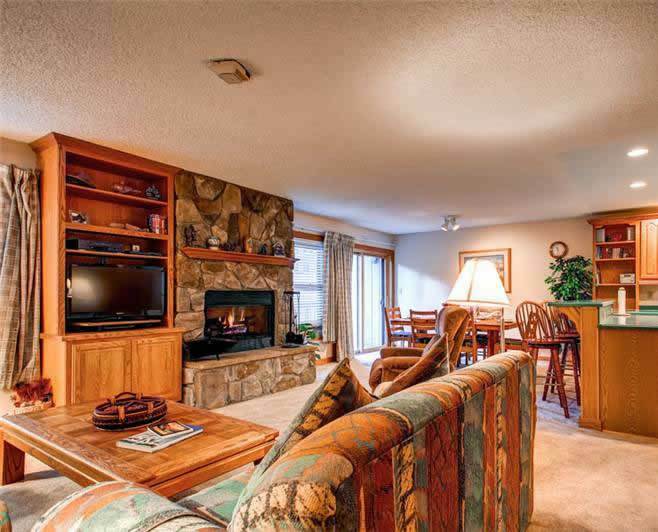 This spacious top floor condo provides guests with great views of the Snowflake Lift from two private balconies! 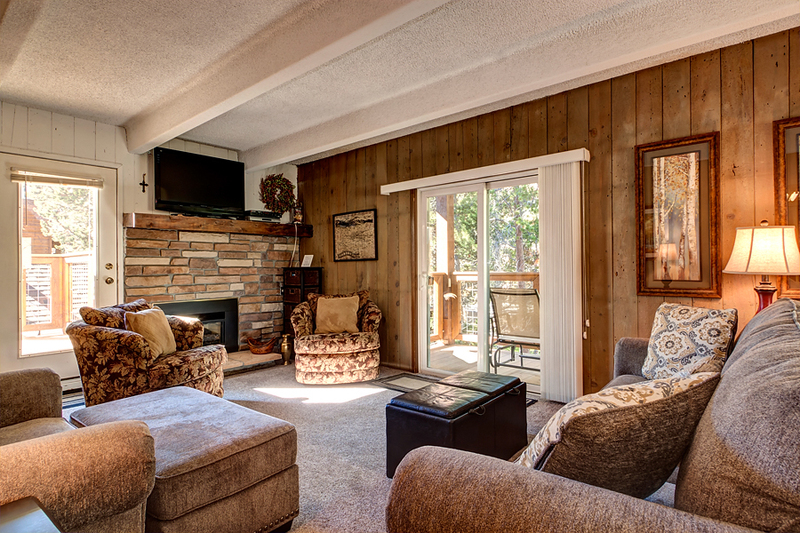 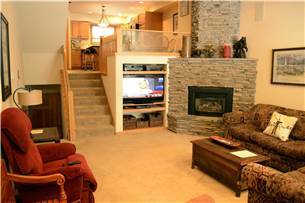 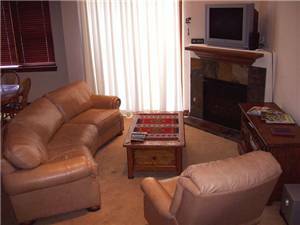 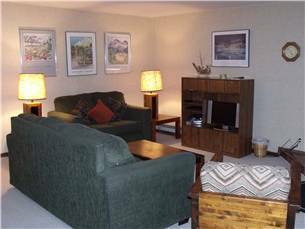 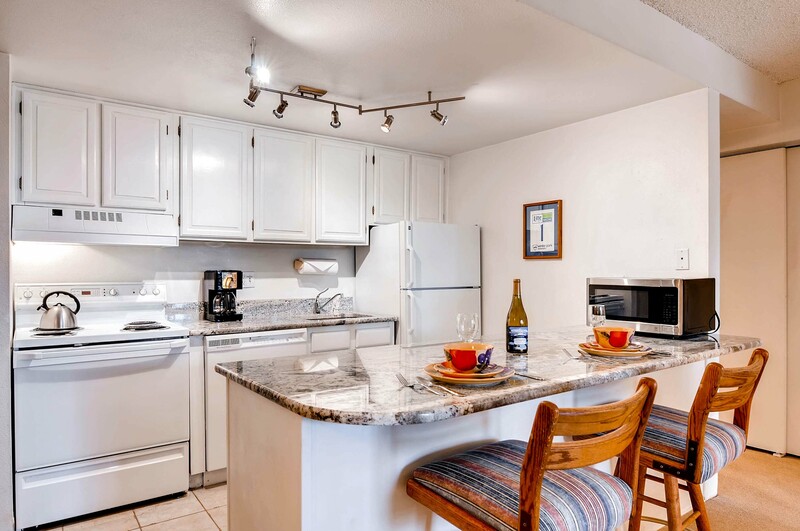 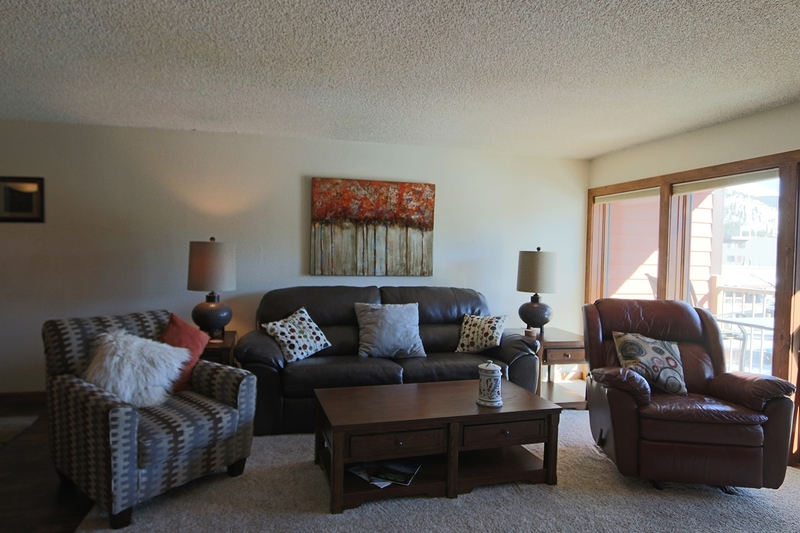 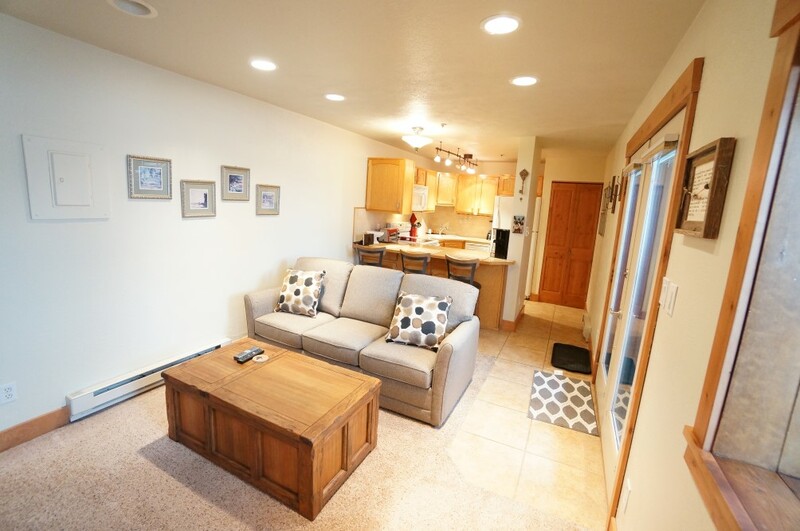 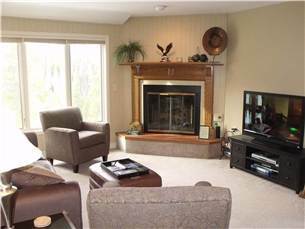 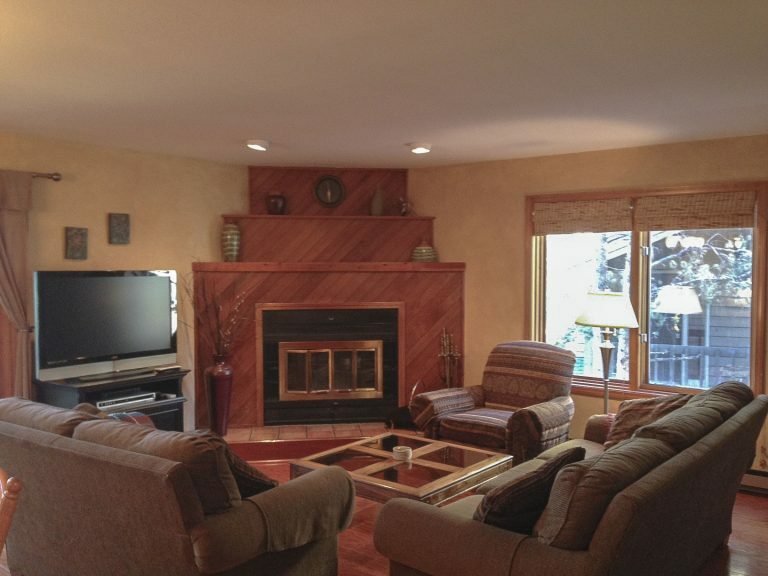 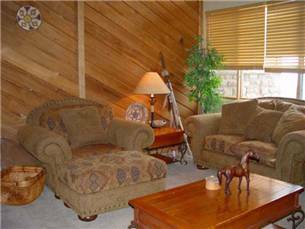 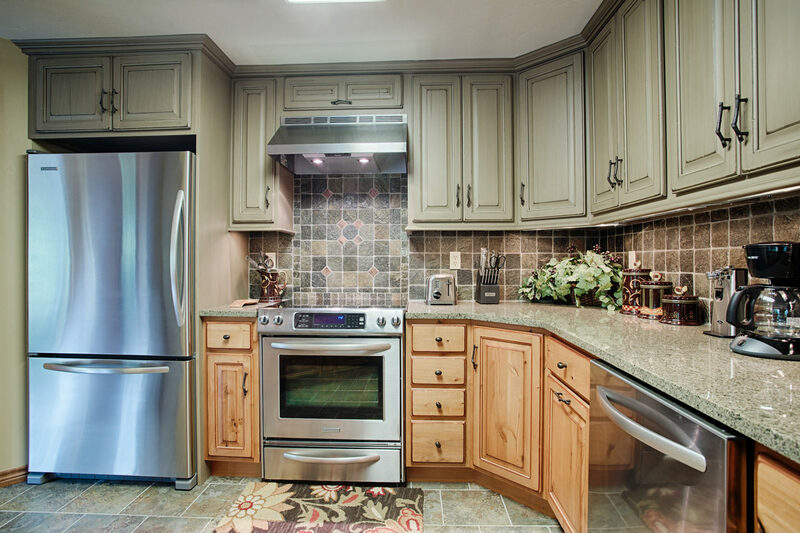 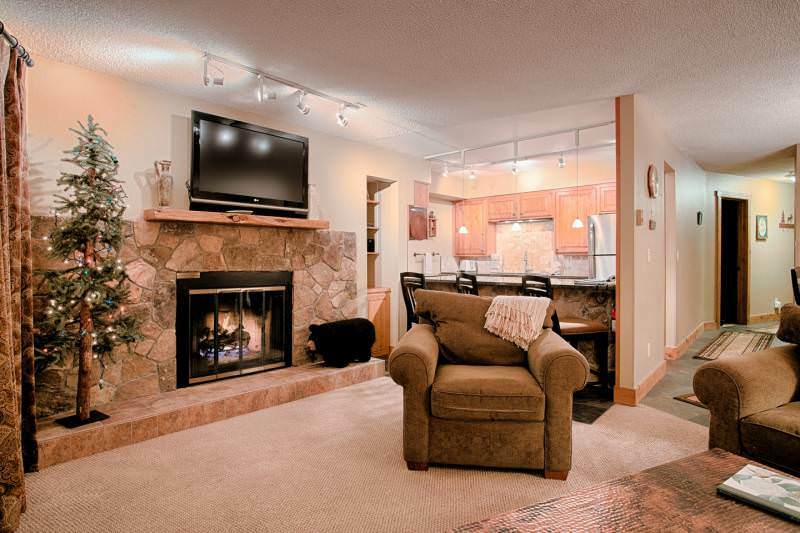 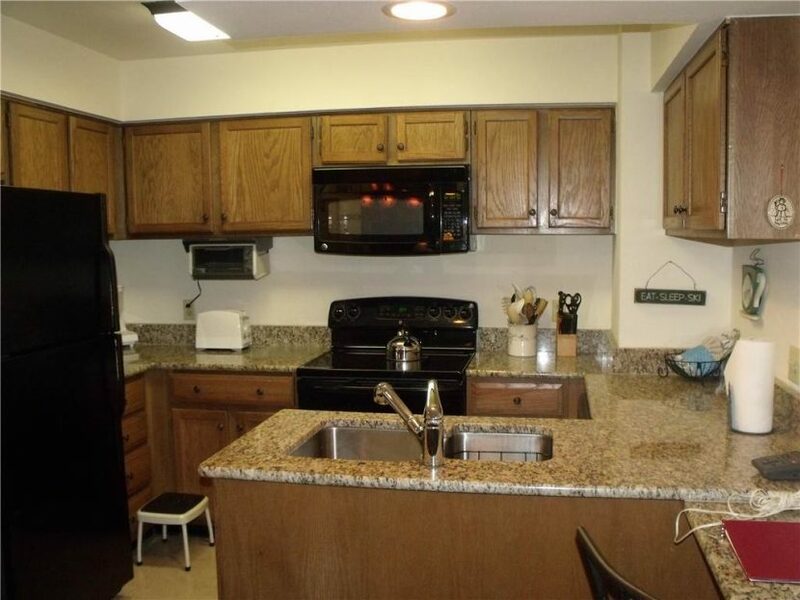 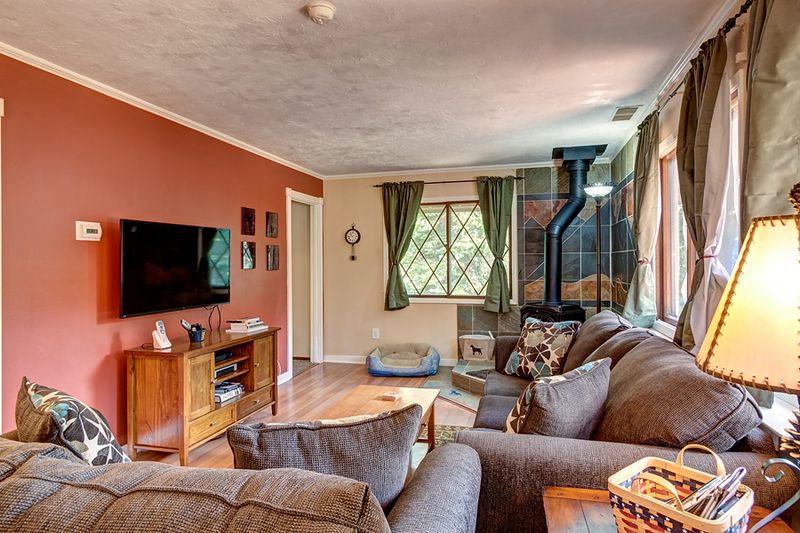 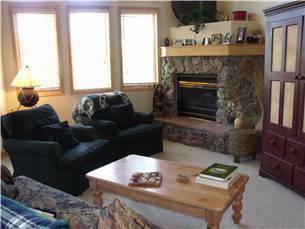 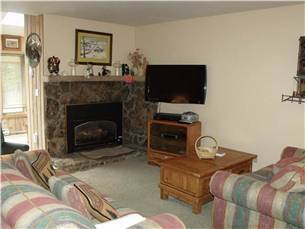 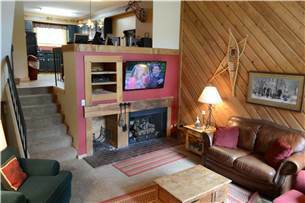 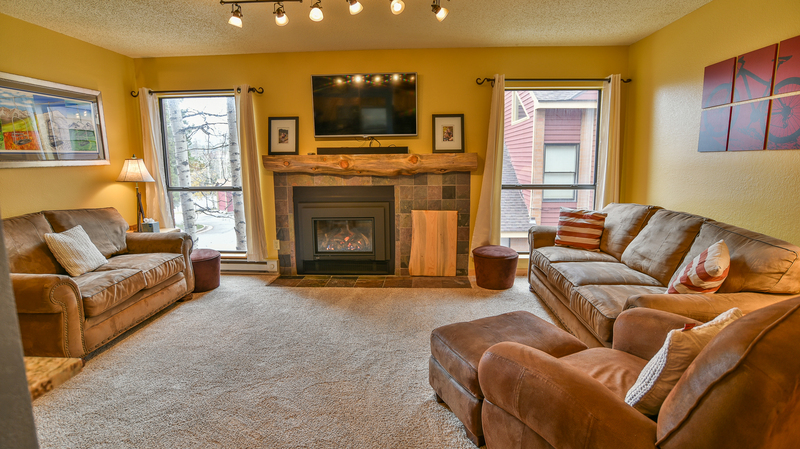 Guests can enjoy this comfortable floorplan which offers a gas fireplace in the living room, full kitchen, and stackable washer/dryer. 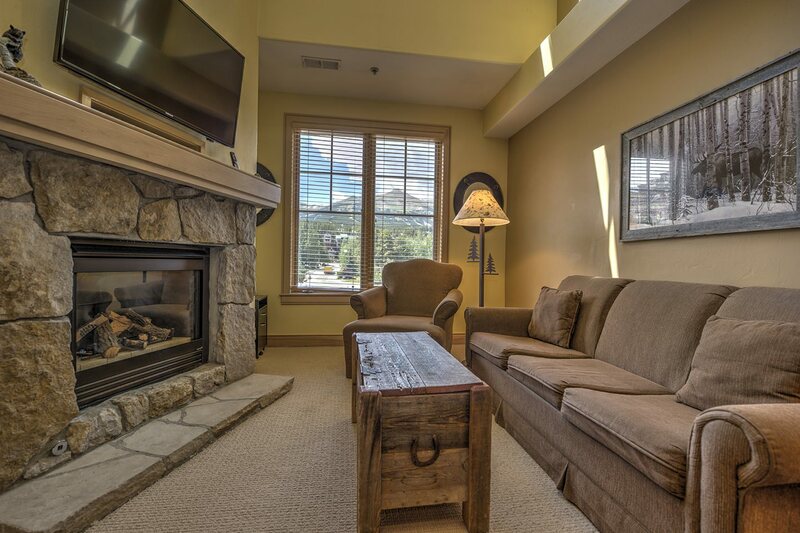 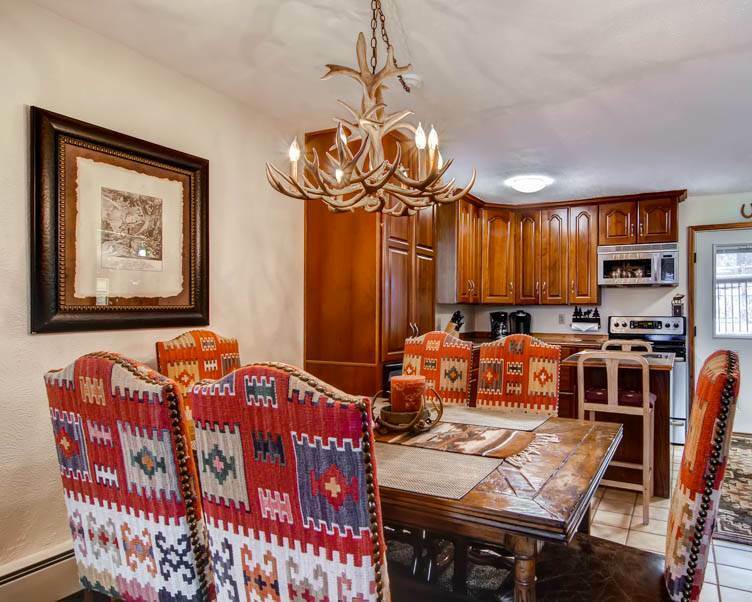 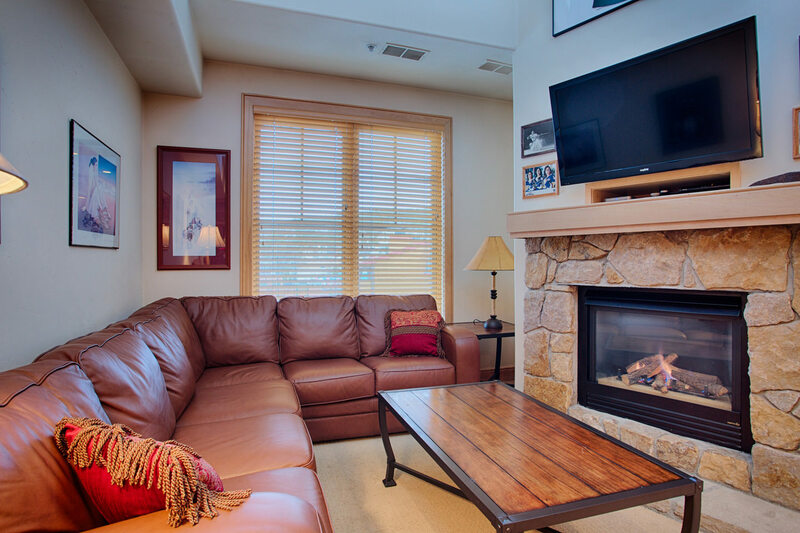 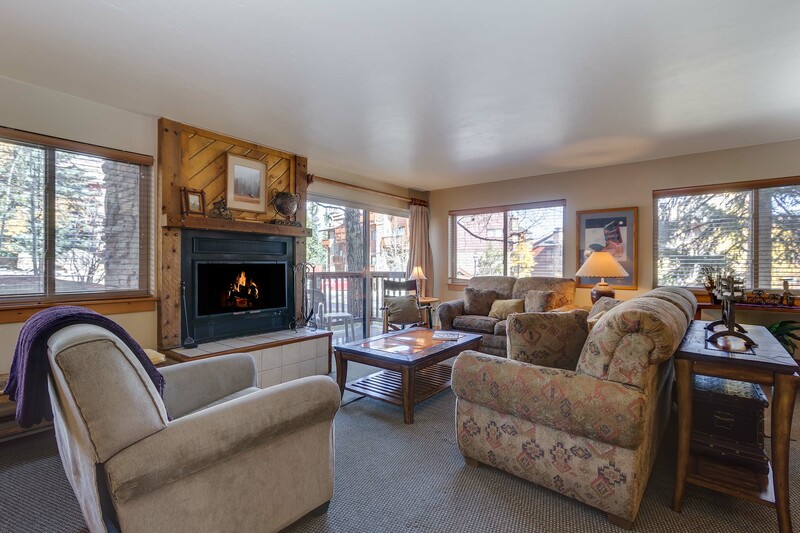 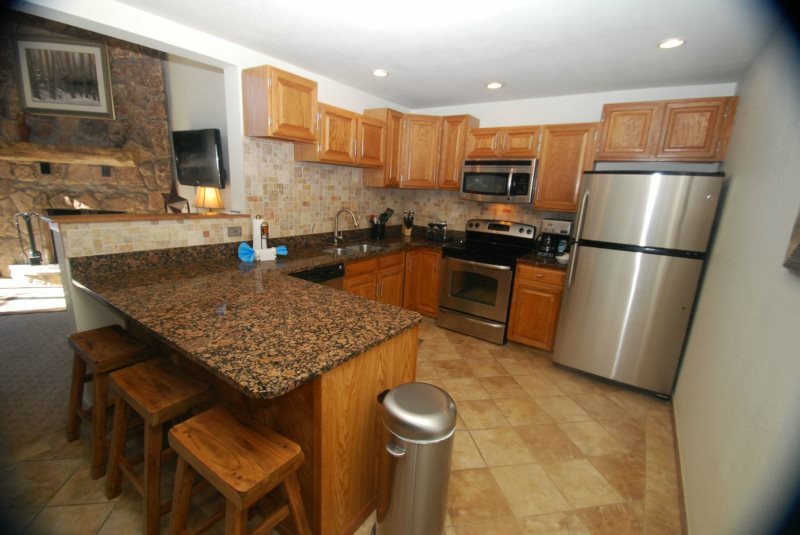 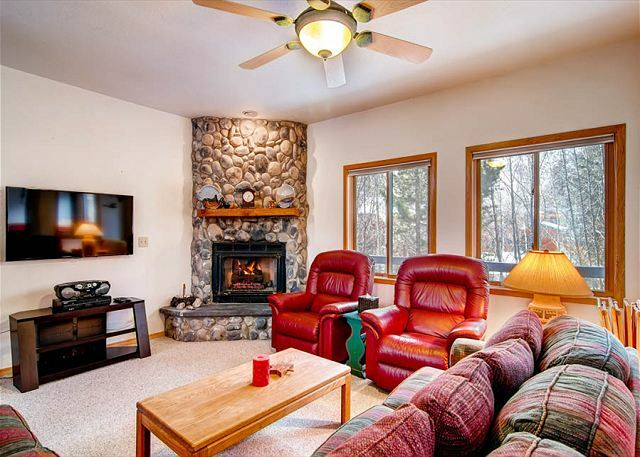 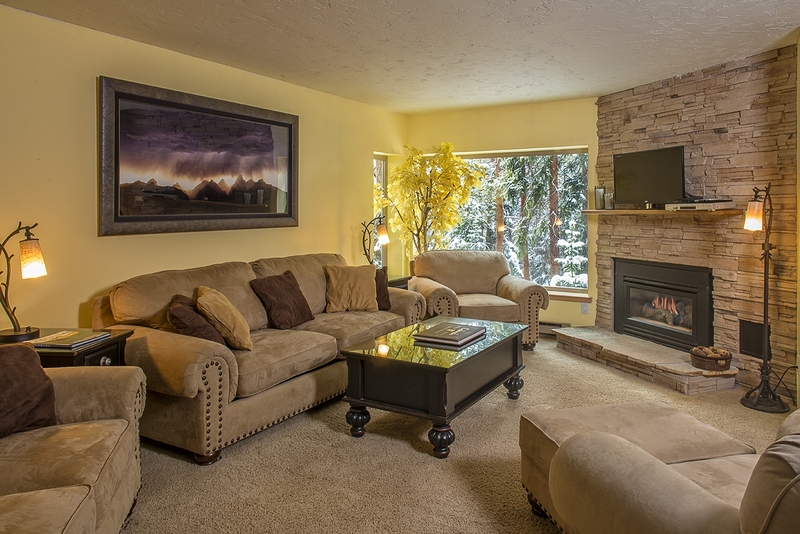 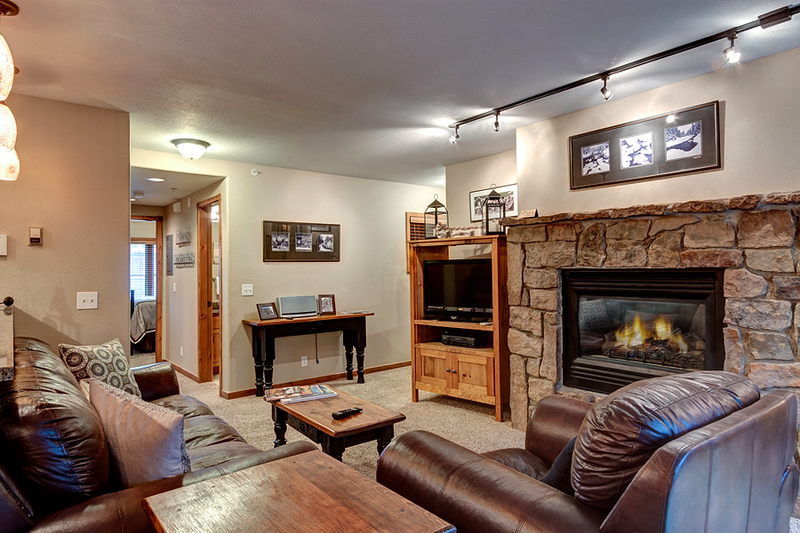 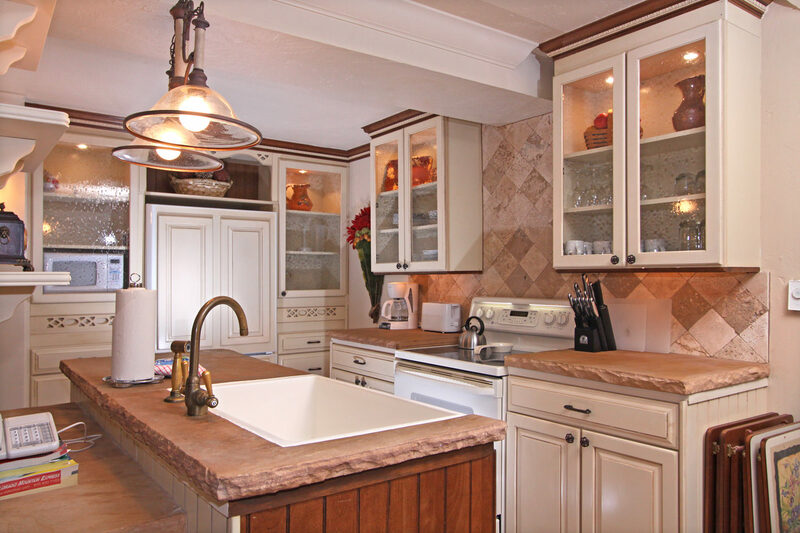 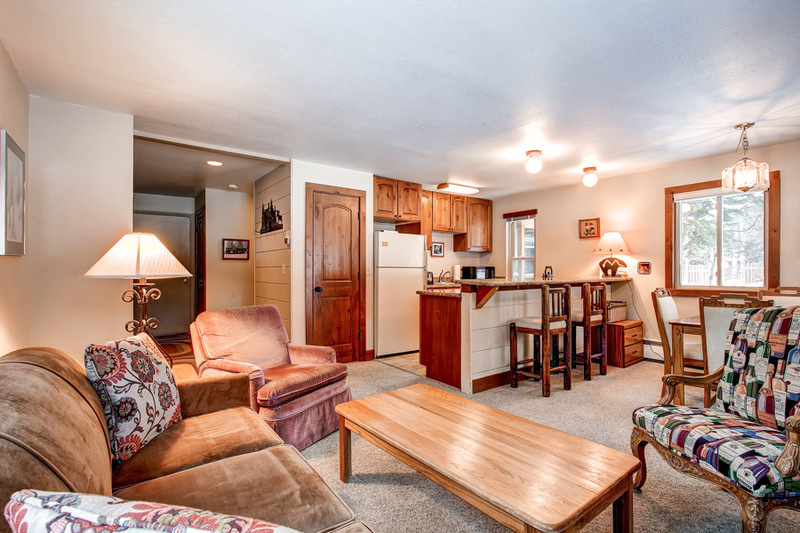 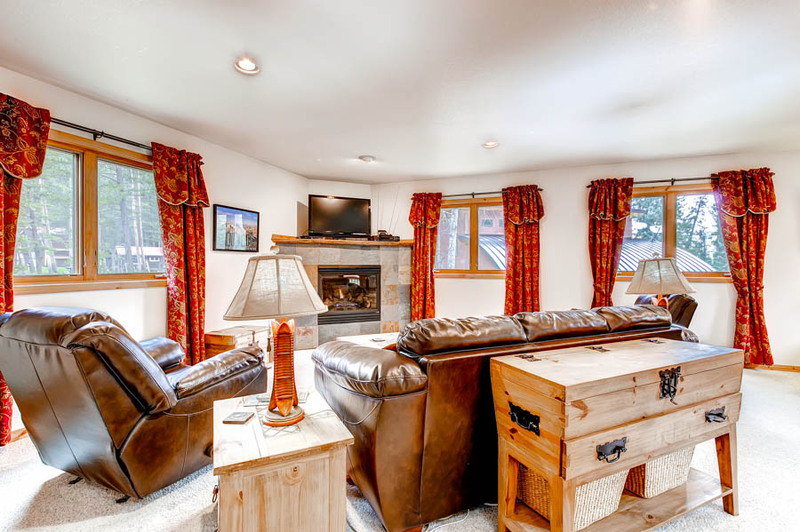 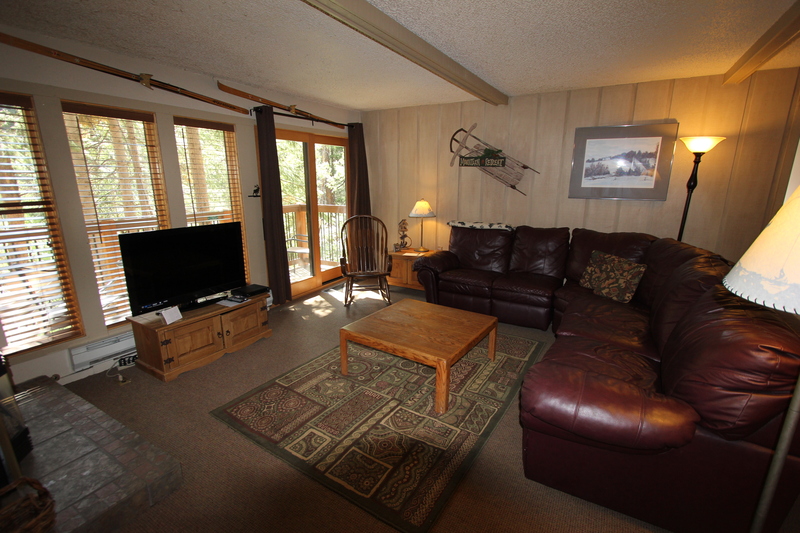 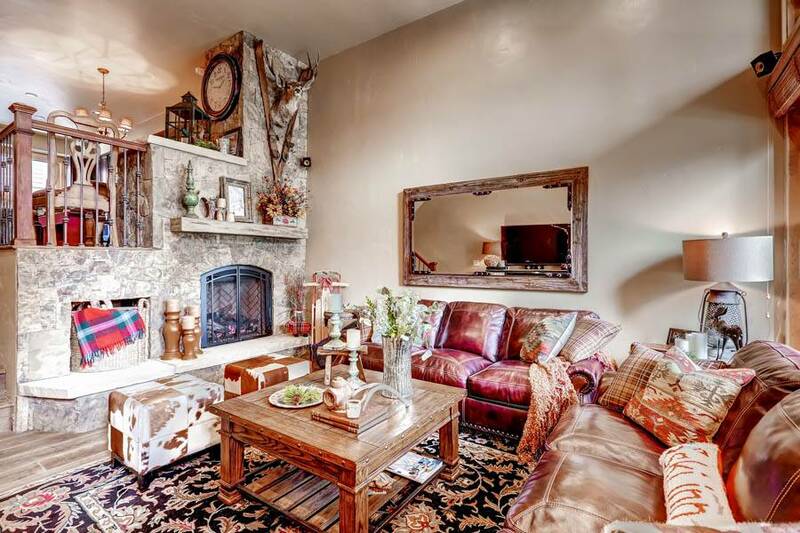 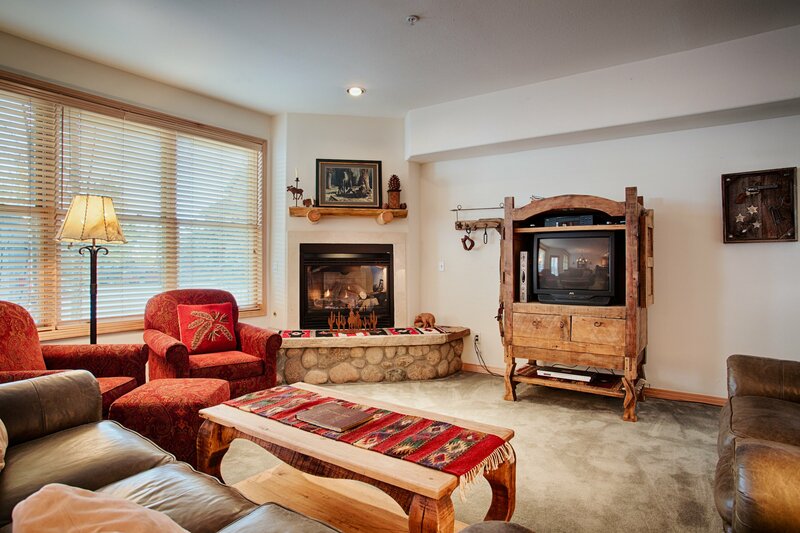 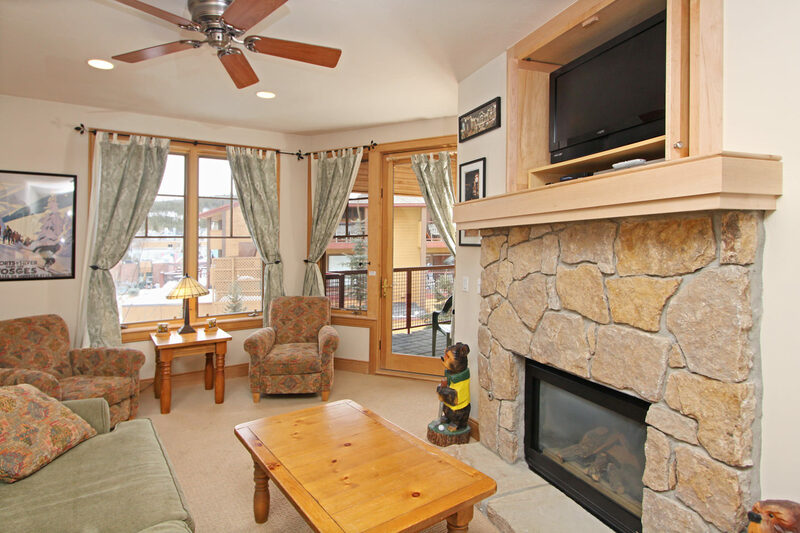 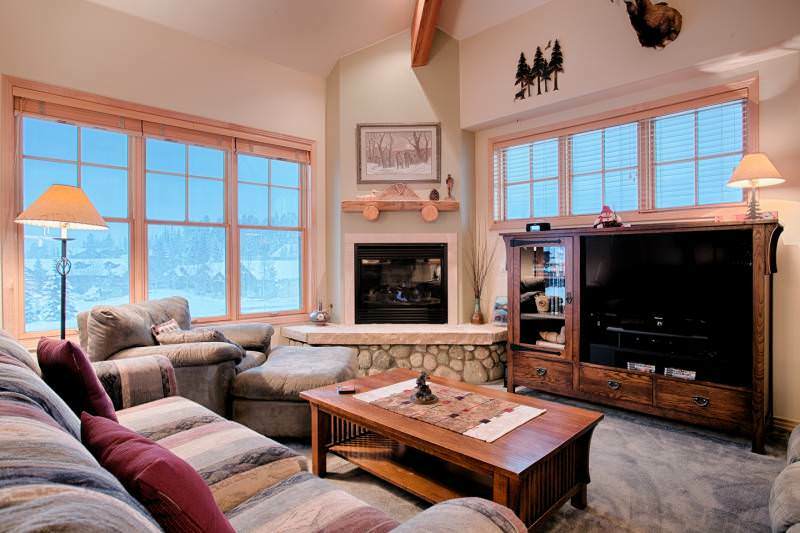 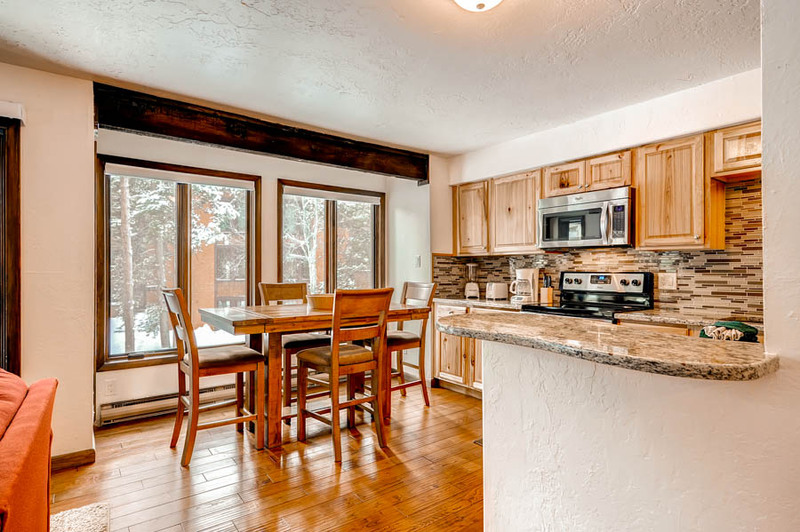 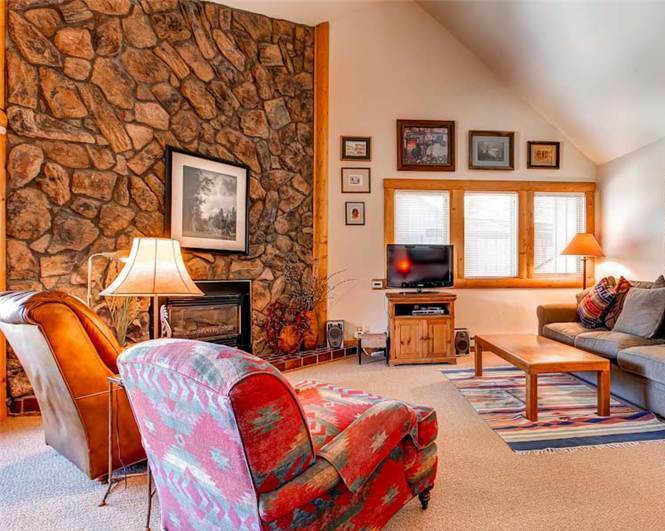 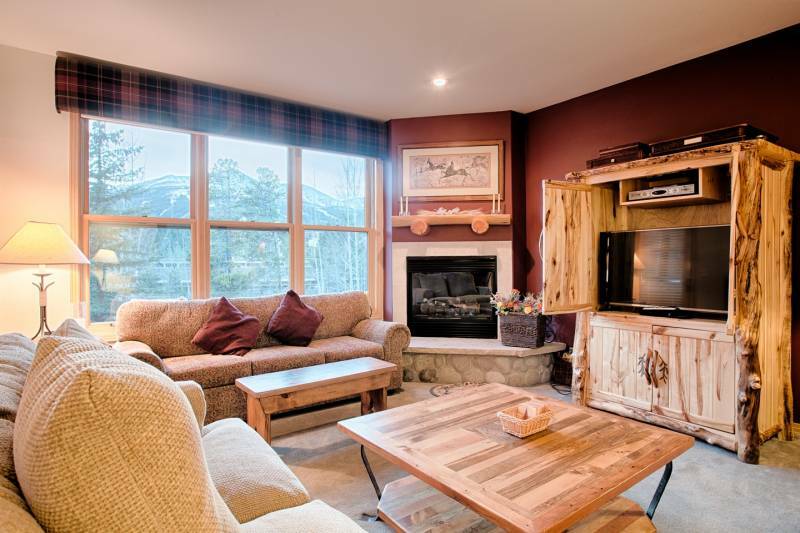 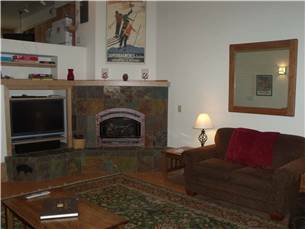 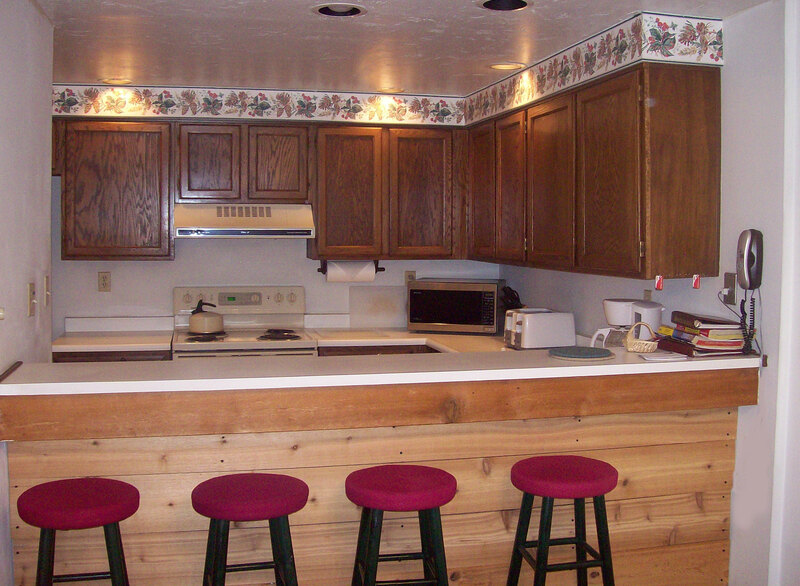 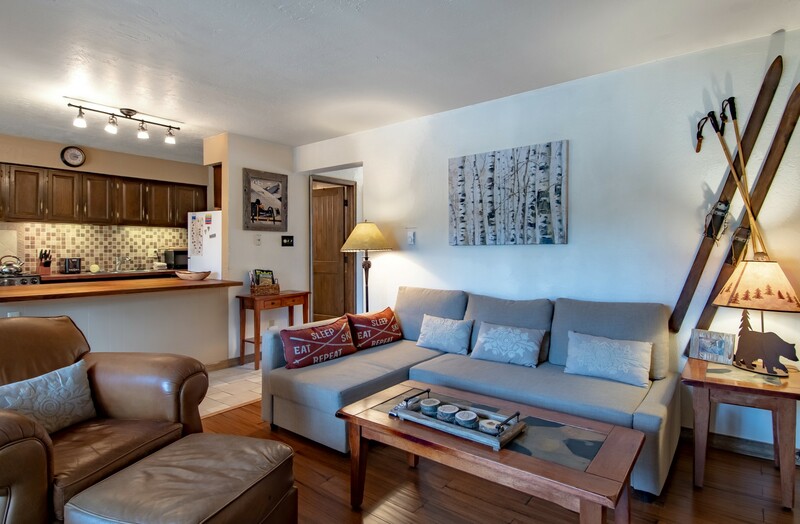 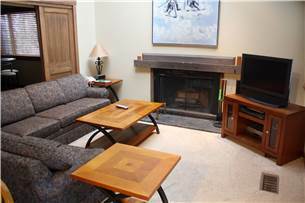 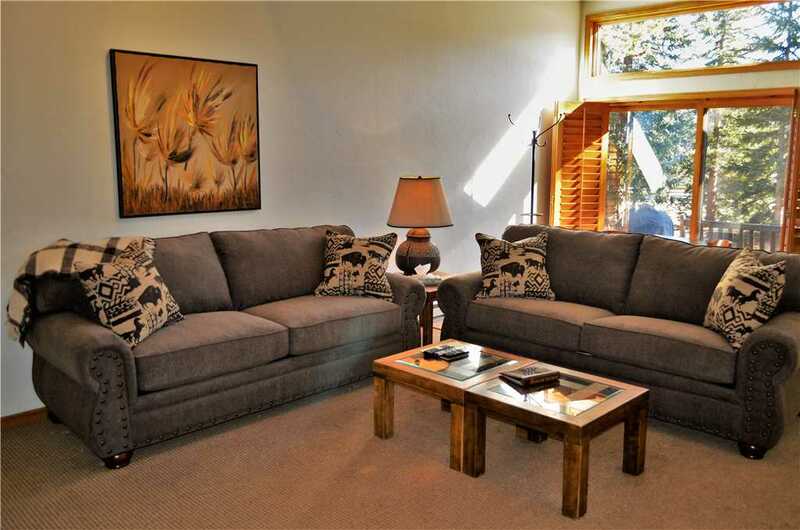 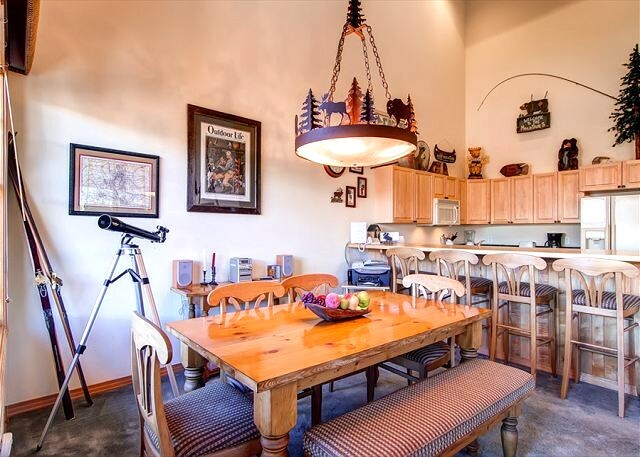 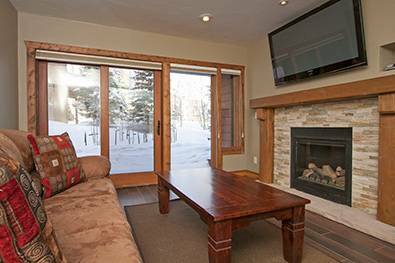 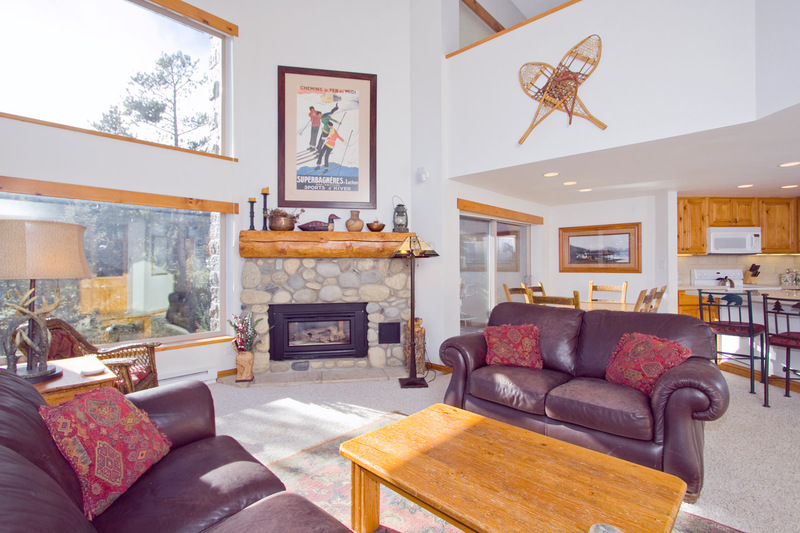 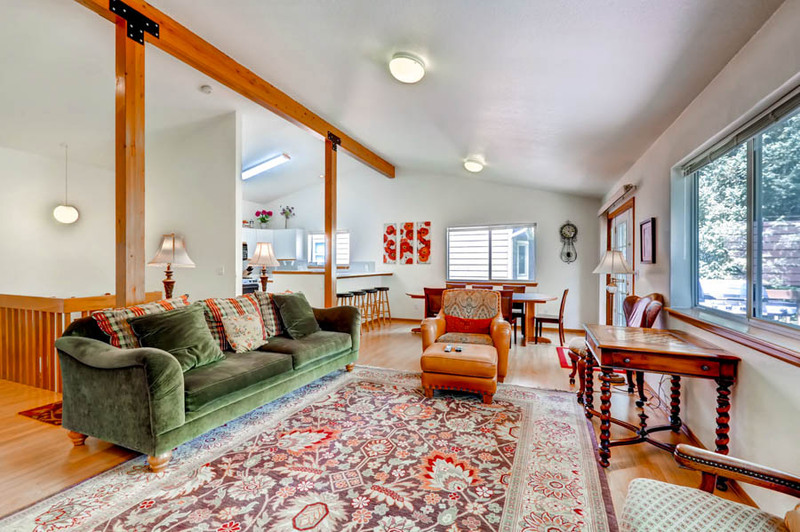 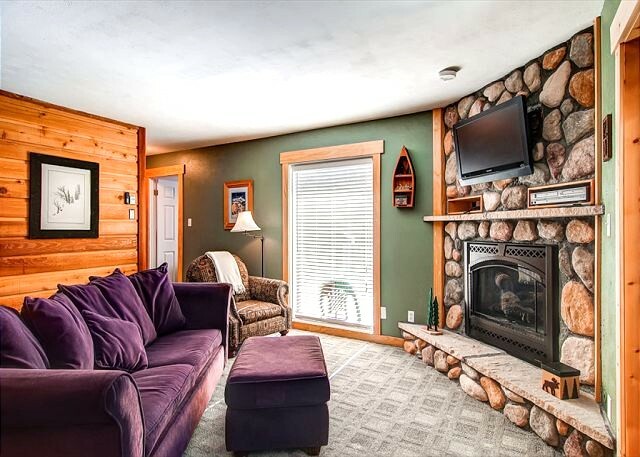 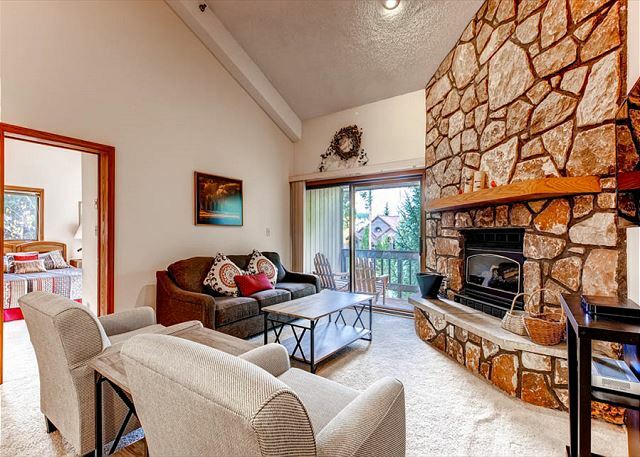 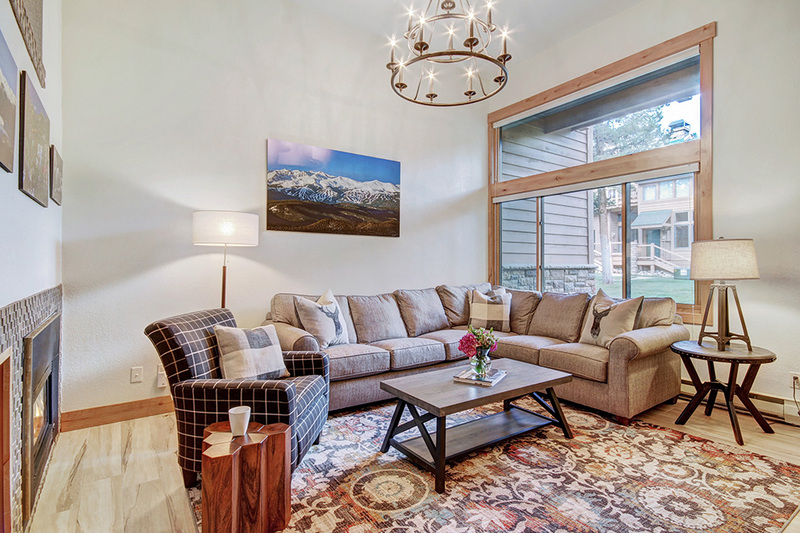 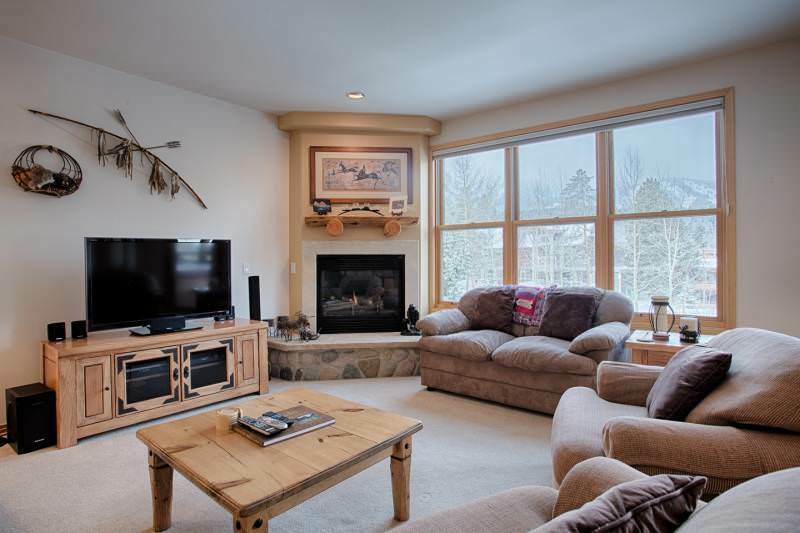 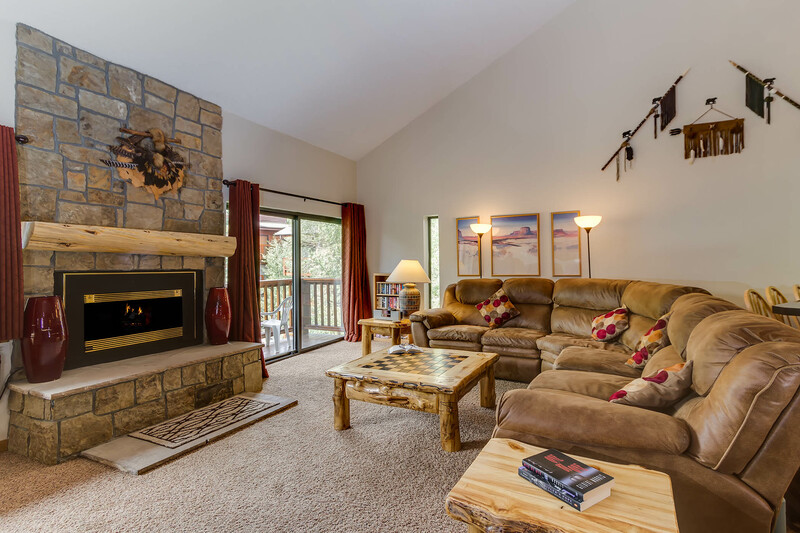 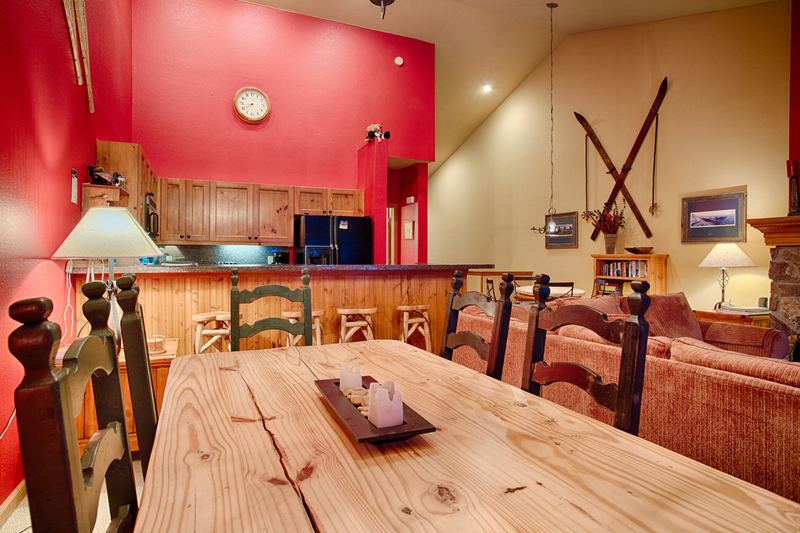 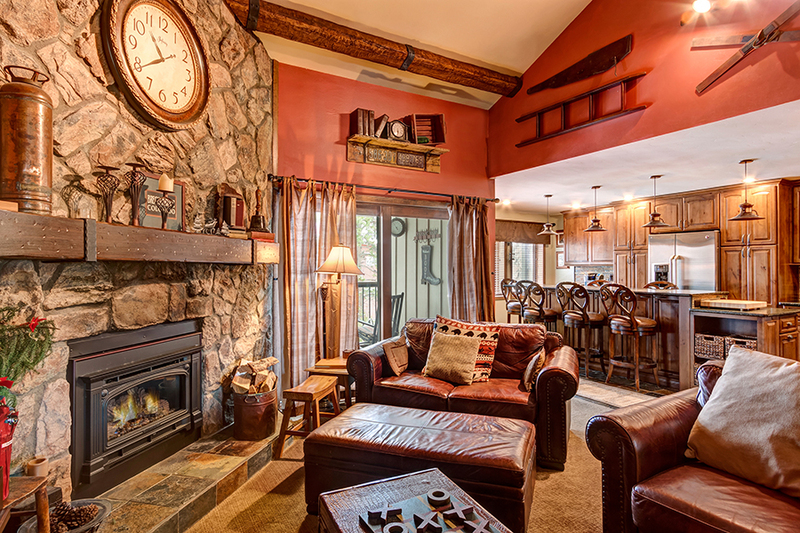 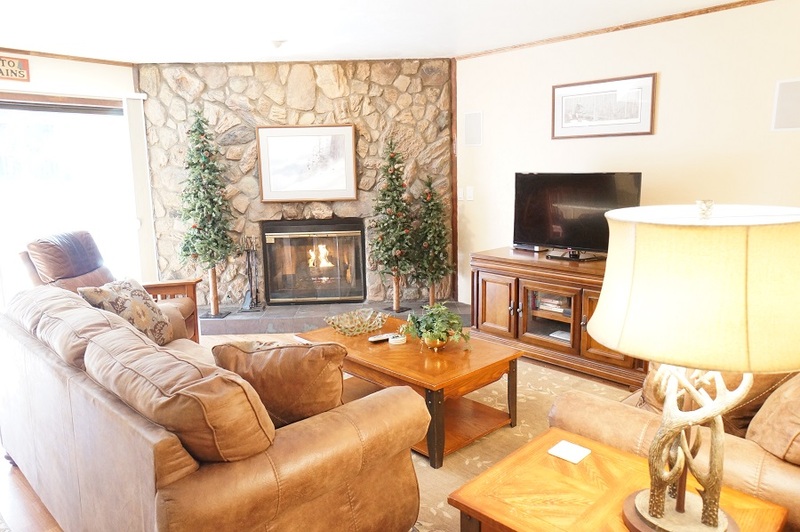 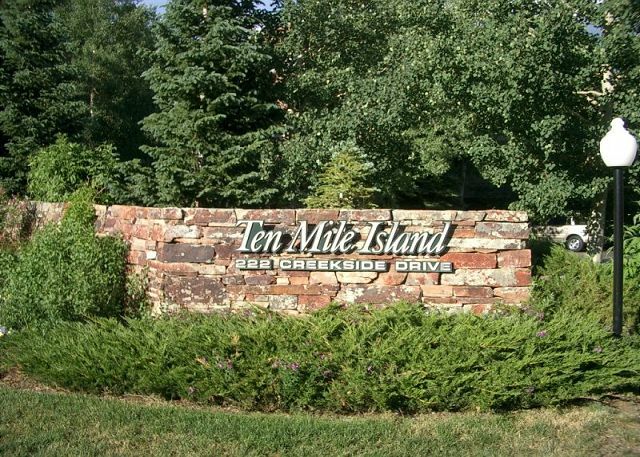 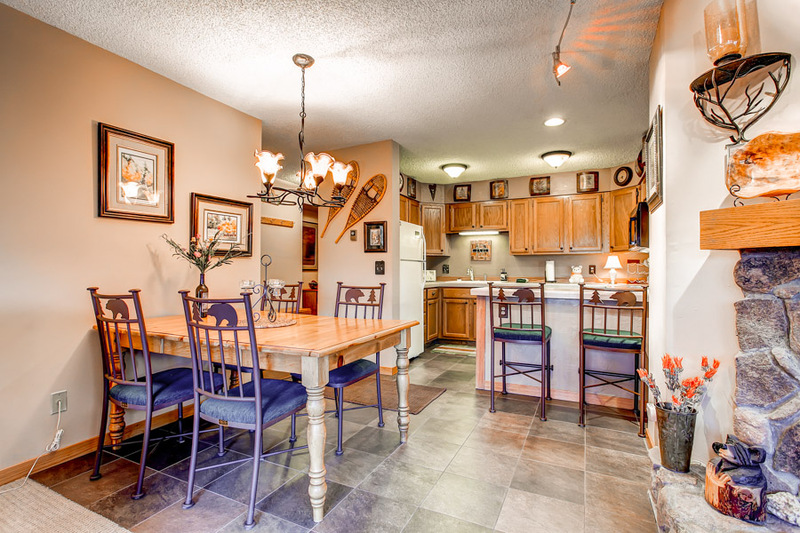 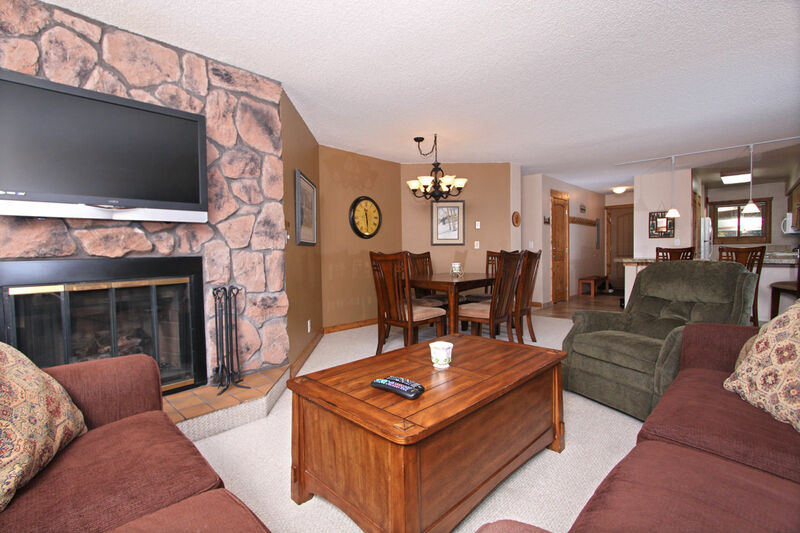 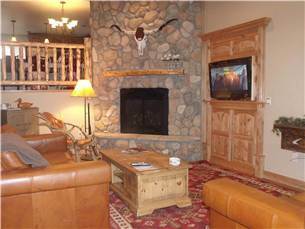 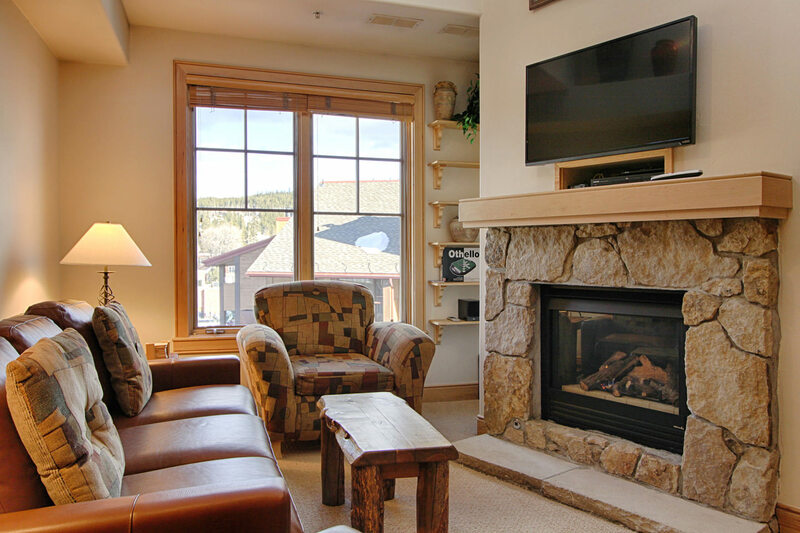 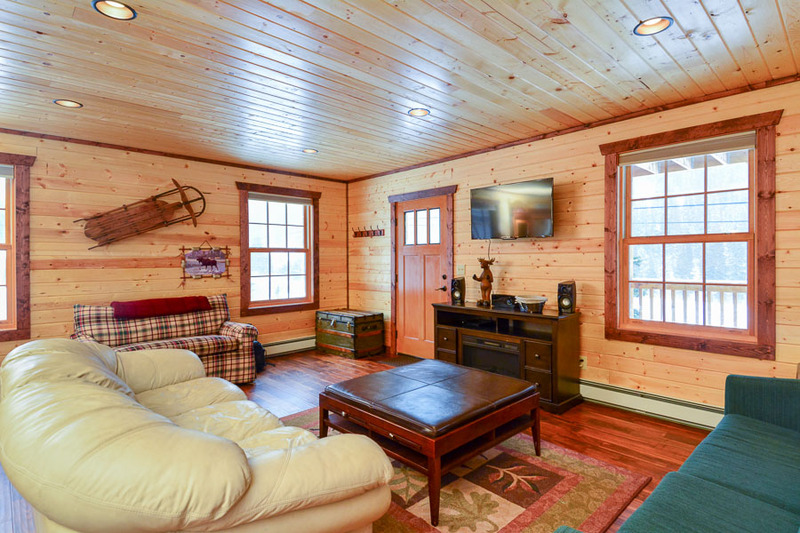 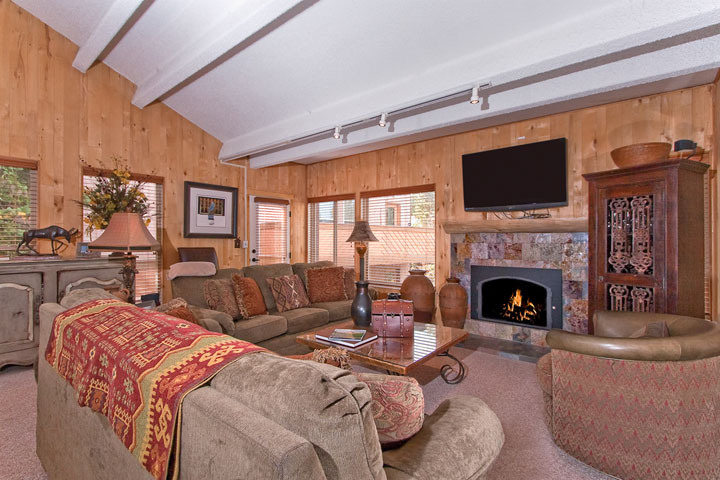 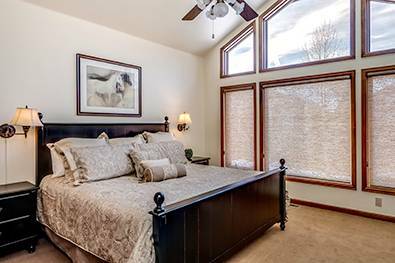 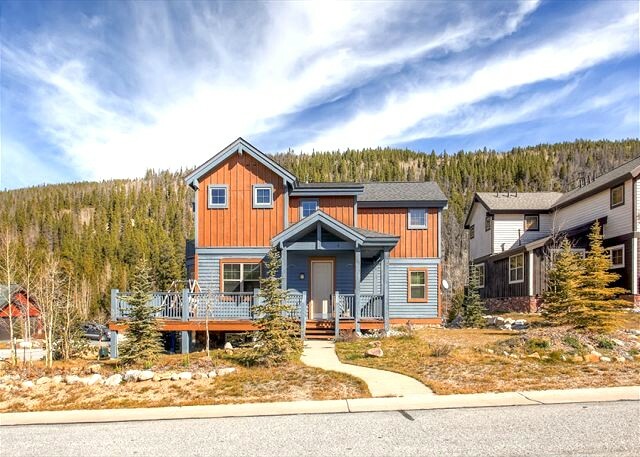 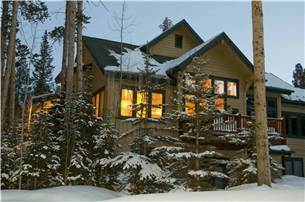 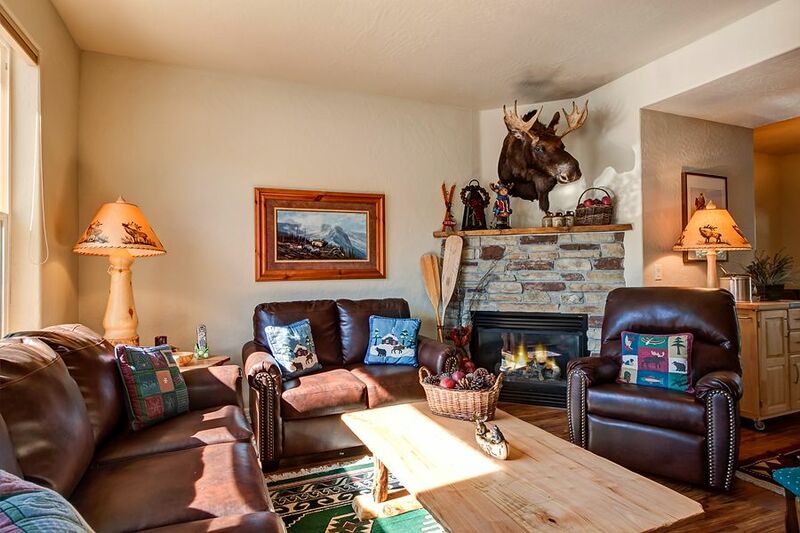 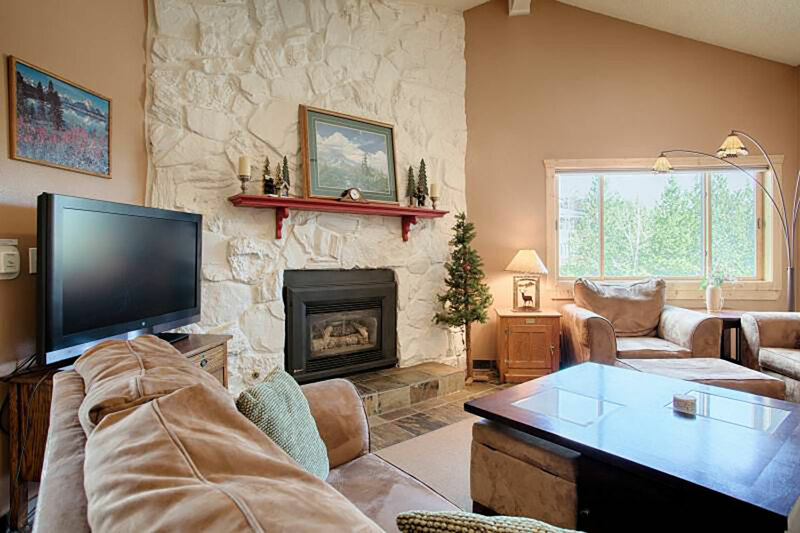 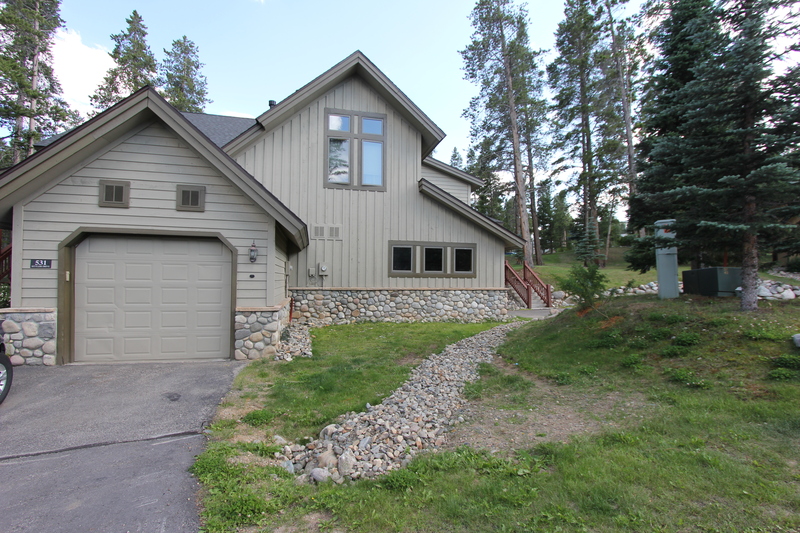 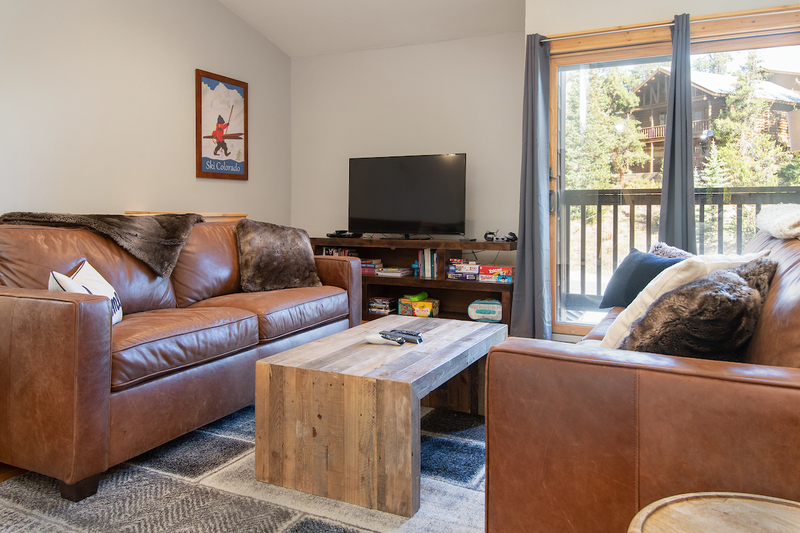 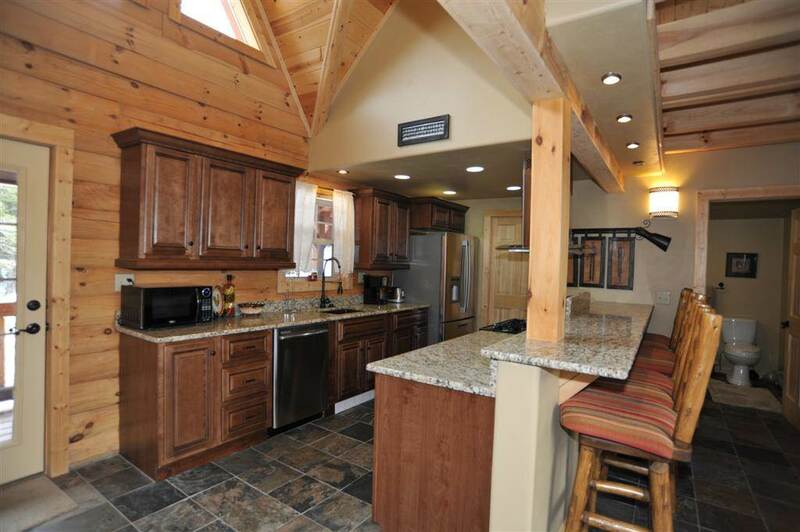 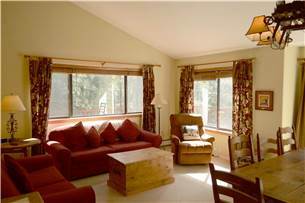 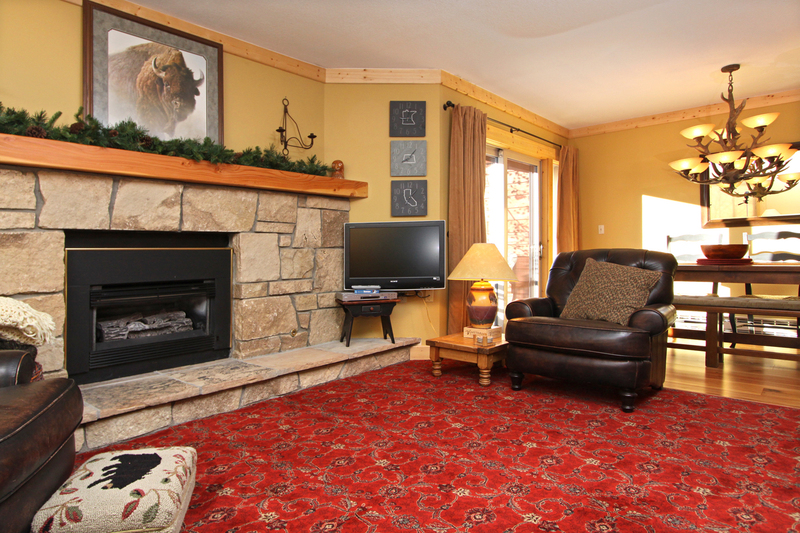 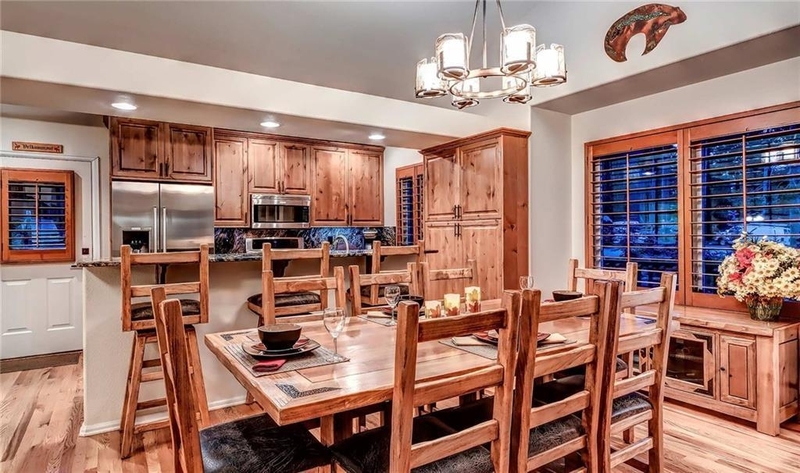 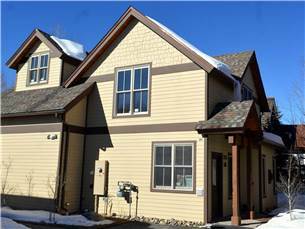 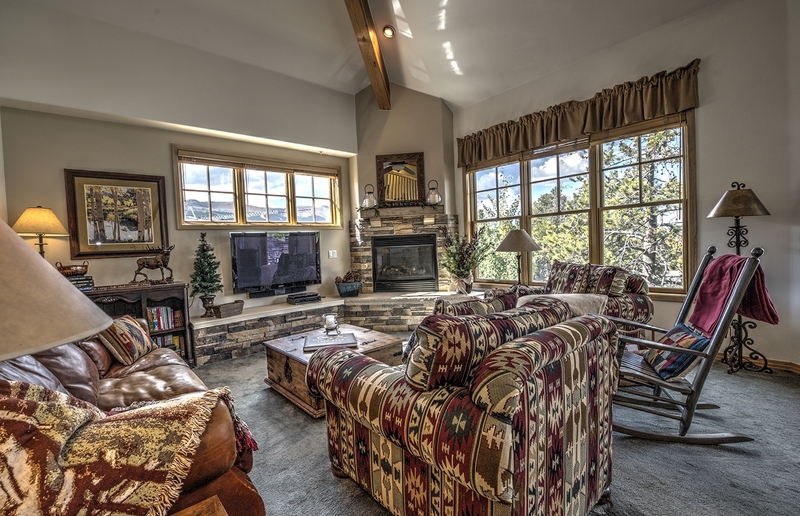 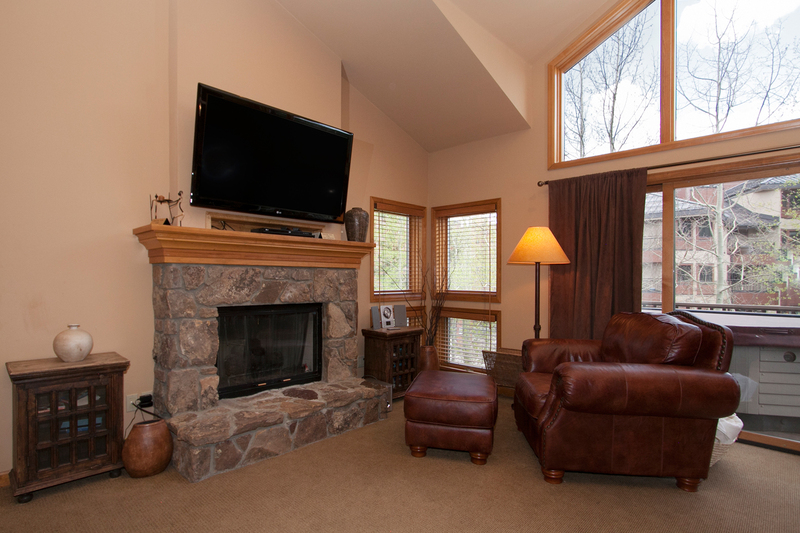 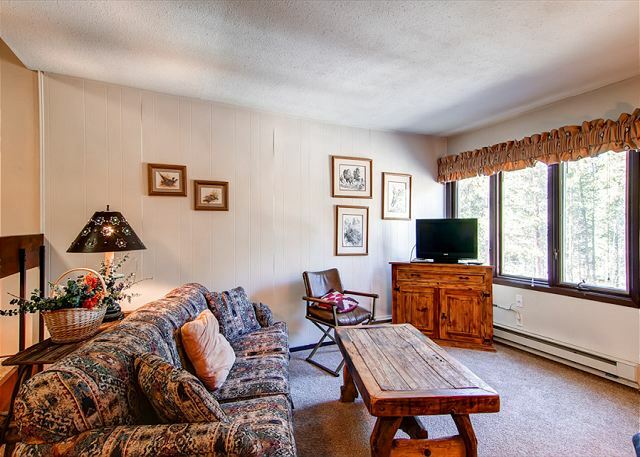 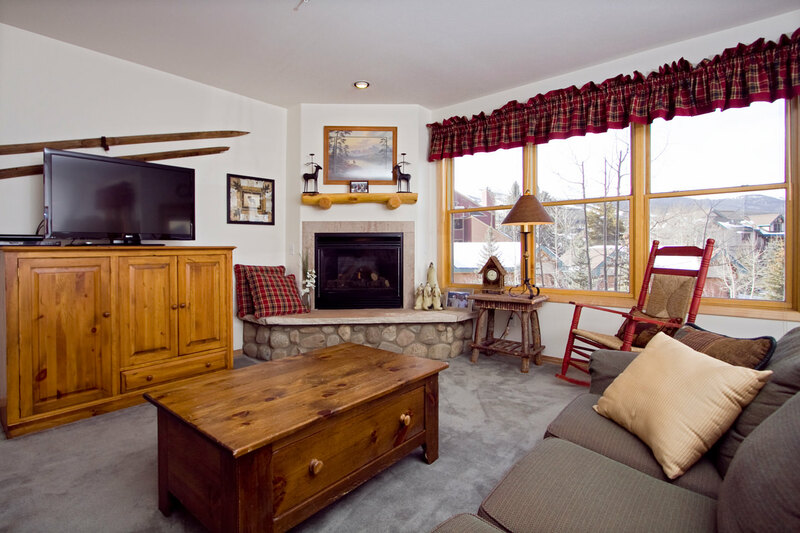 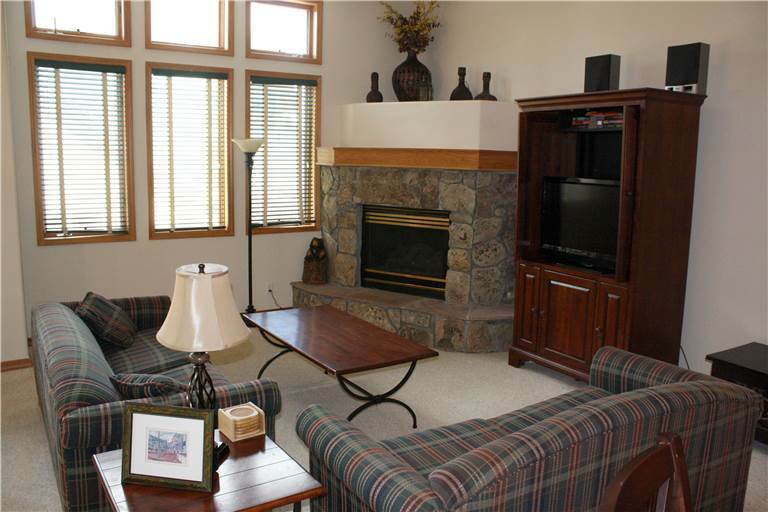 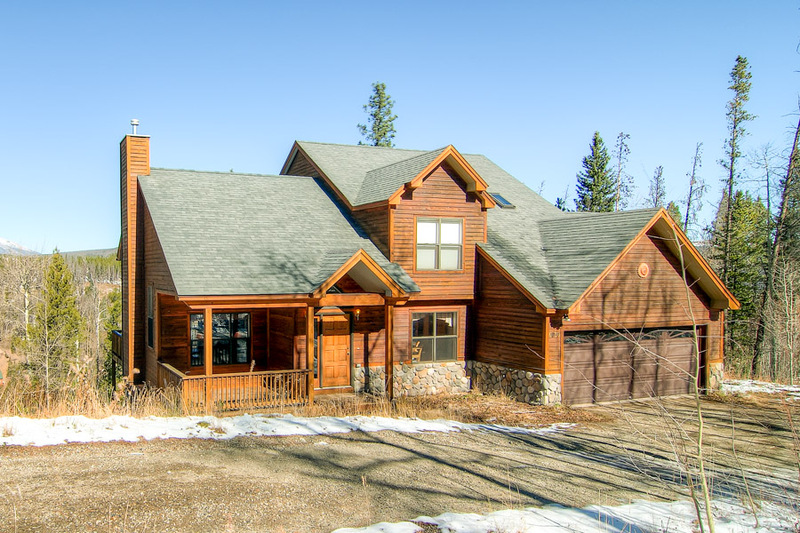 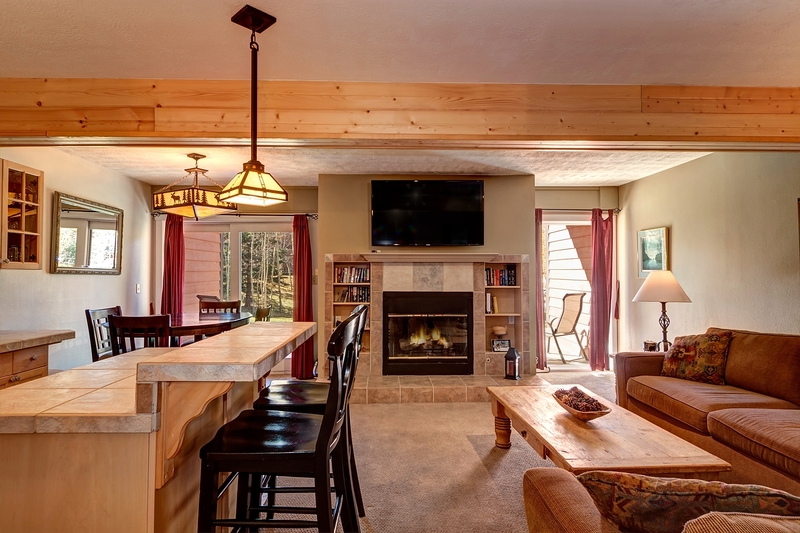 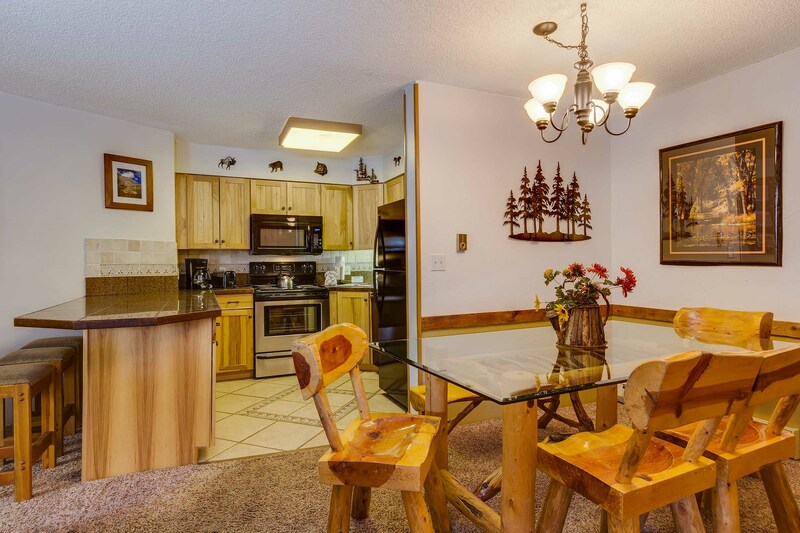 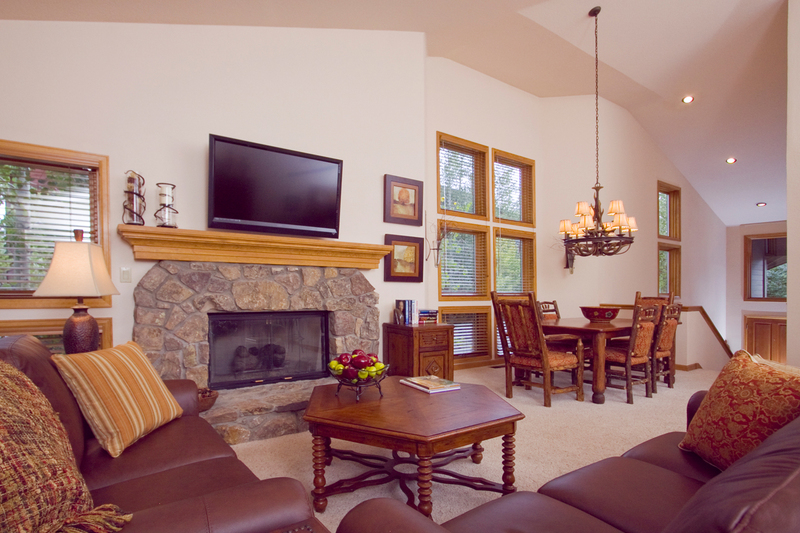 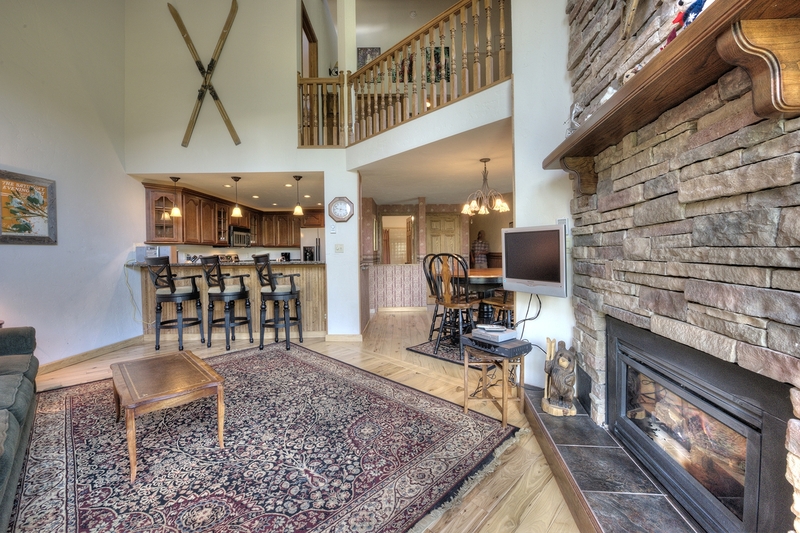 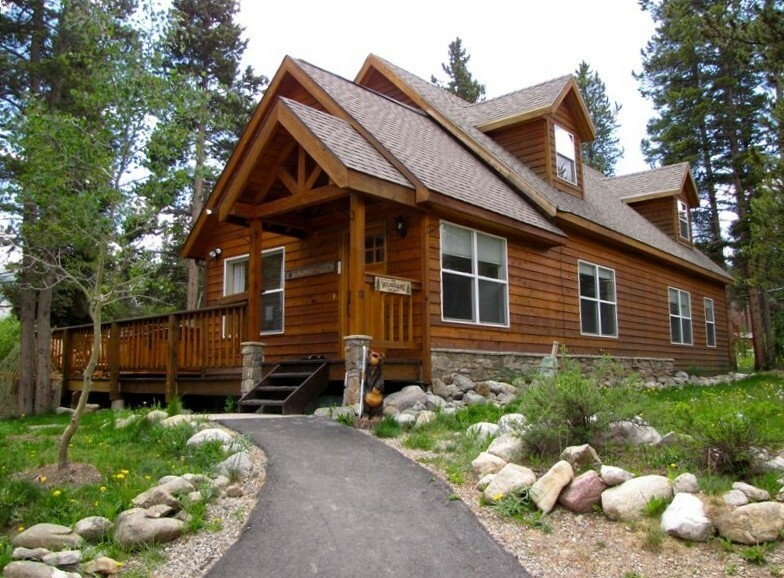 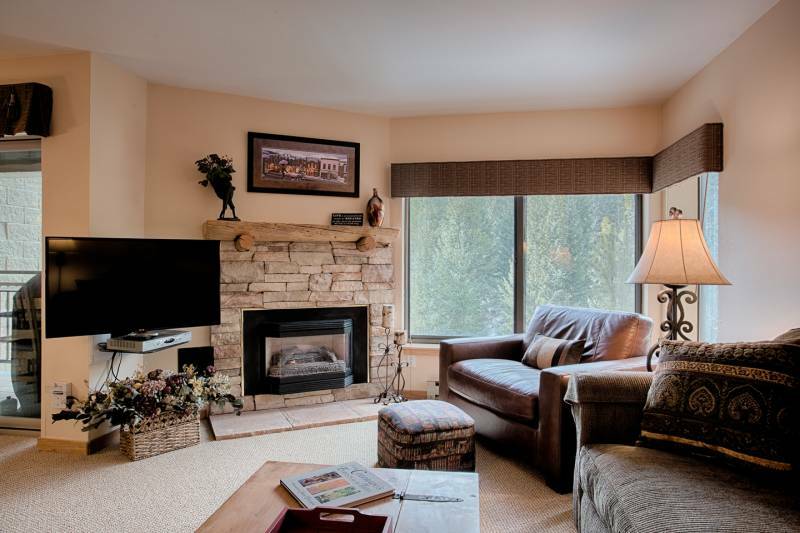 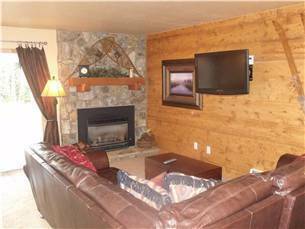 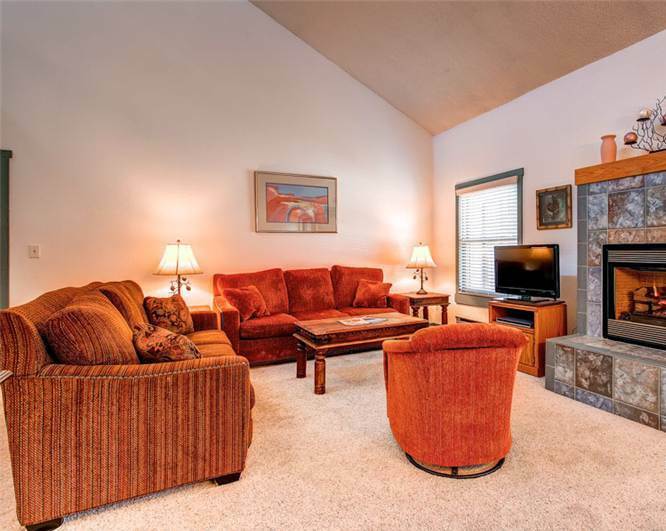 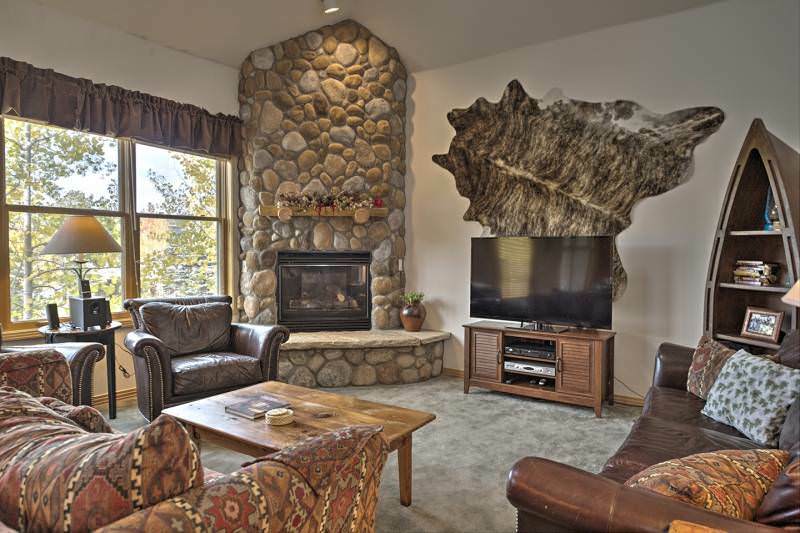 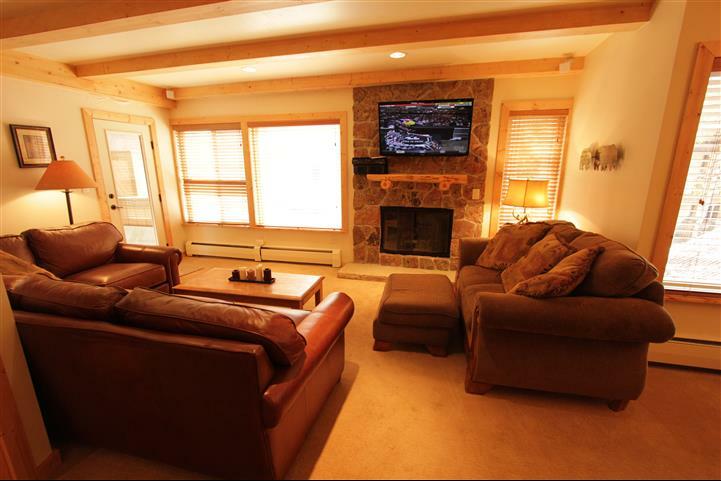 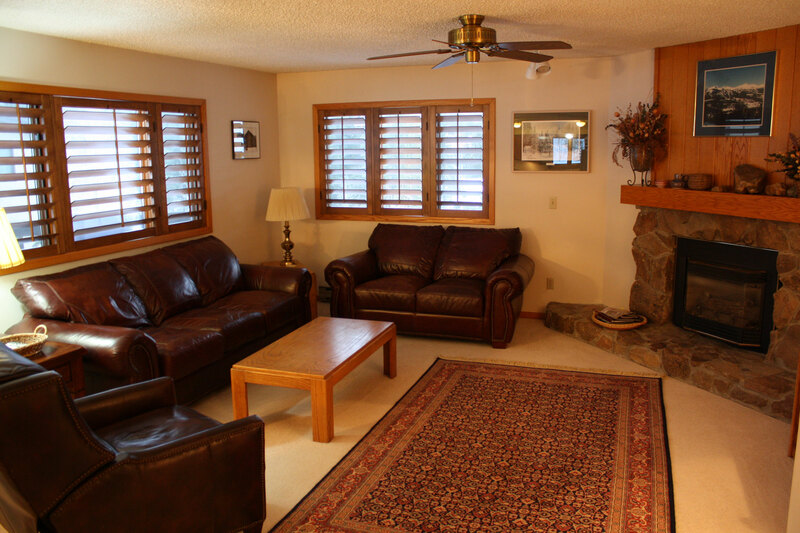 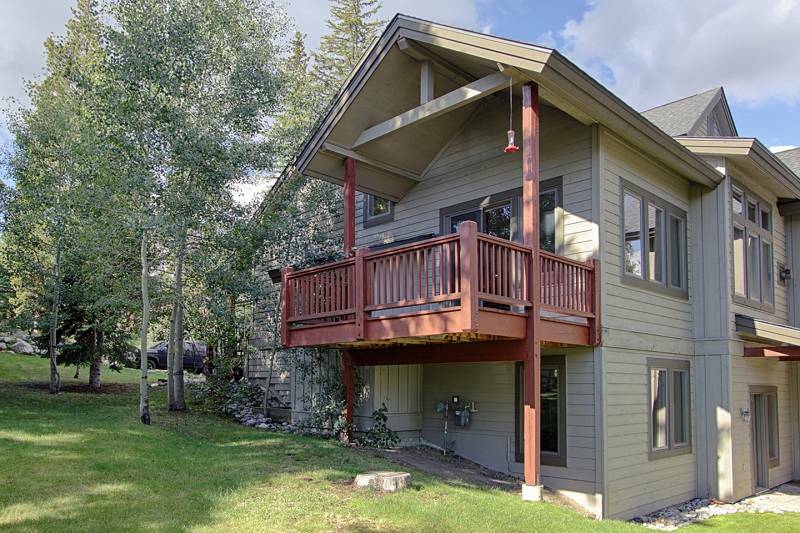 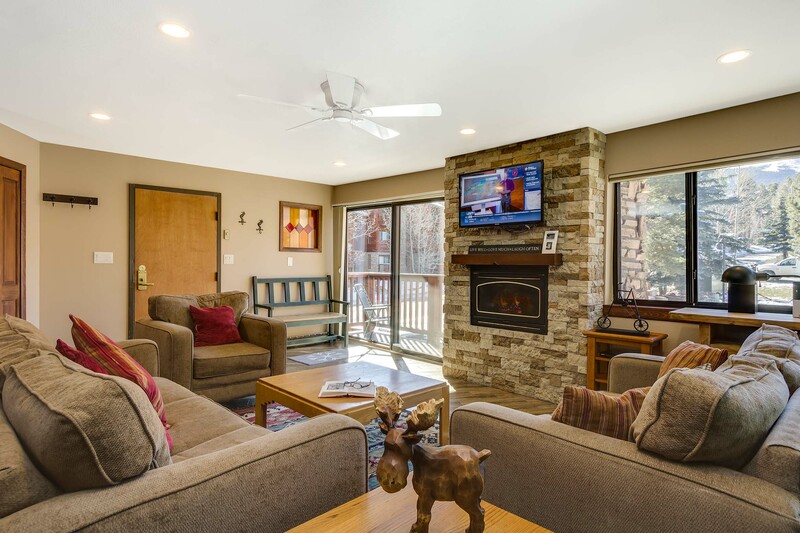 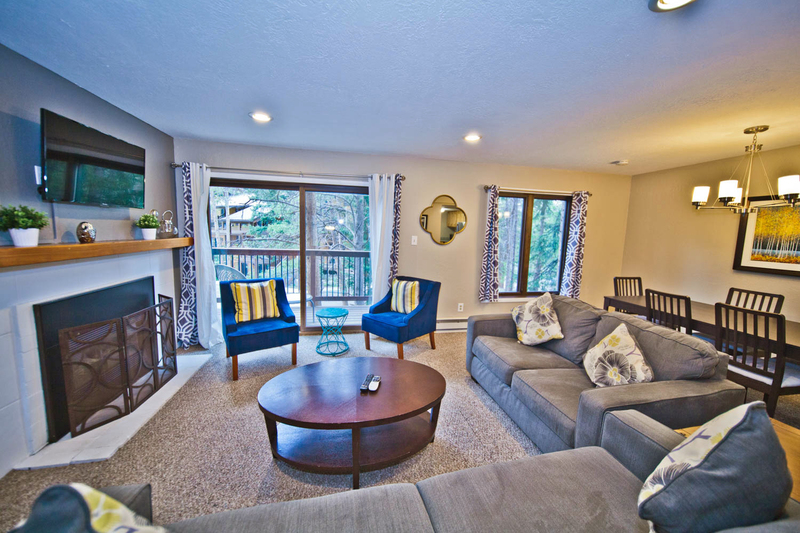 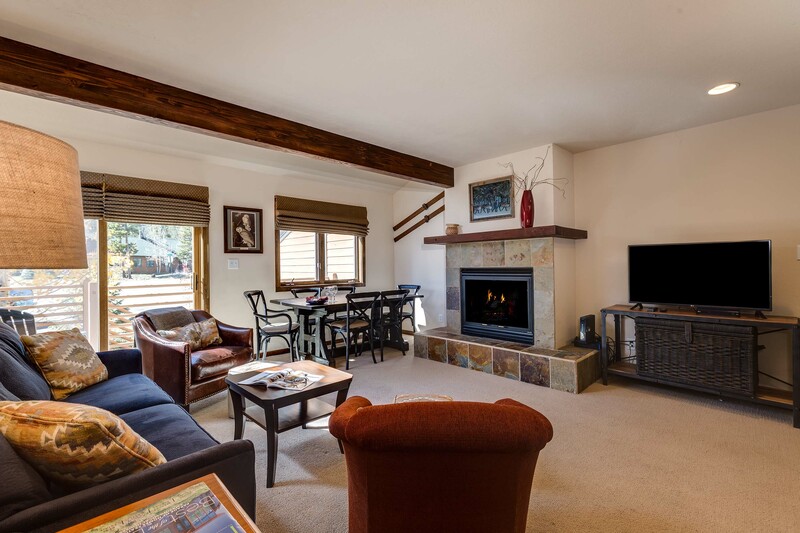 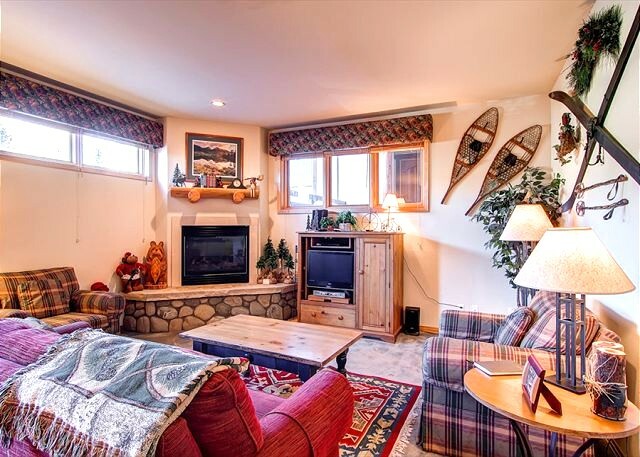 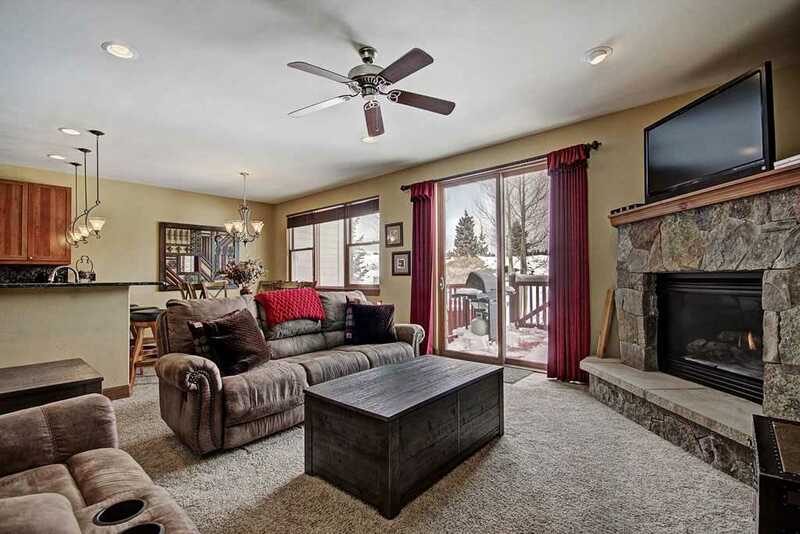 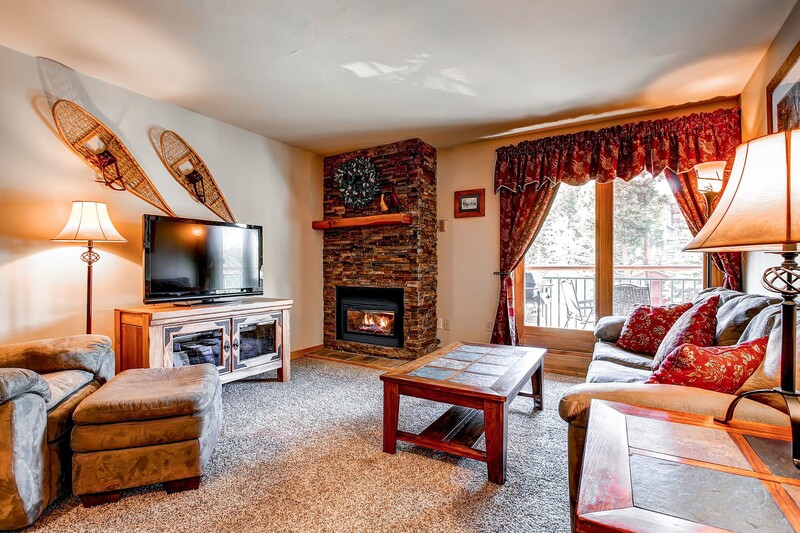 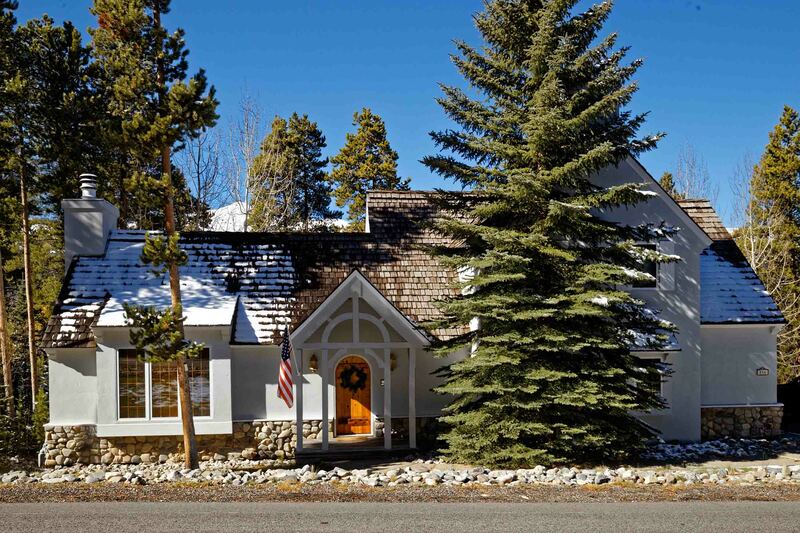 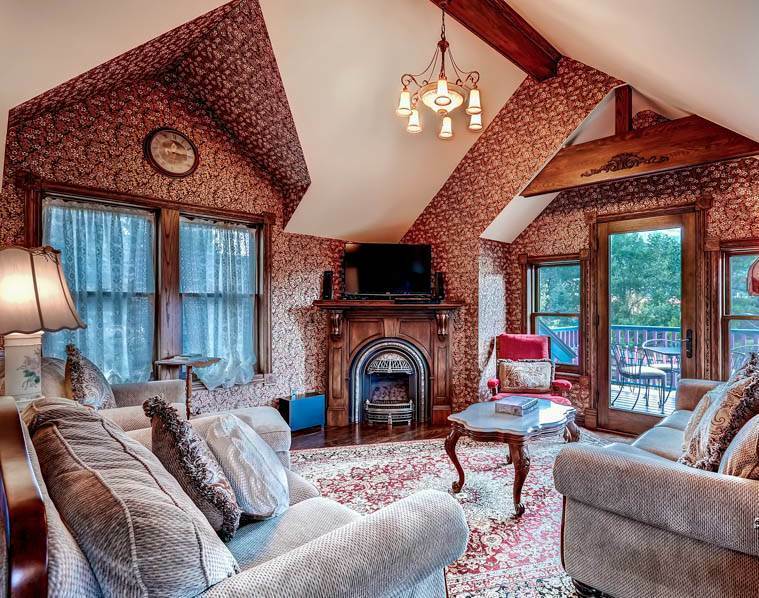 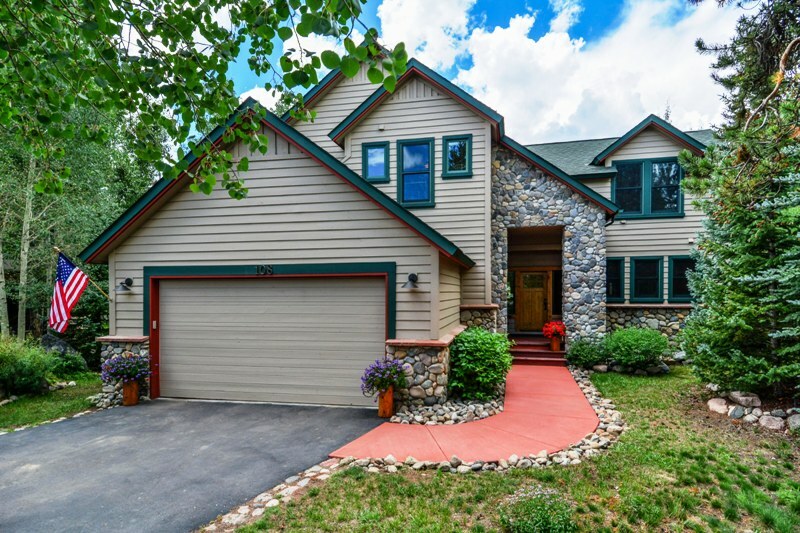 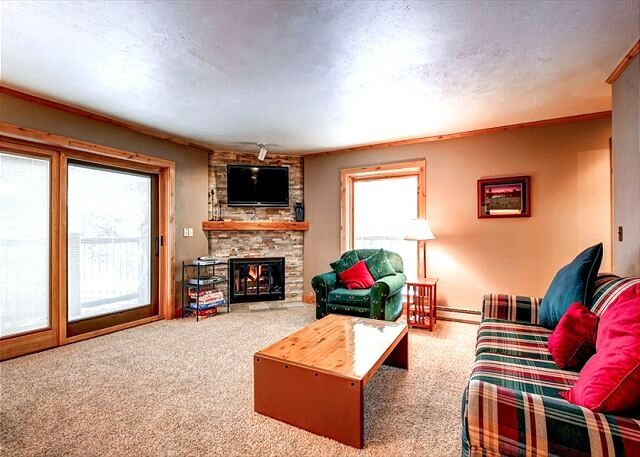 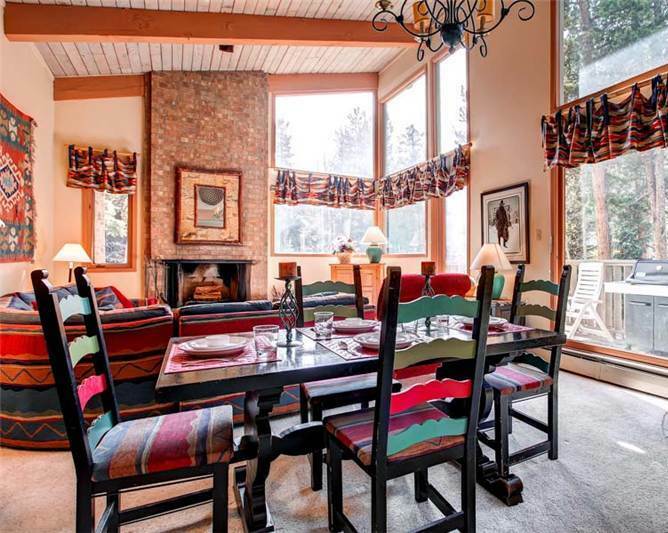 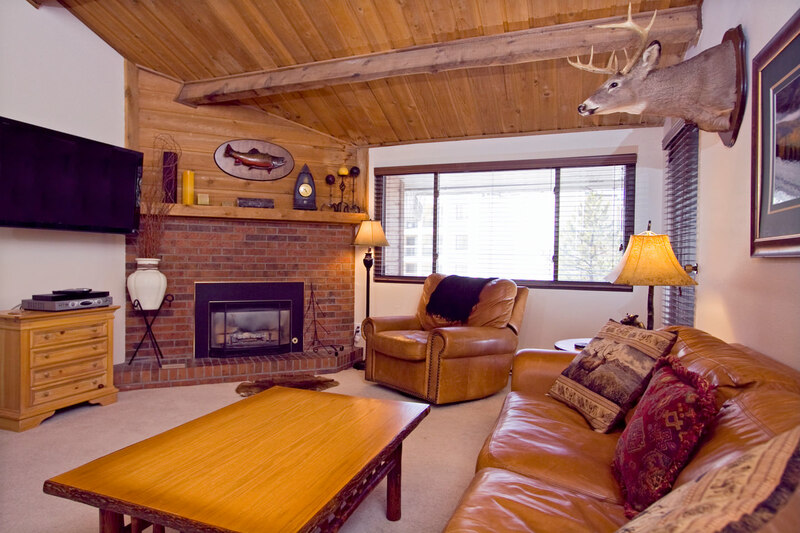 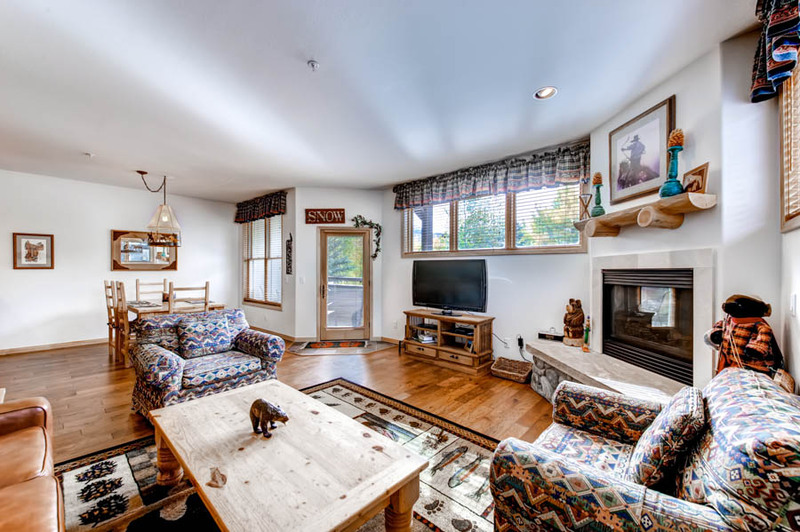 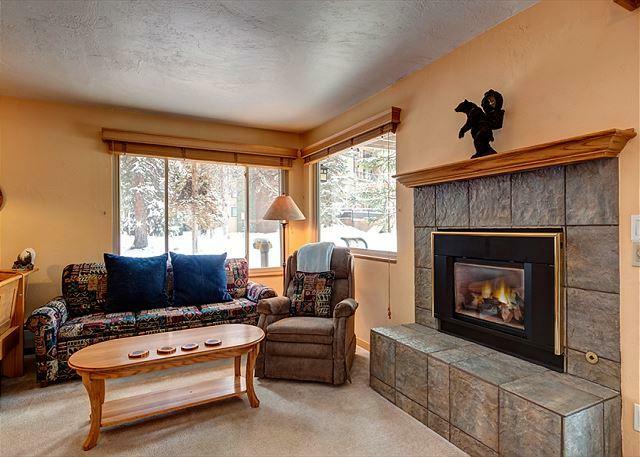 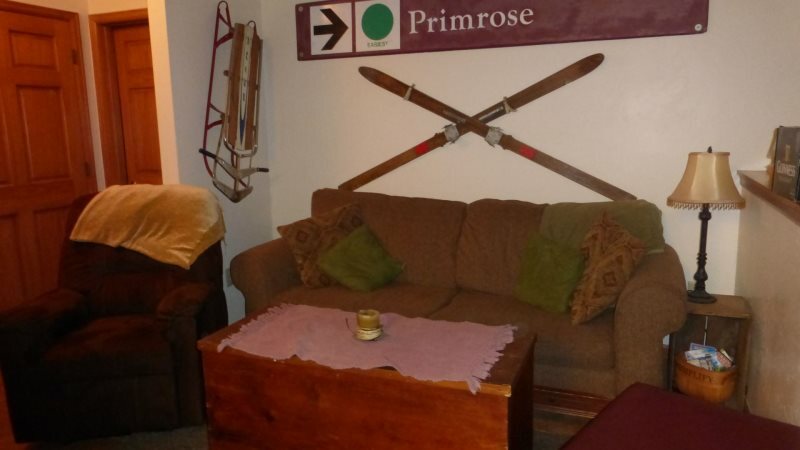 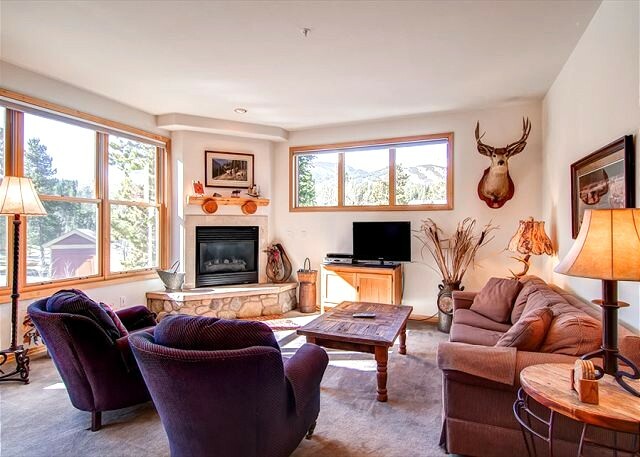 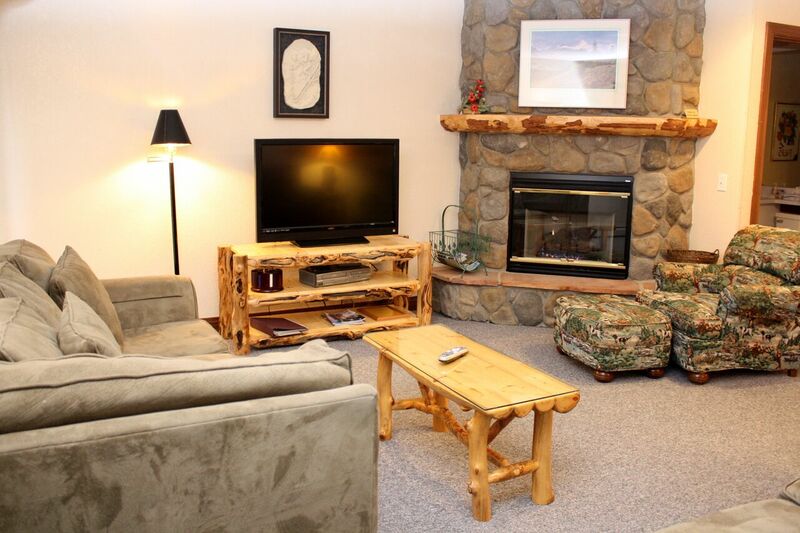 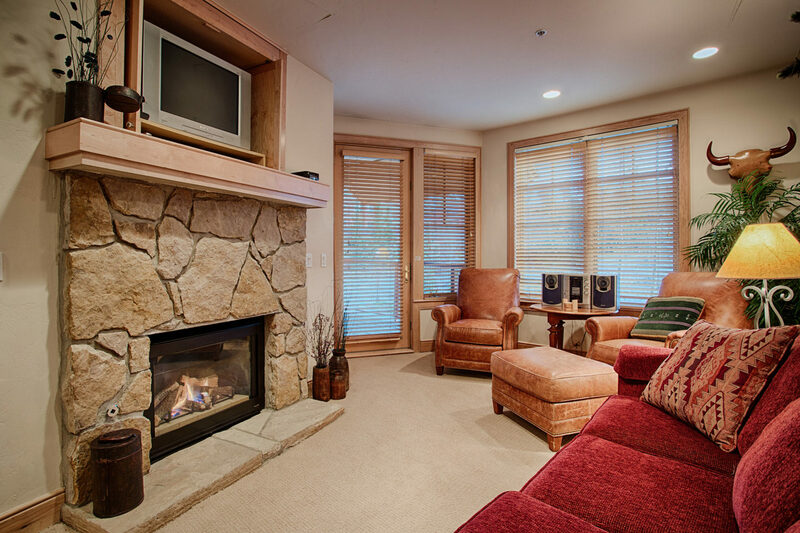 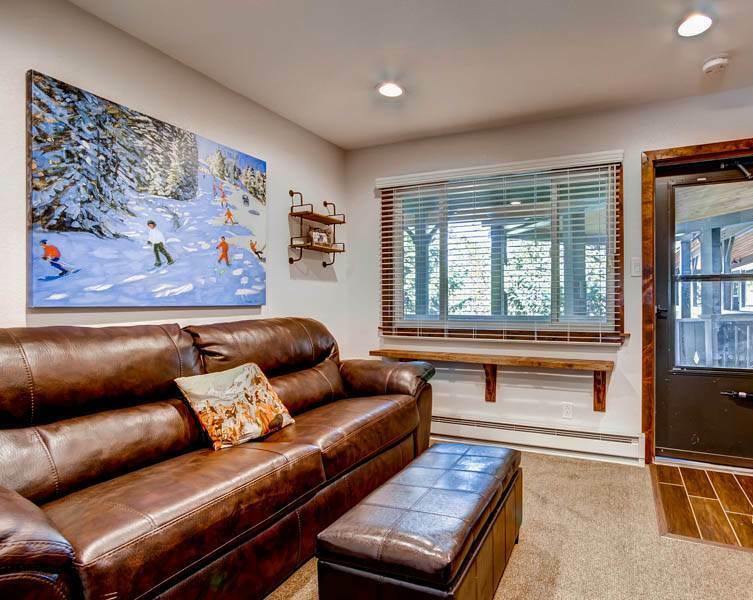 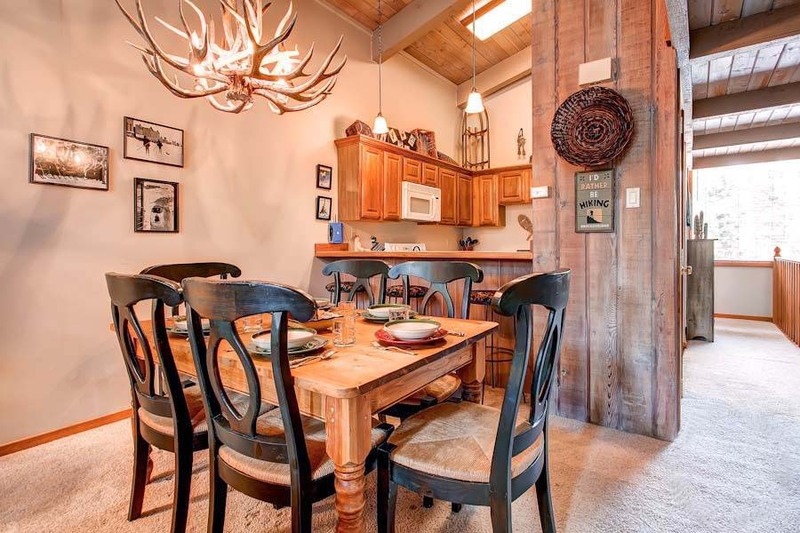 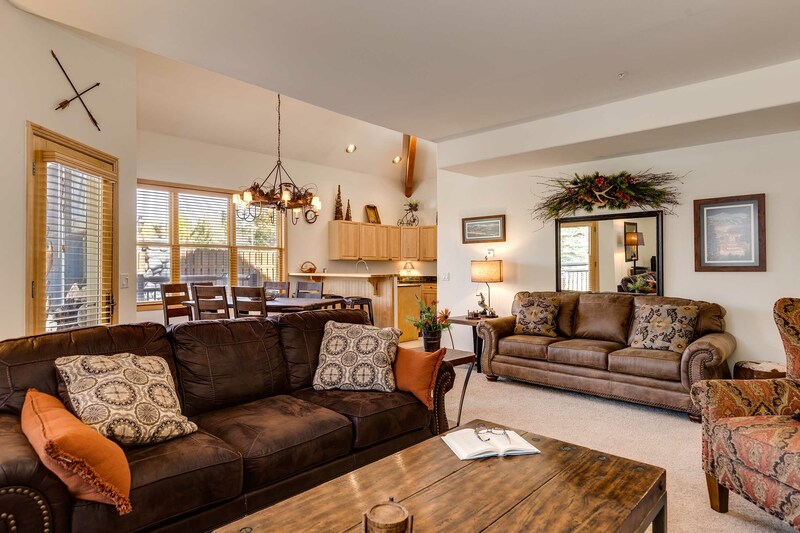 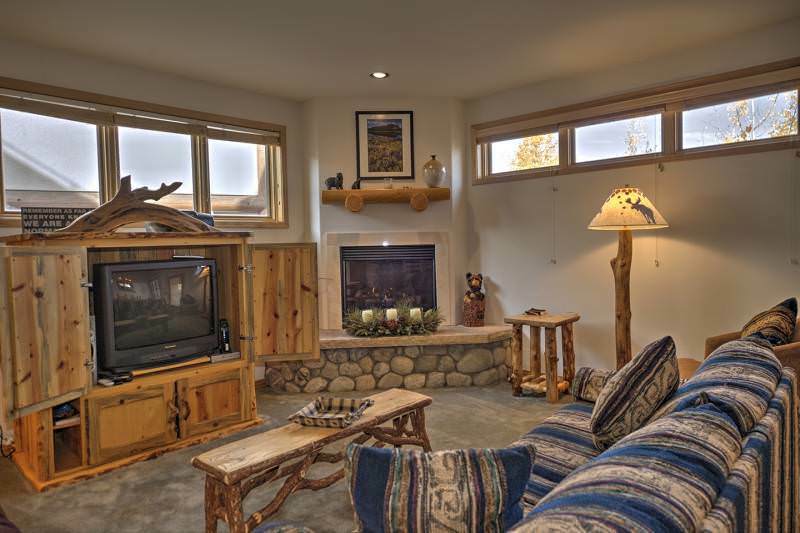 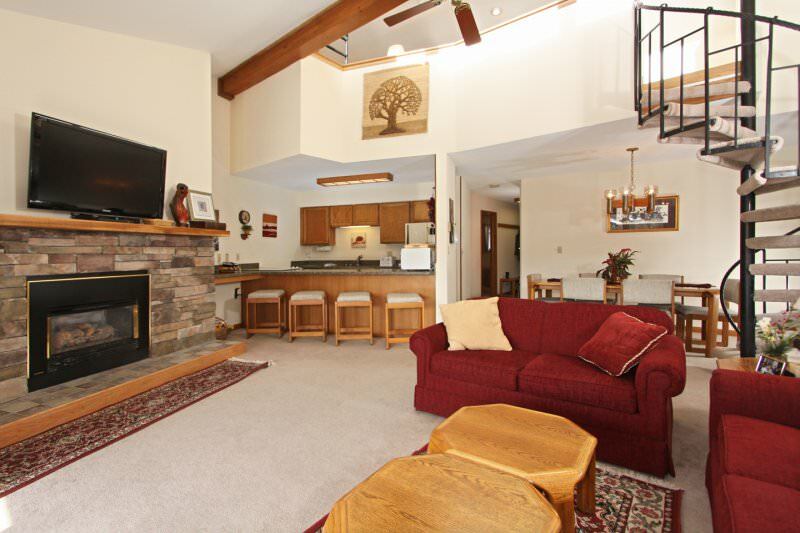 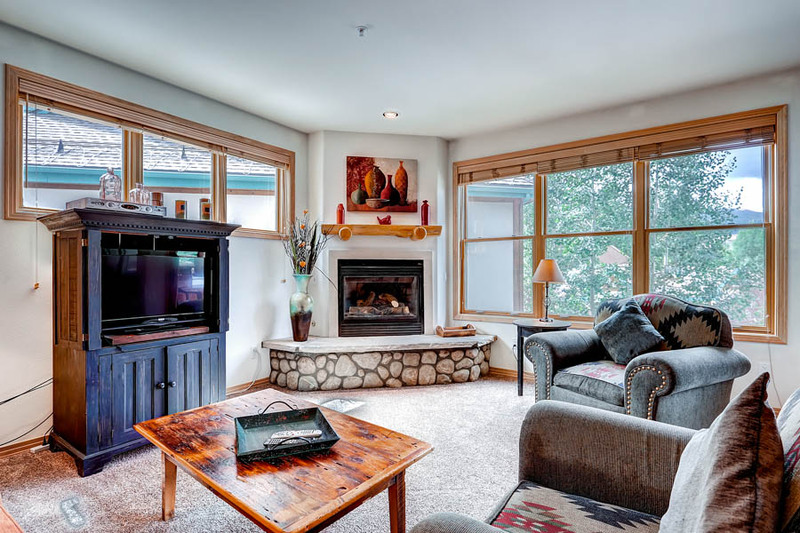 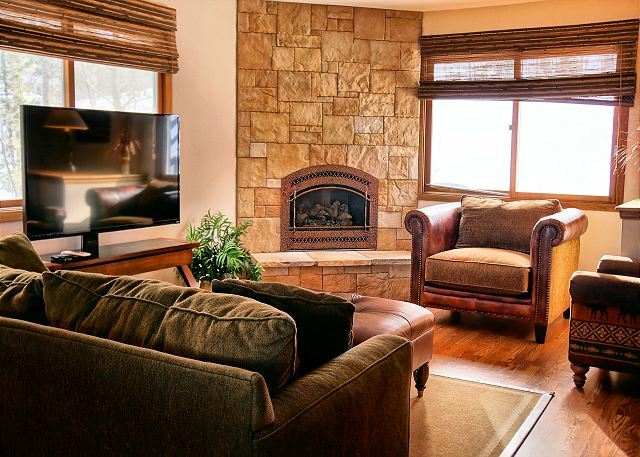 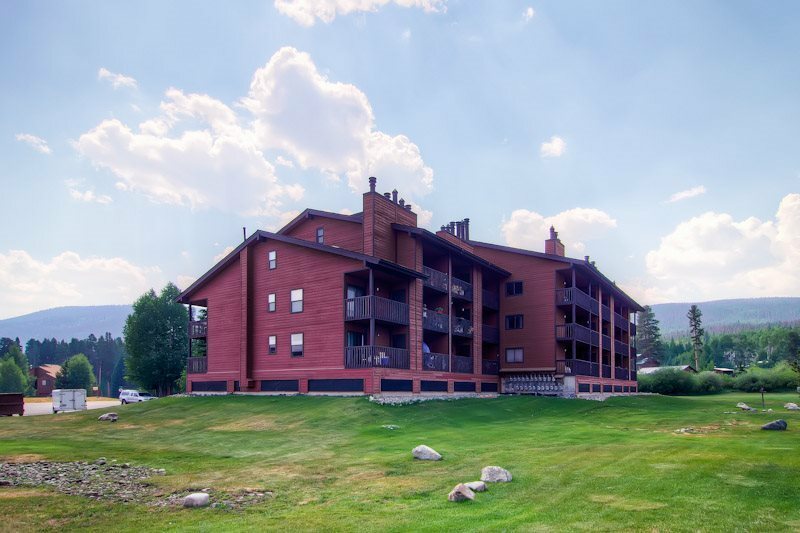 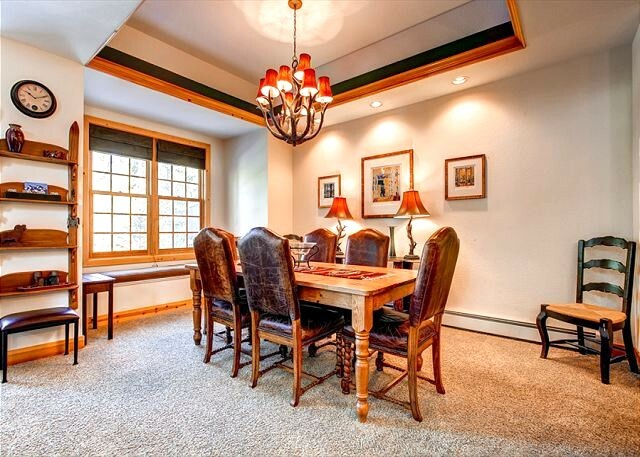 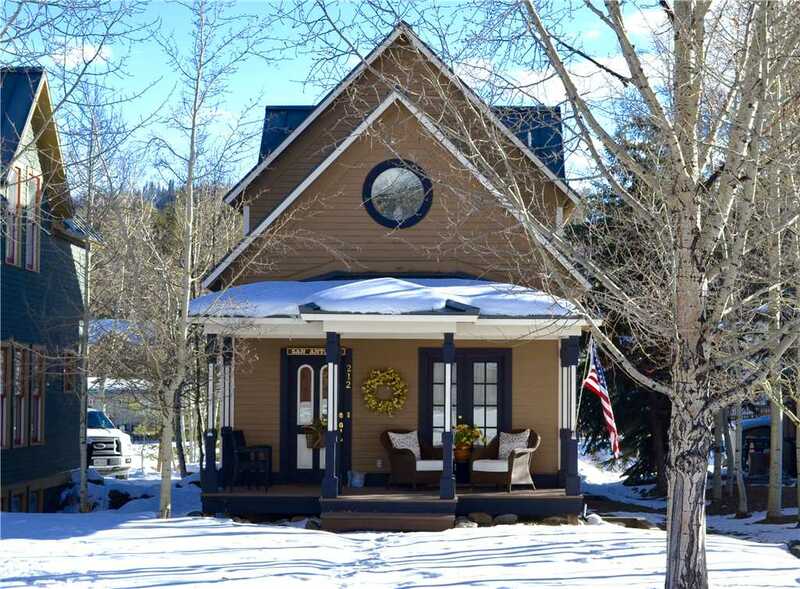 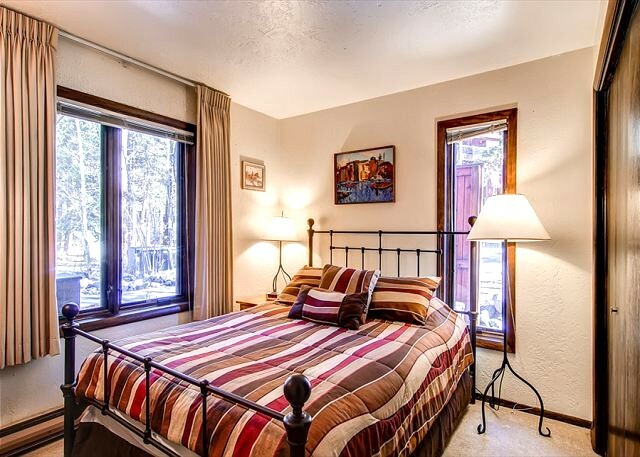 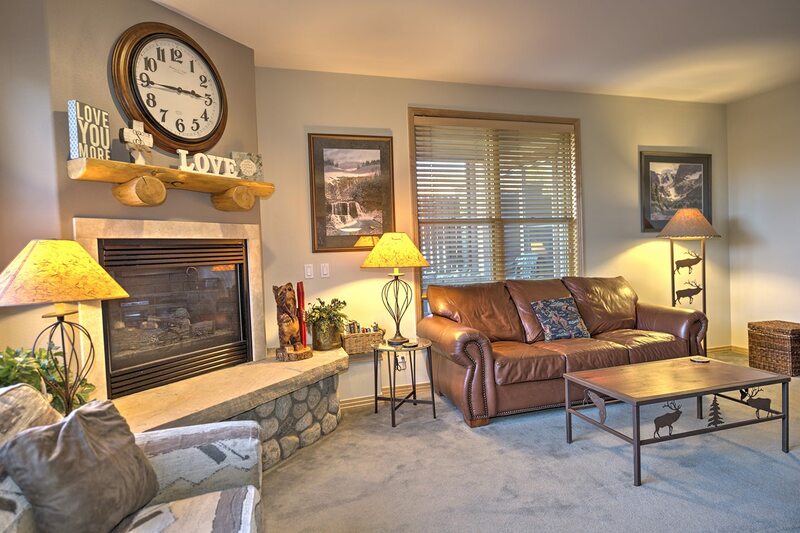 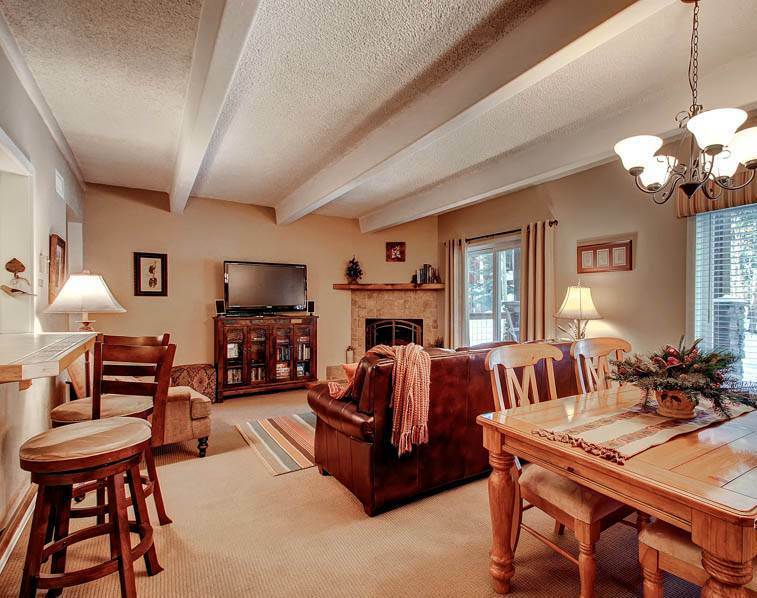 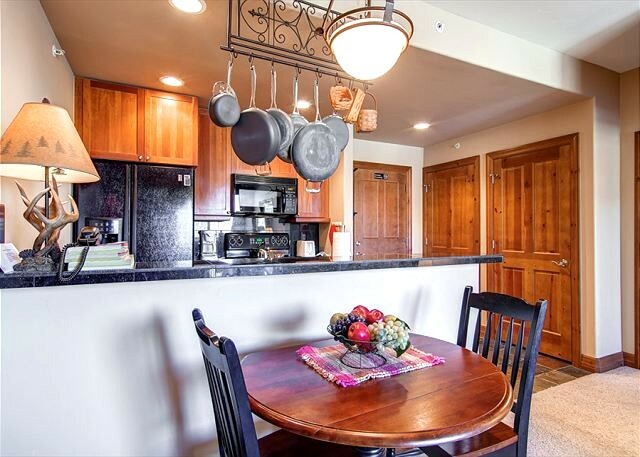 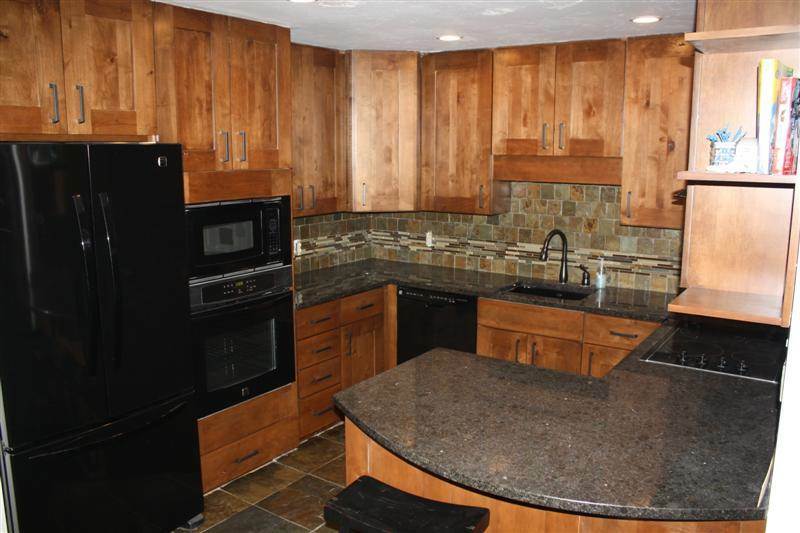 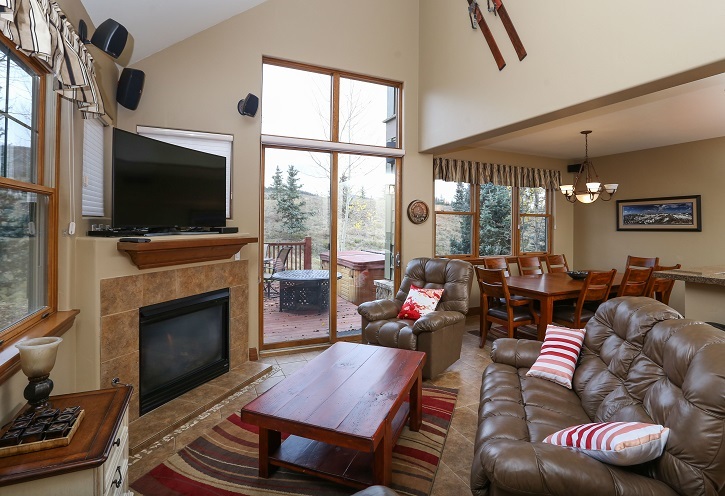 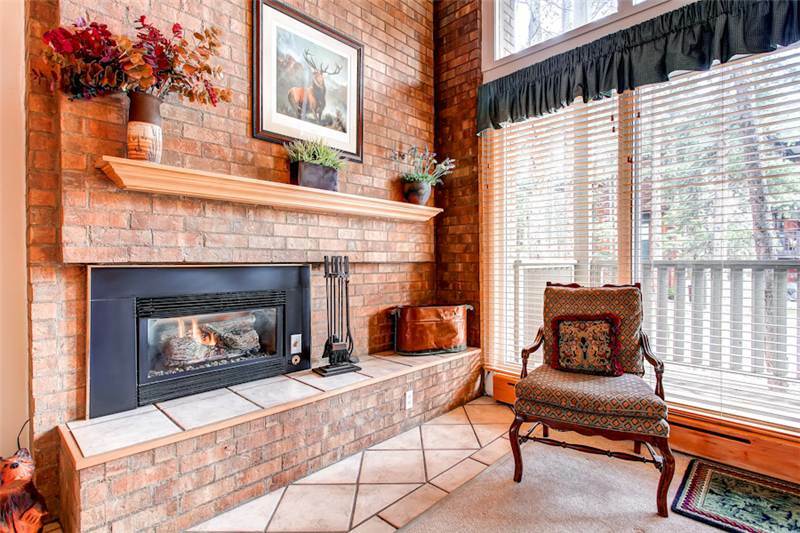 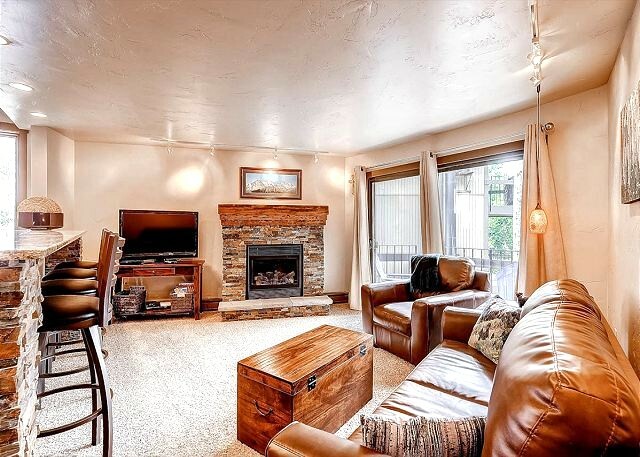 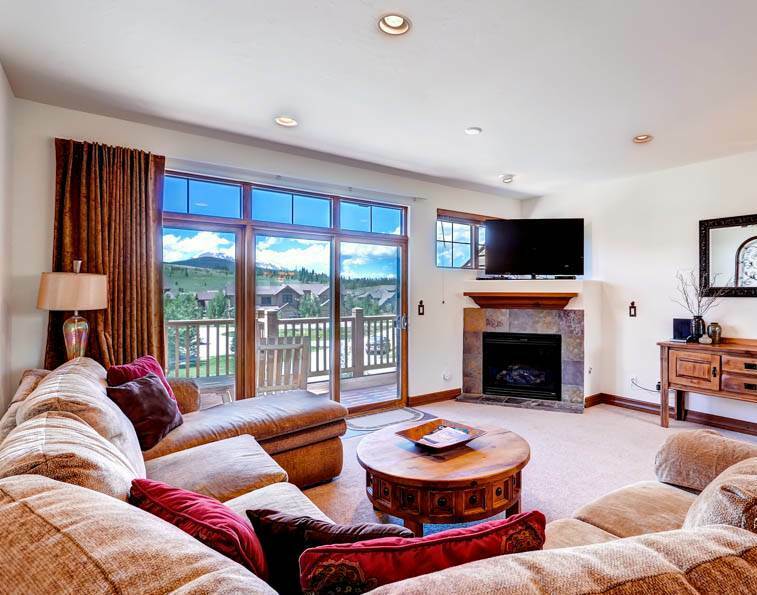 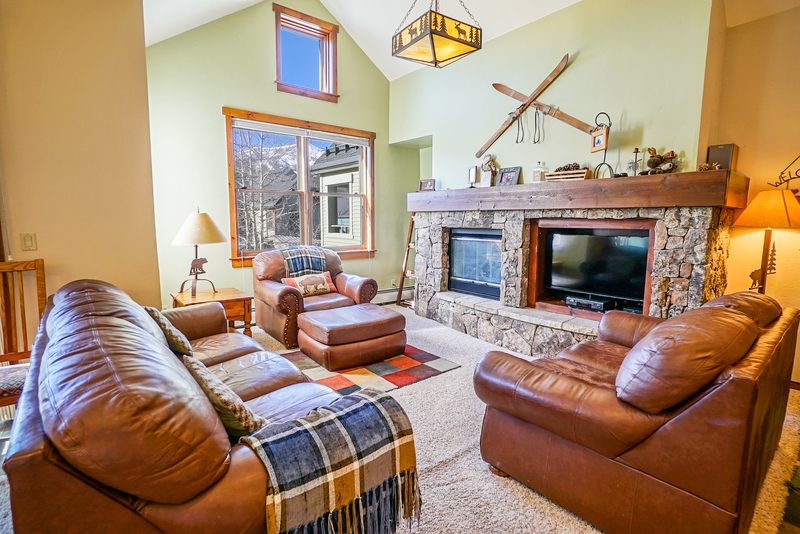 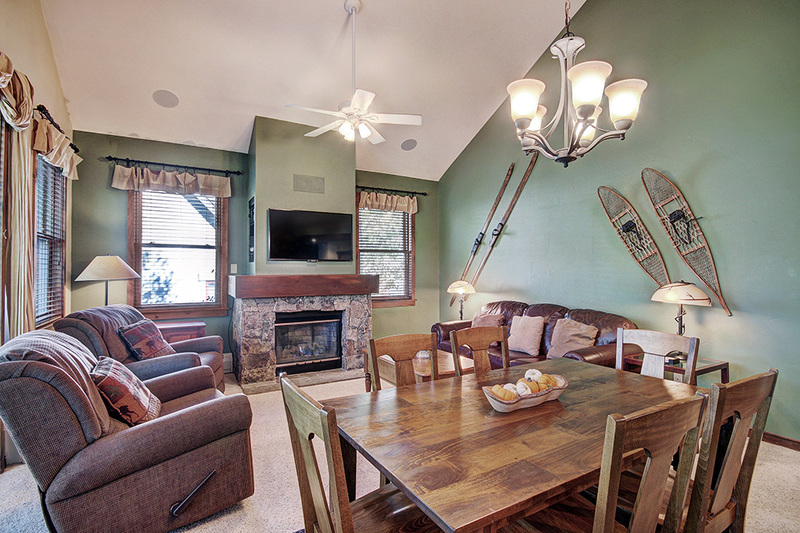 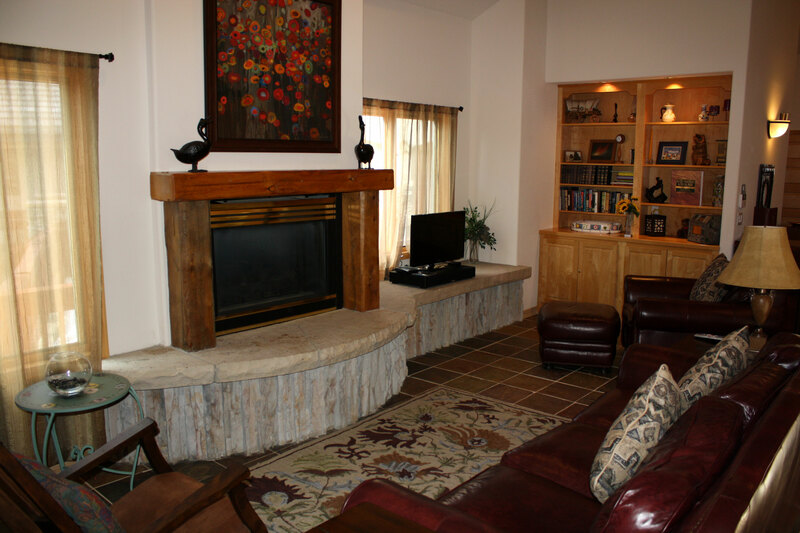 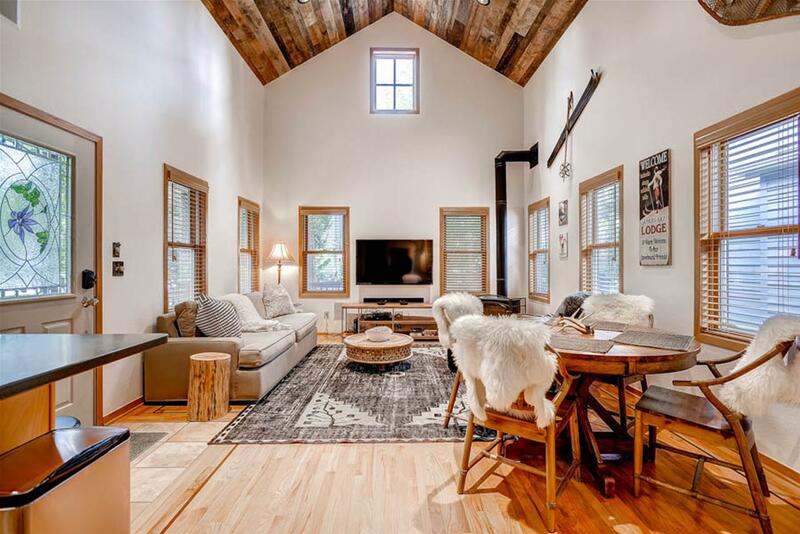 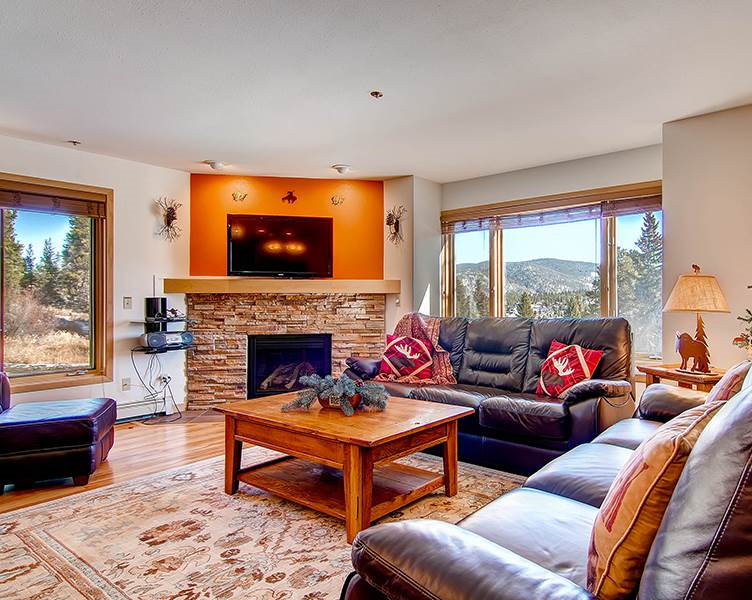 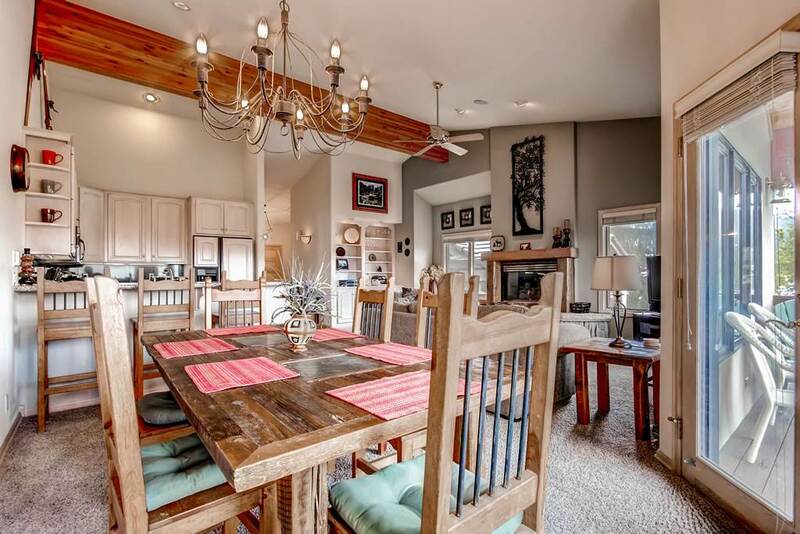 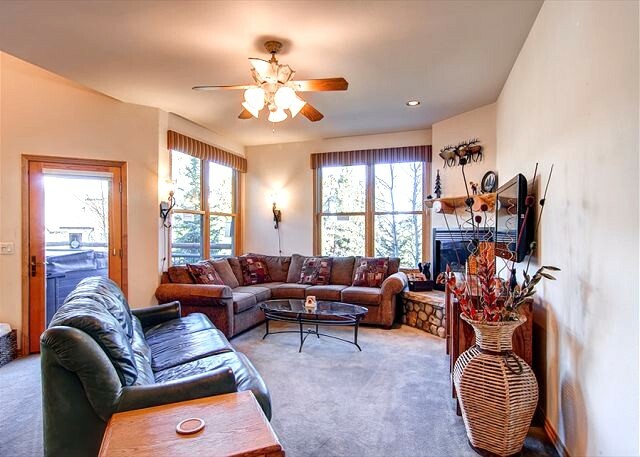 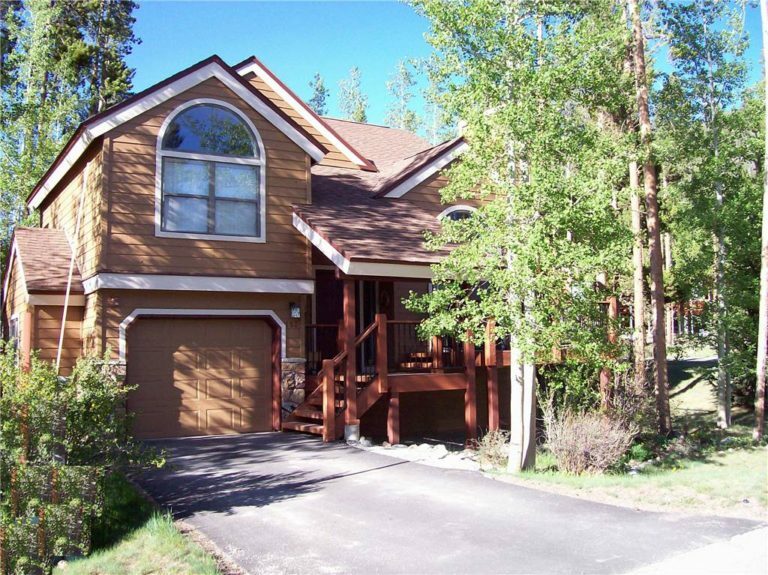 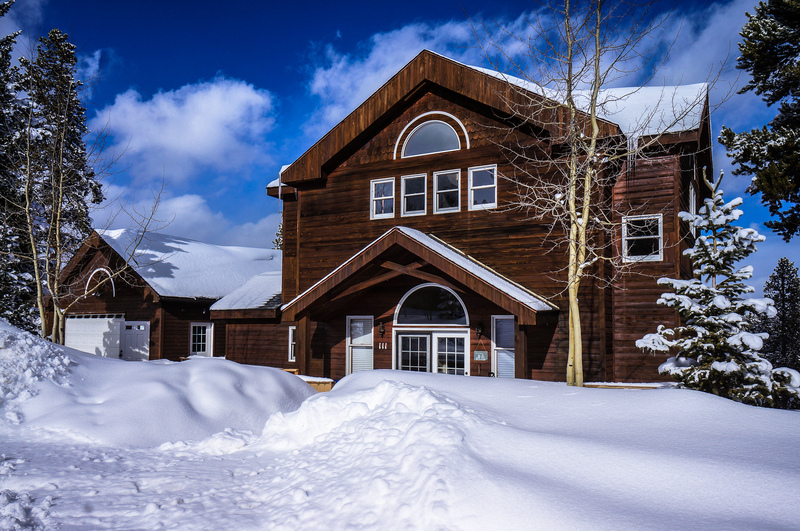 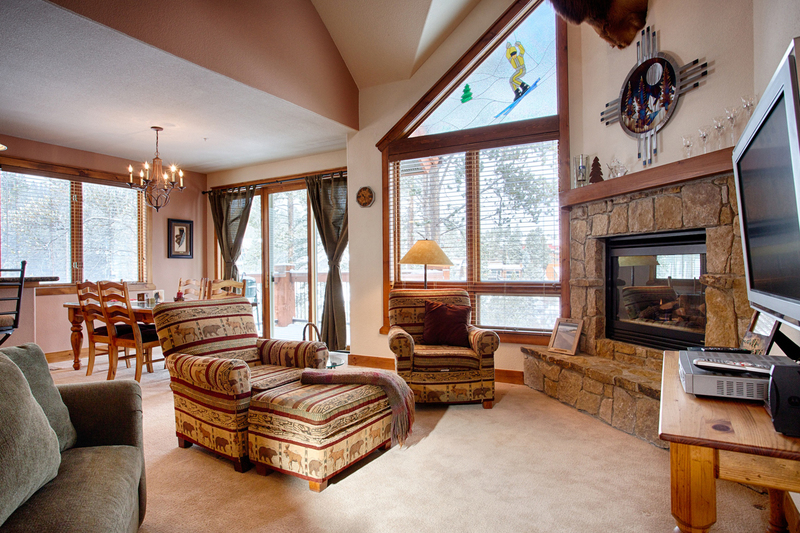 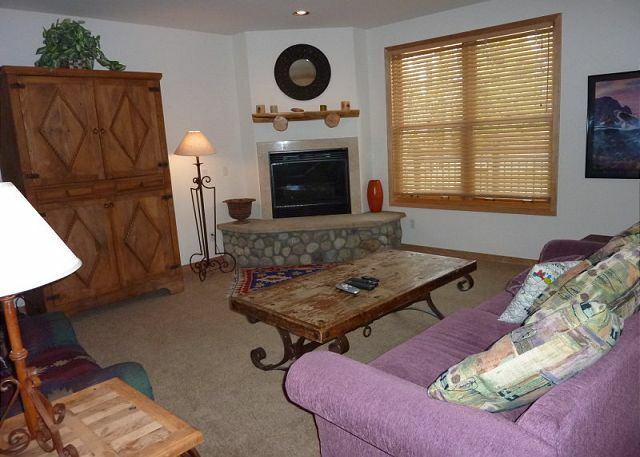 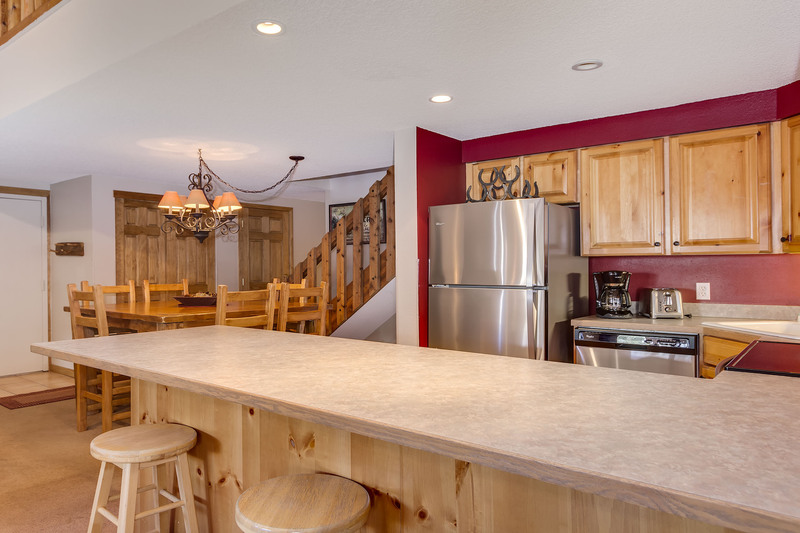 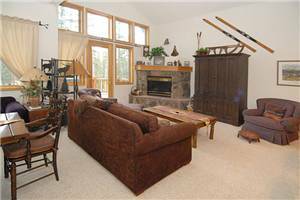 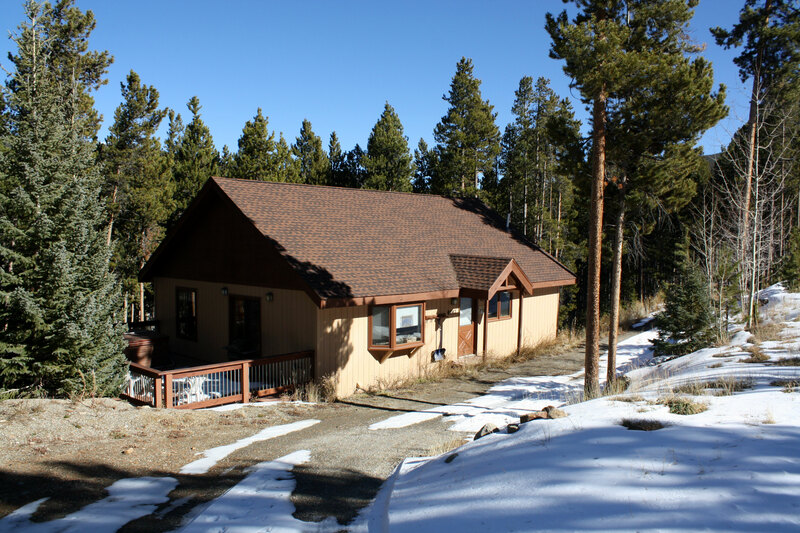 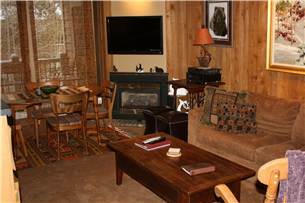 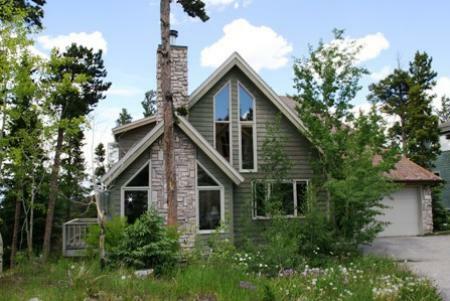 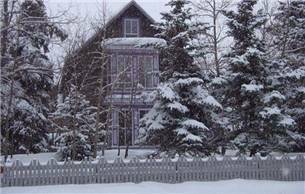 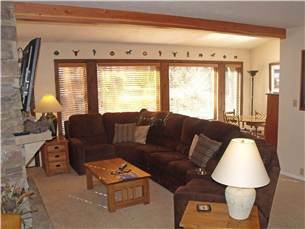 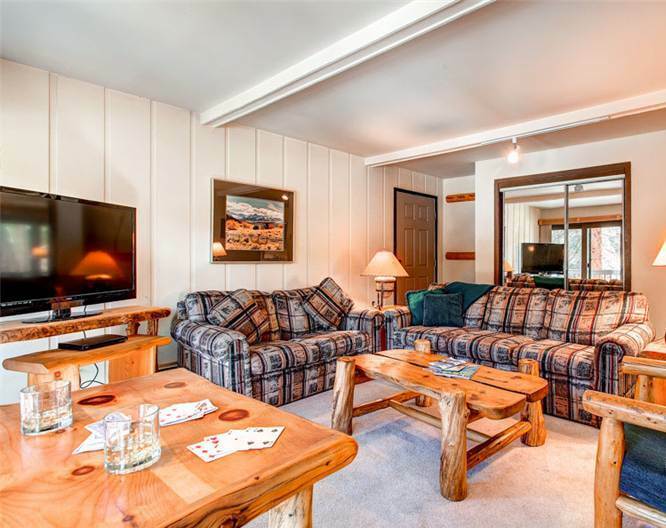 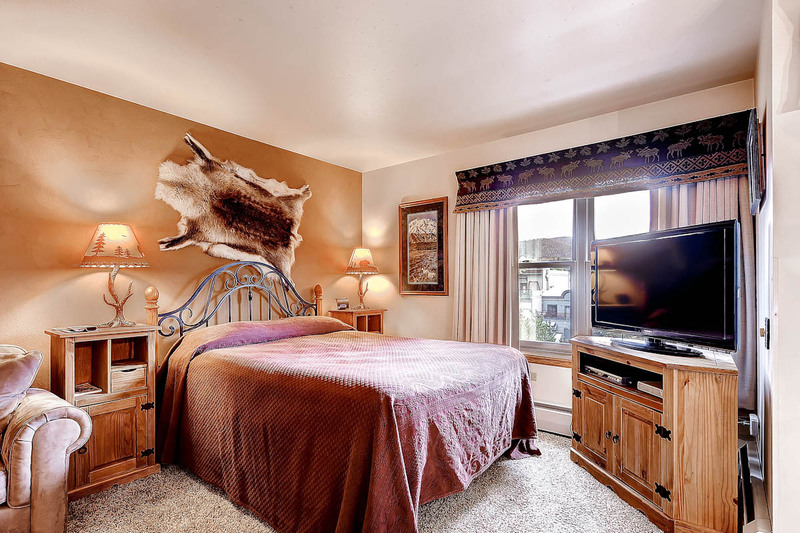 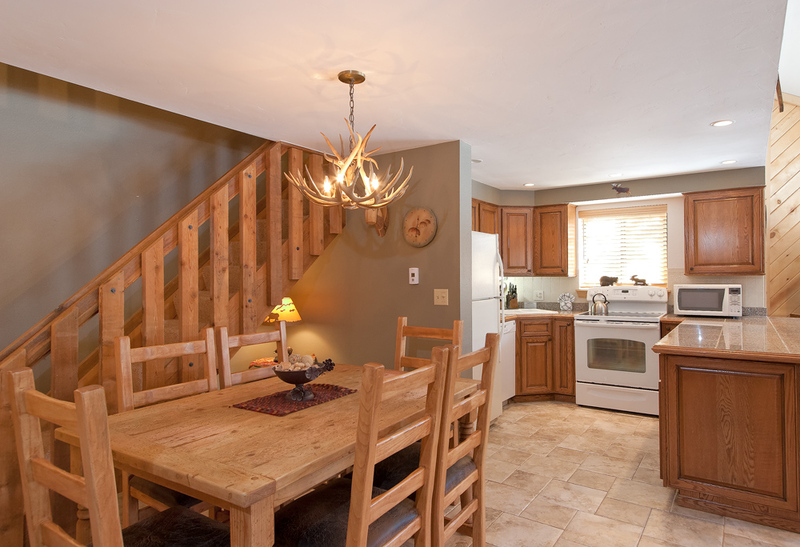 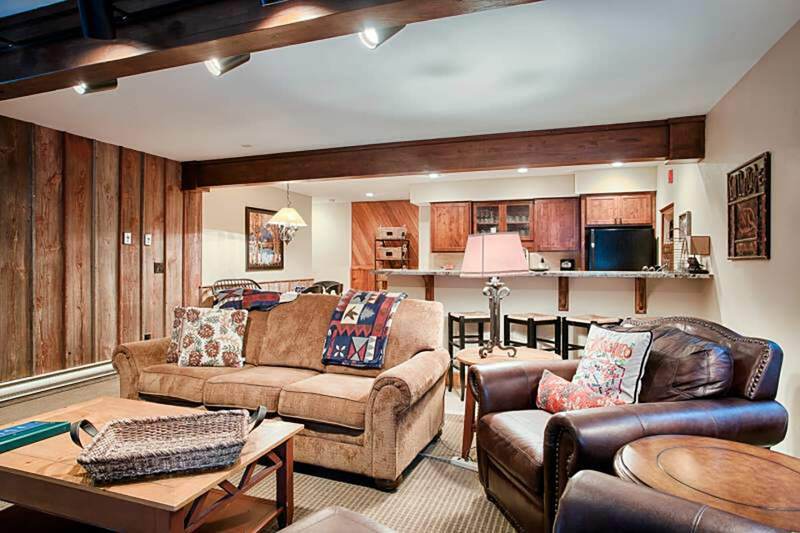 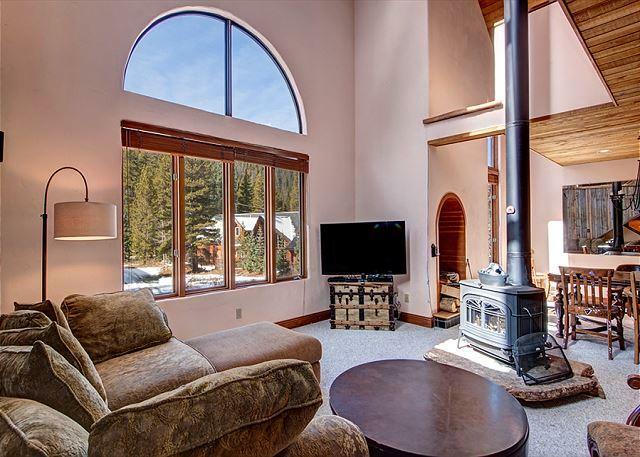 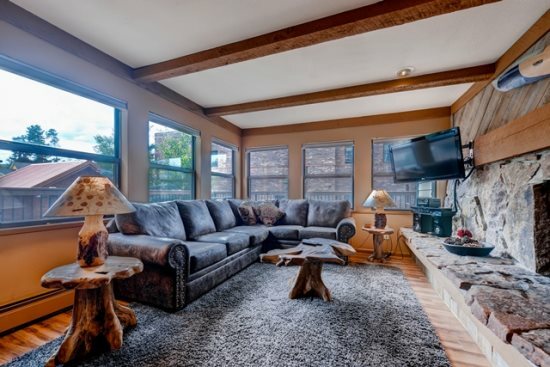 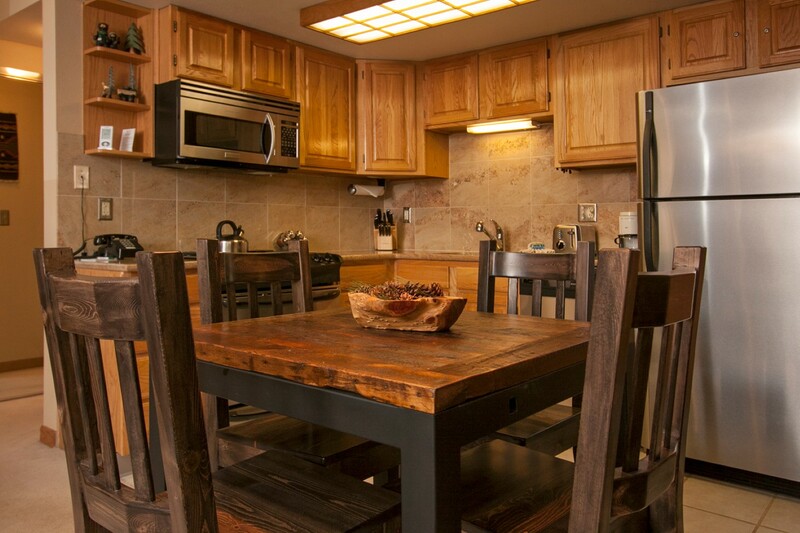 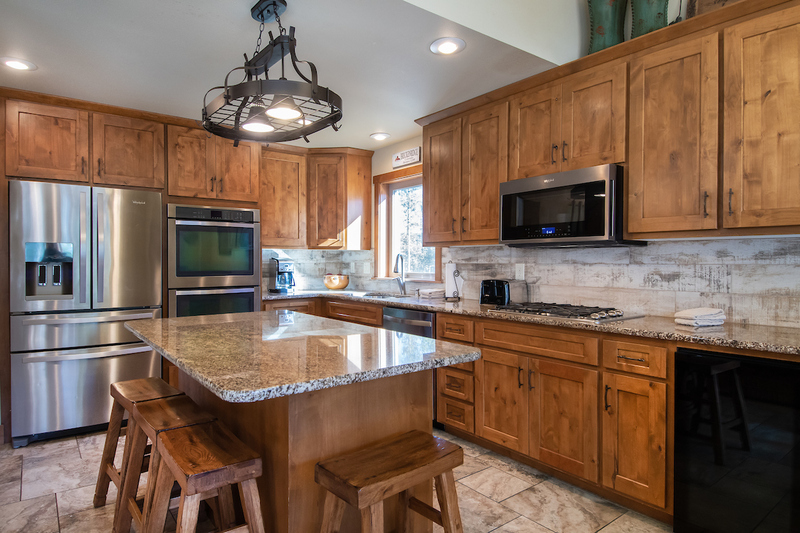 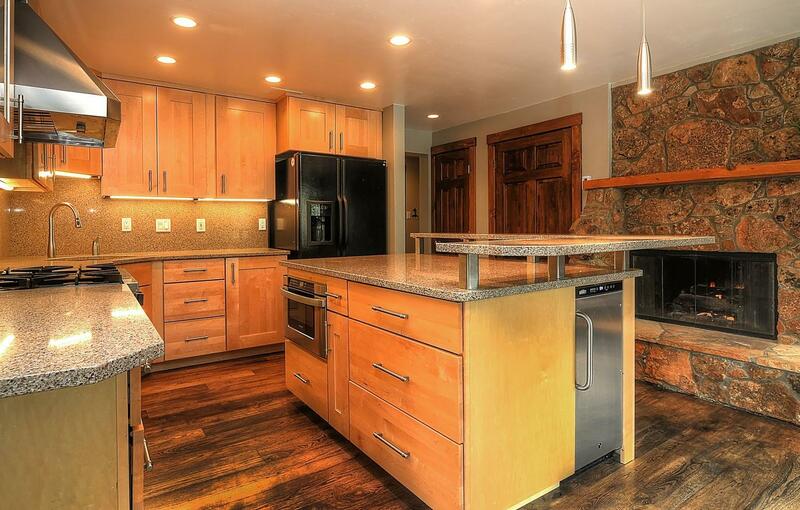 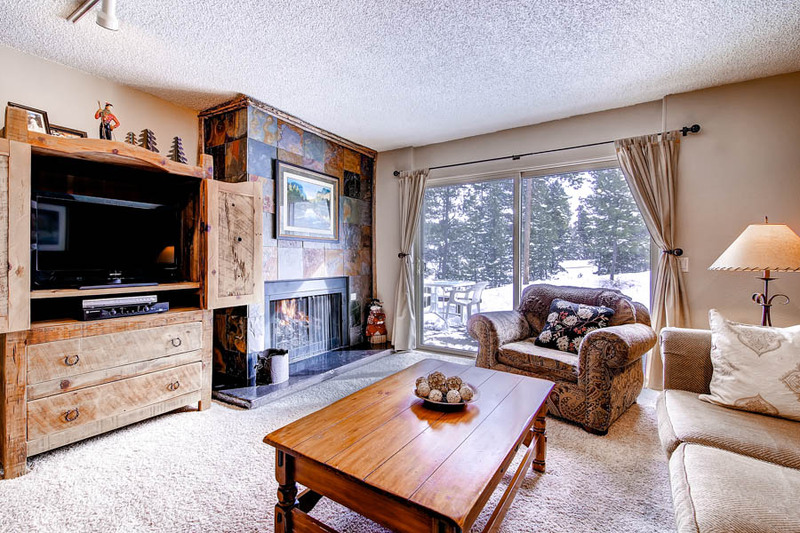 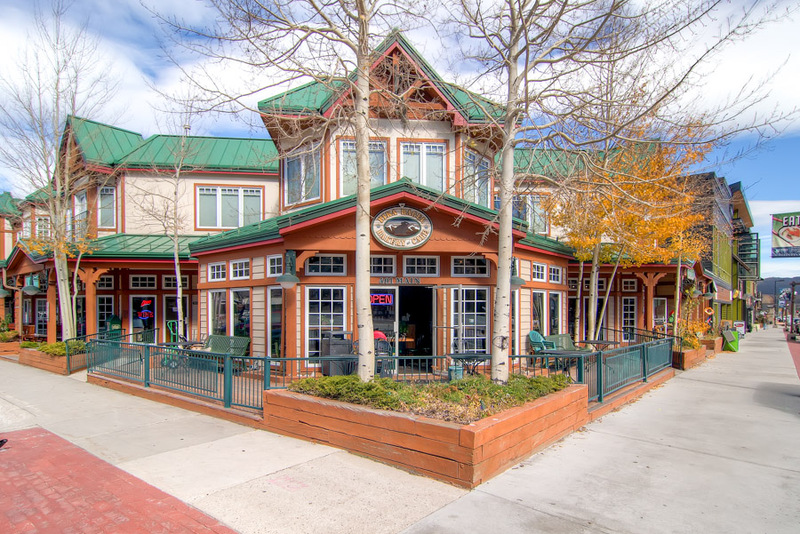 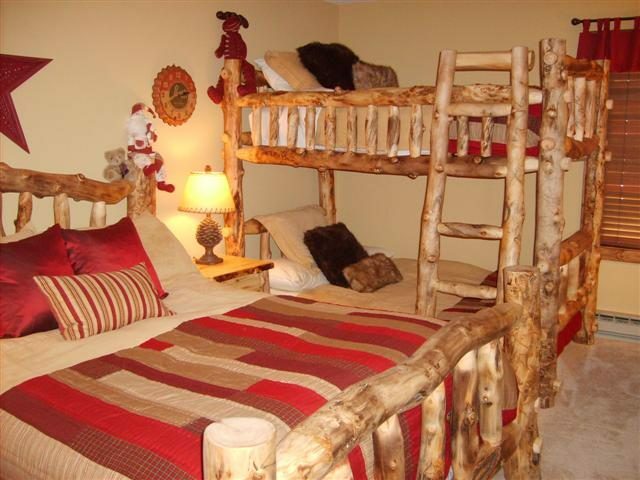 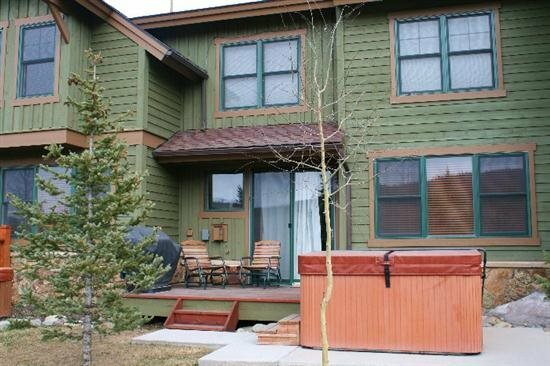 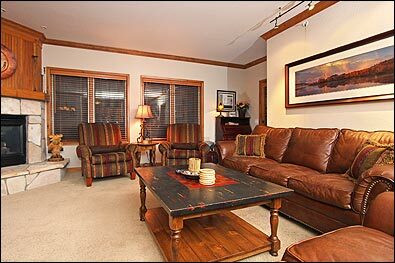 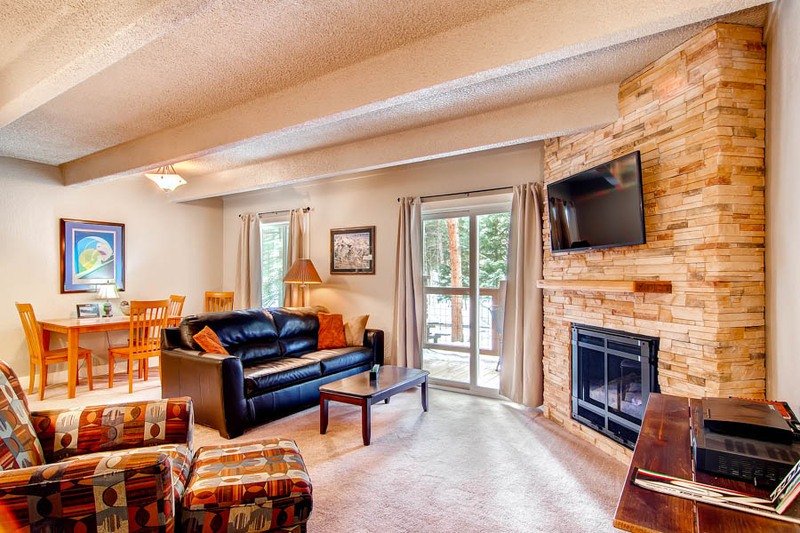 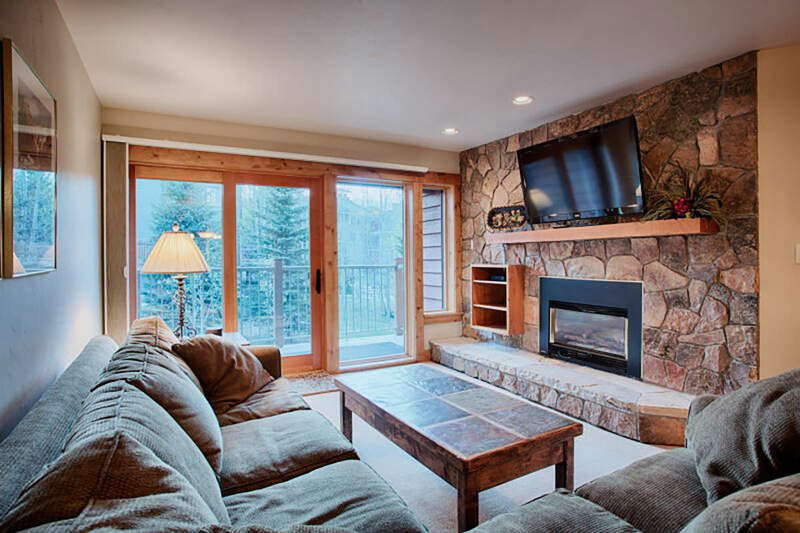 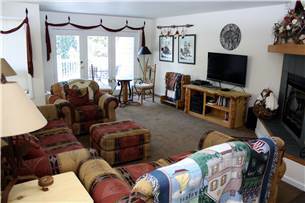 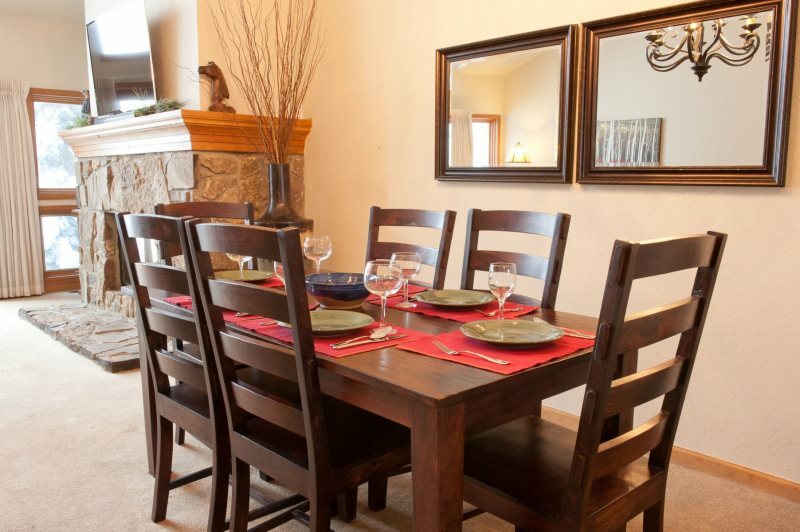 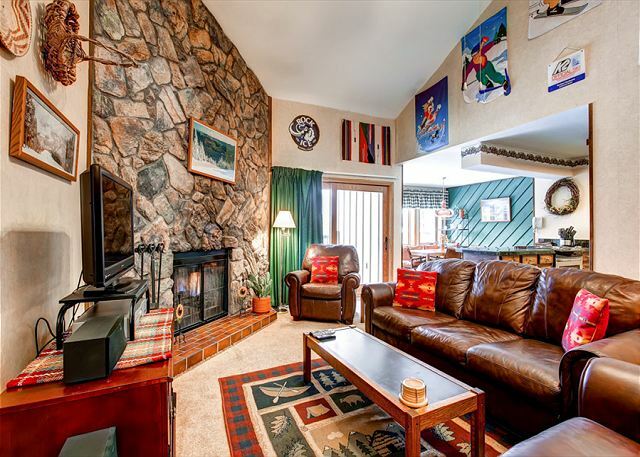 Conveniently located just off of the Snowflake trail and 3 blocks from Main Street, enjoy the luxury of a true ski in/ski out experience. 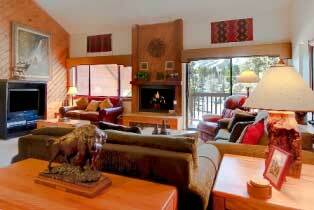 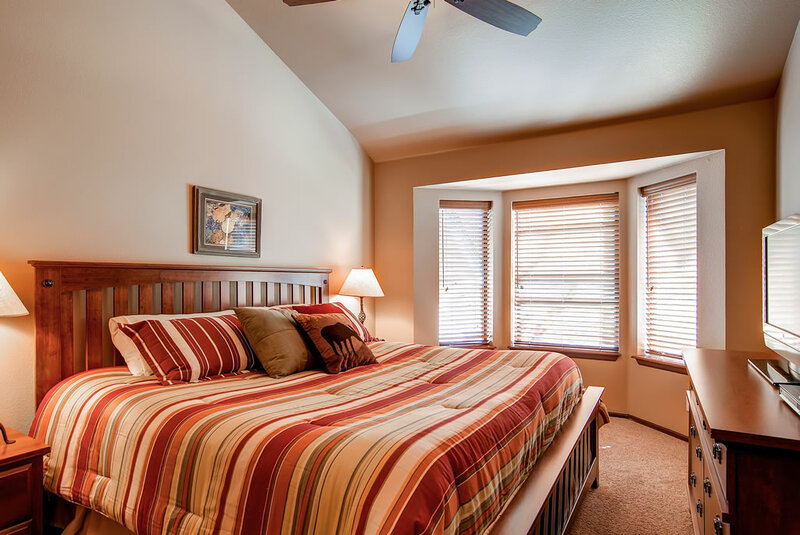 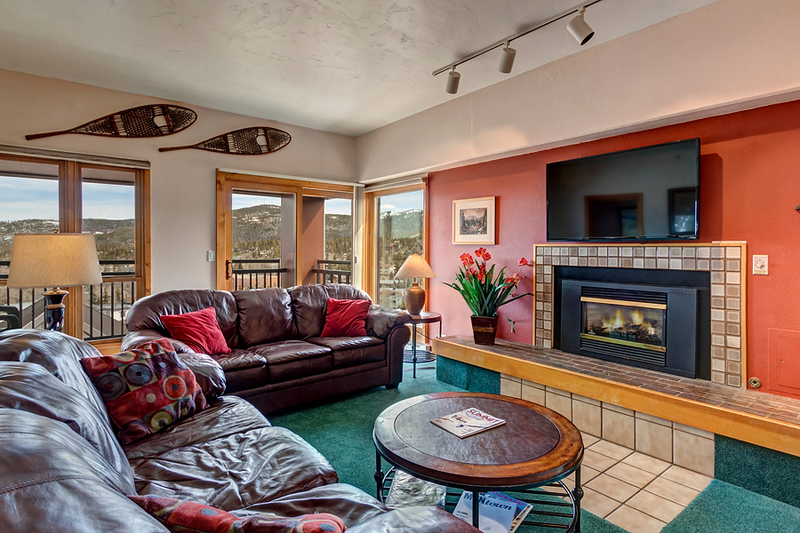 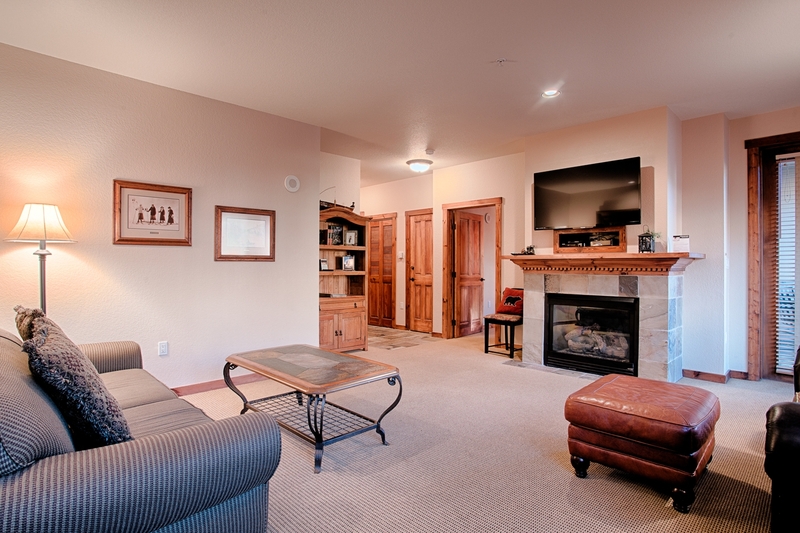 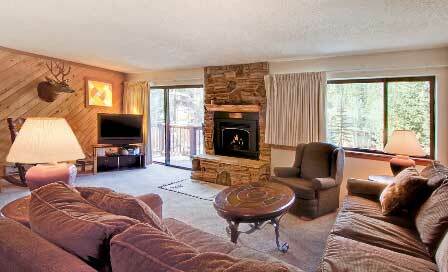 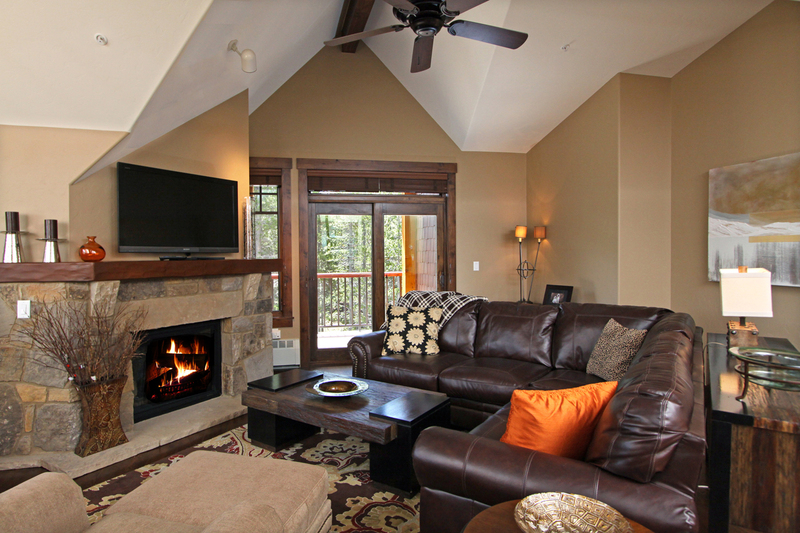 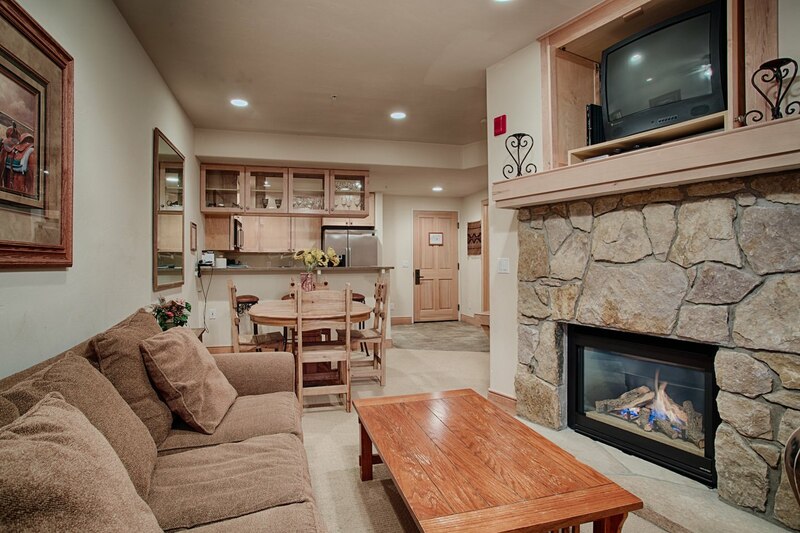 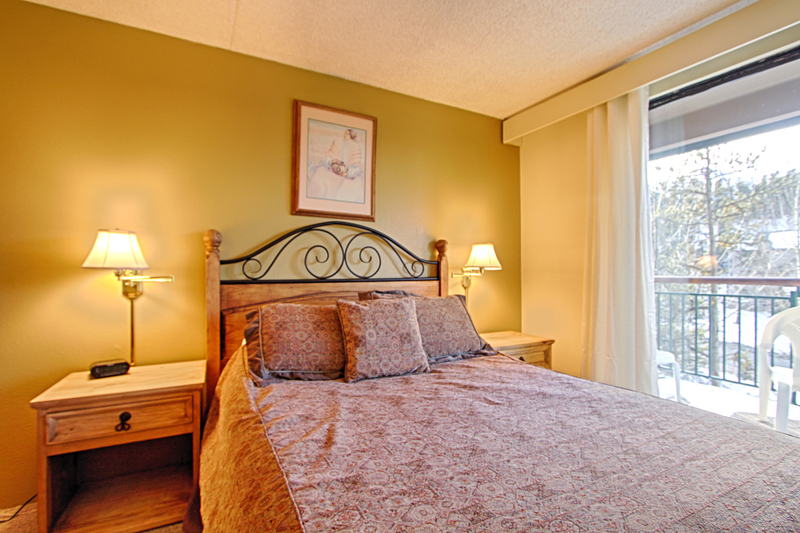 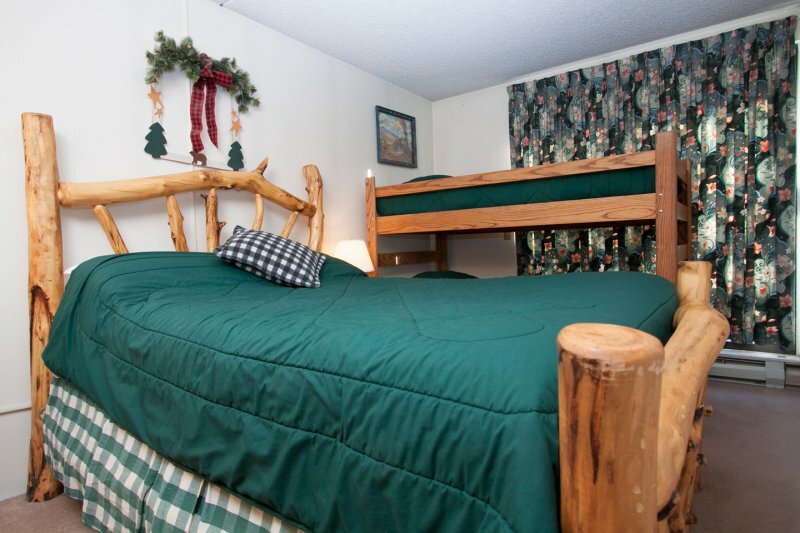 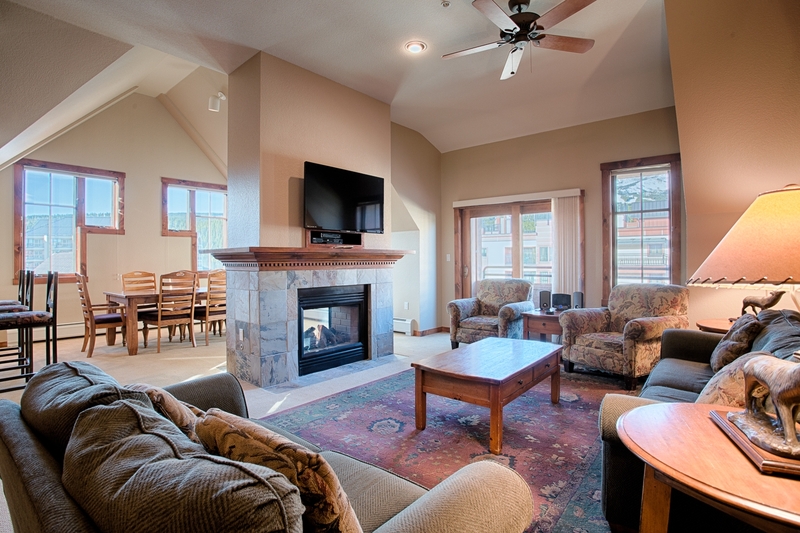 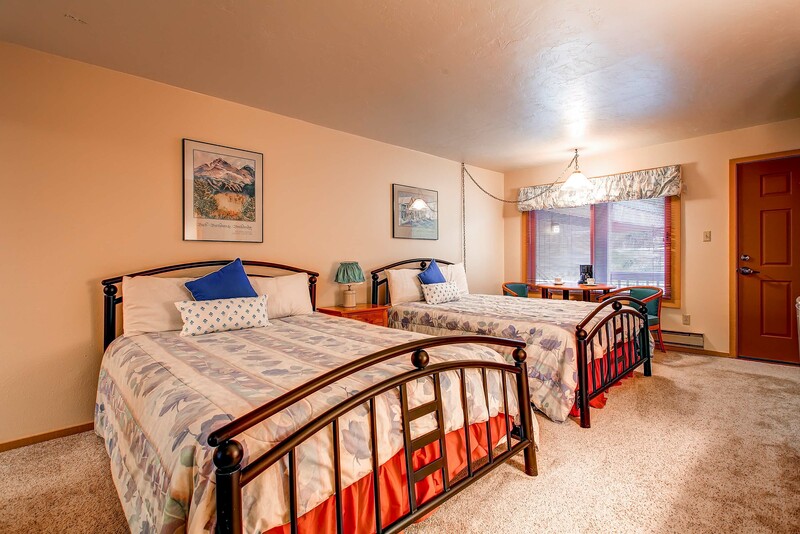 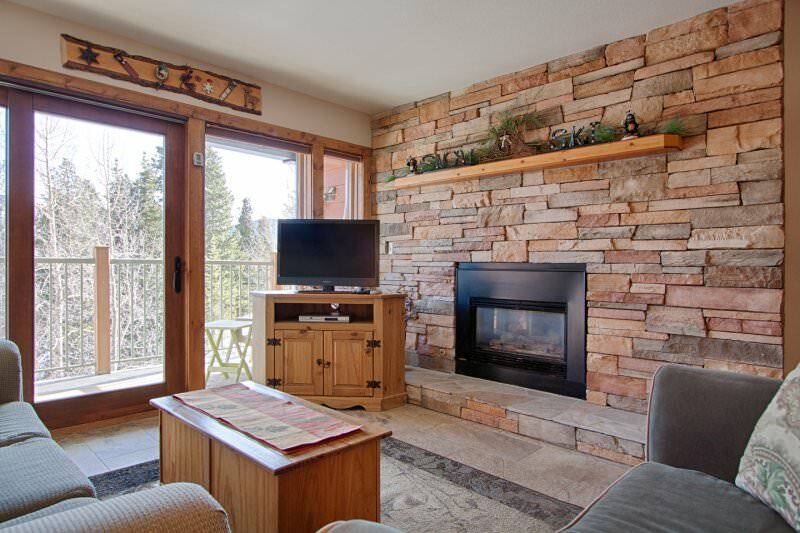 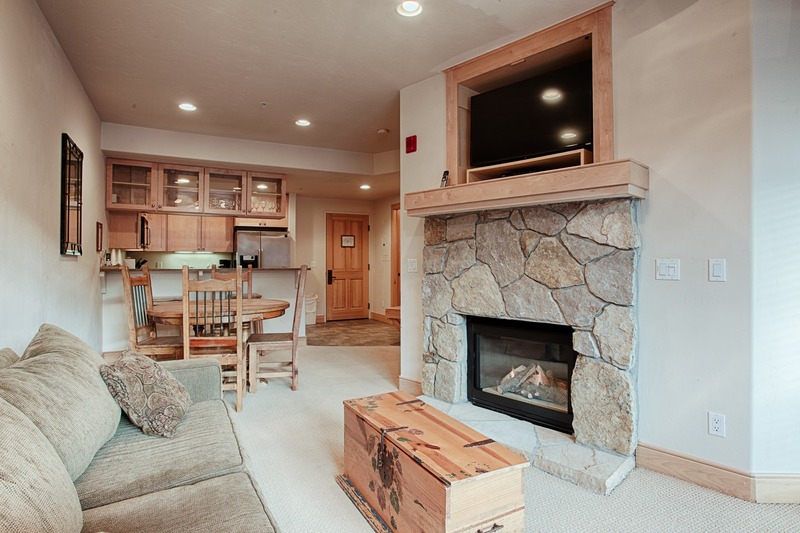 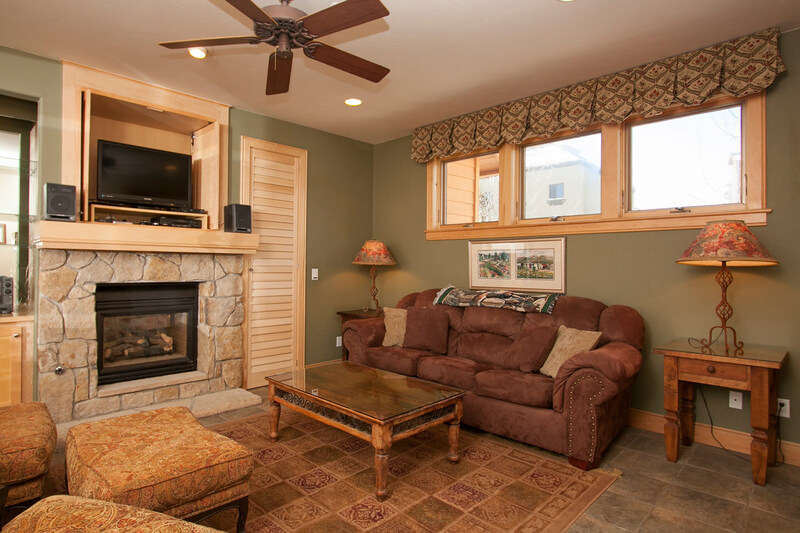 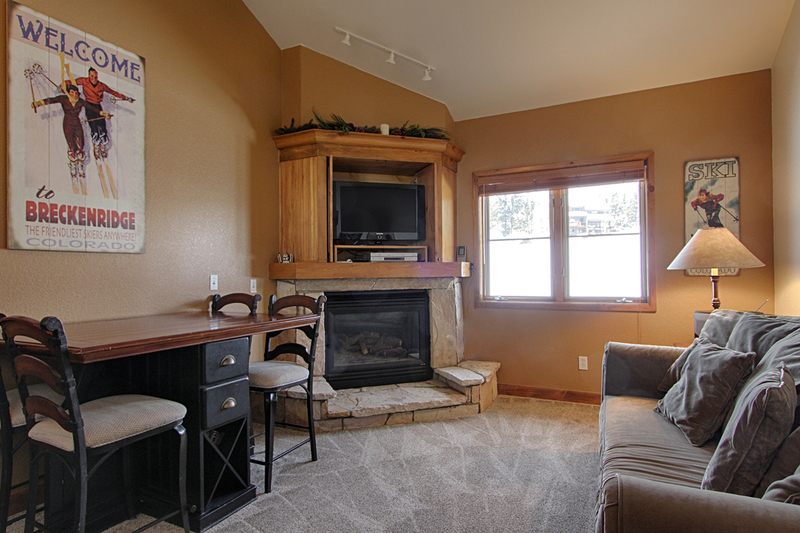 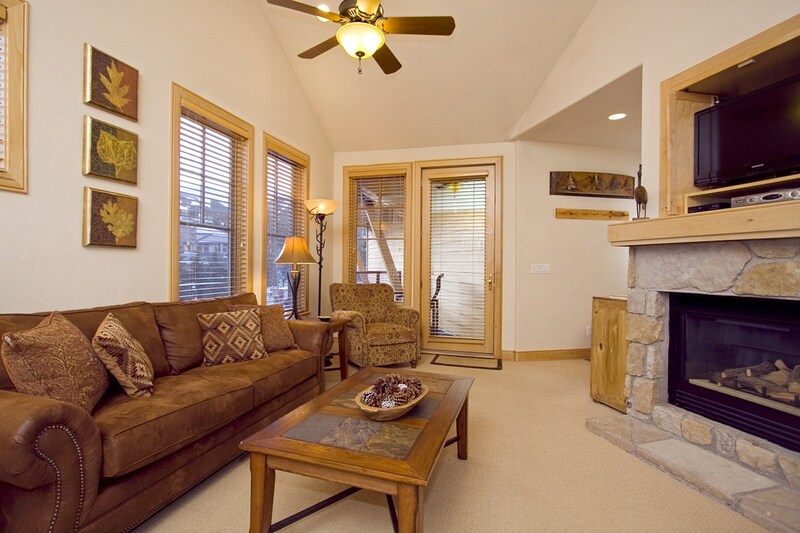 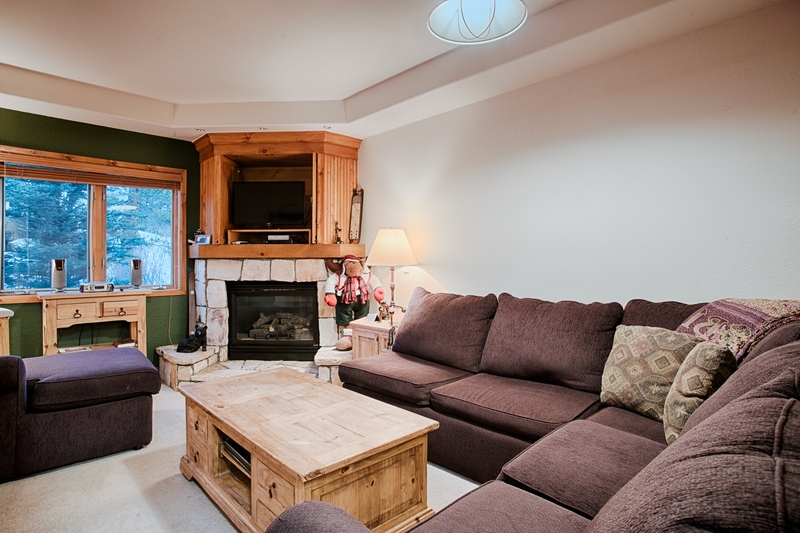 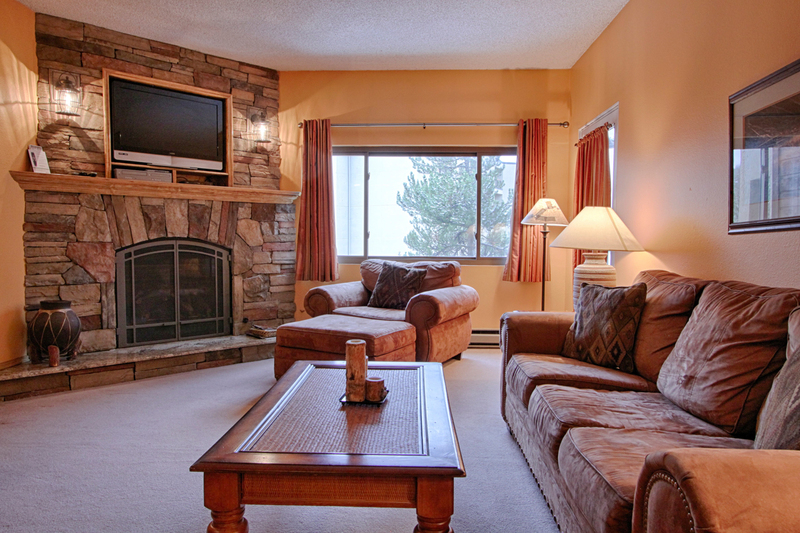 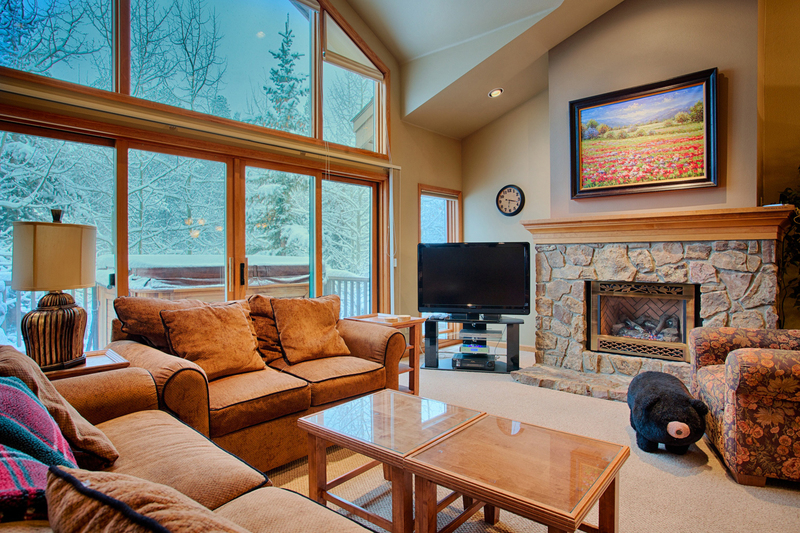 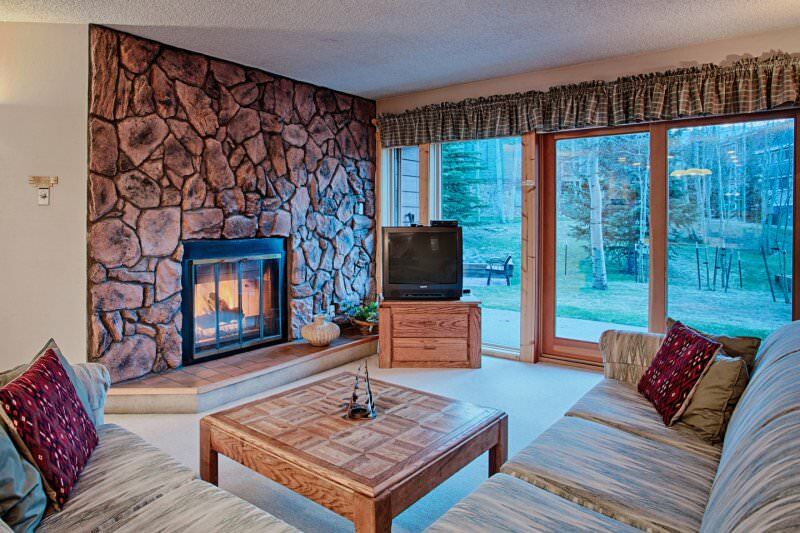 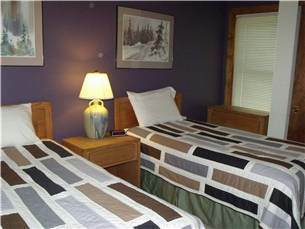 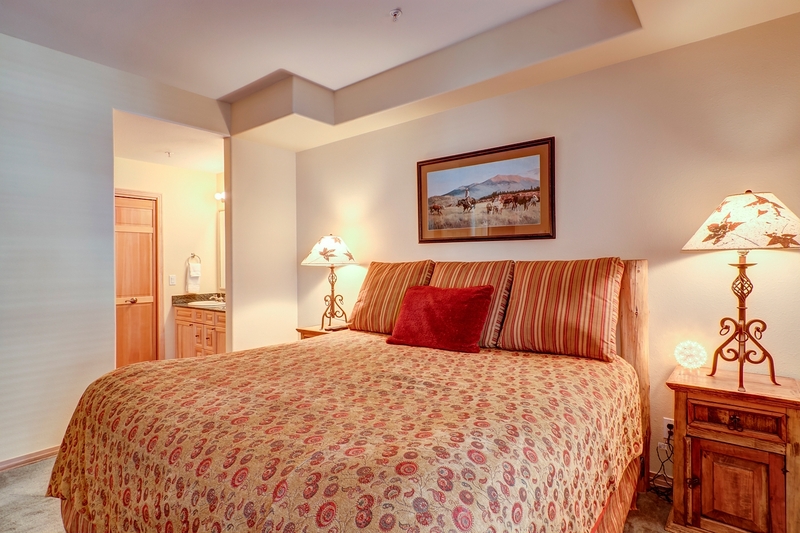 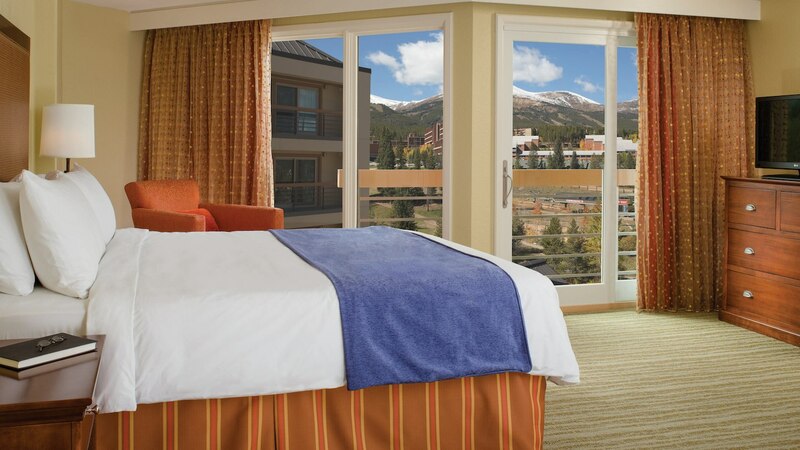 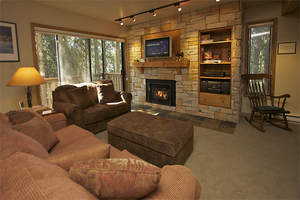 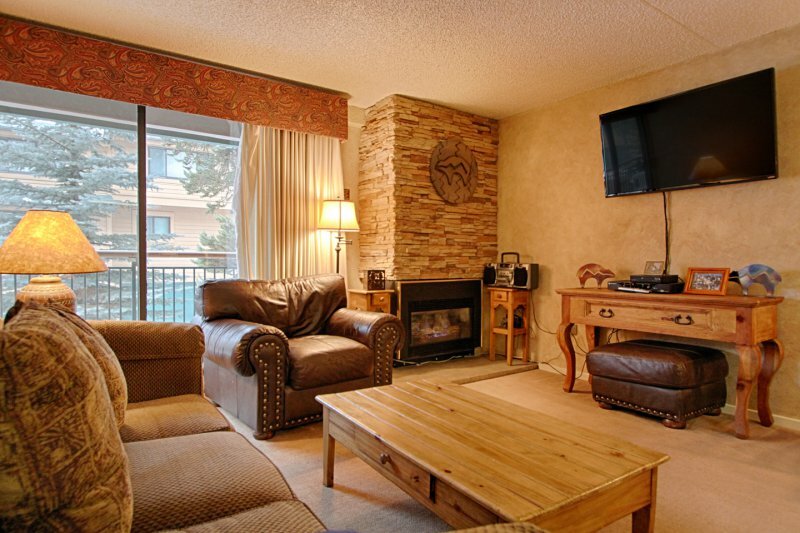 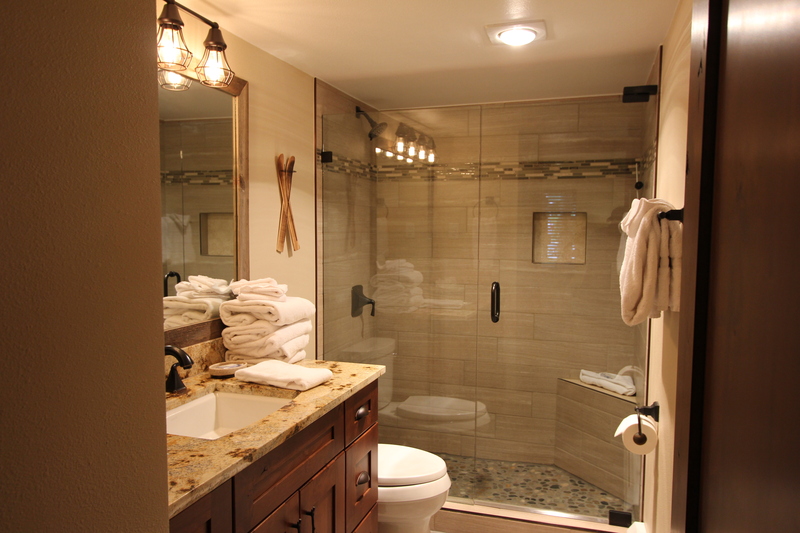 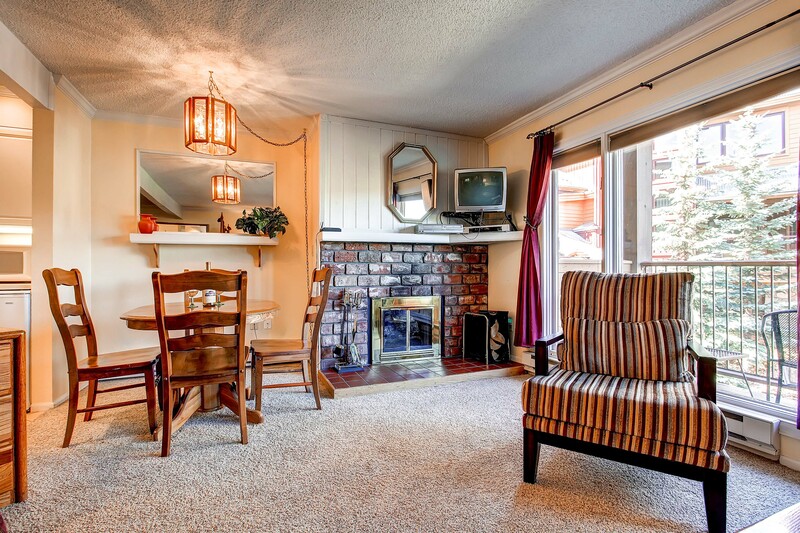 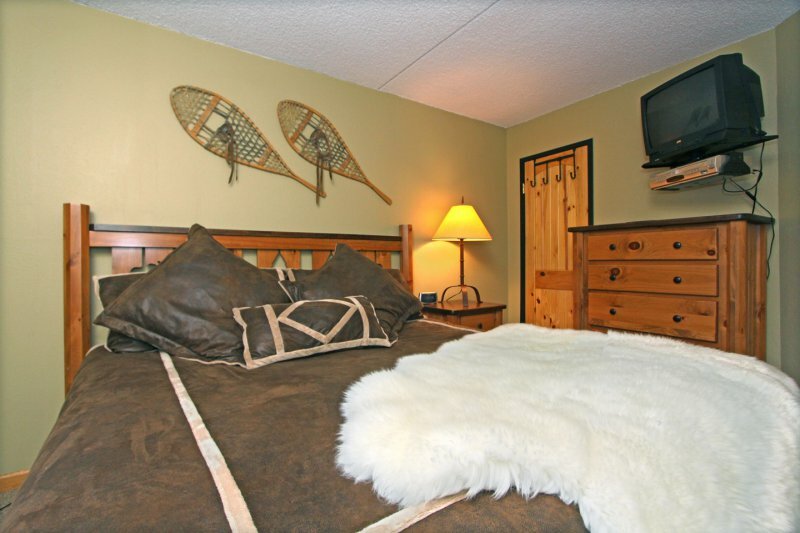 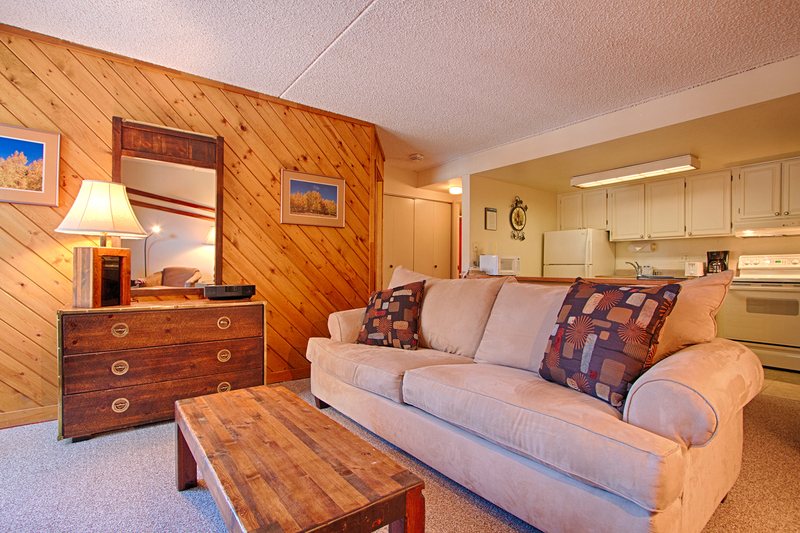 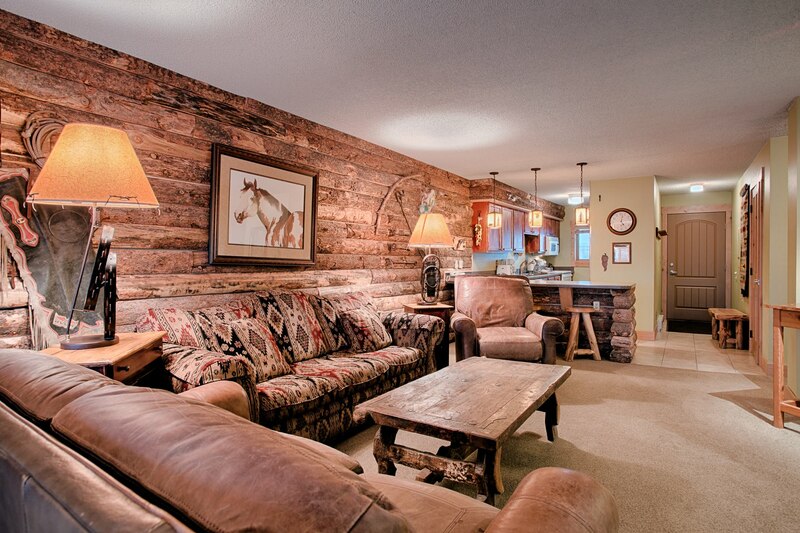 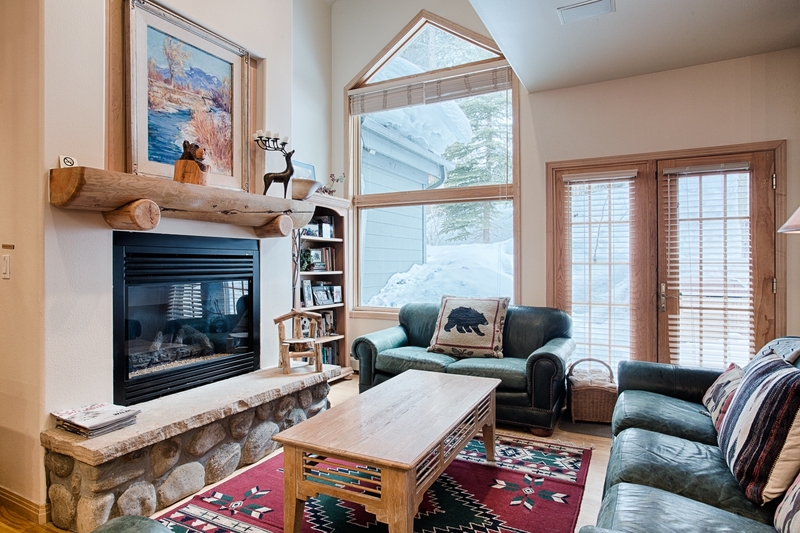 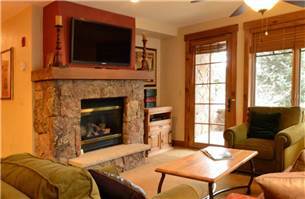 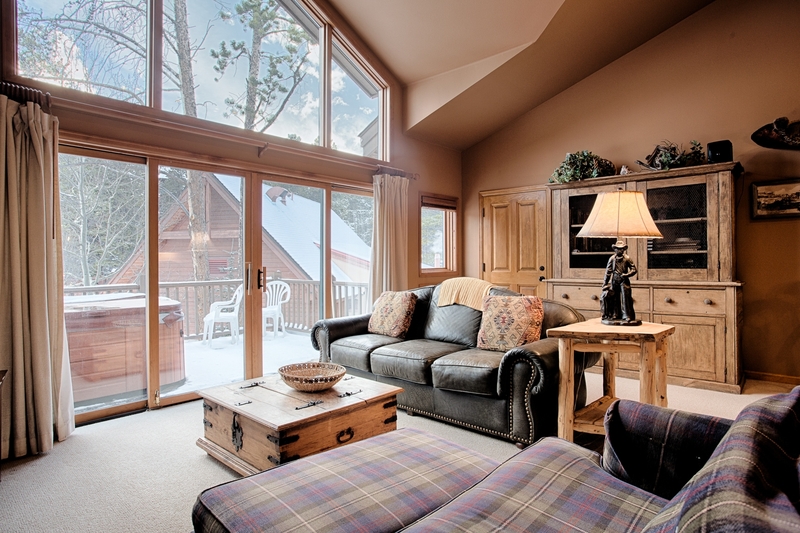 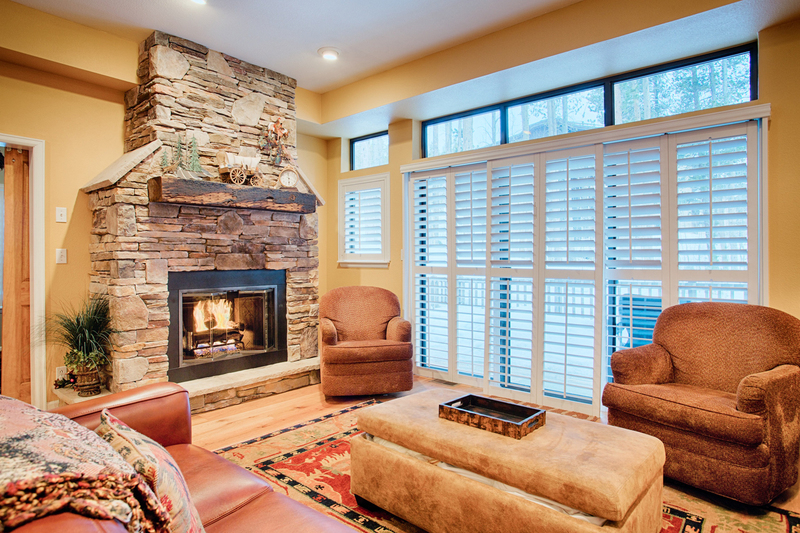 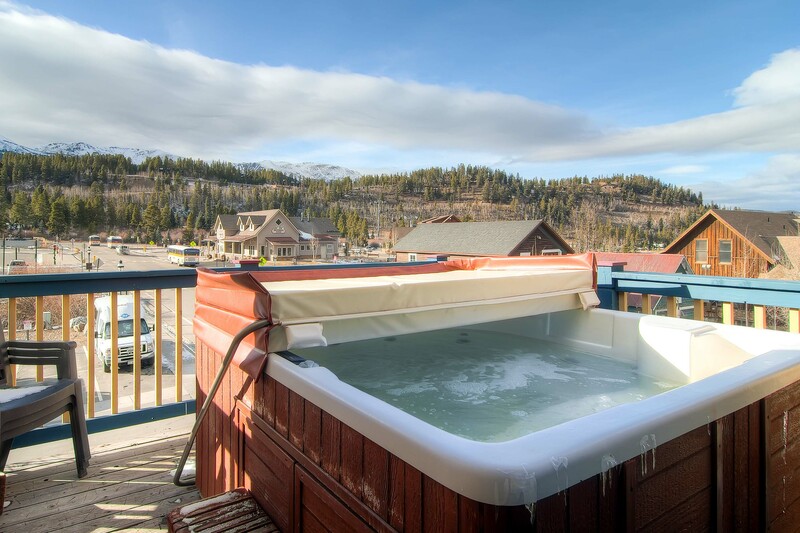 After a hard day on the slopes or on Main street, relax in the indoor/outdoor hot tubs, sauna or steam room. 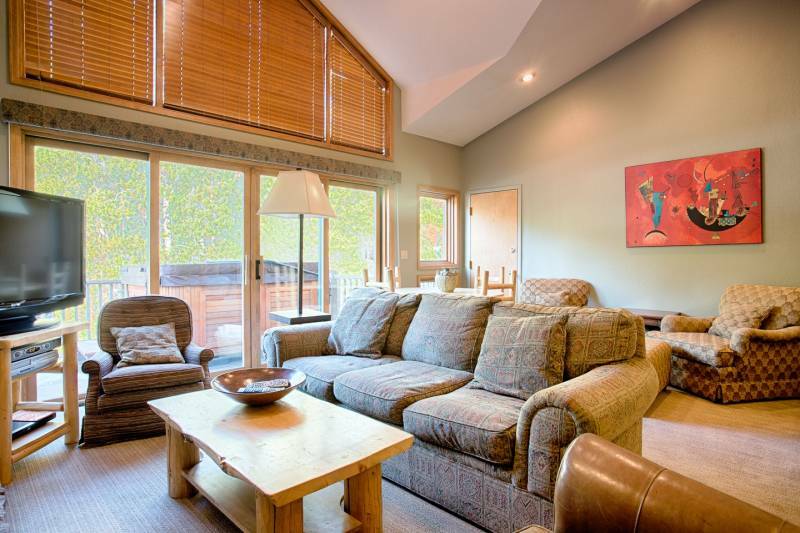 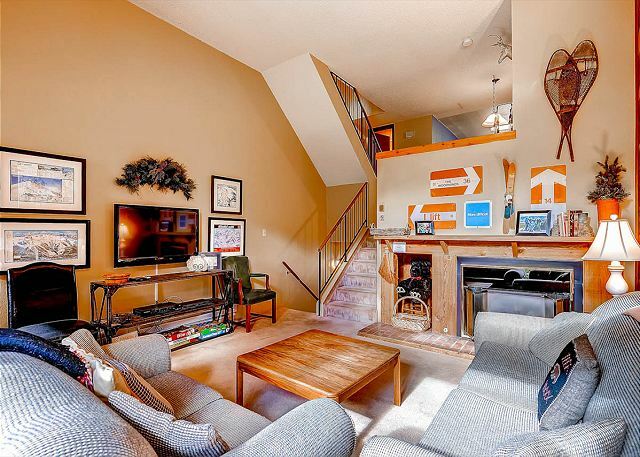 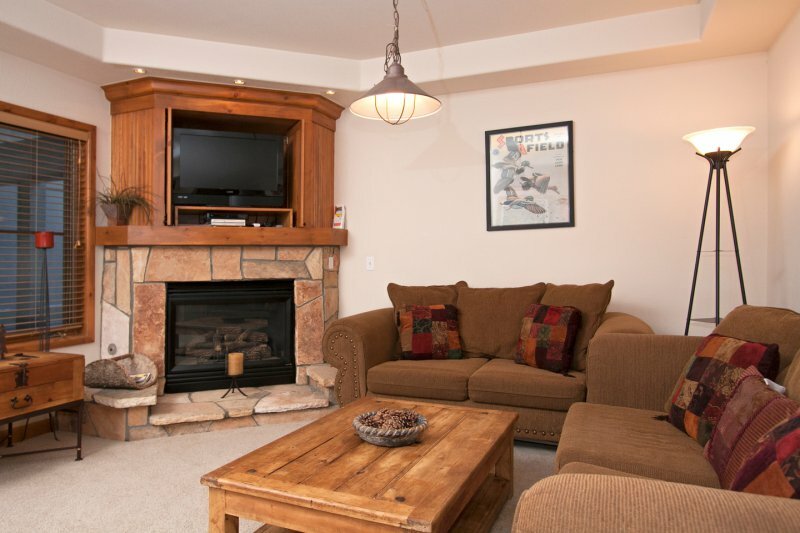 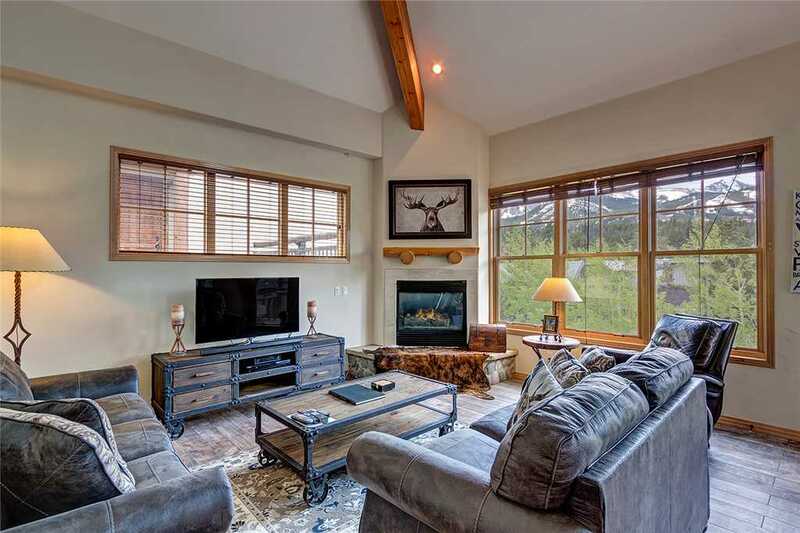 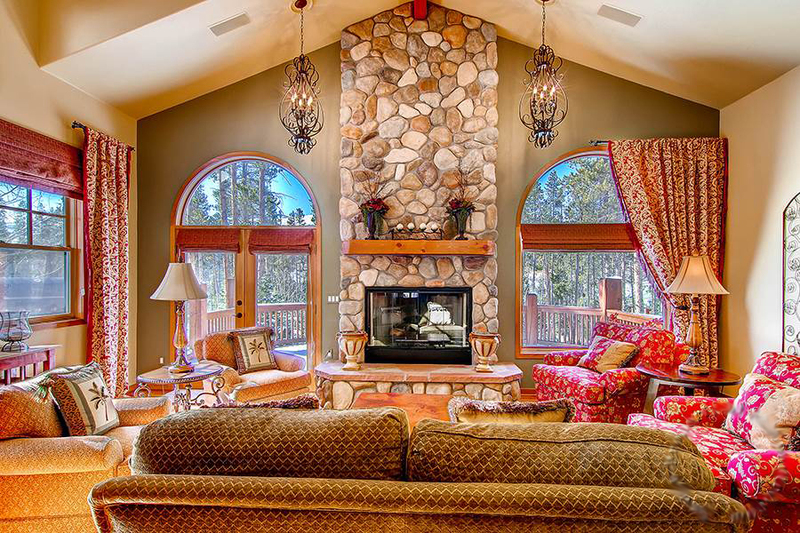 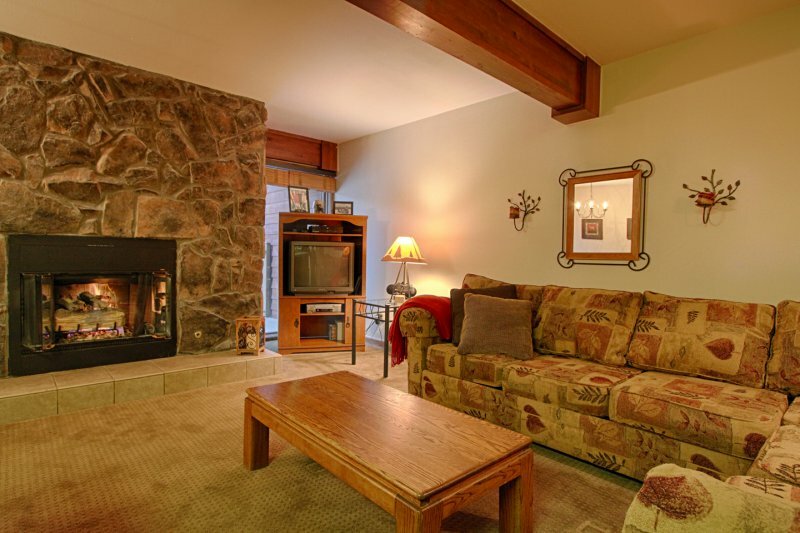 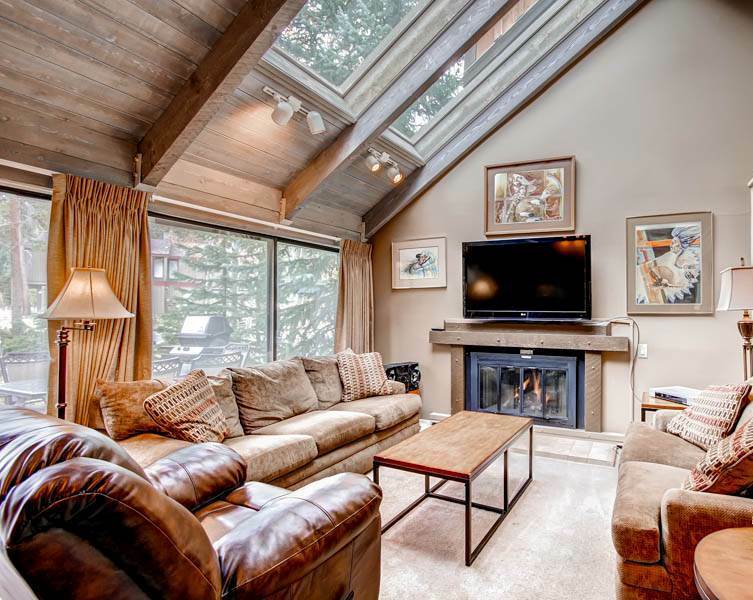 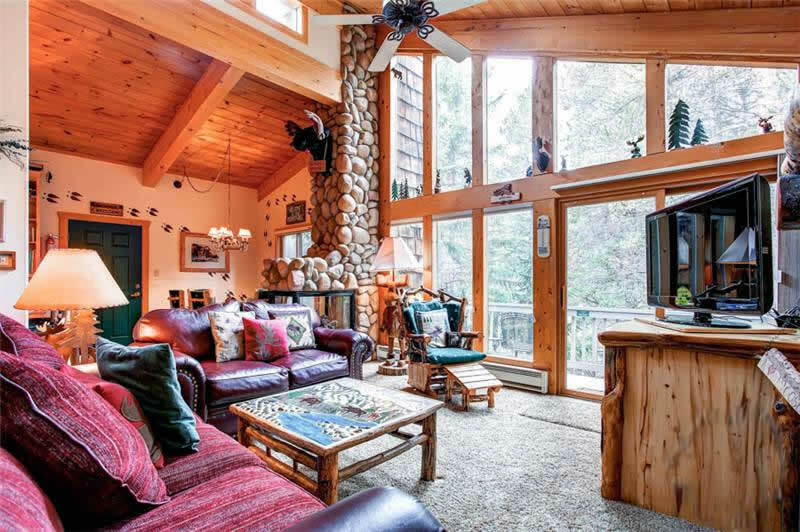 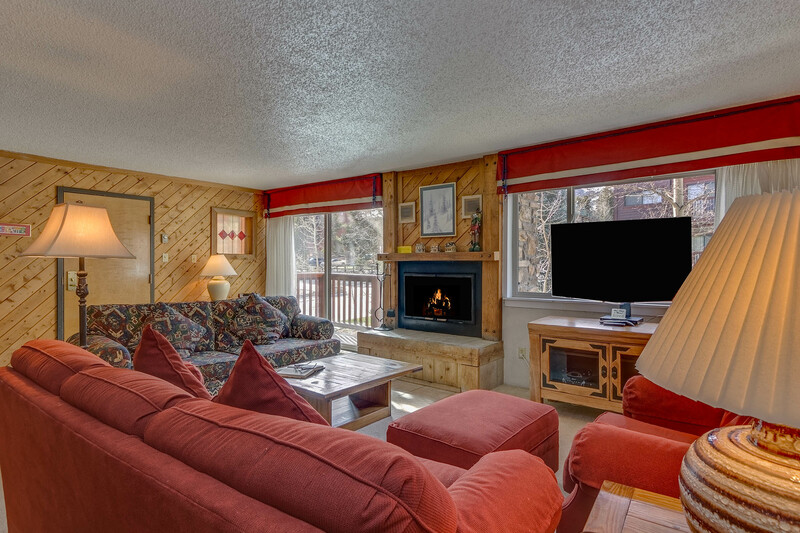 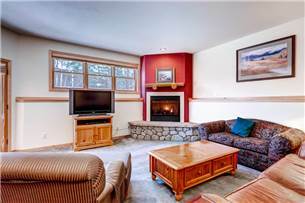 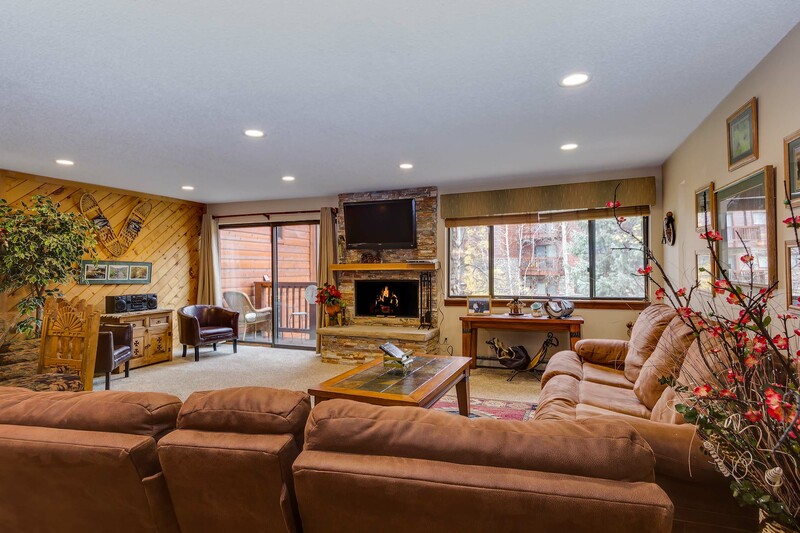 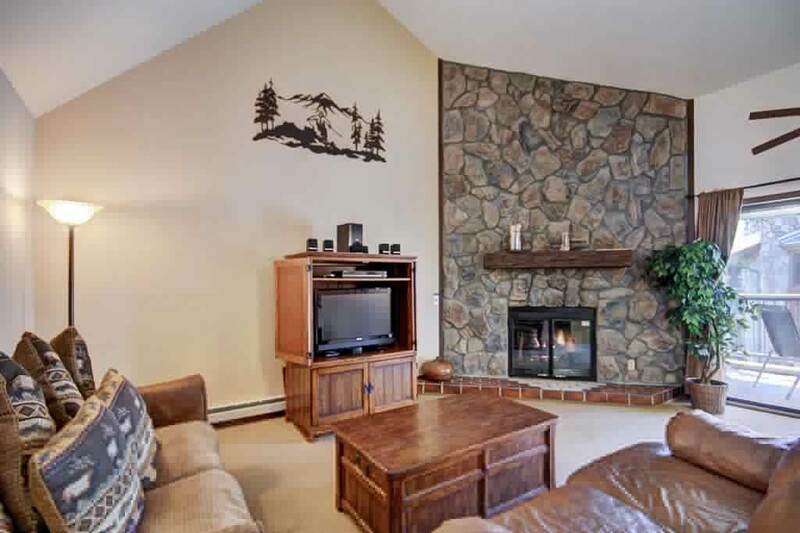 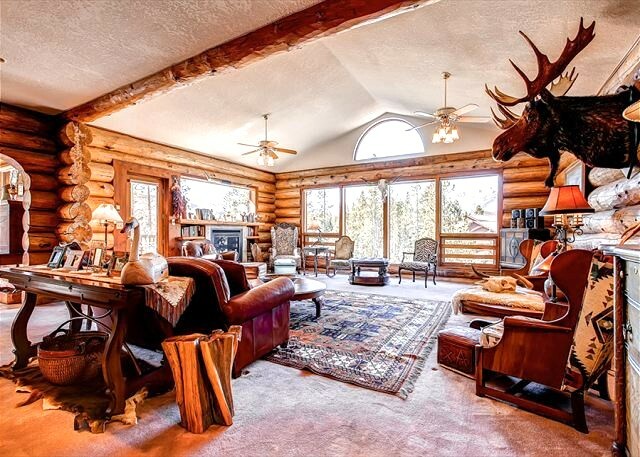 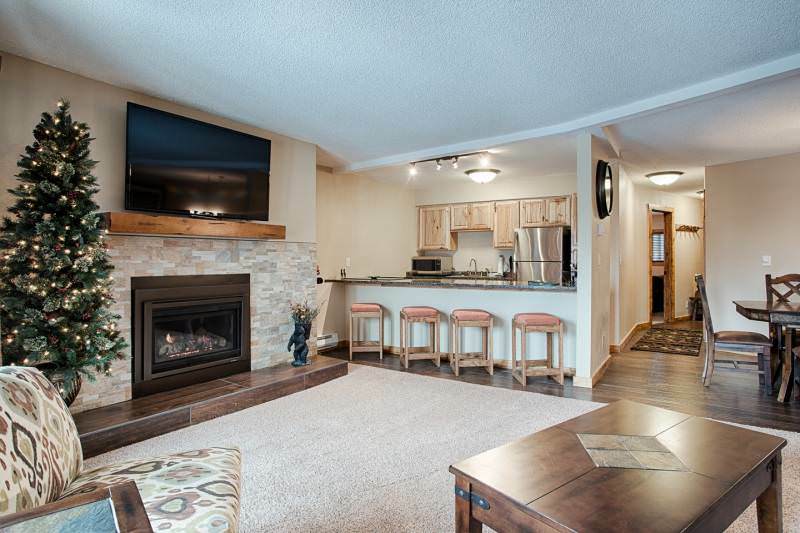 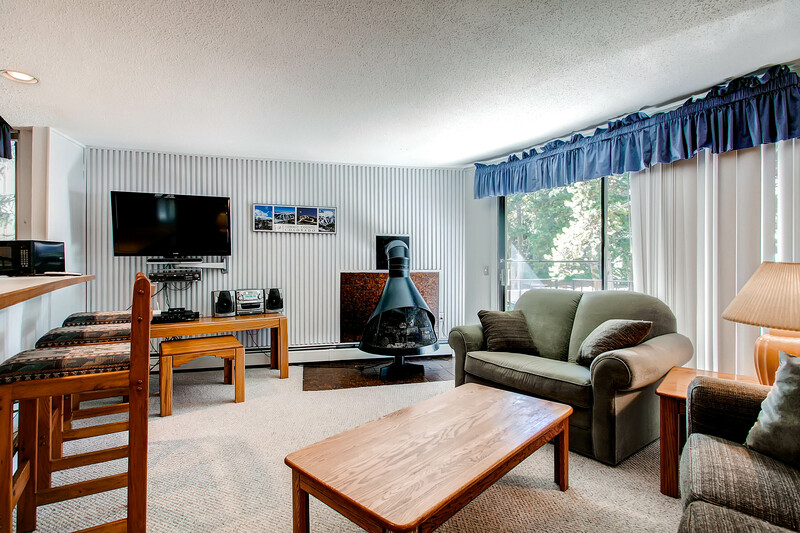 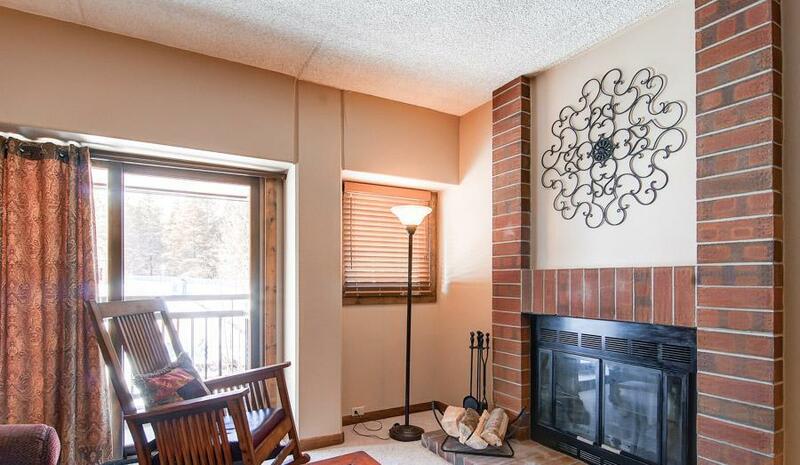 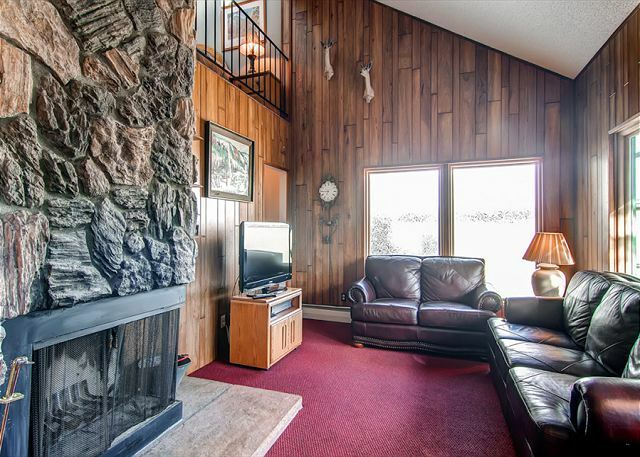 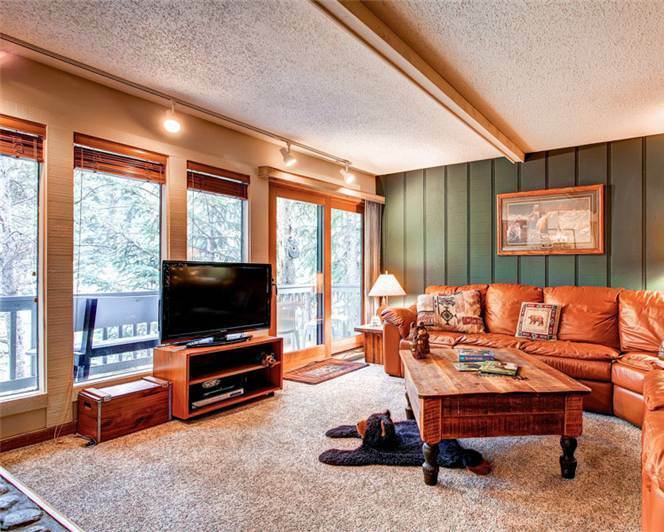 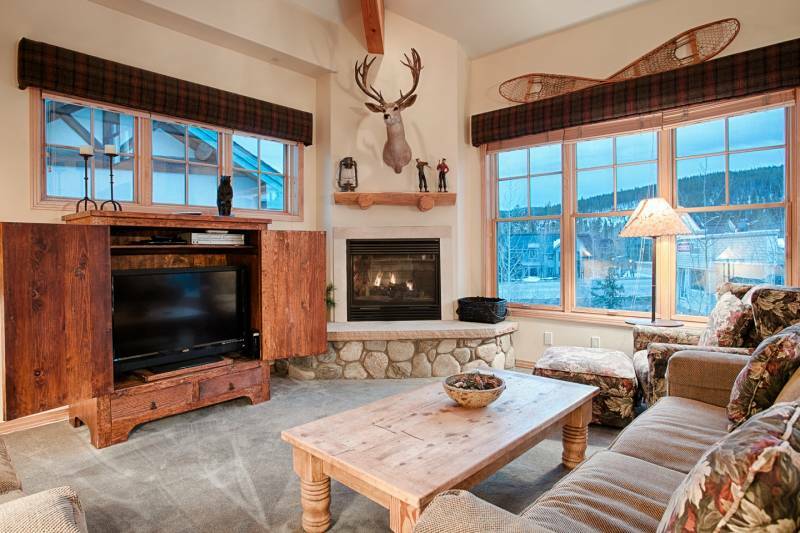 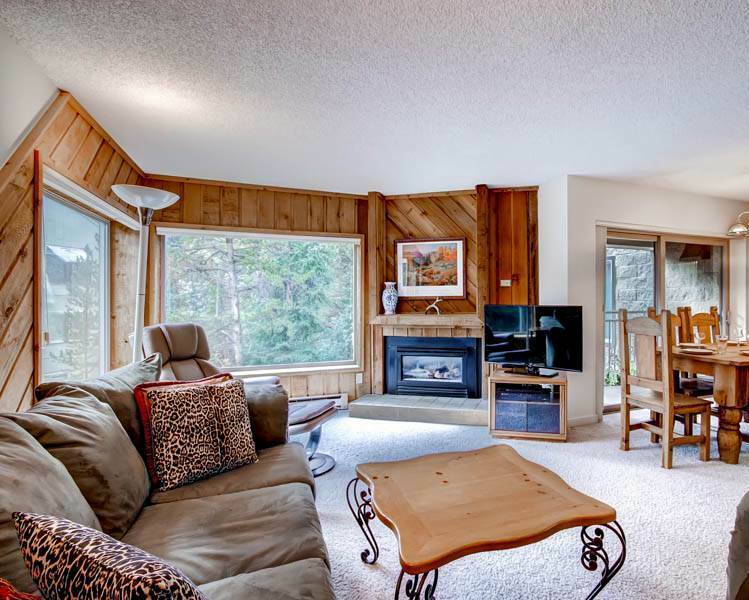 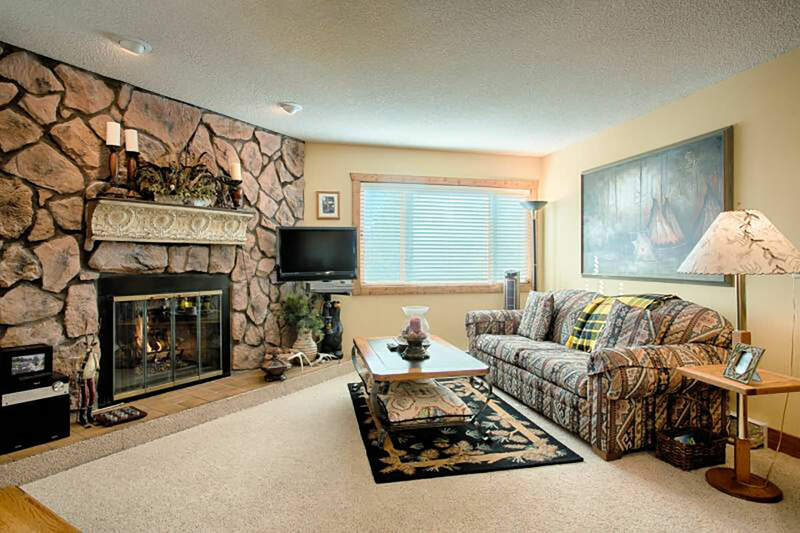 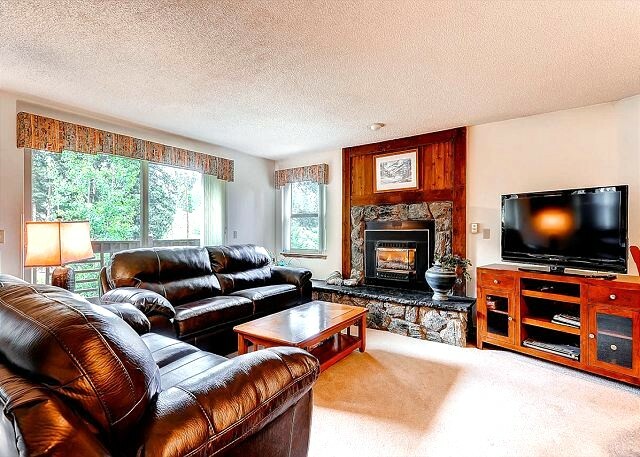 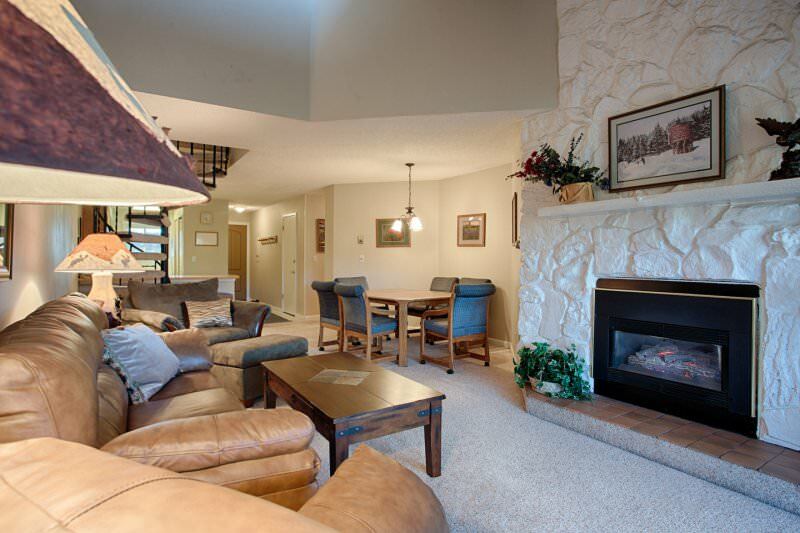 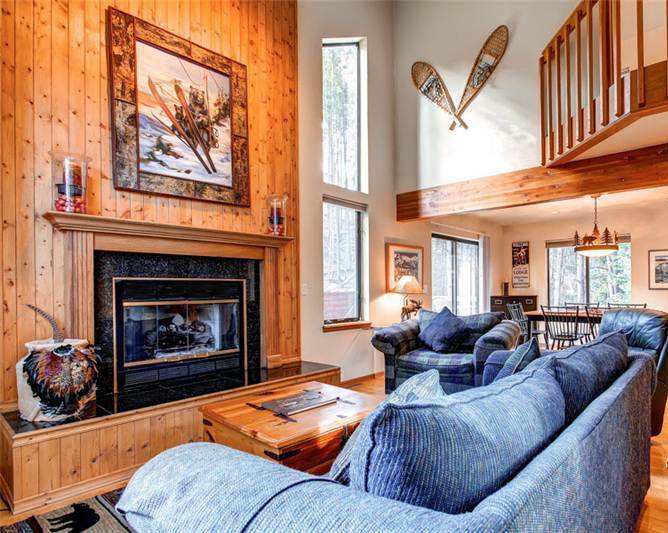 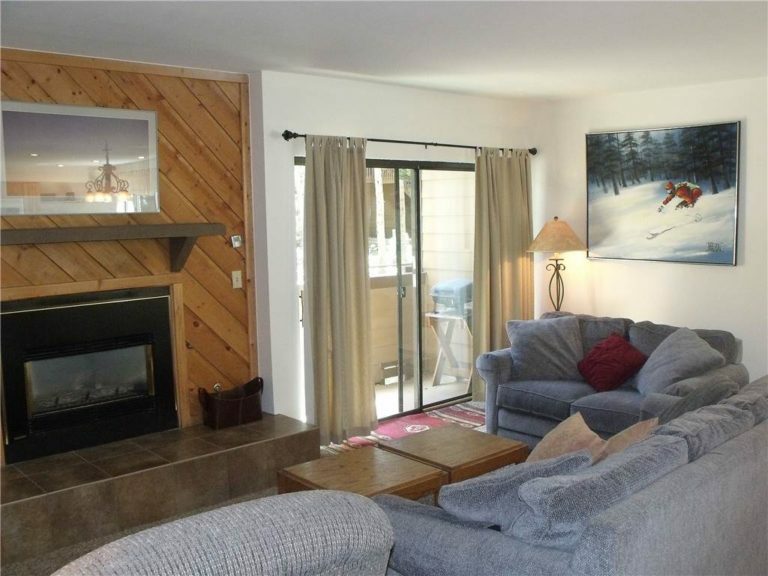 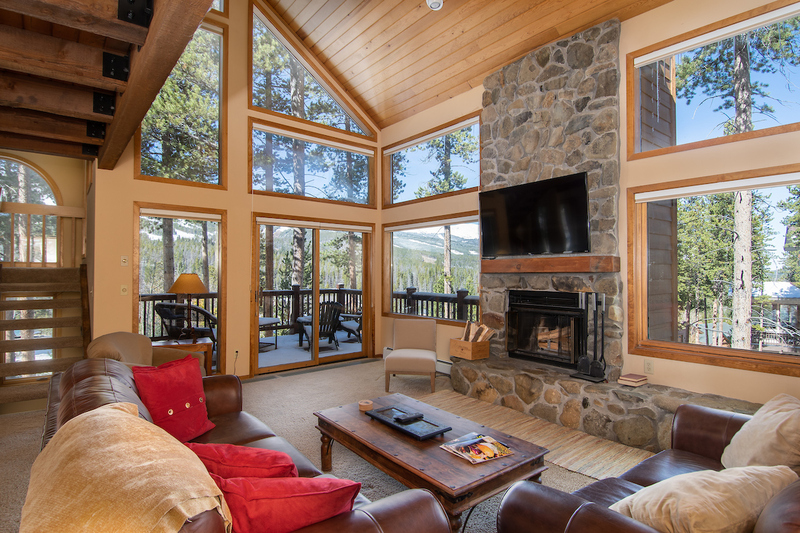 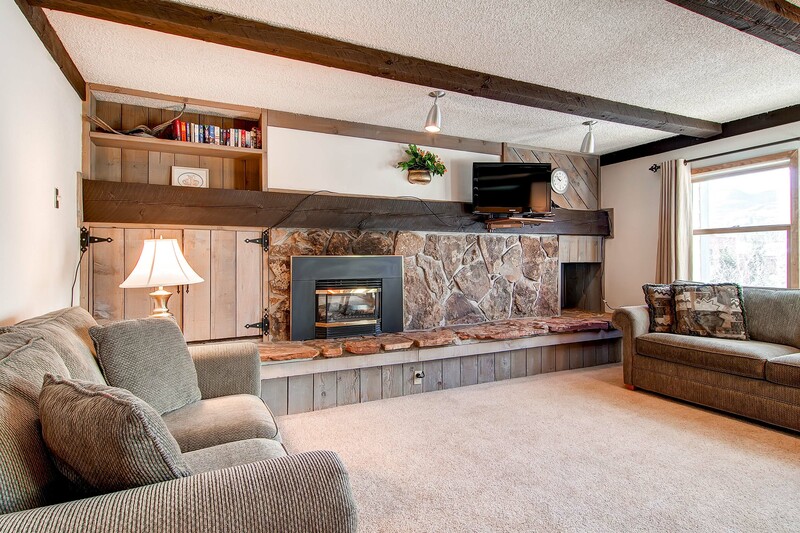 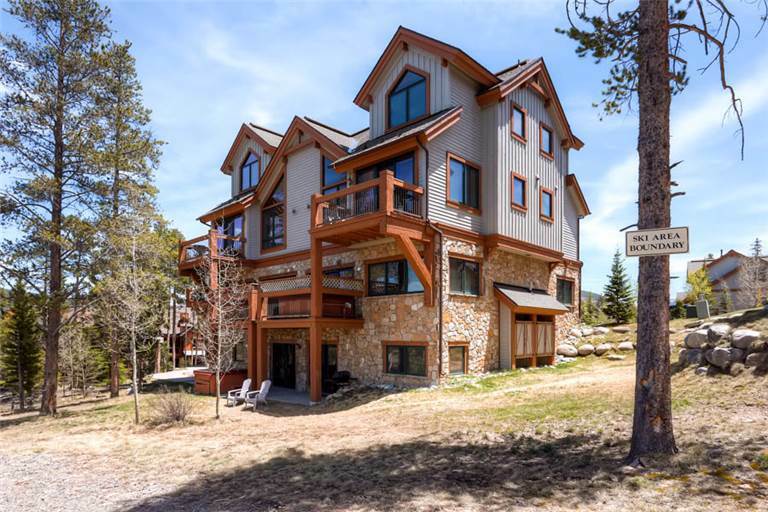 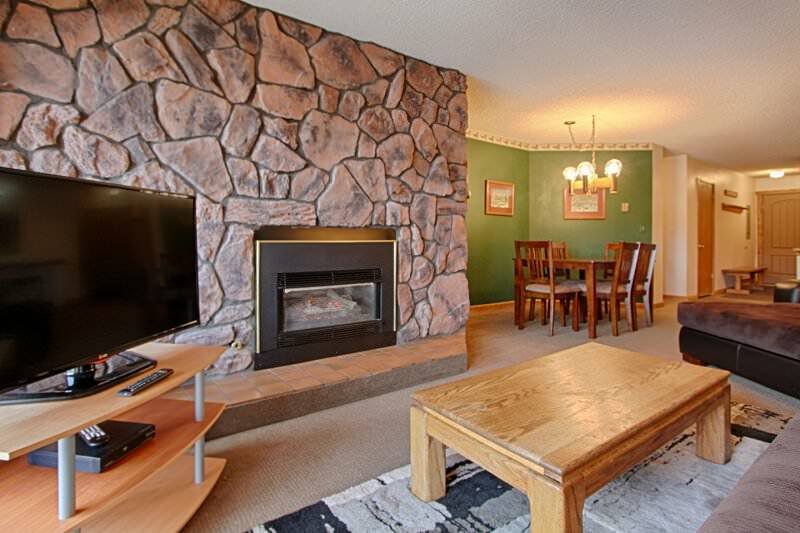 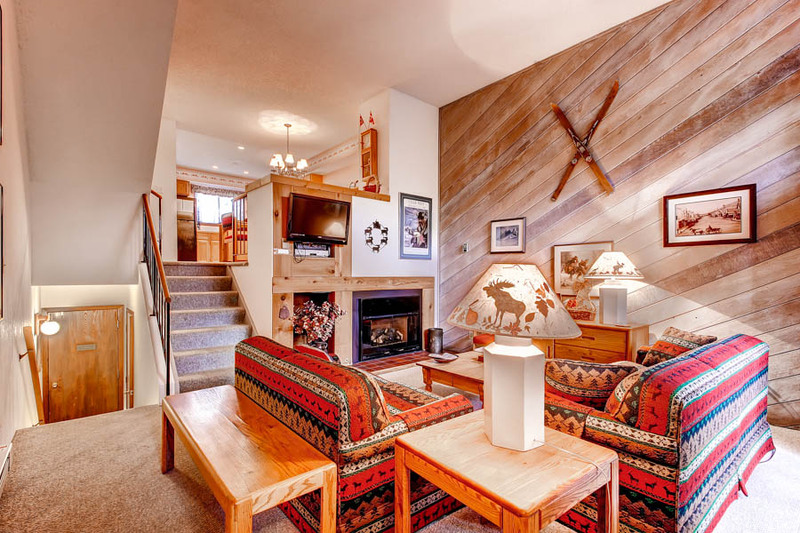 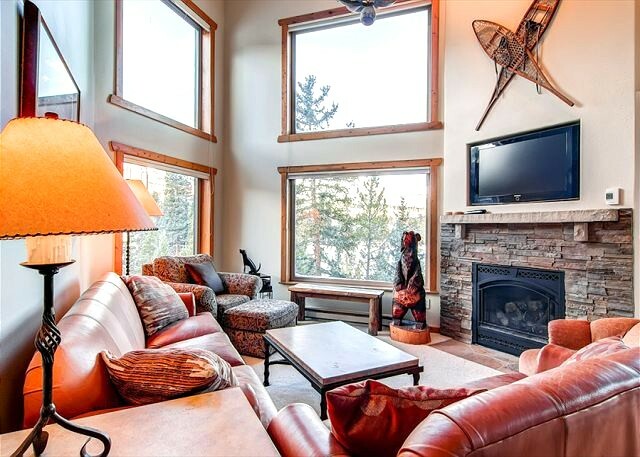 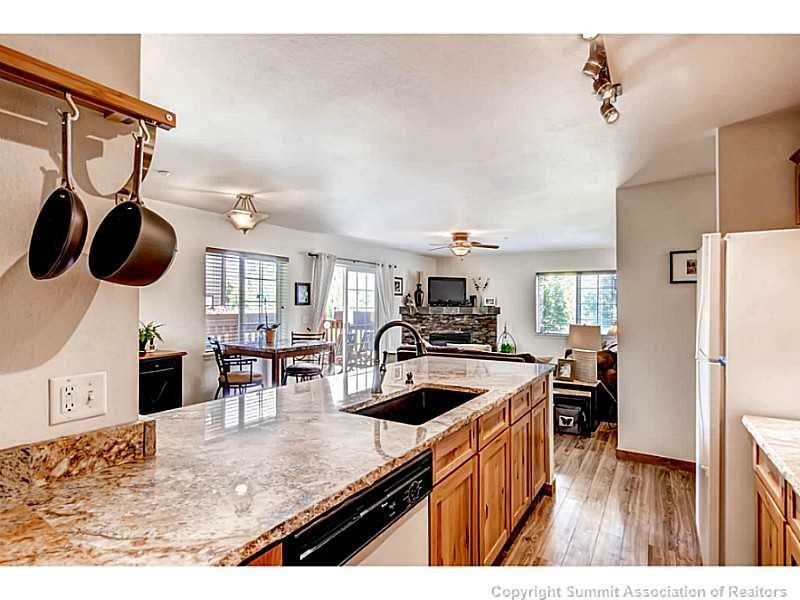 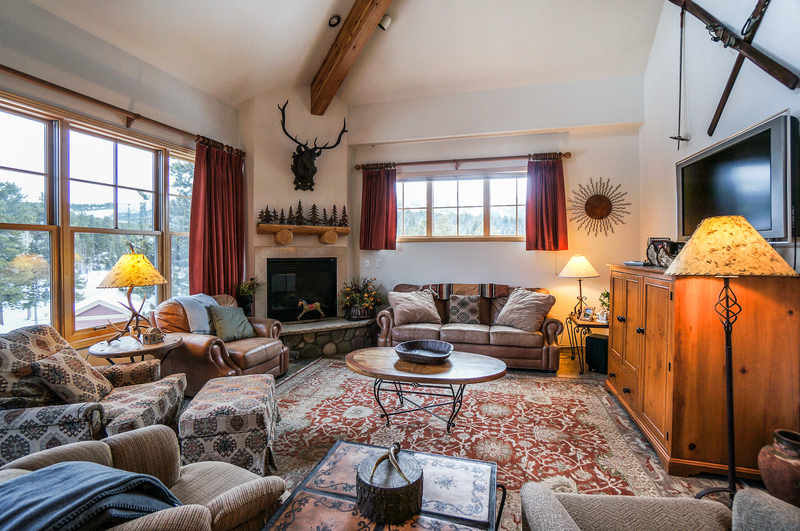 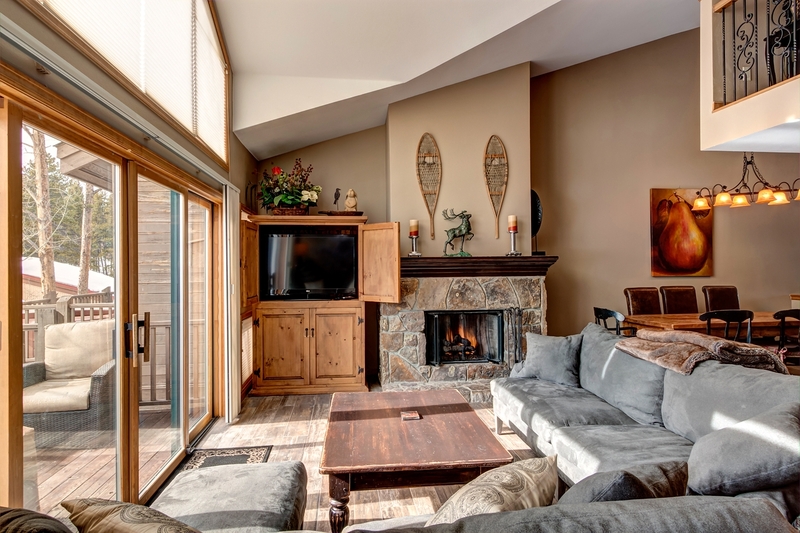 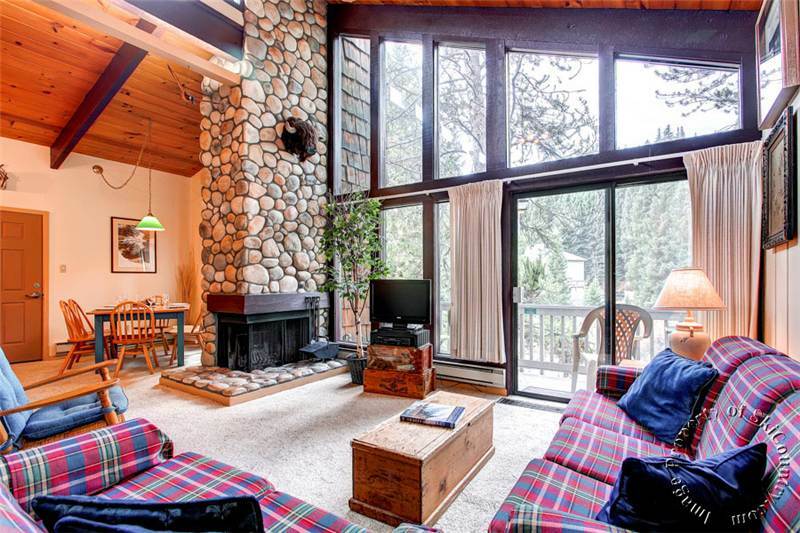 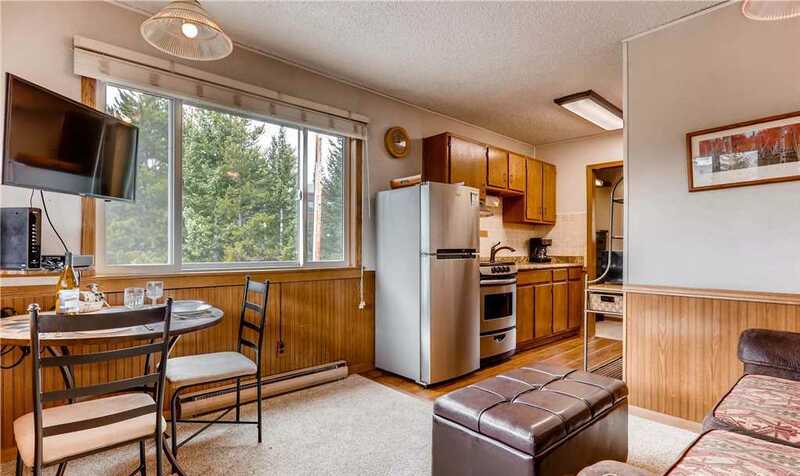 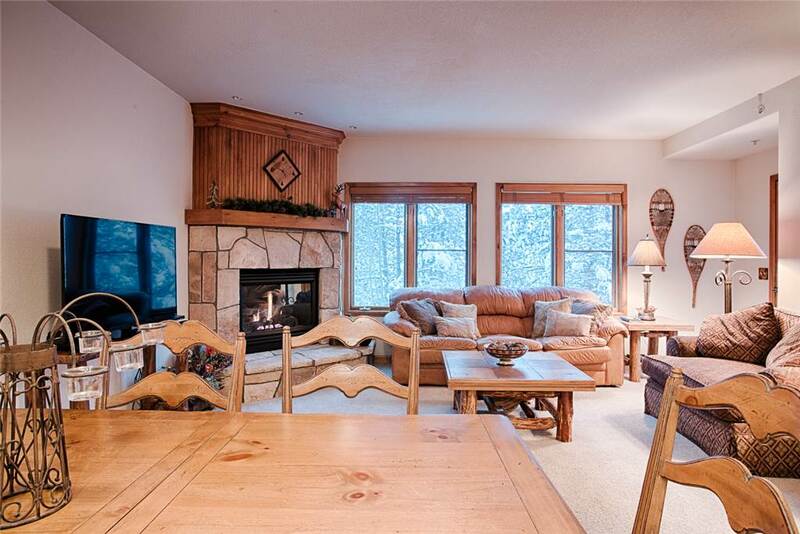 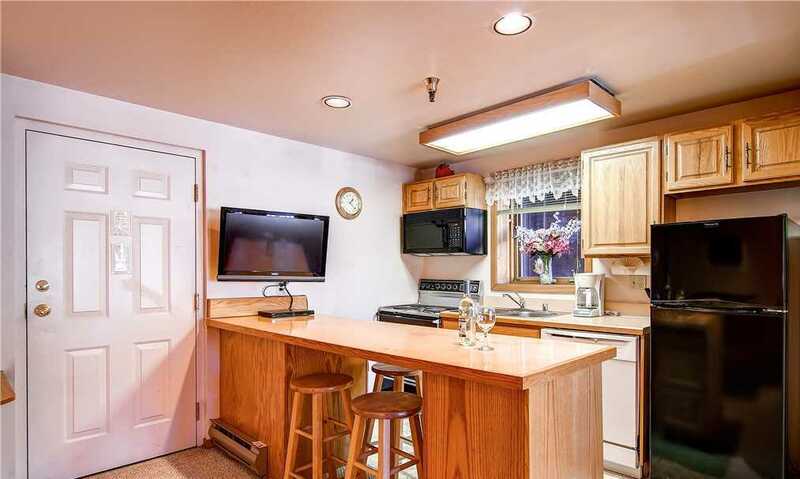 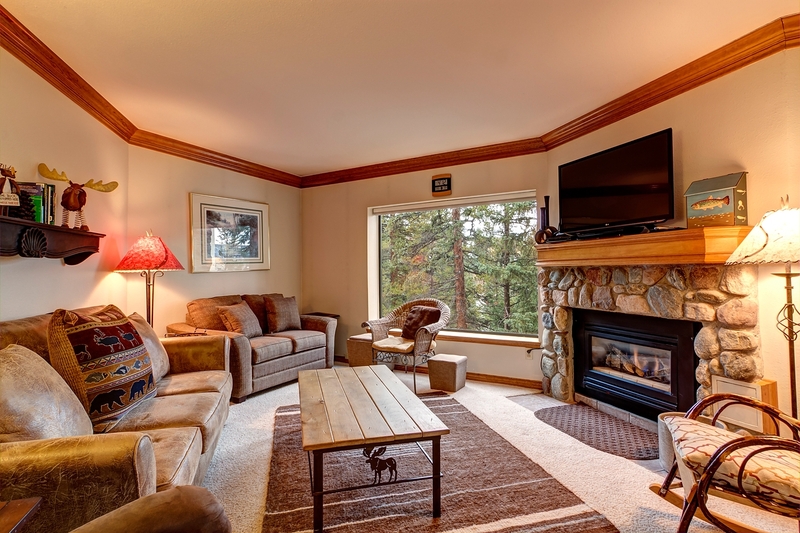 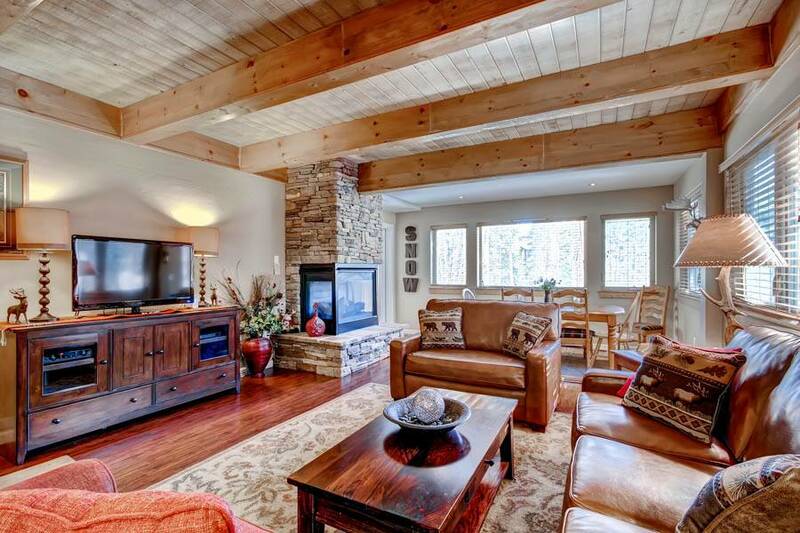 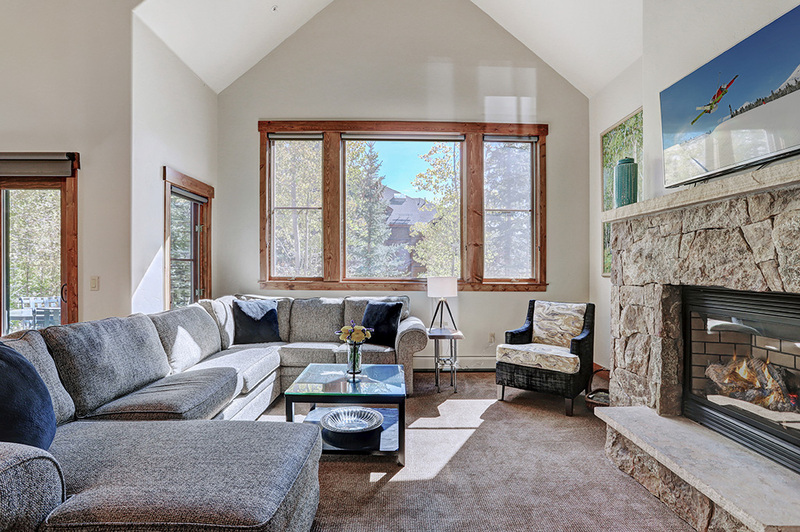 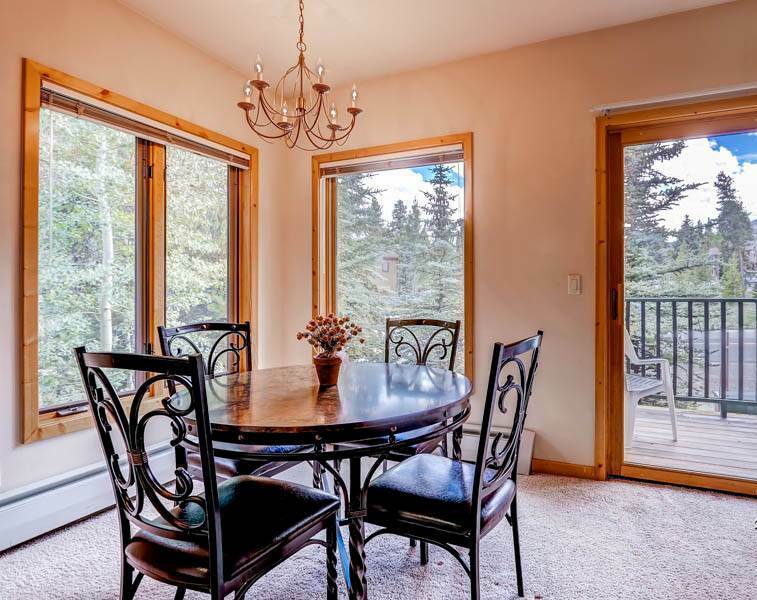 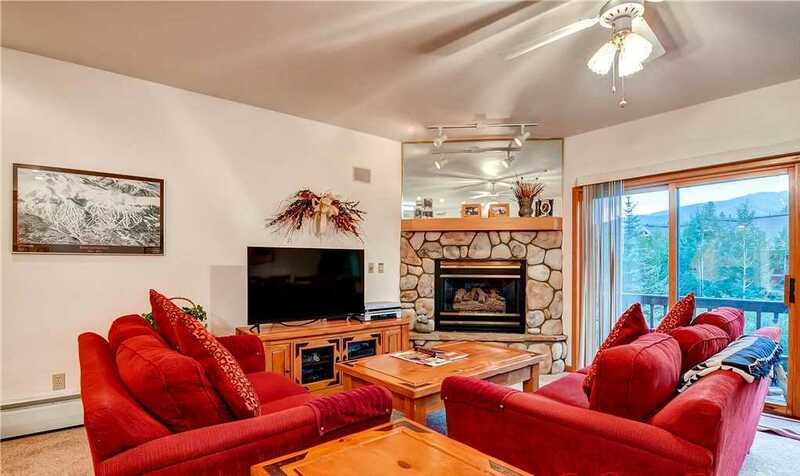 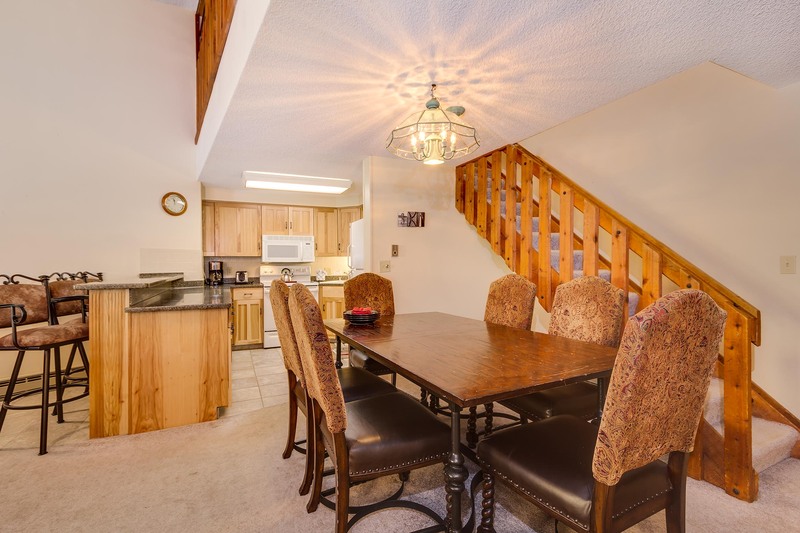 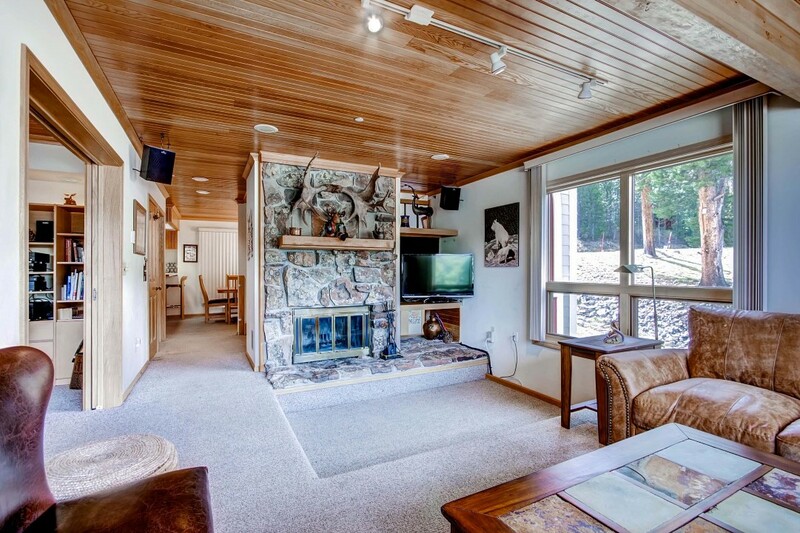 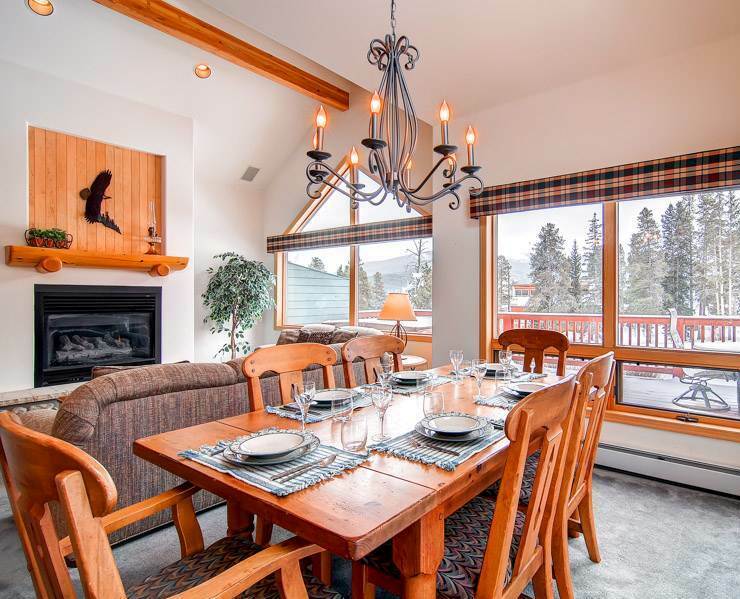 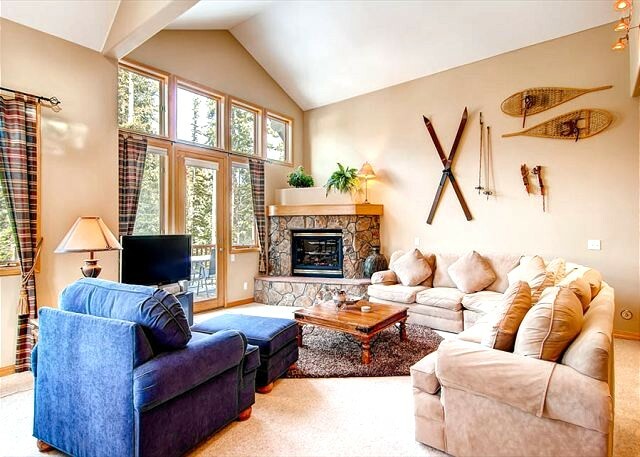 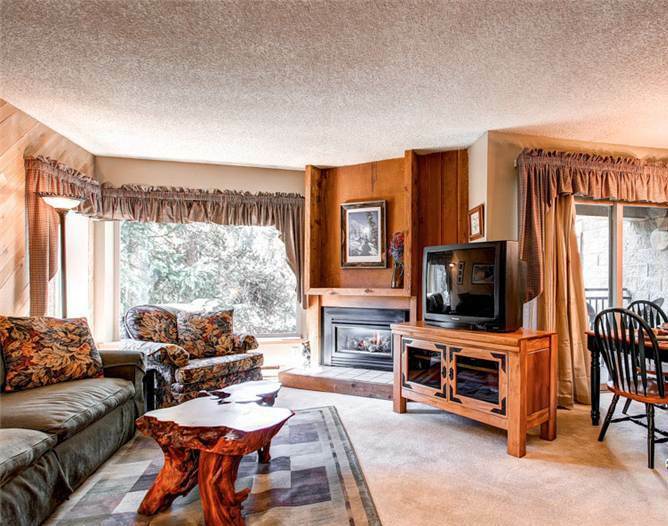 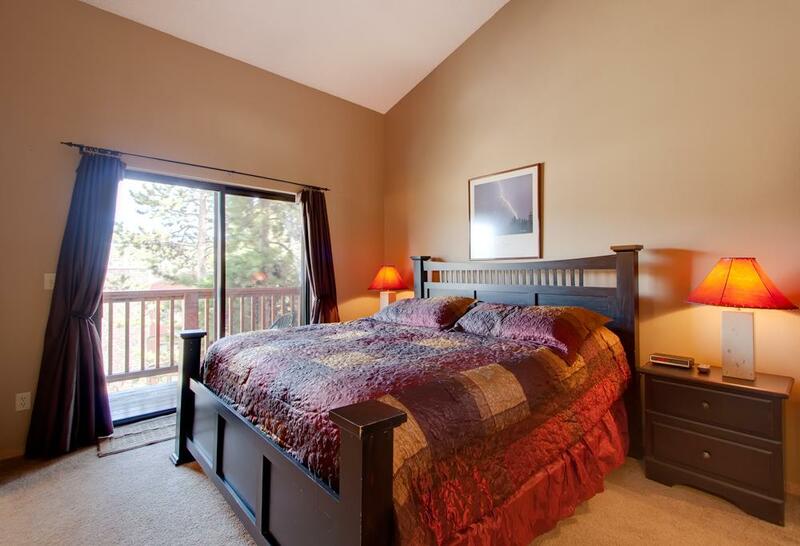 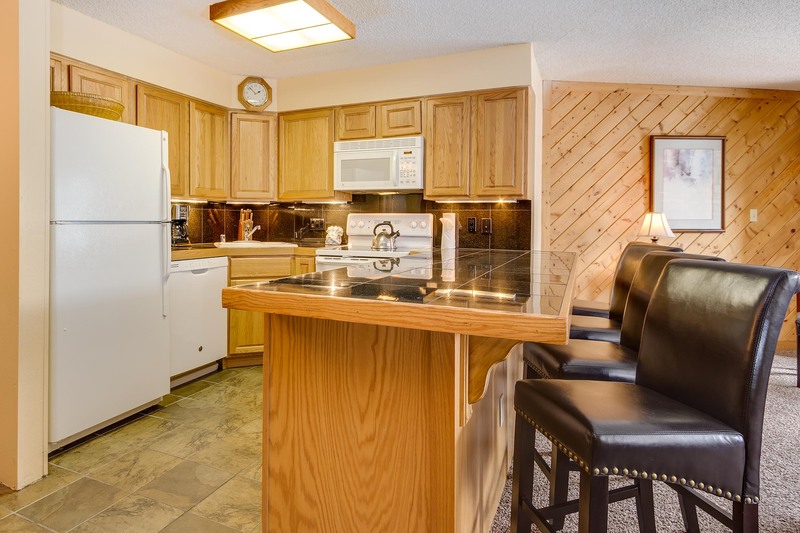 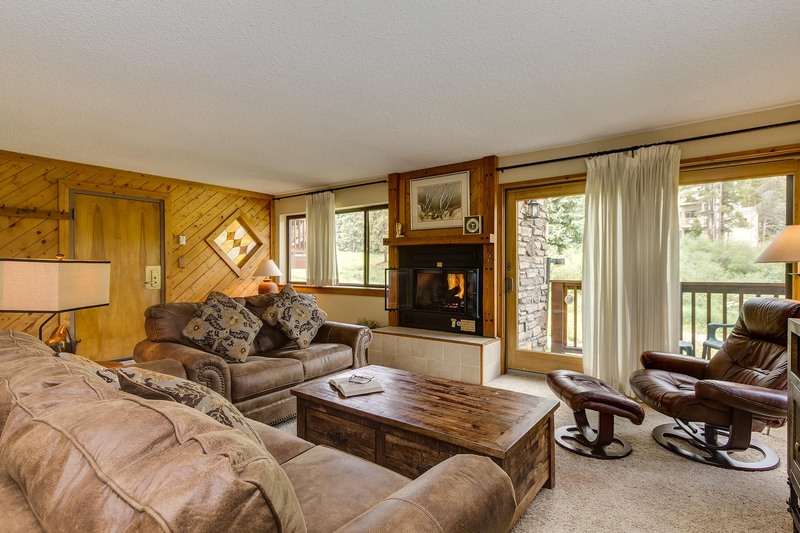 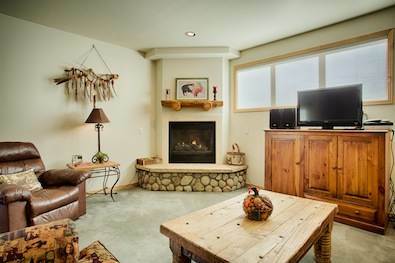 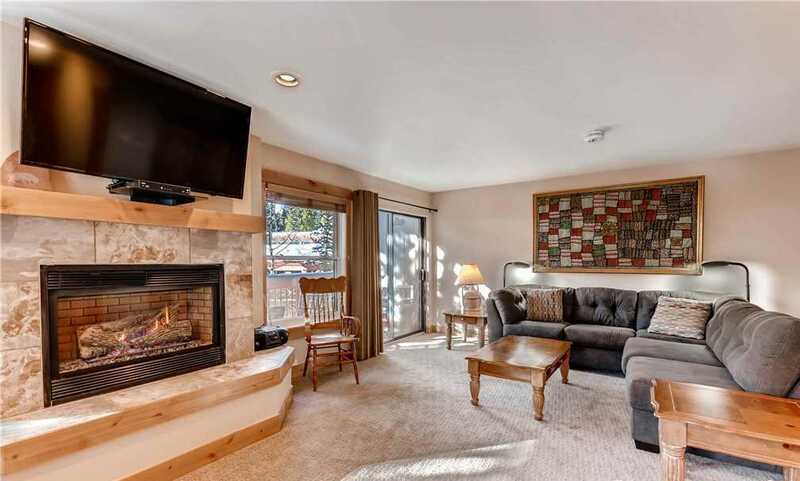 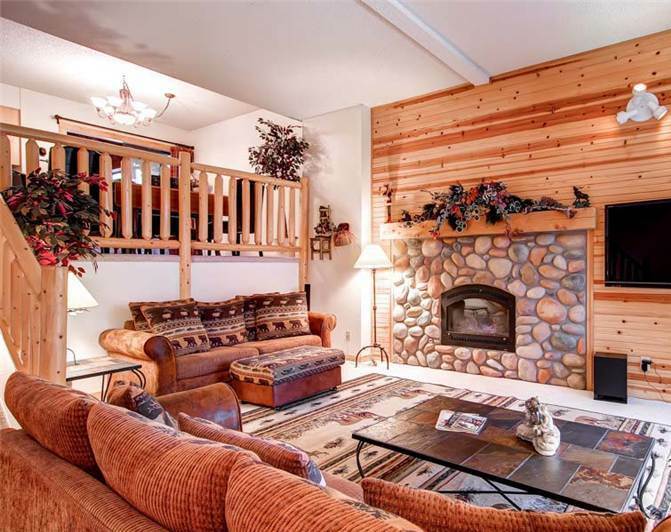 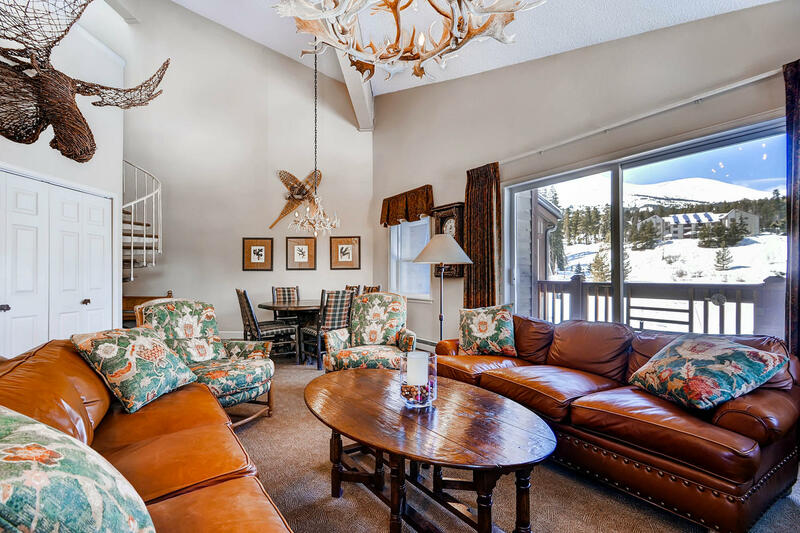 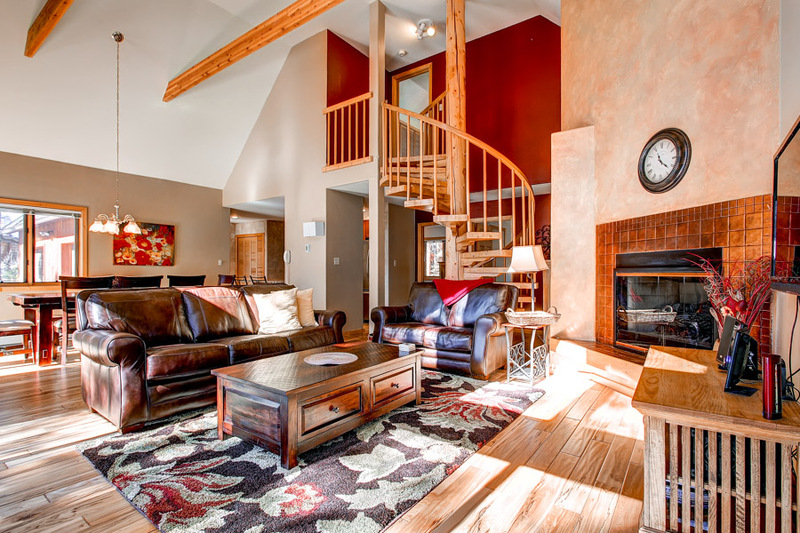 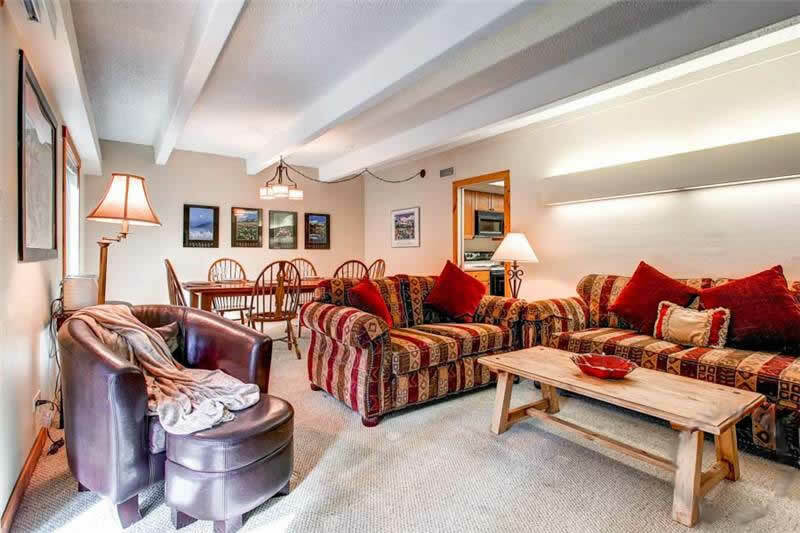 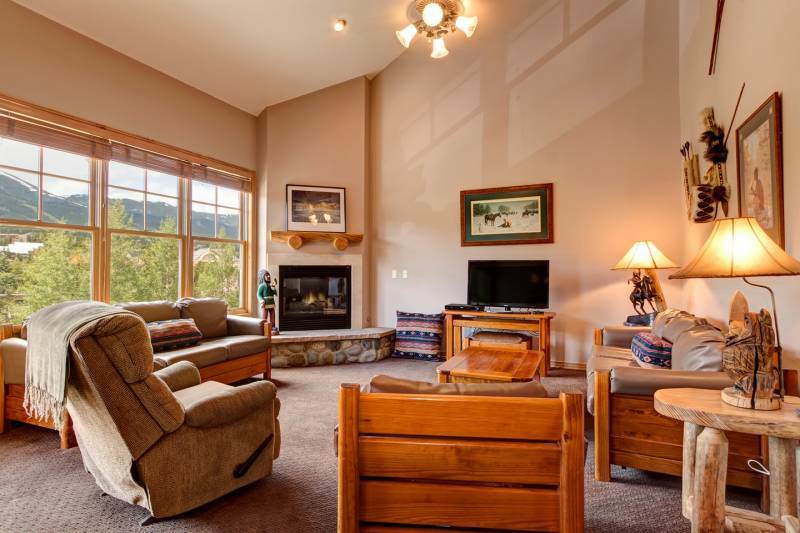 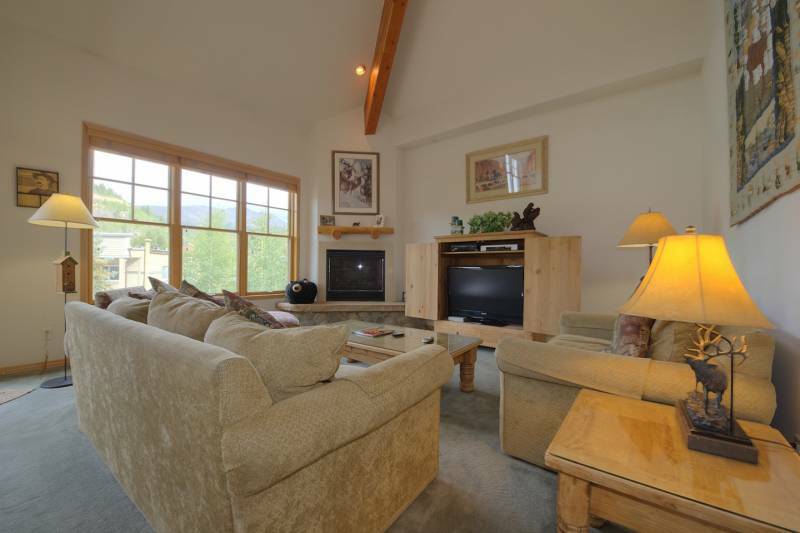 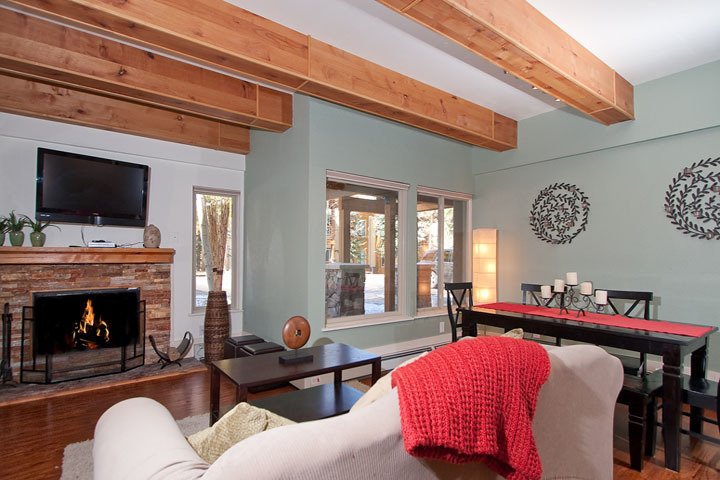 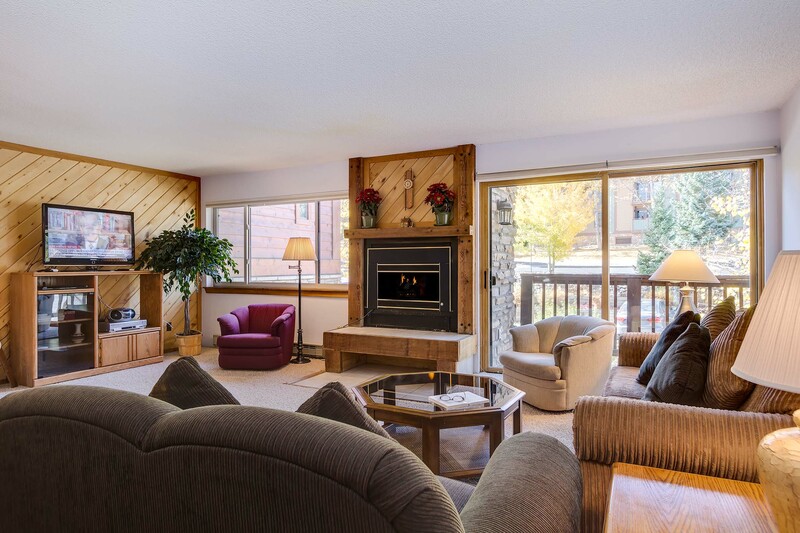 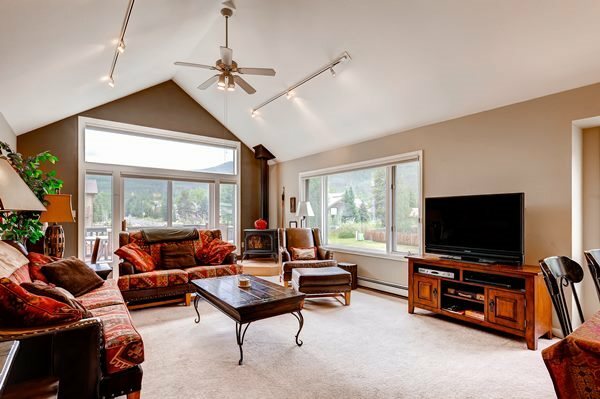 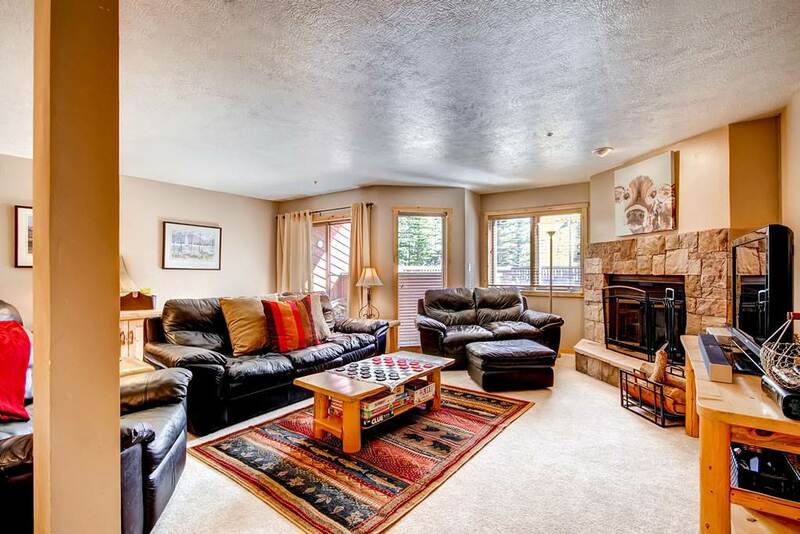 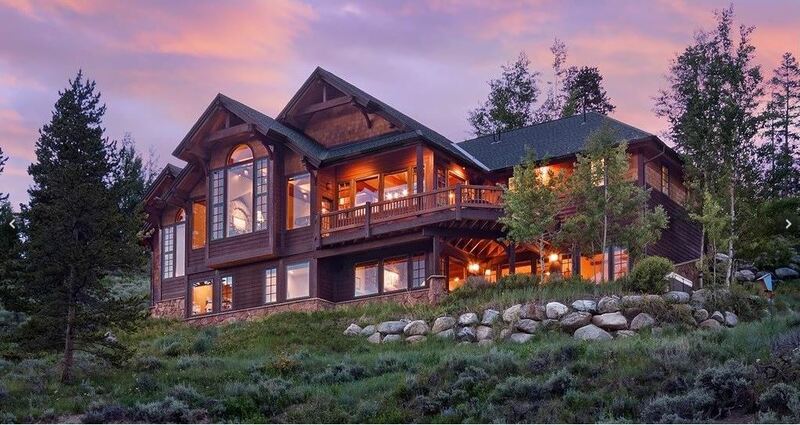 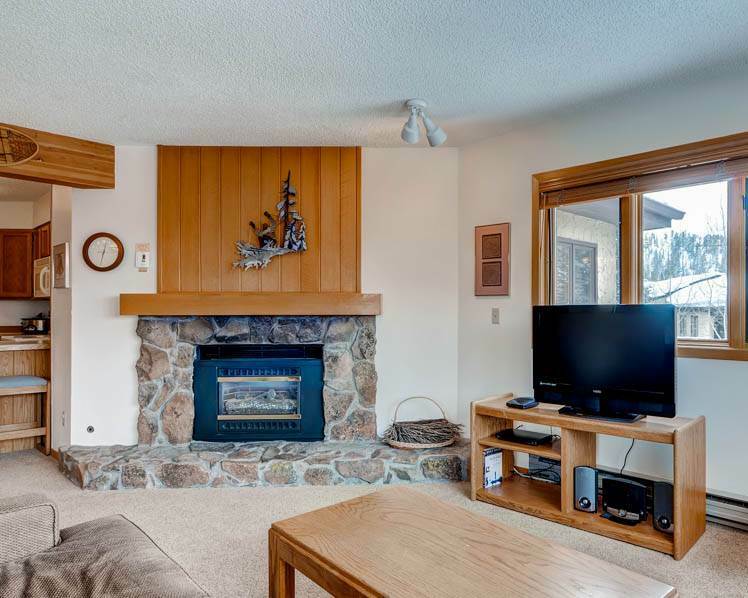 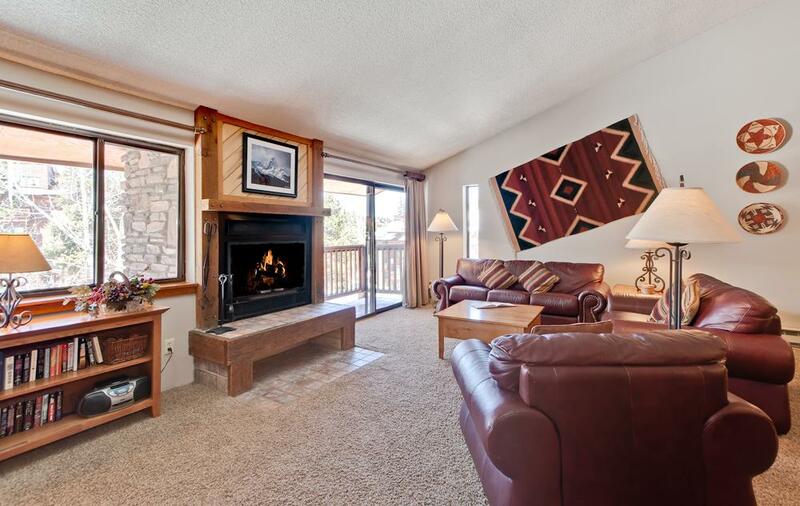 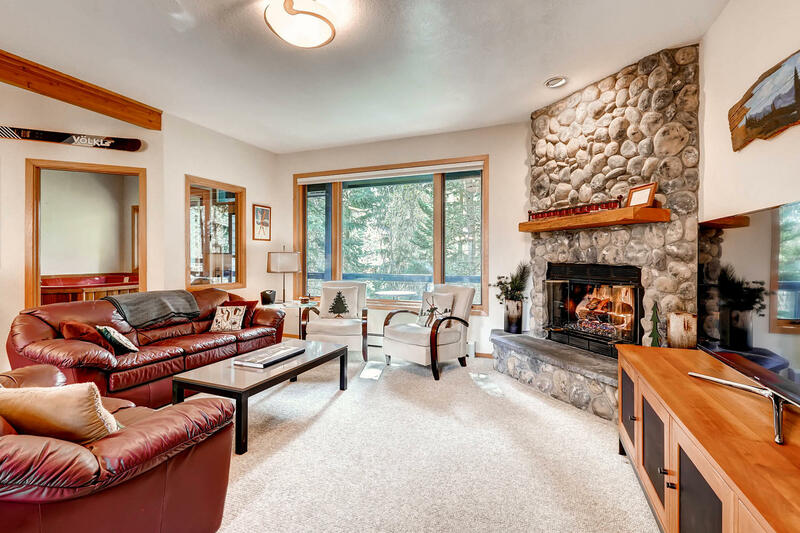 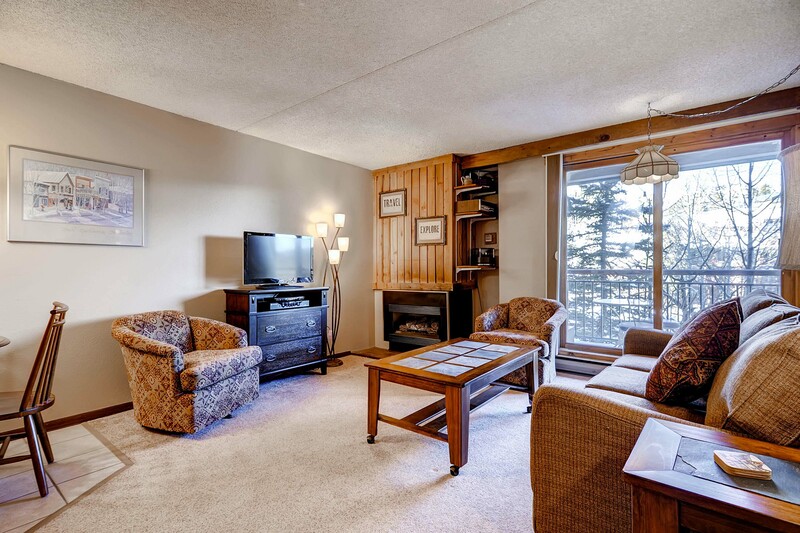 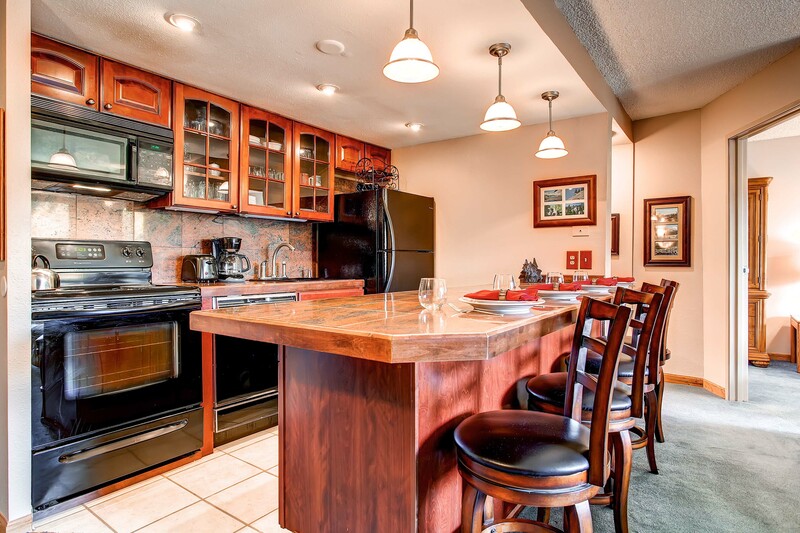 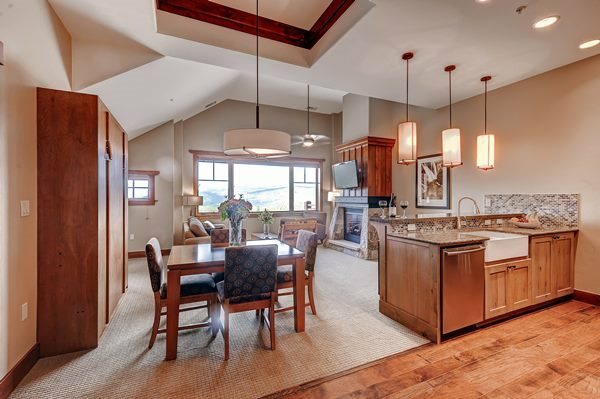 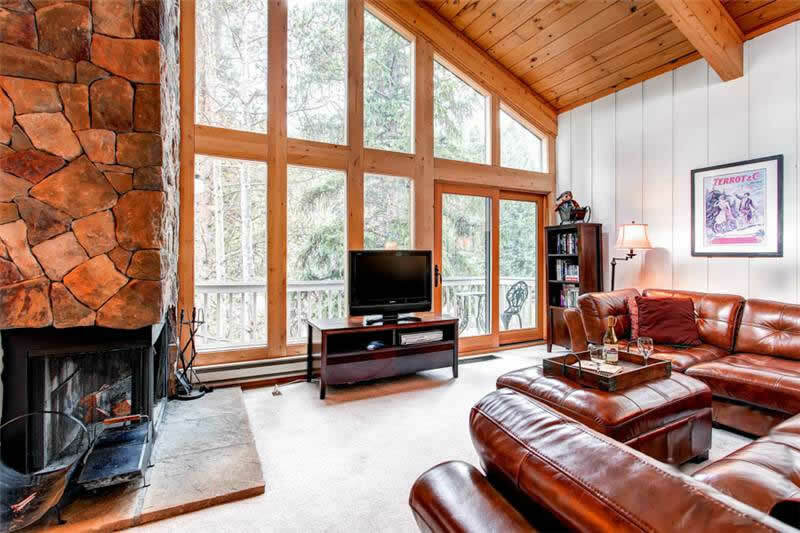 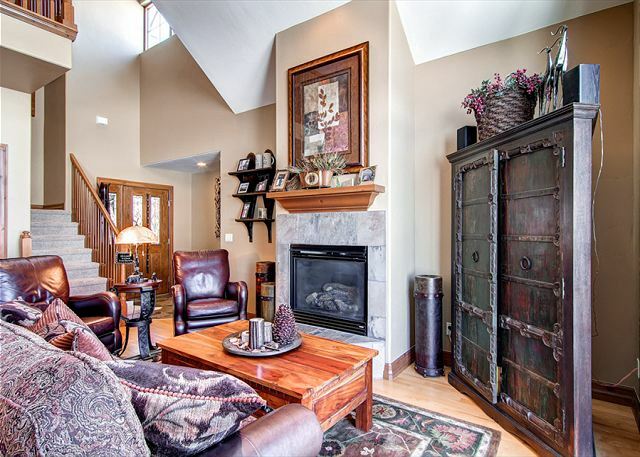 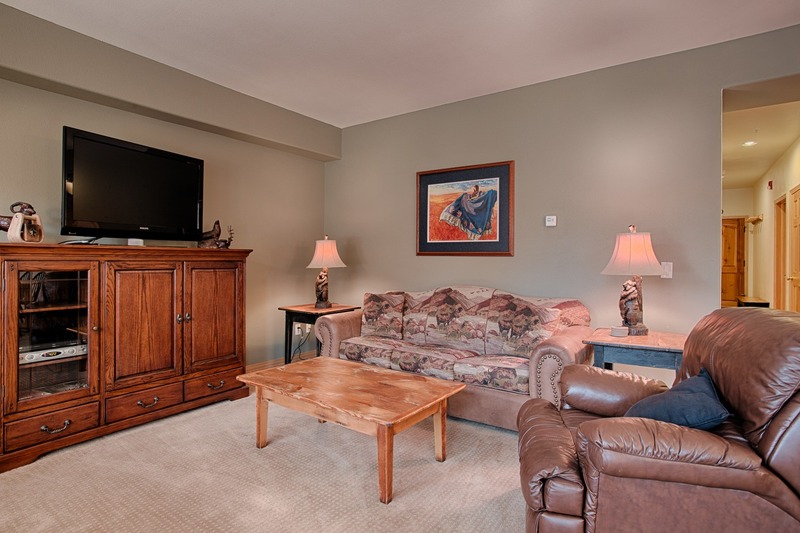 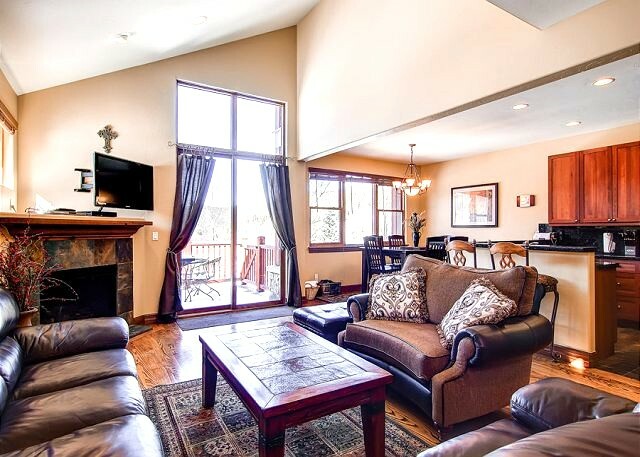 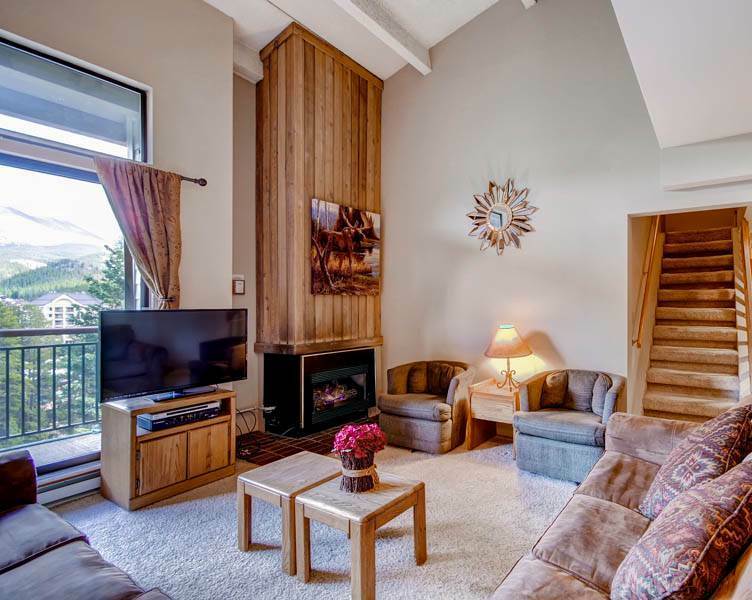 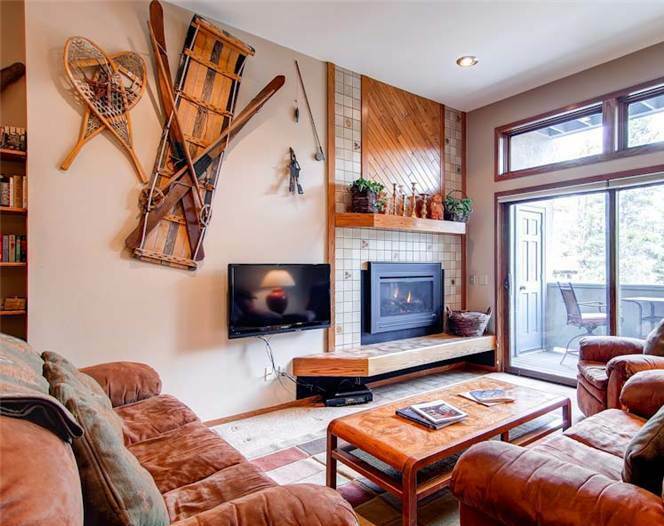 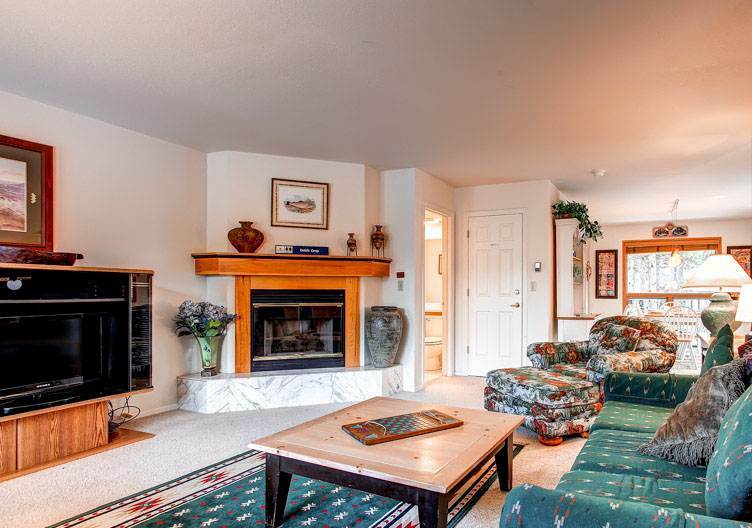 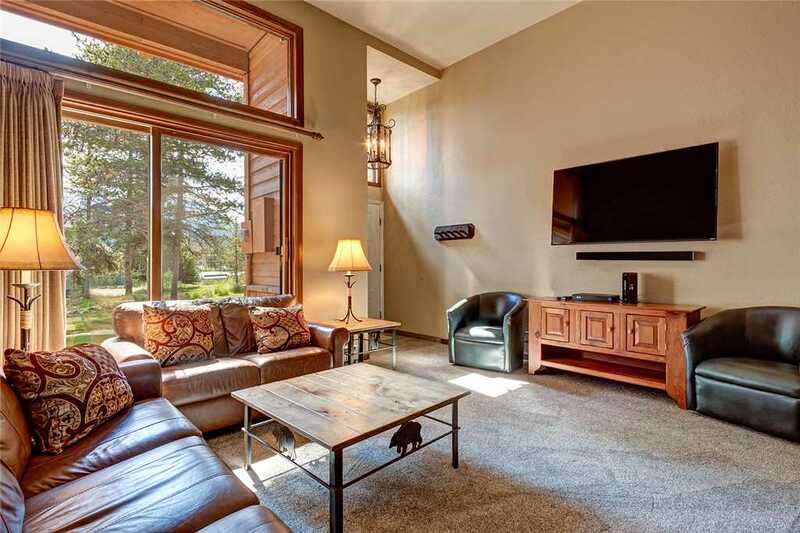 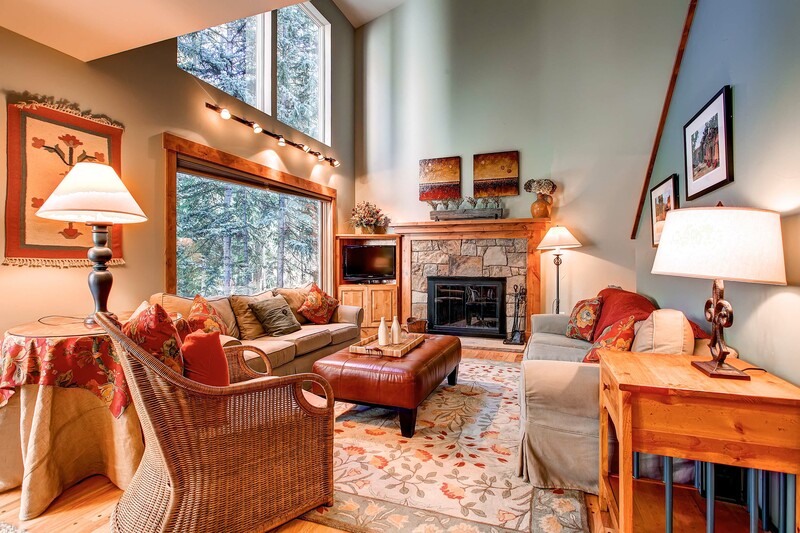 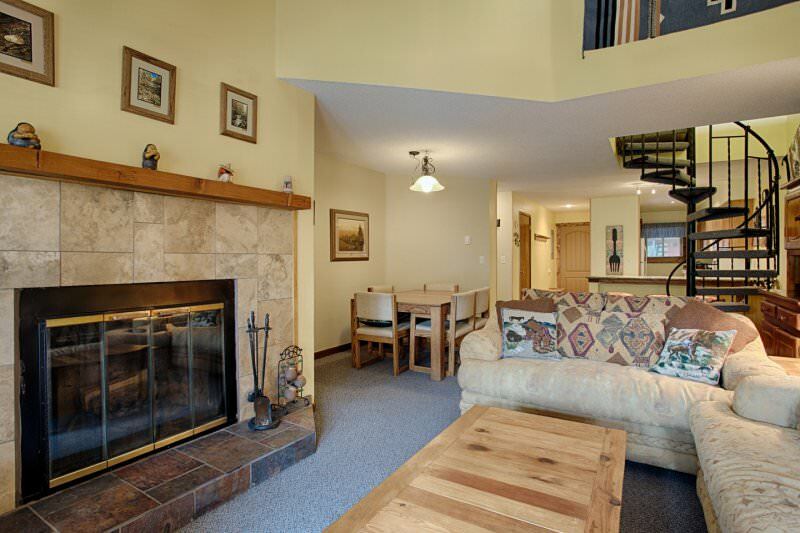 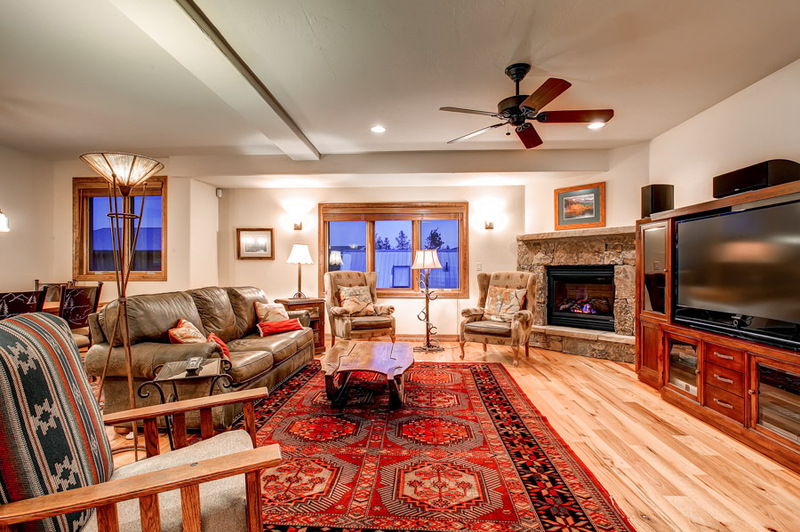 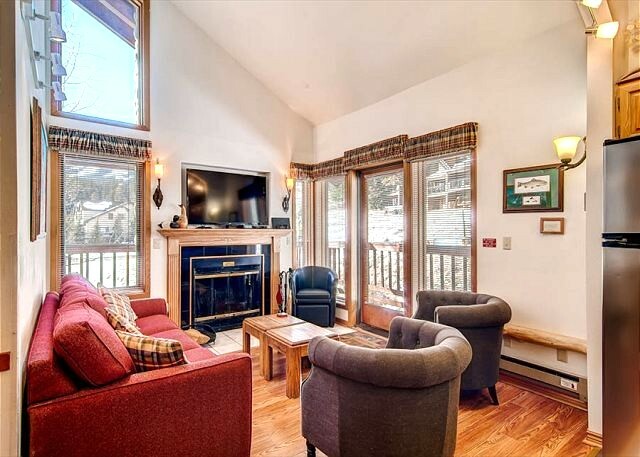 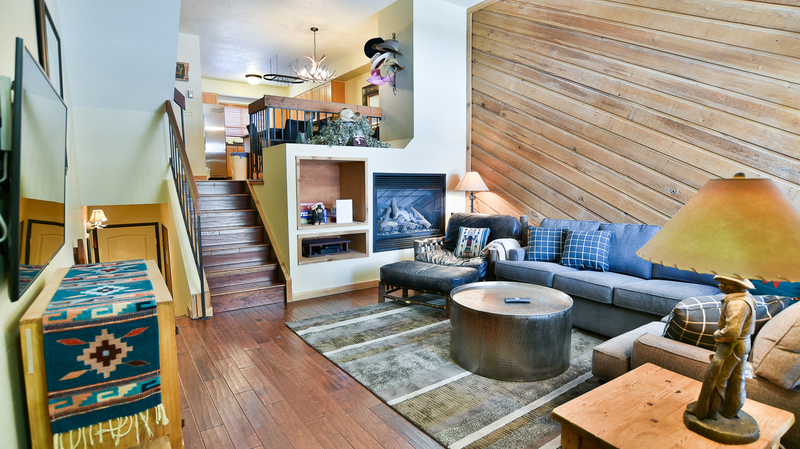 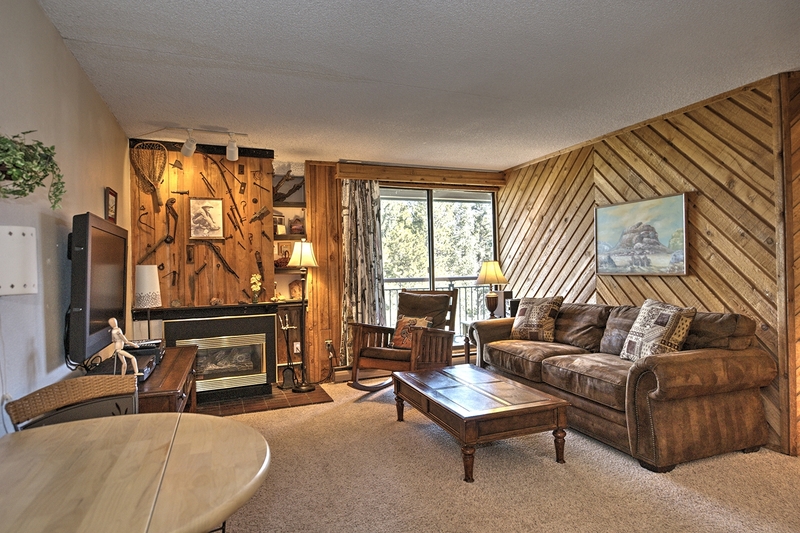 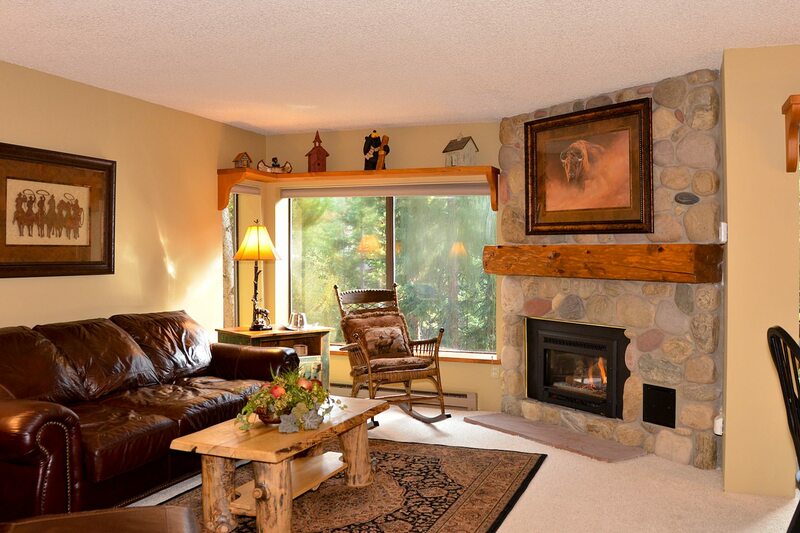 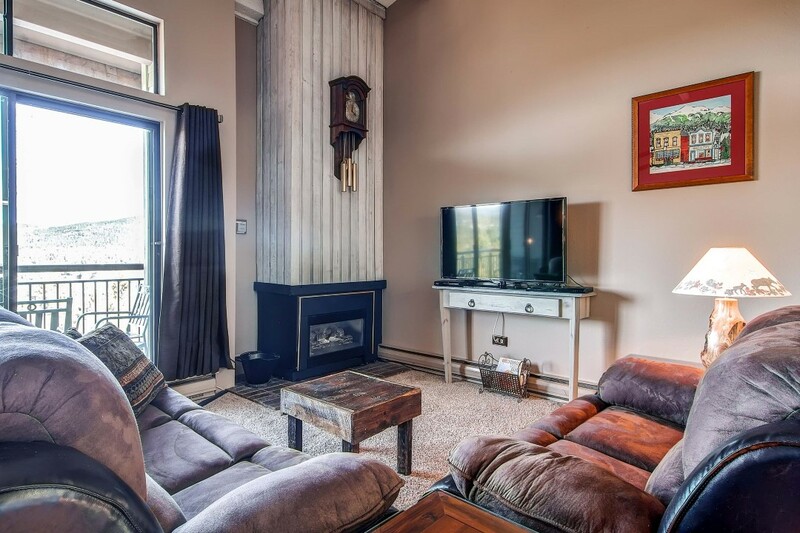 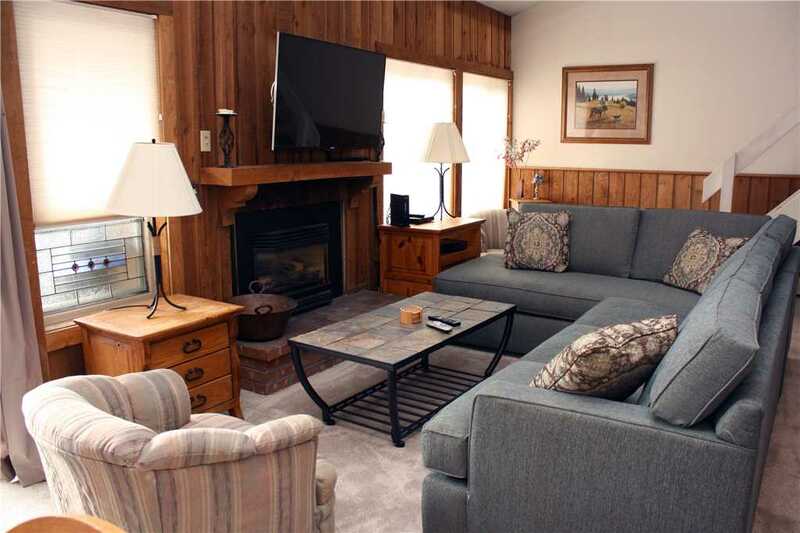 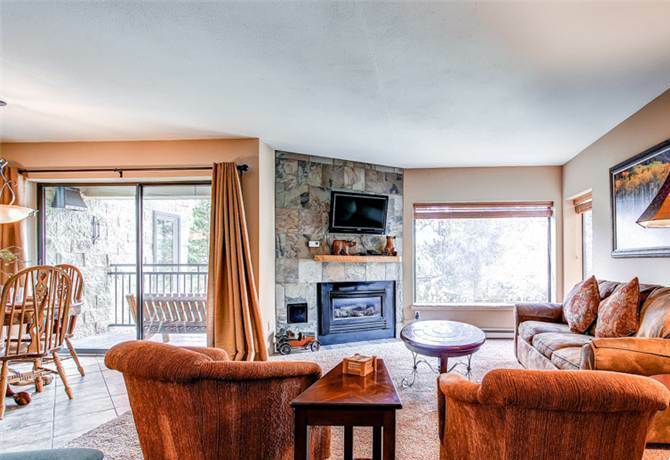 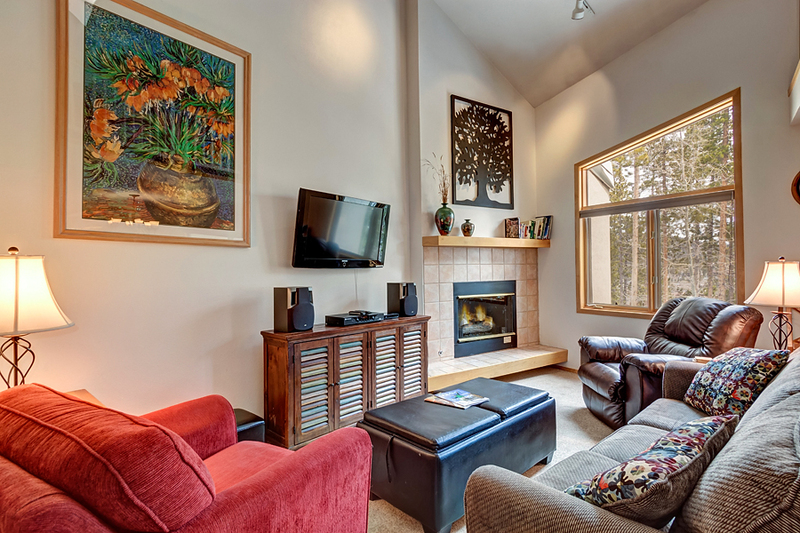 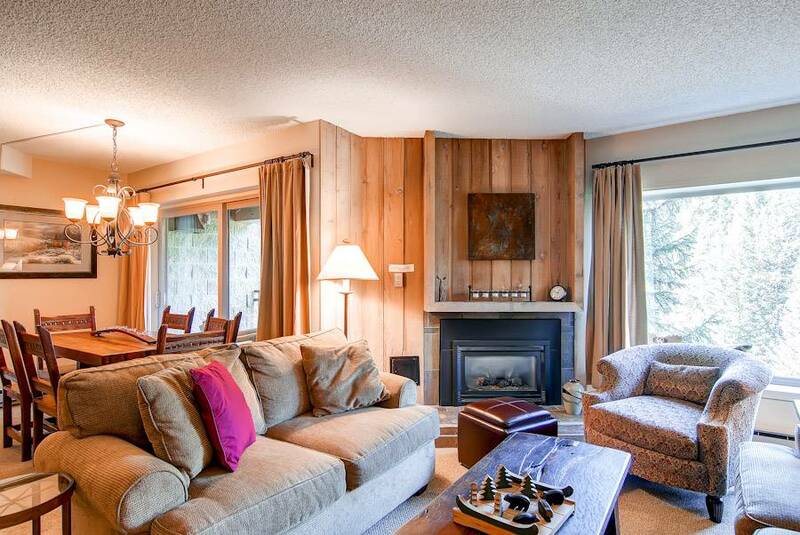 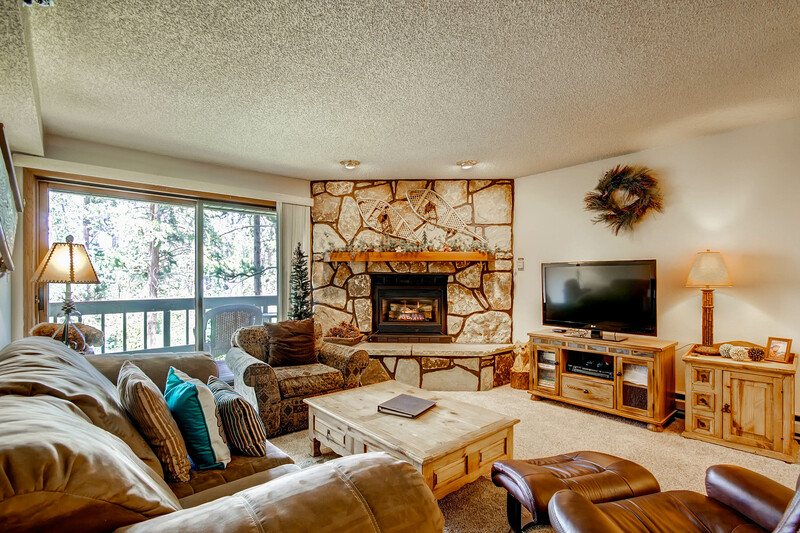 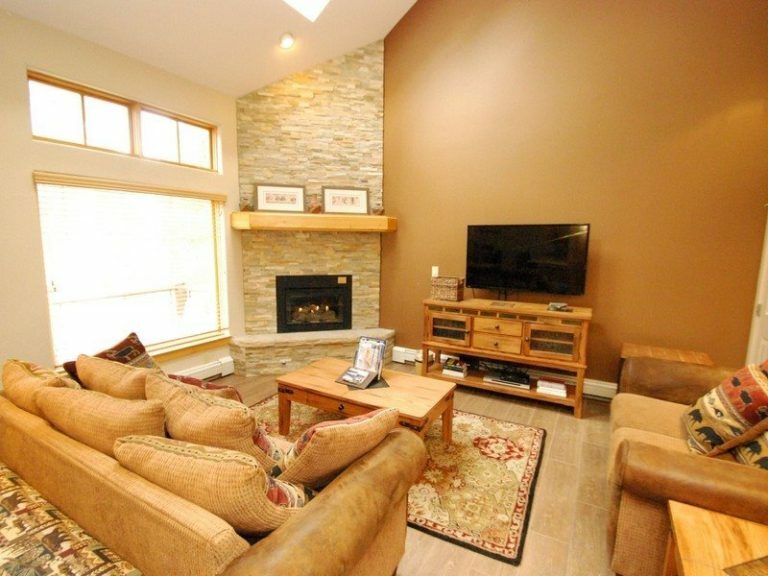 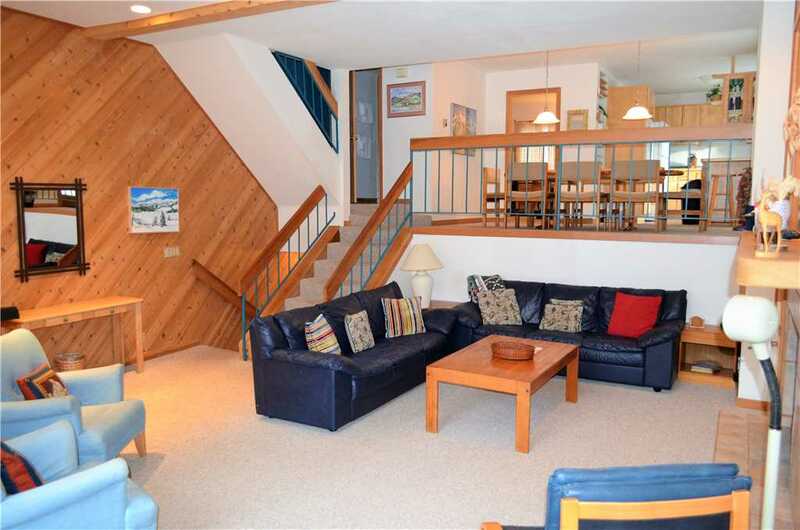 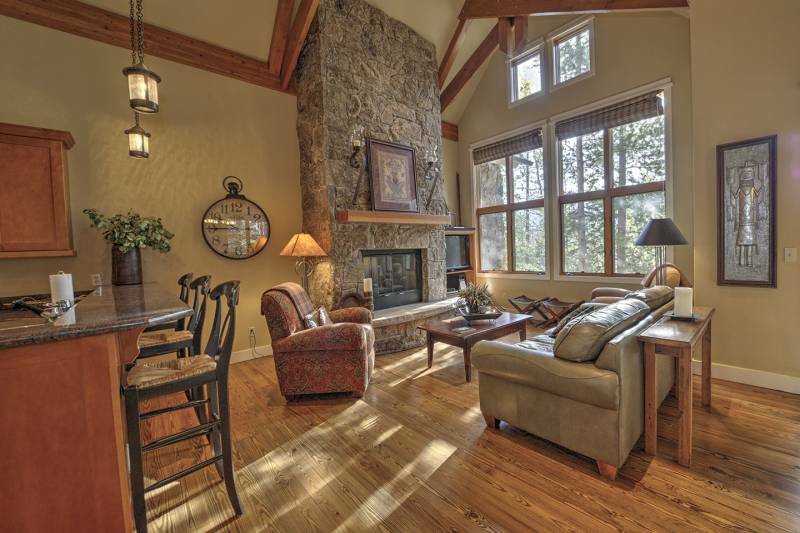 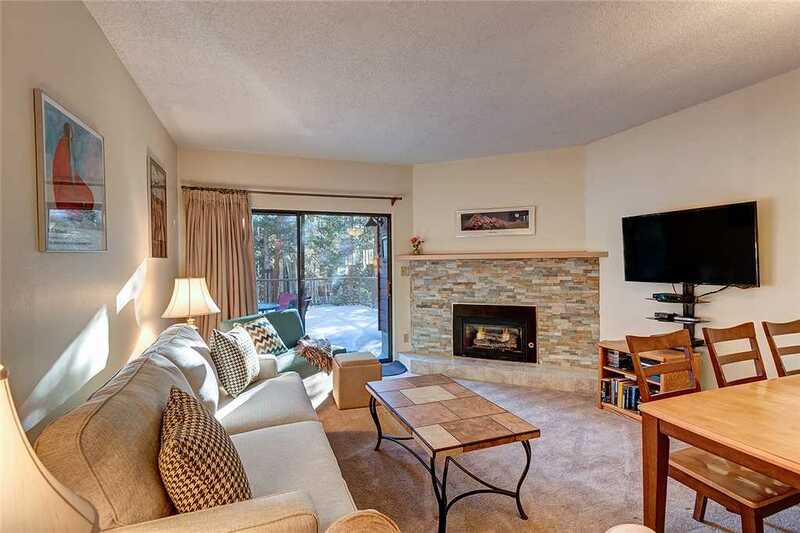 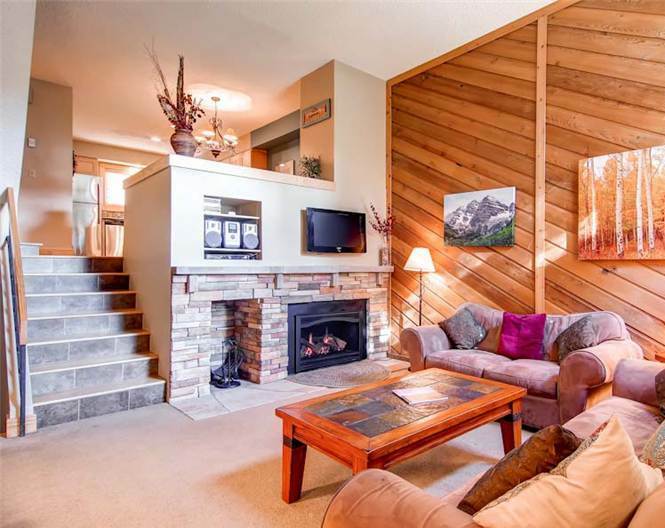 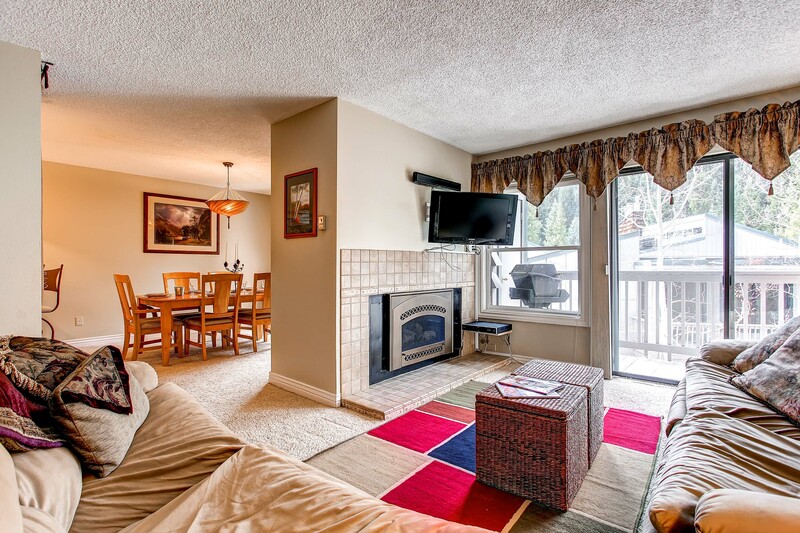 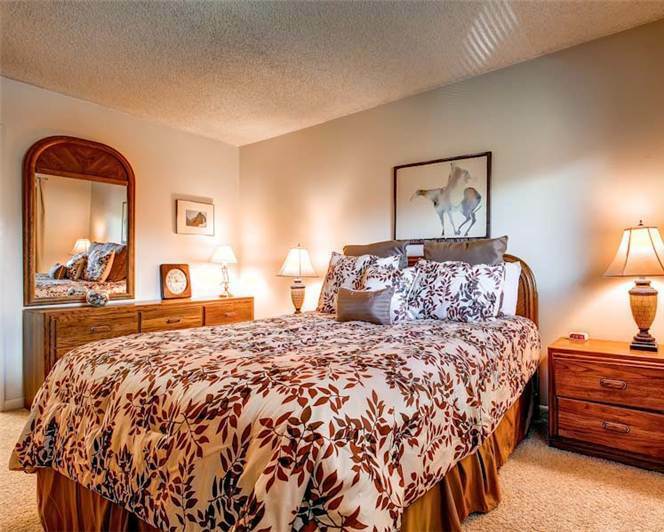 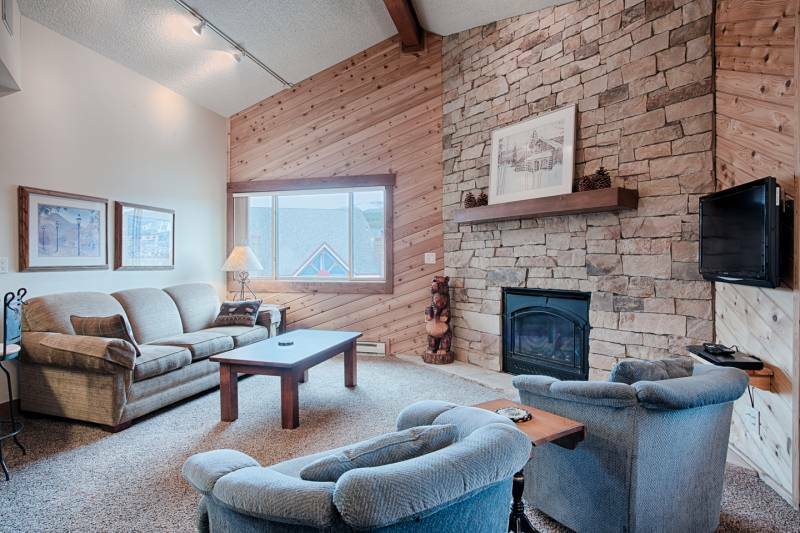 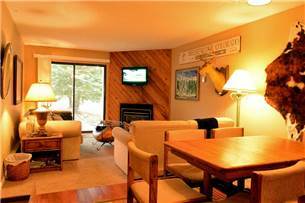 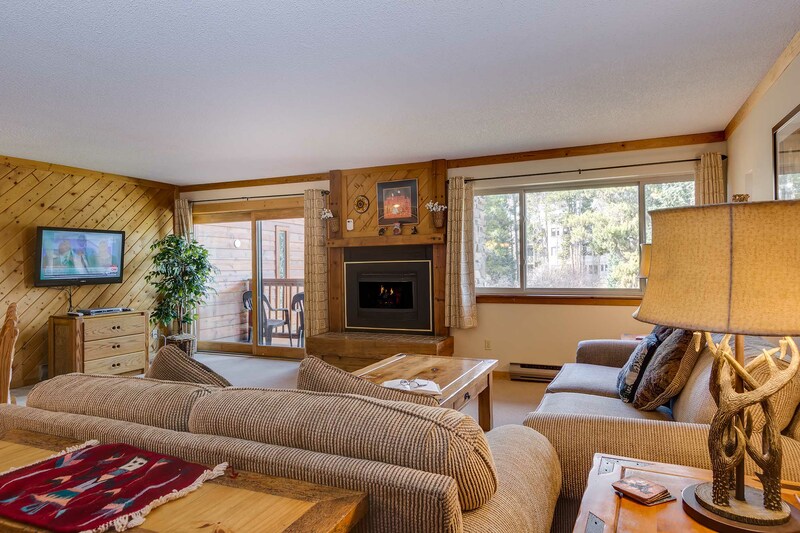 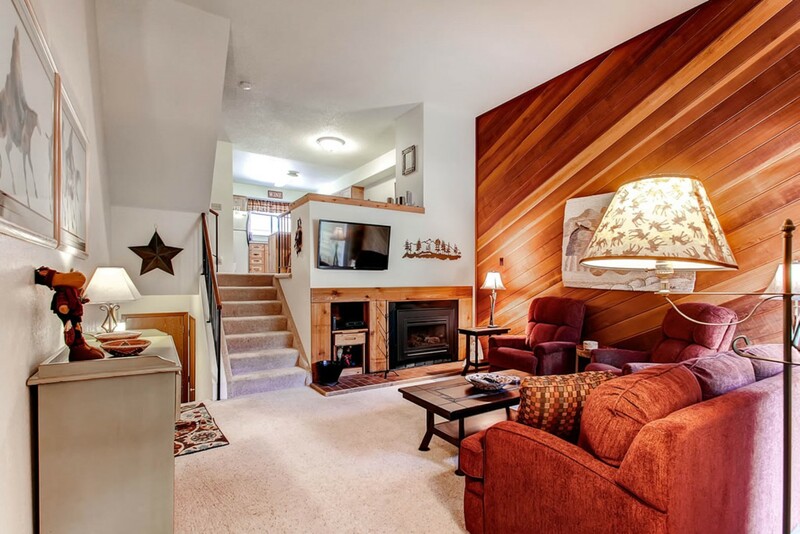 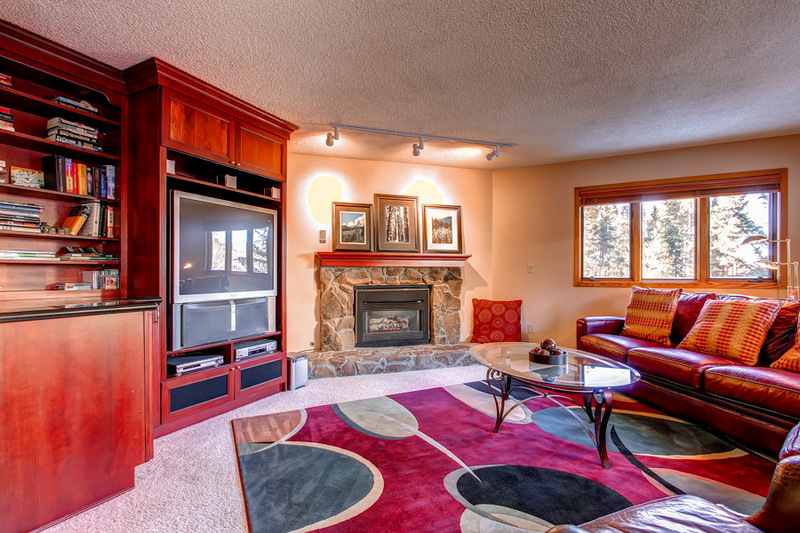 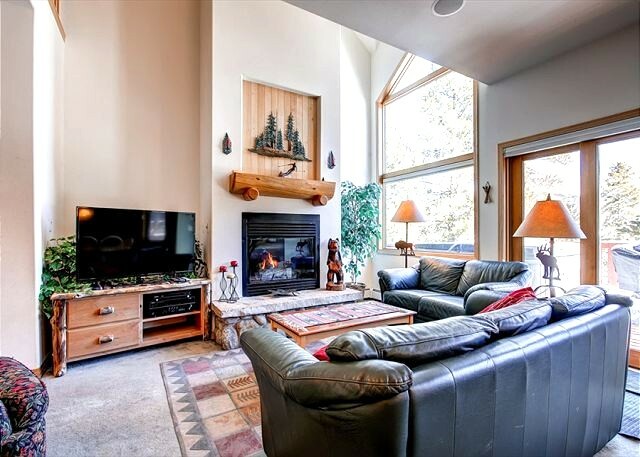 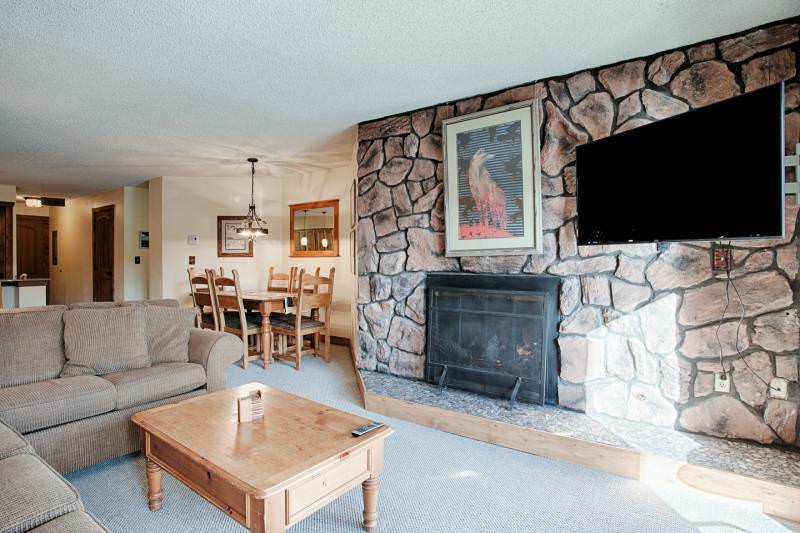 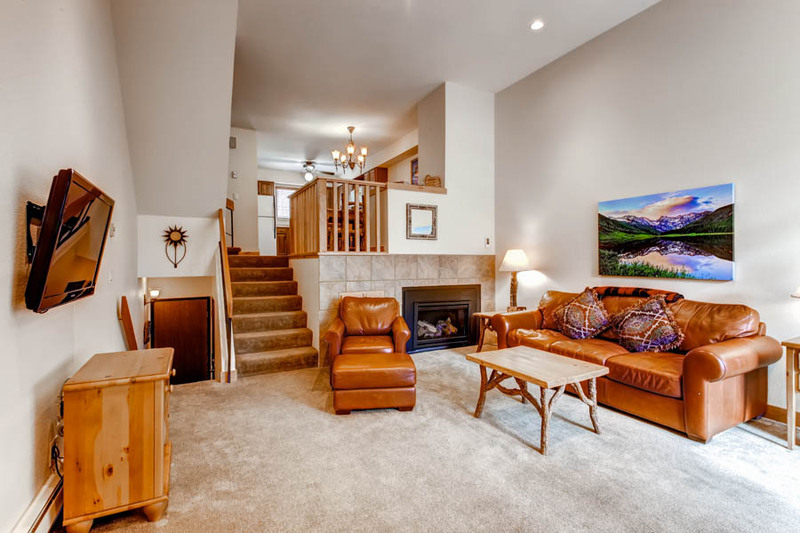 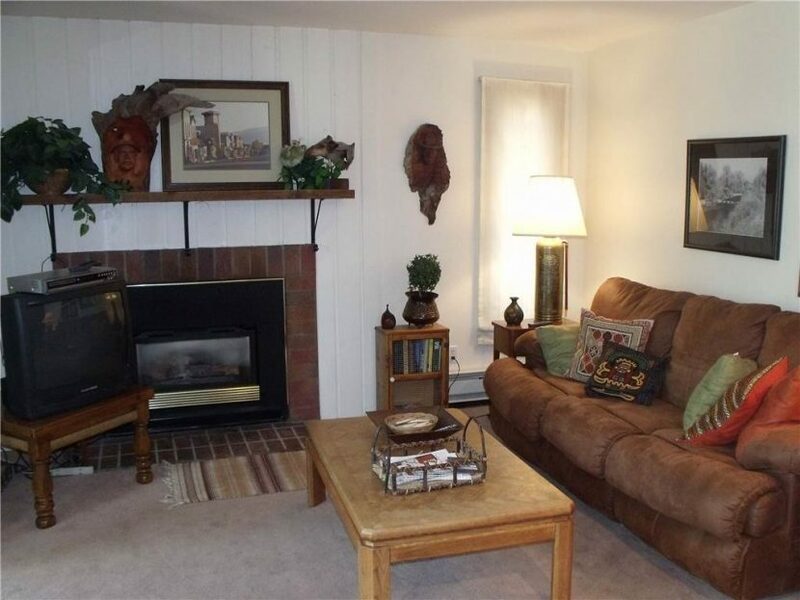 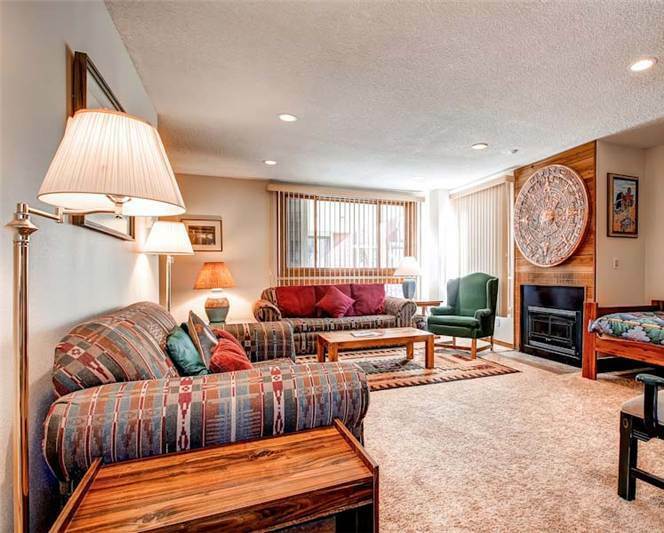 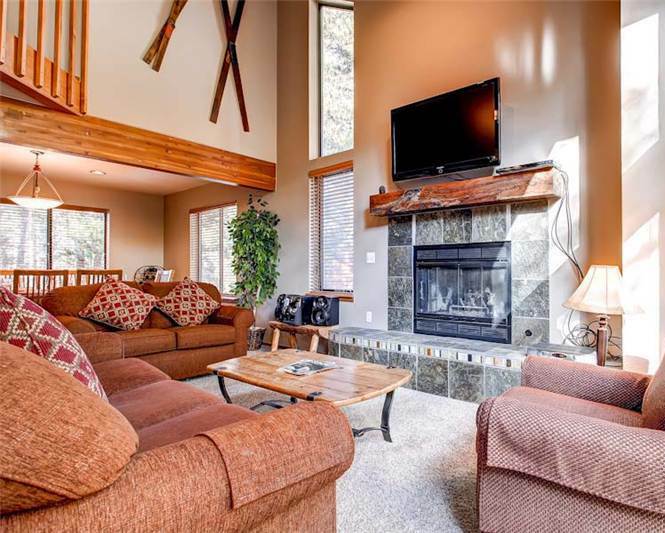 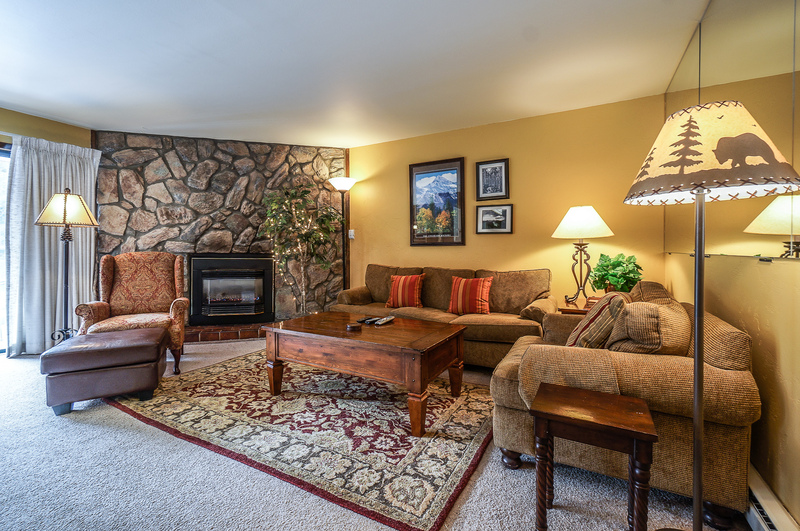 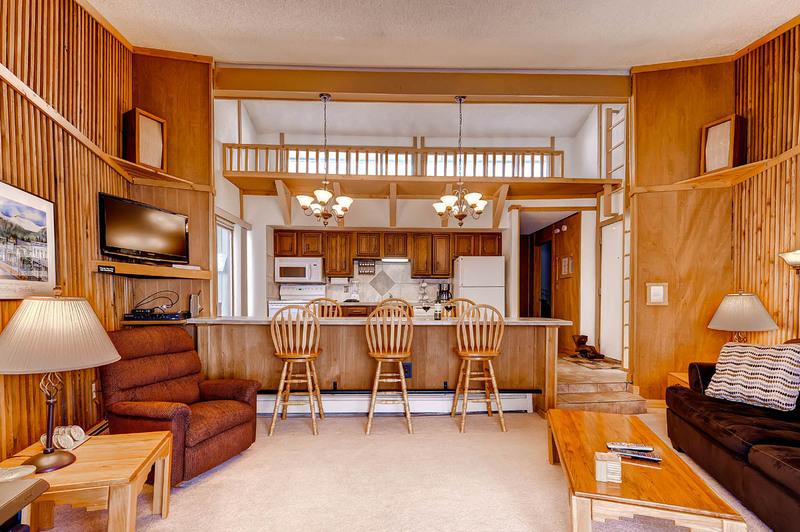 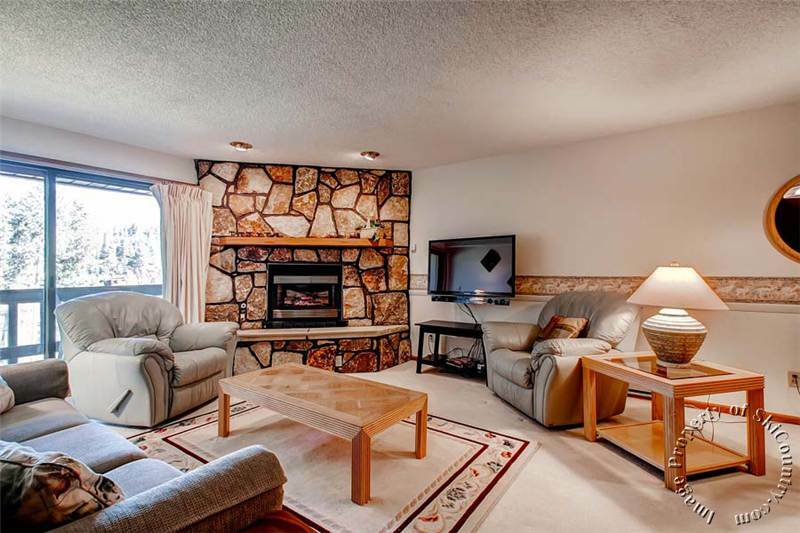 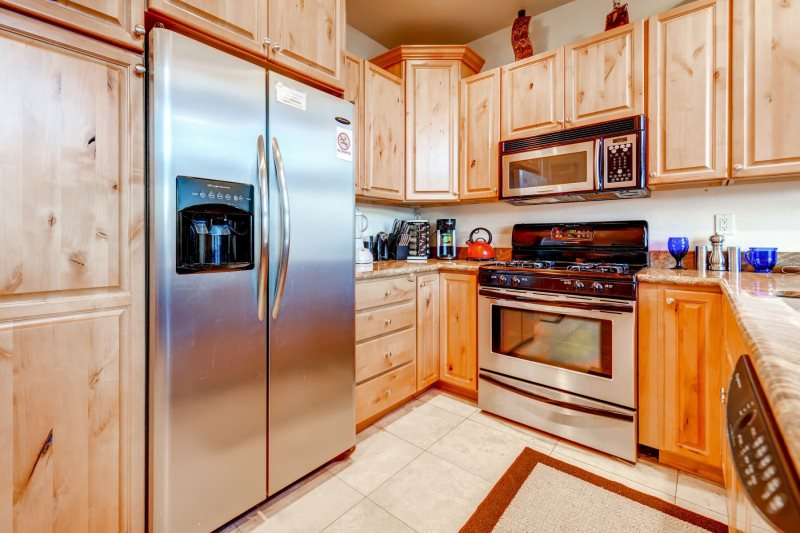 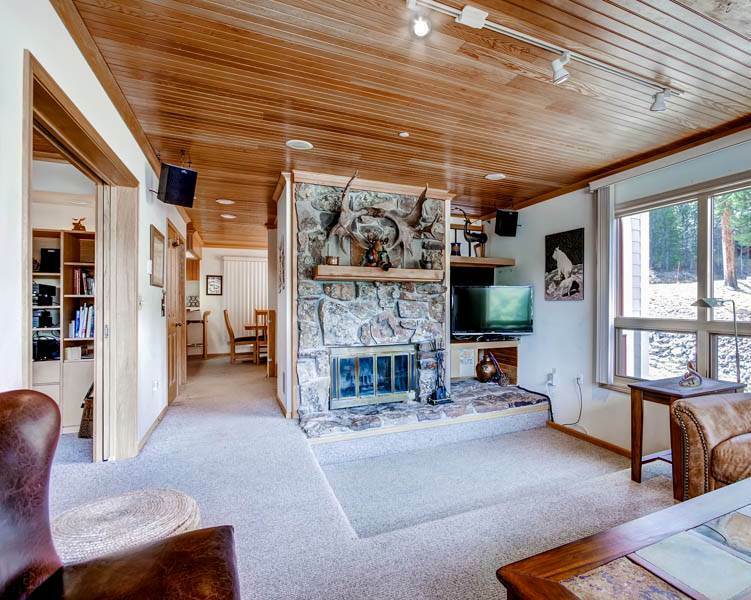 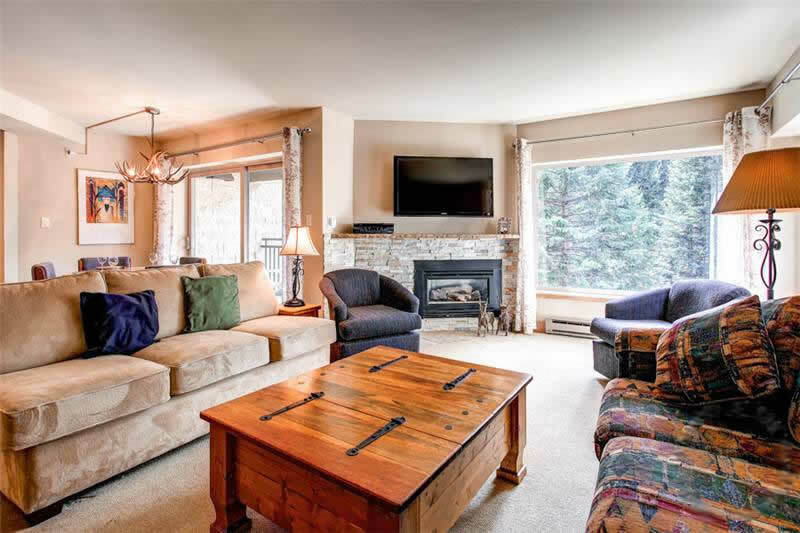 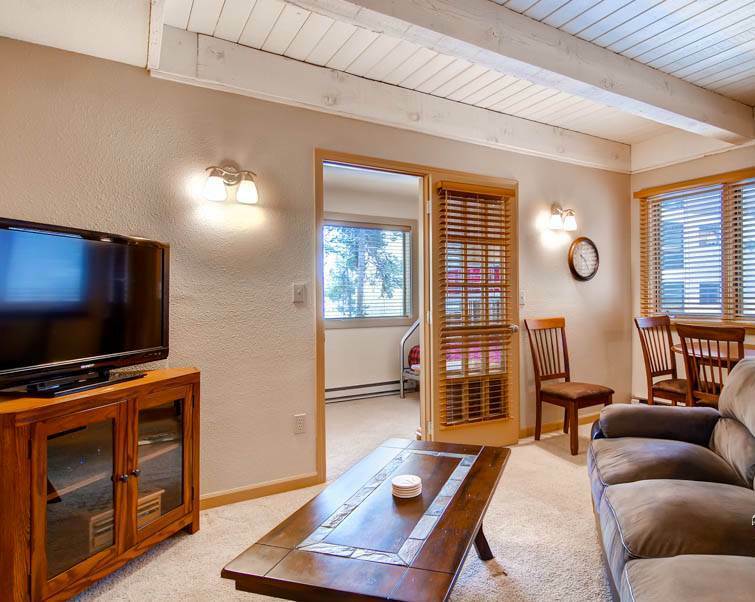 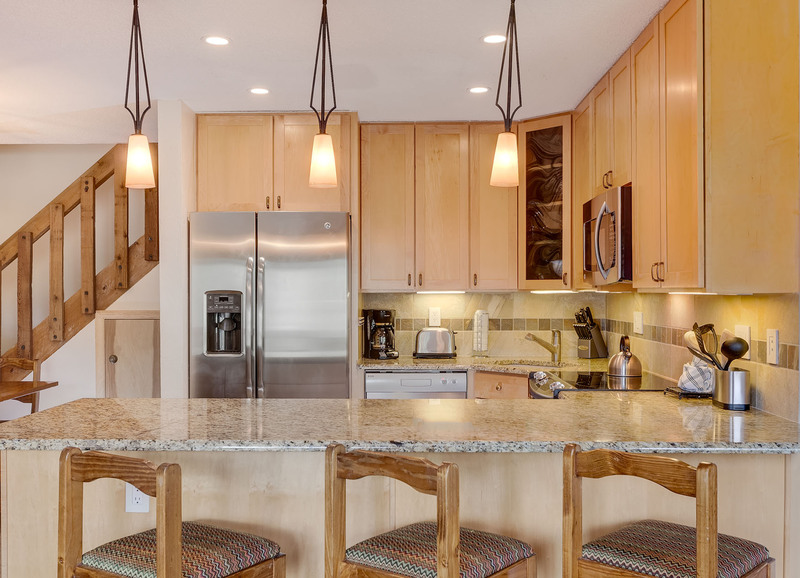 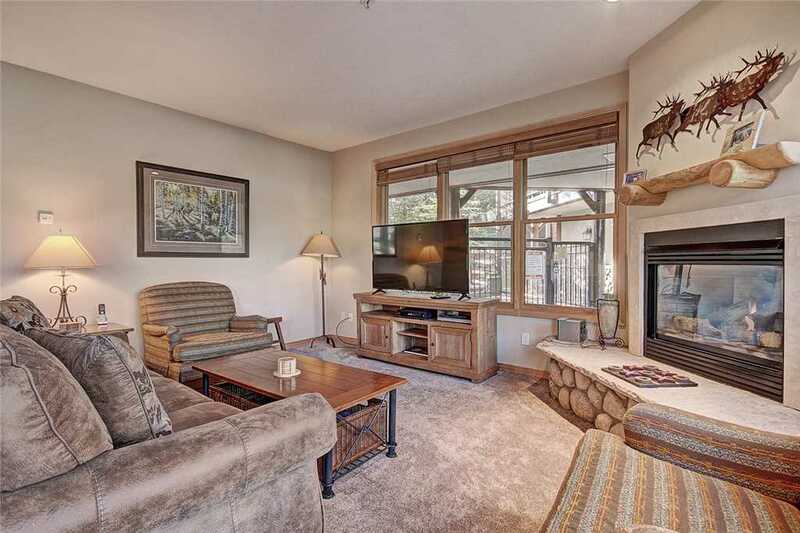 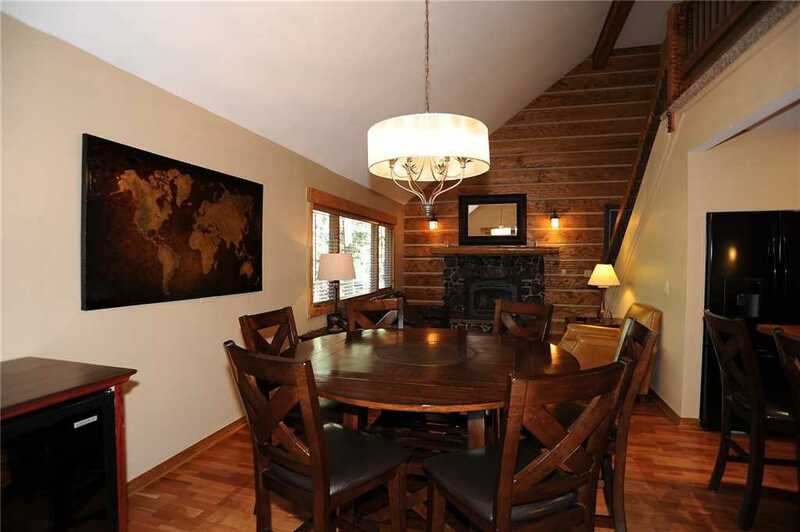 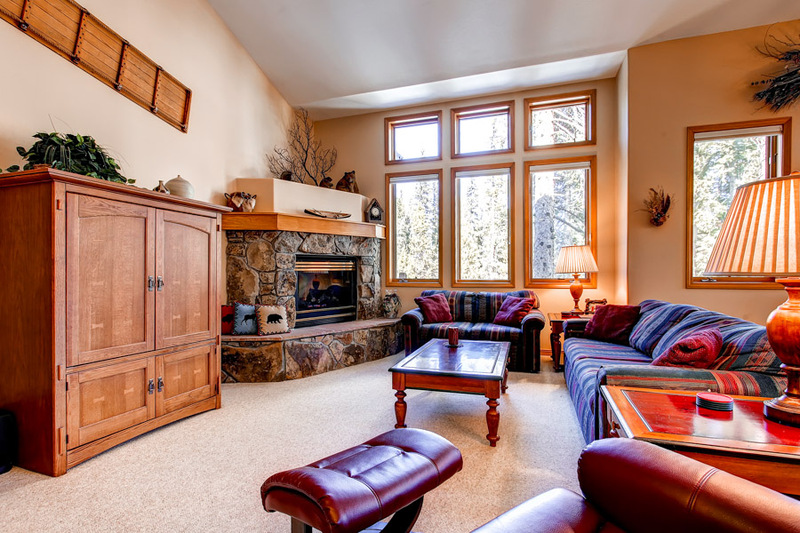 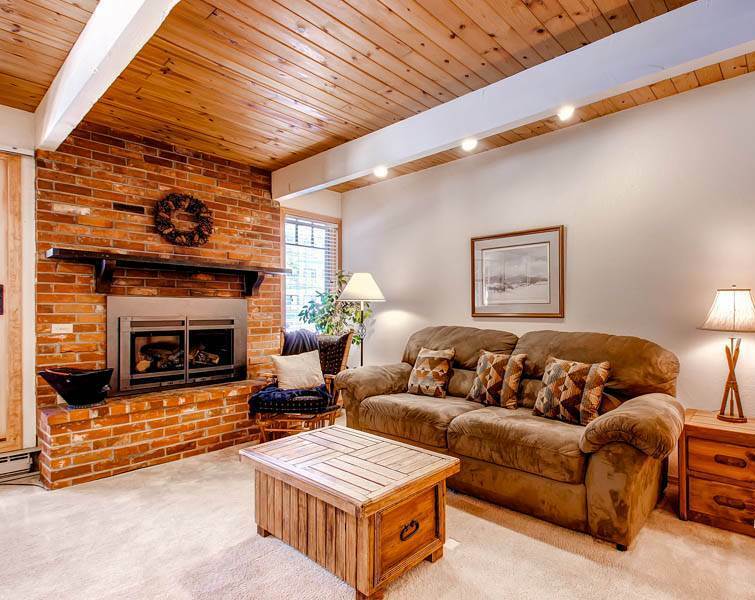 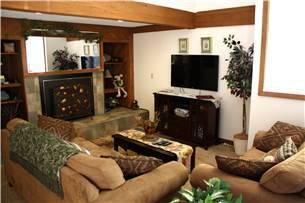 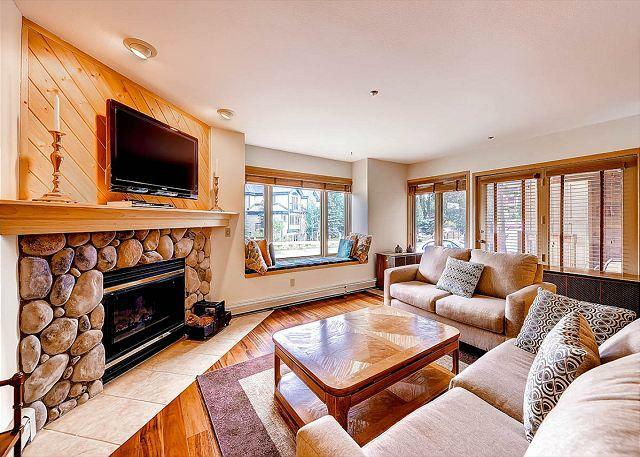 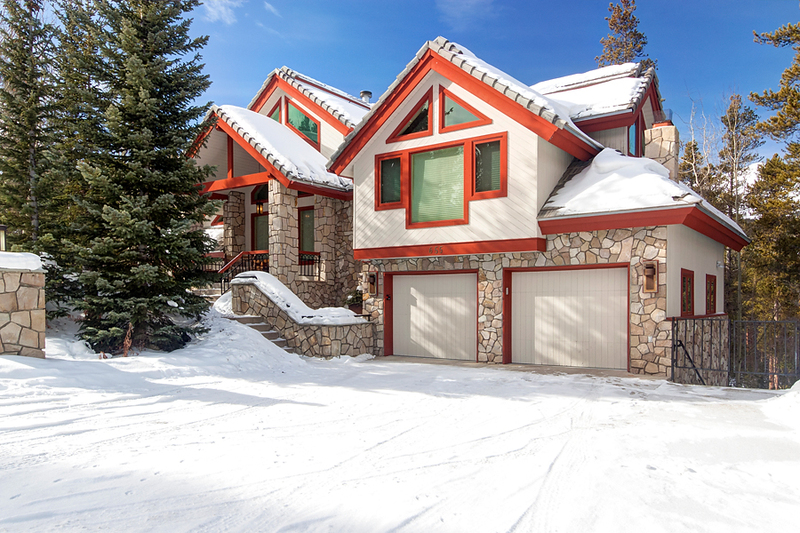 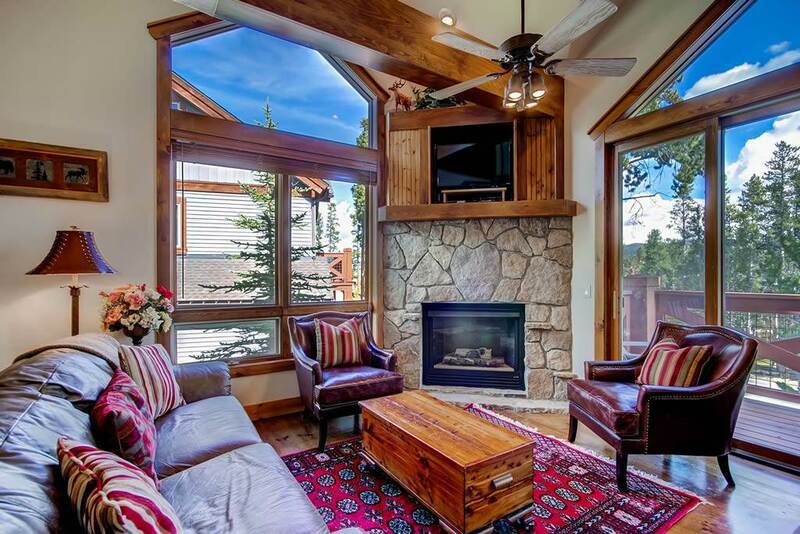 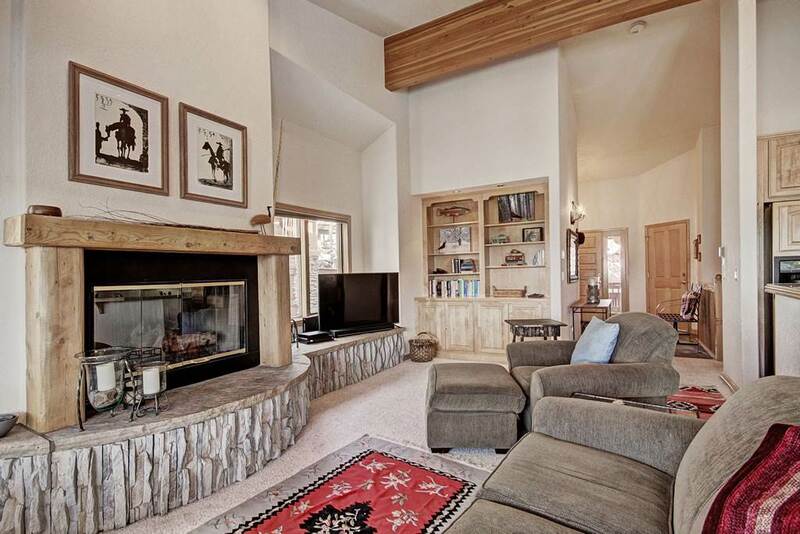 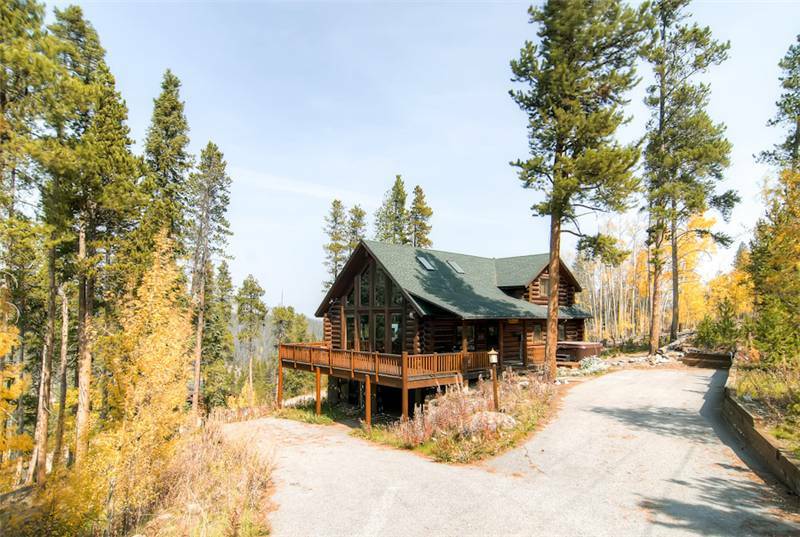 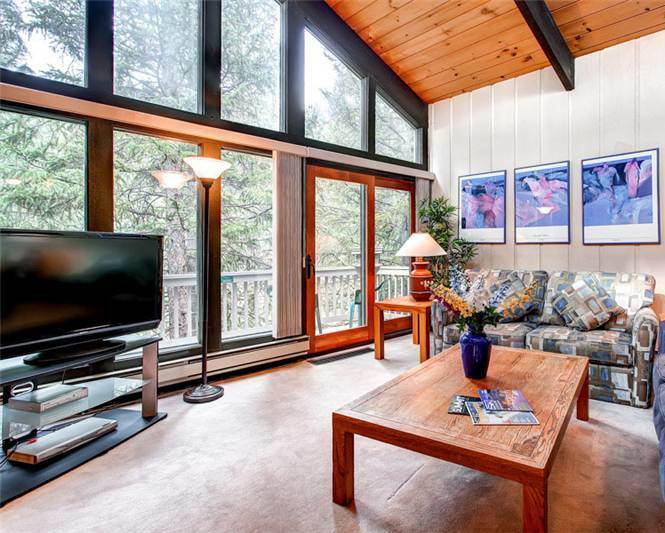 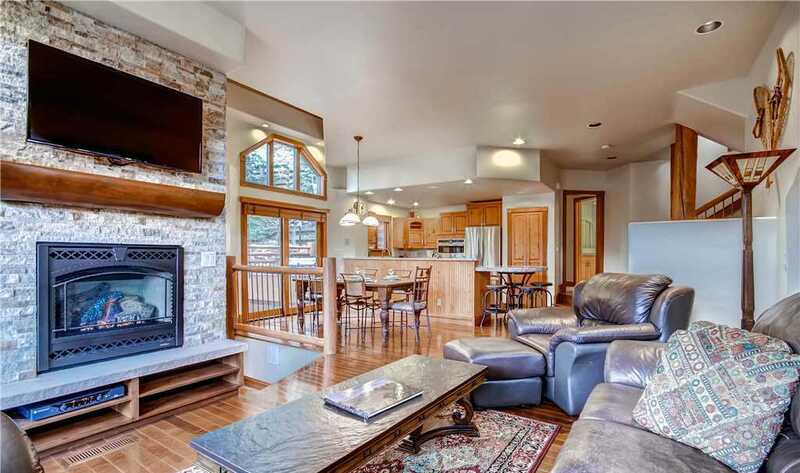 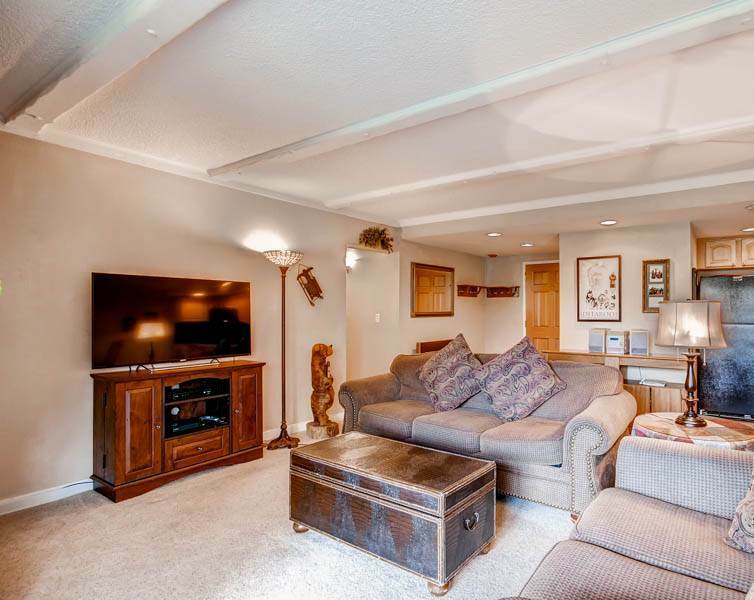 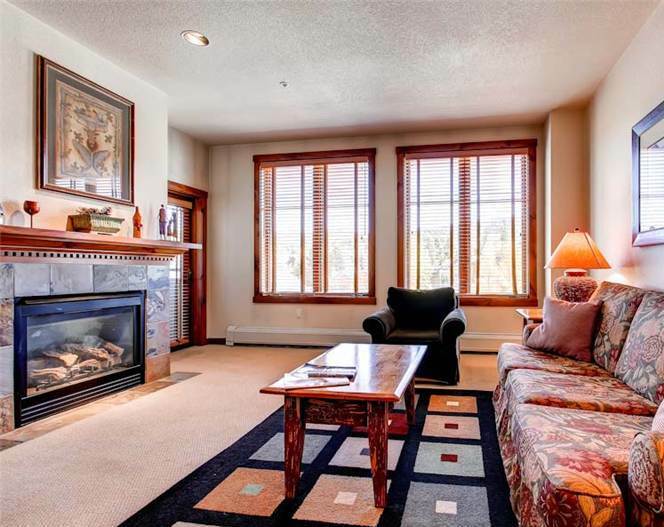 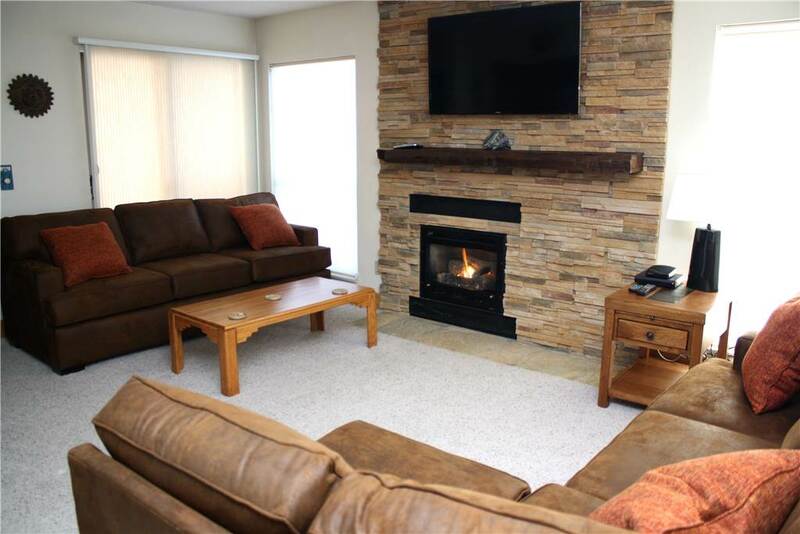 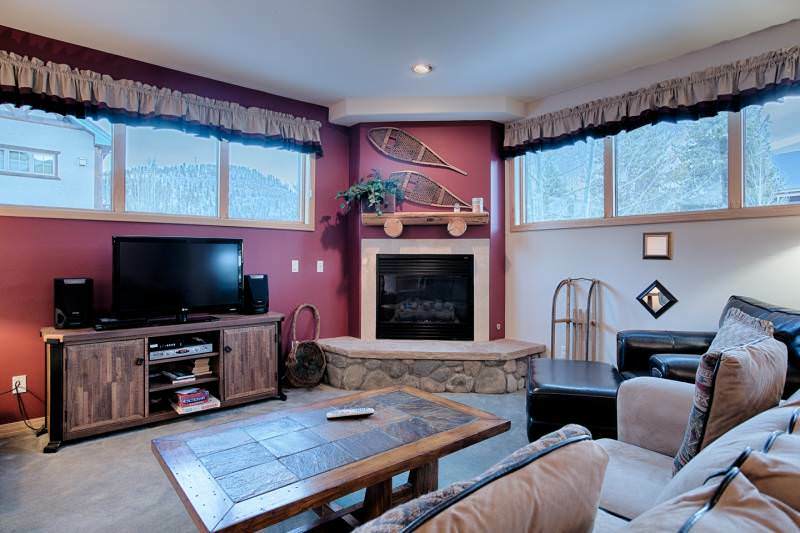 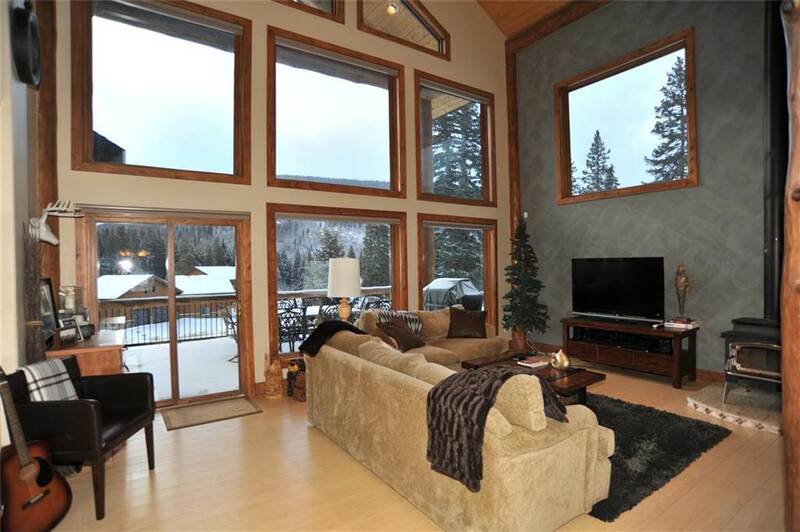 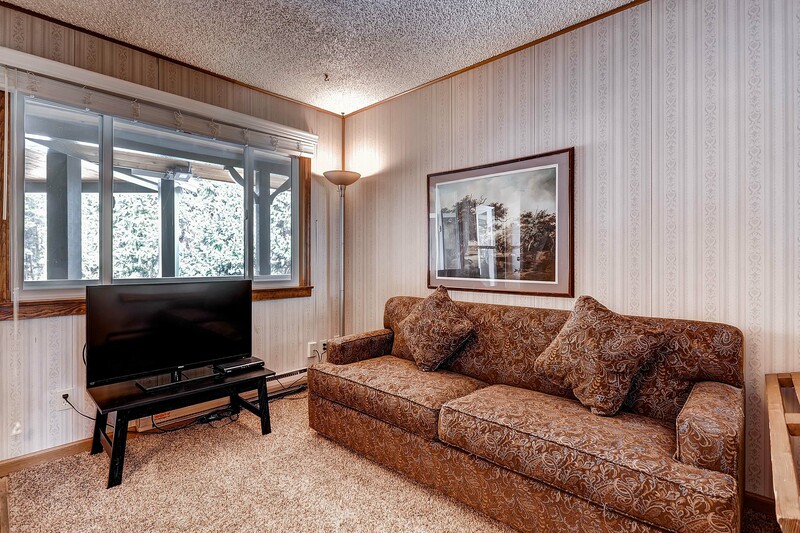 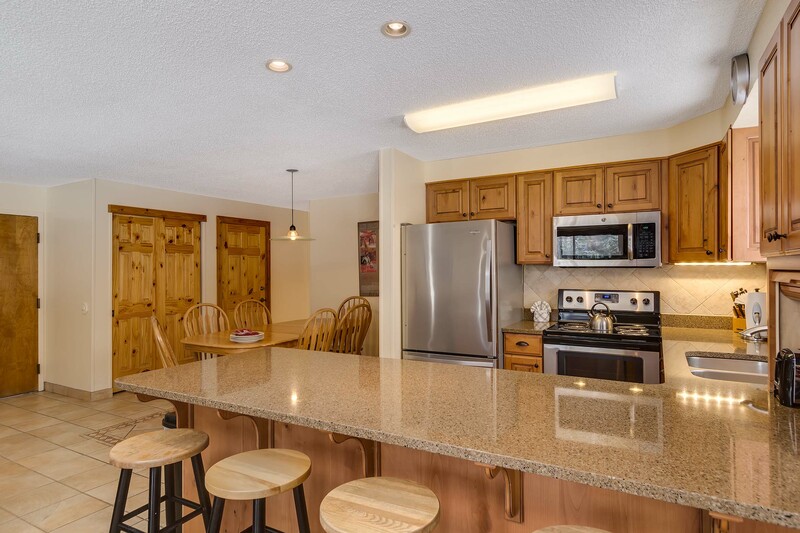 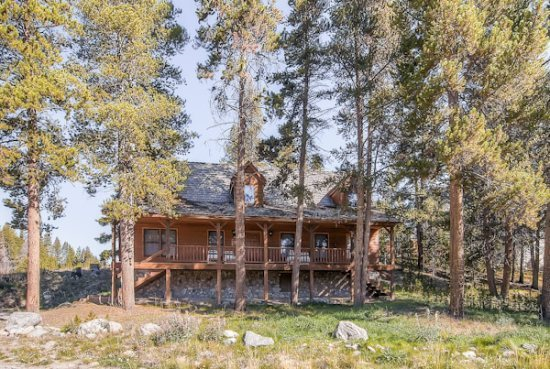 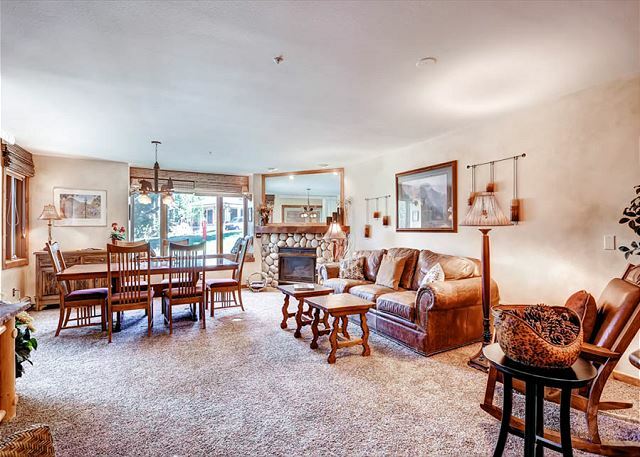 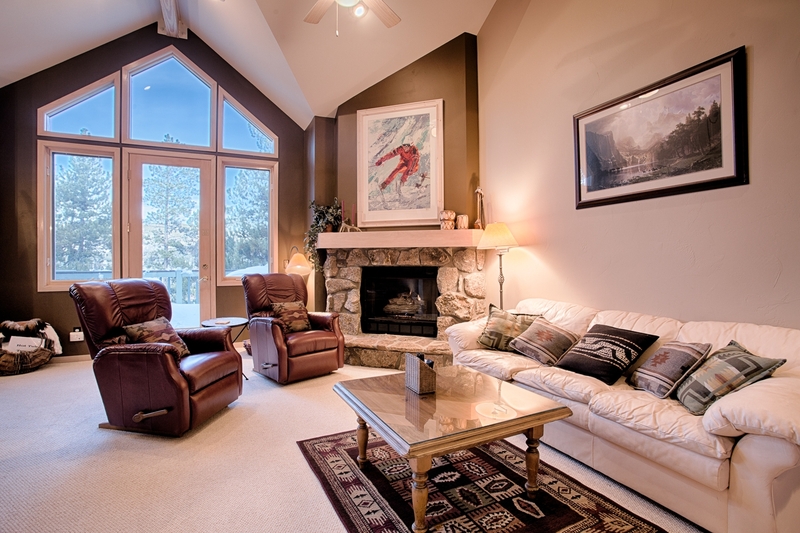 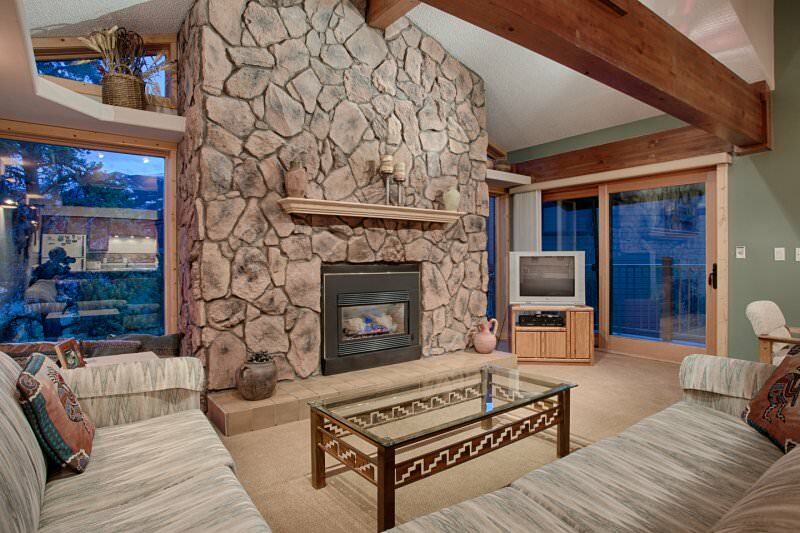 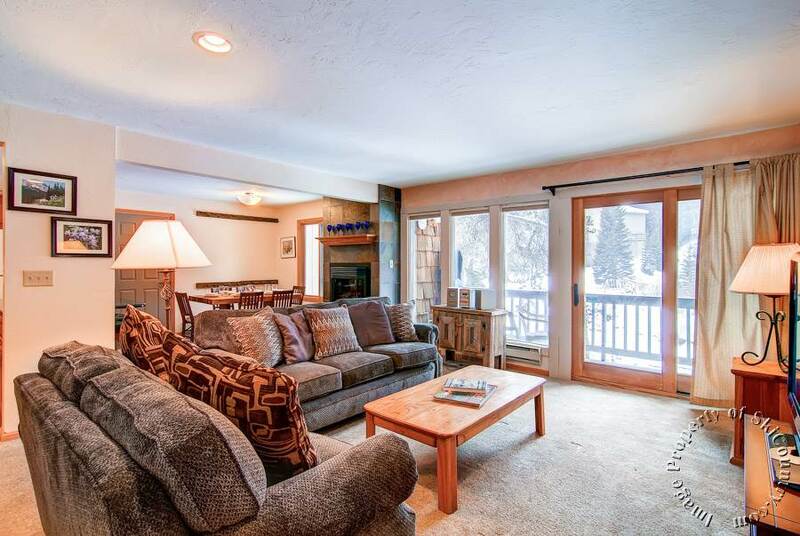 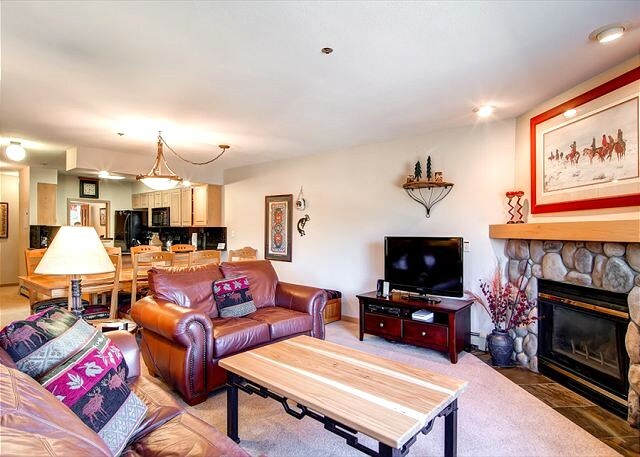 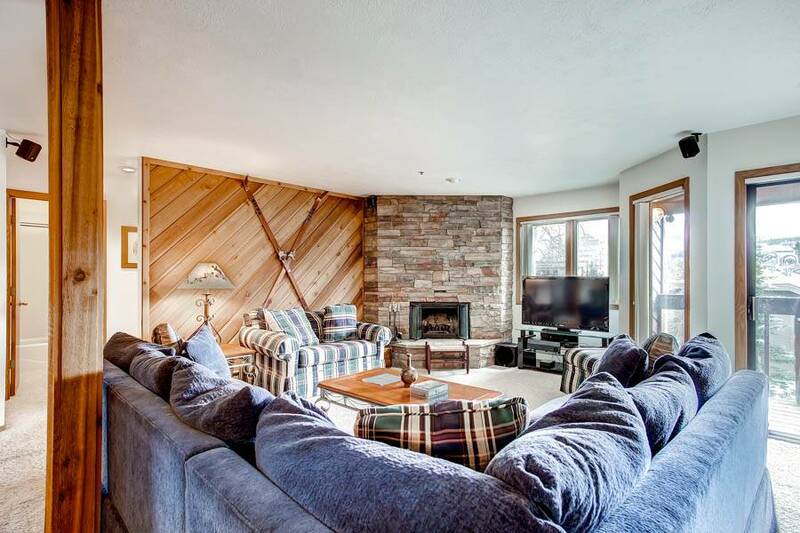 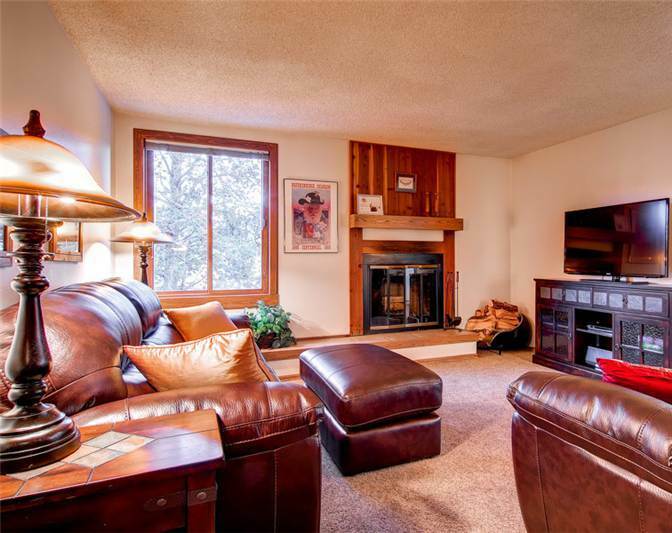 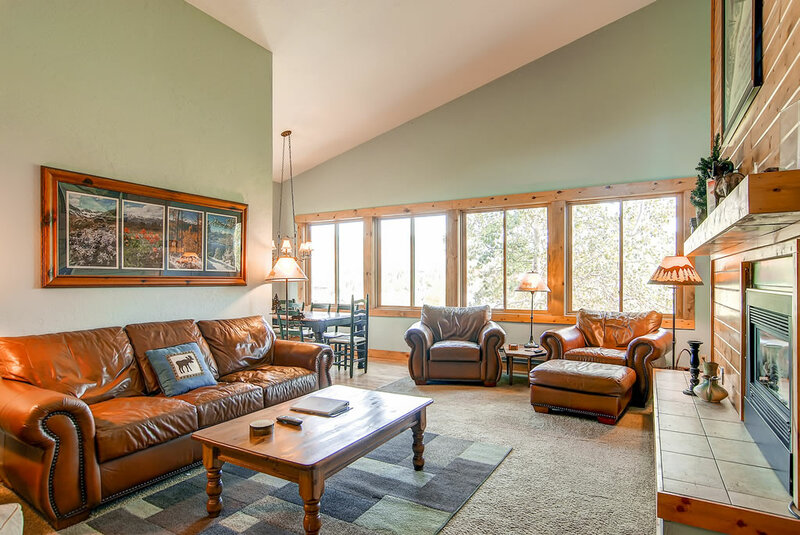 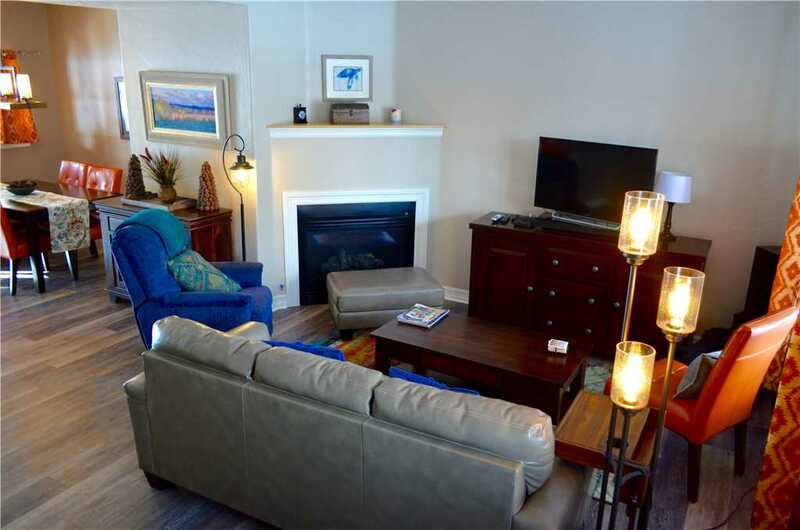 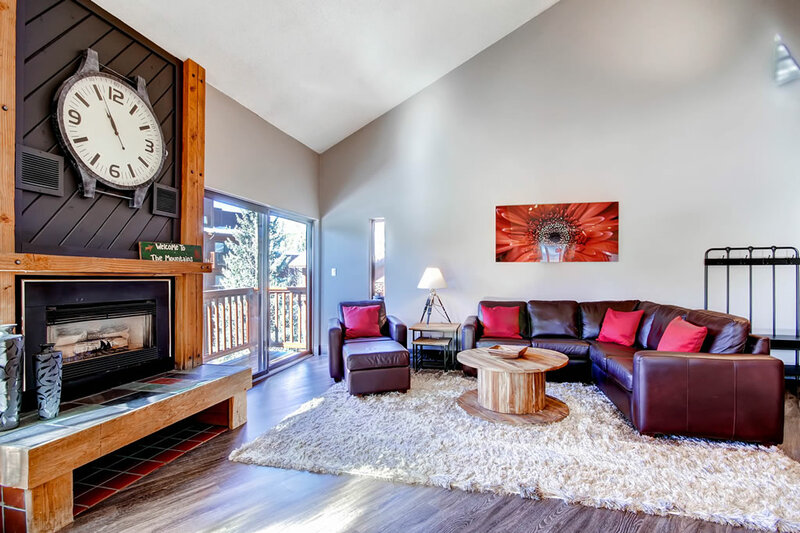 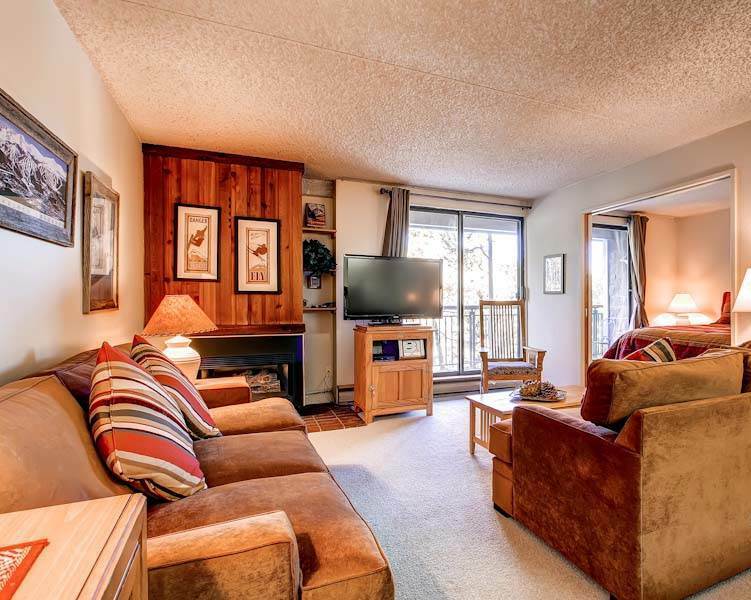 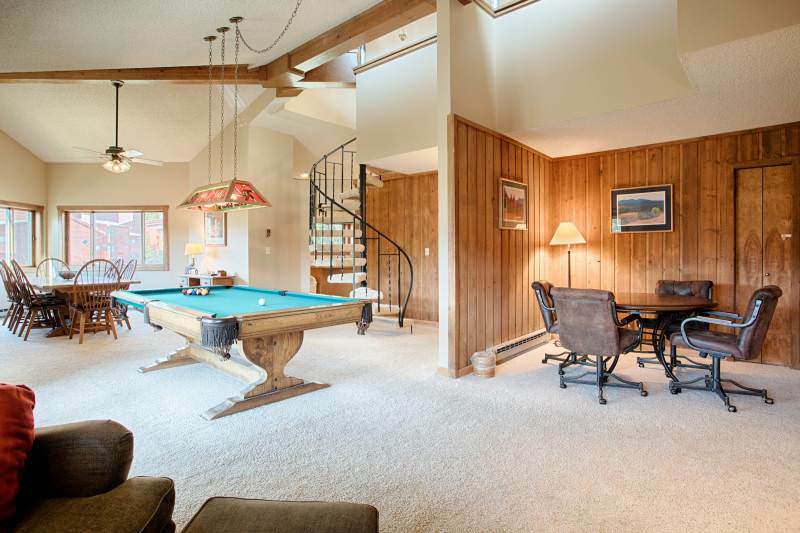 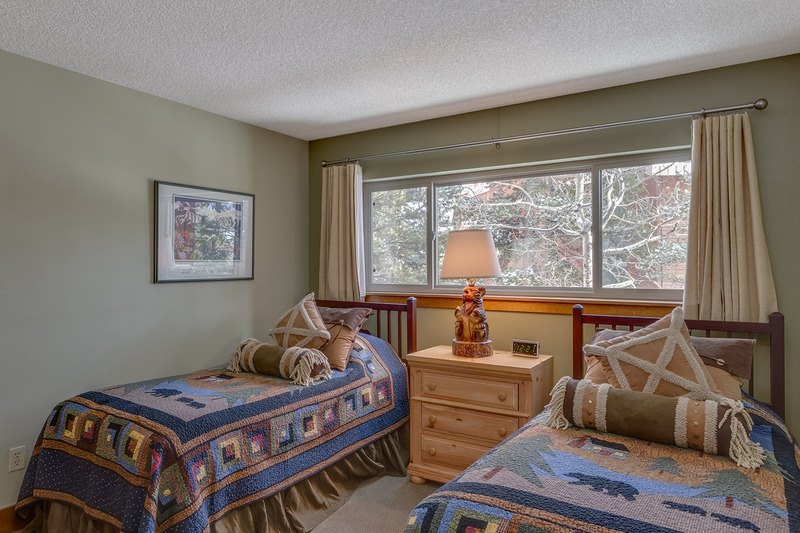 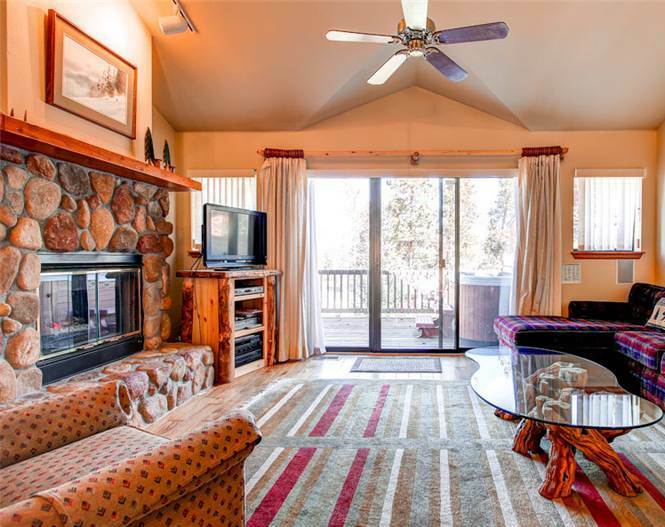 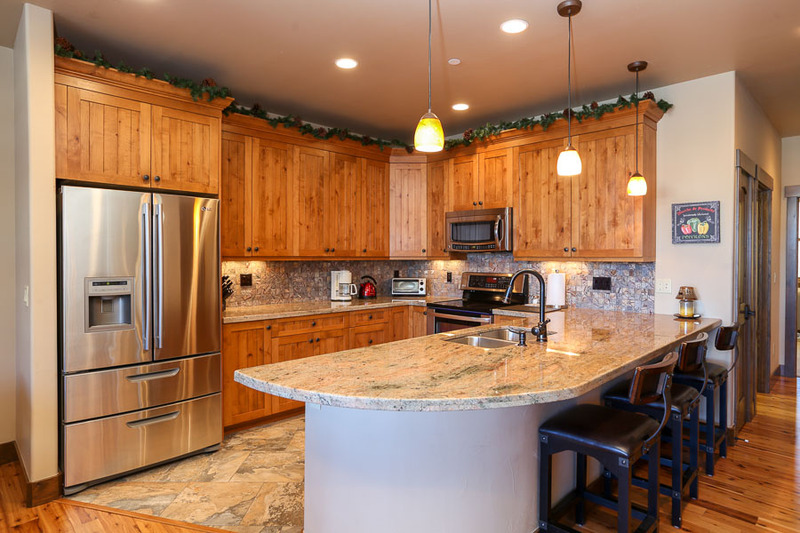 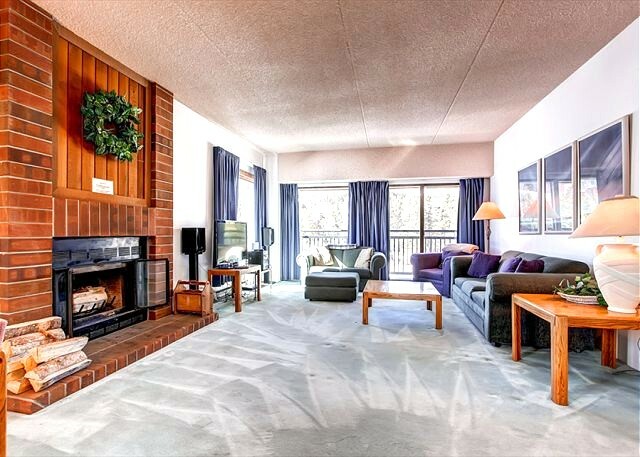 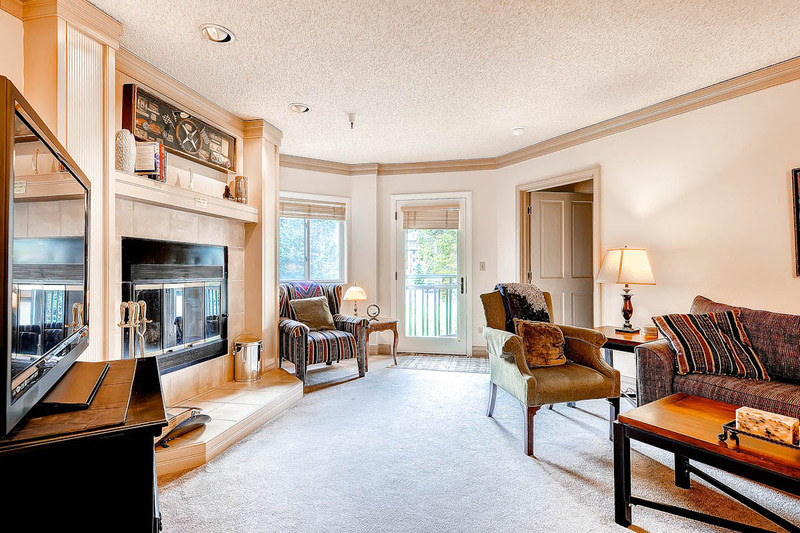 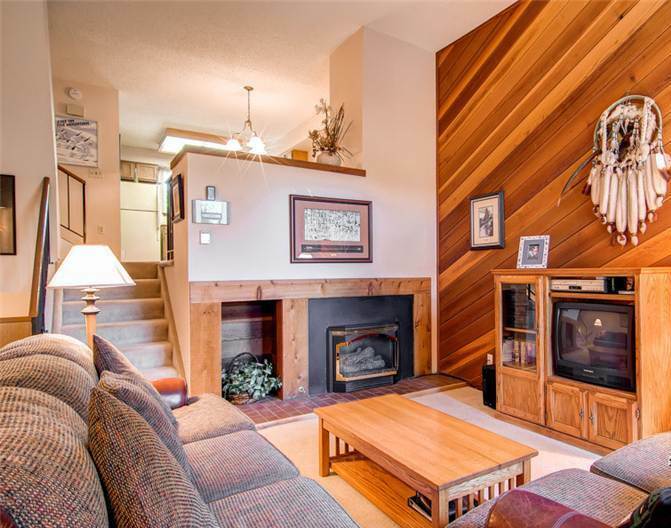 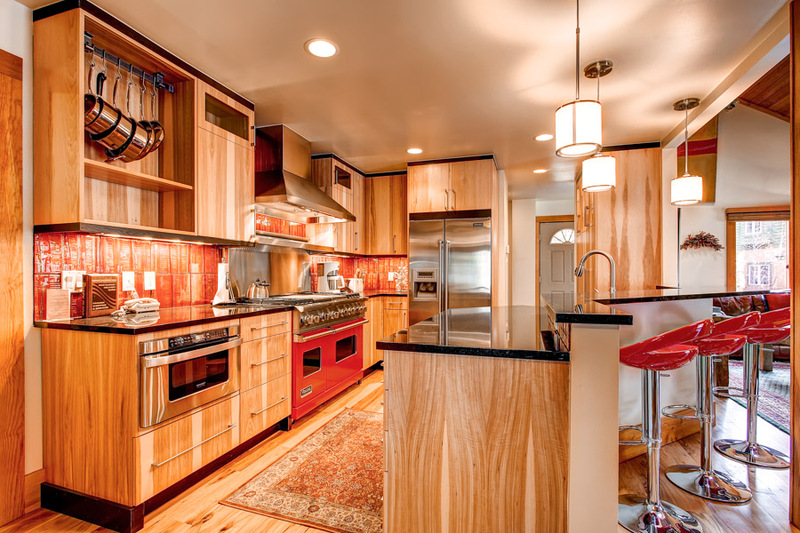 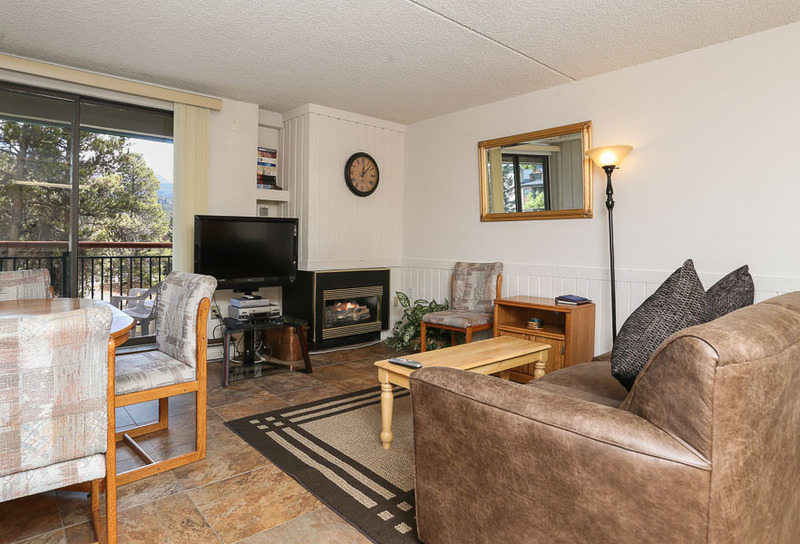 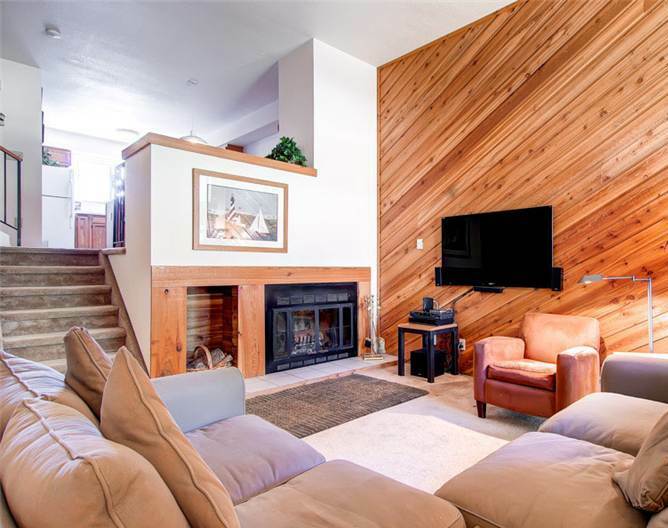 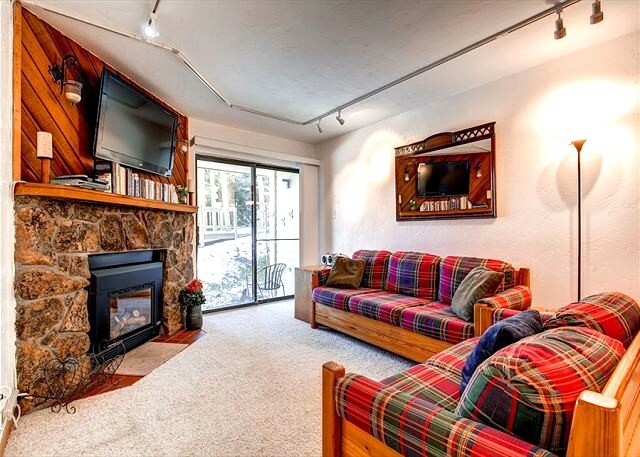 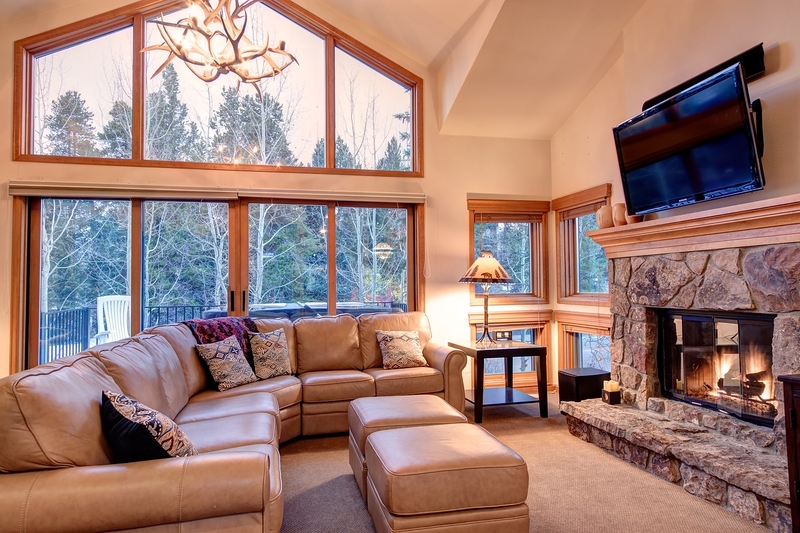 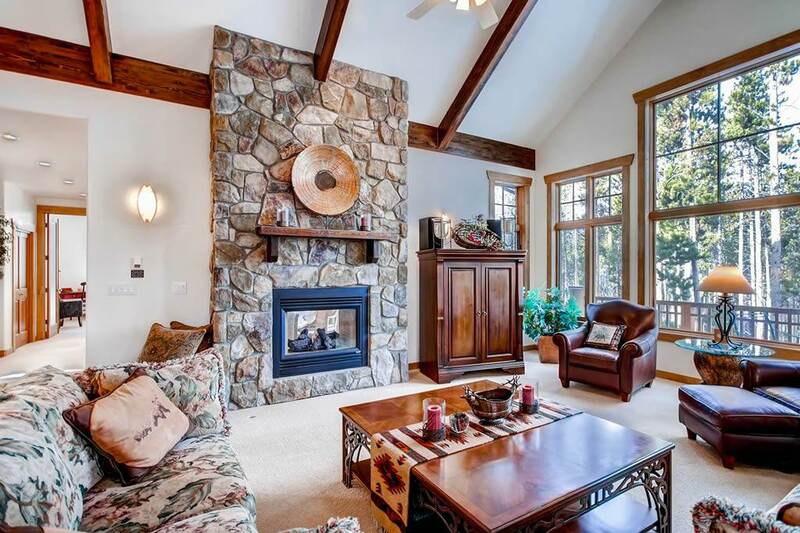 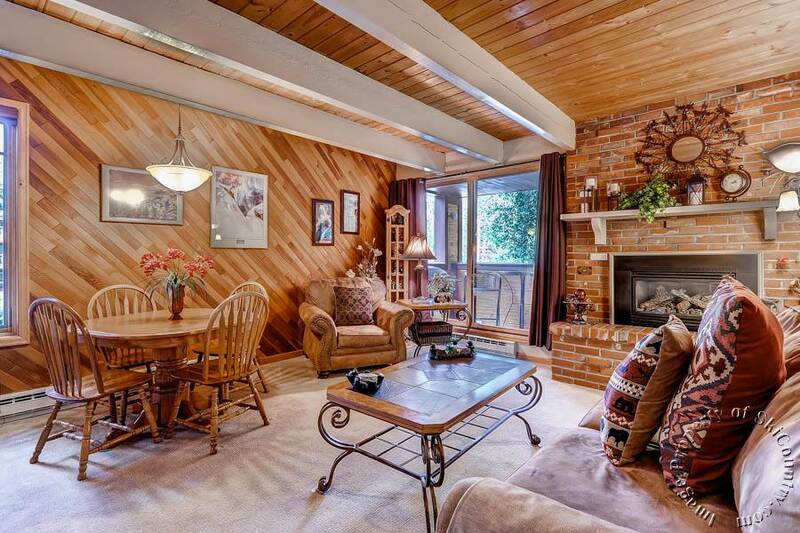 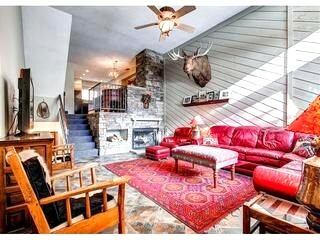 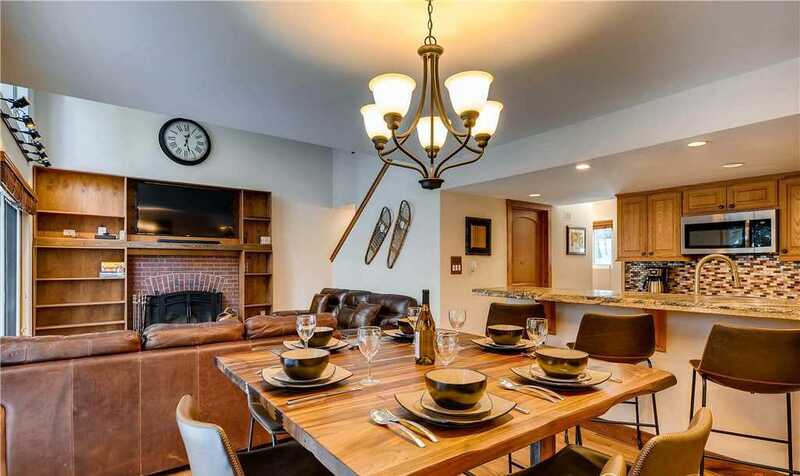 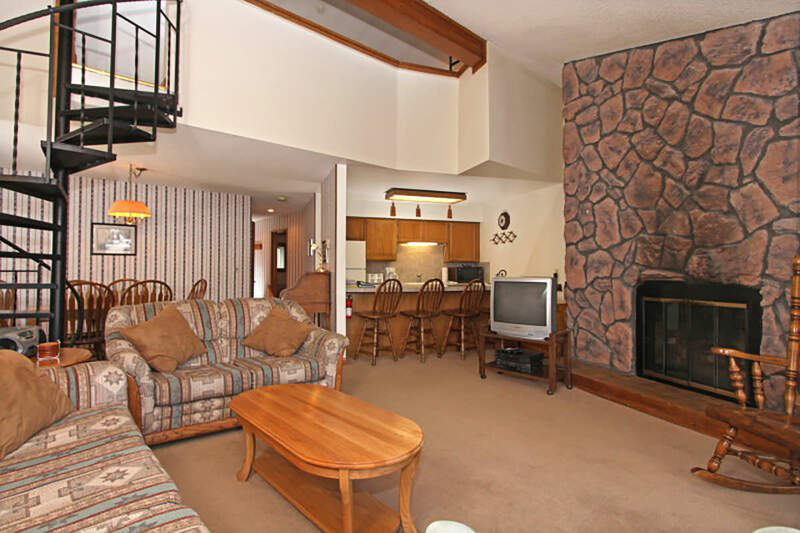 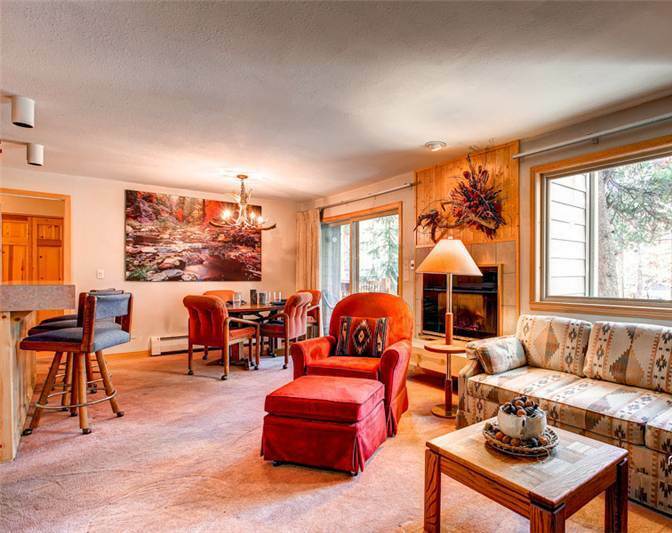 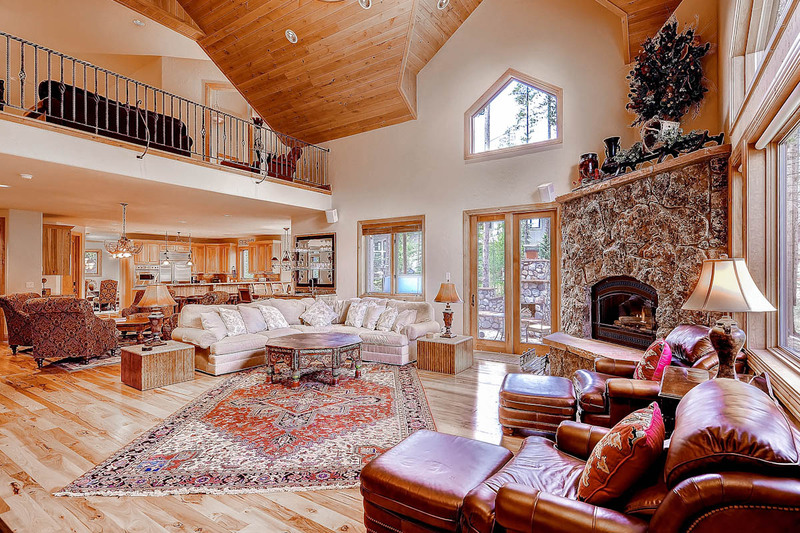 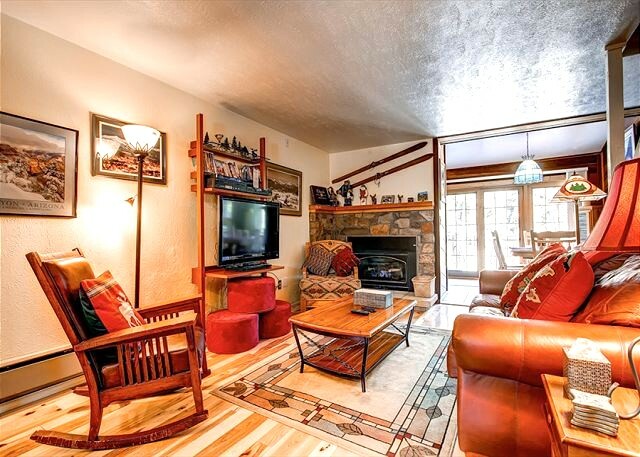 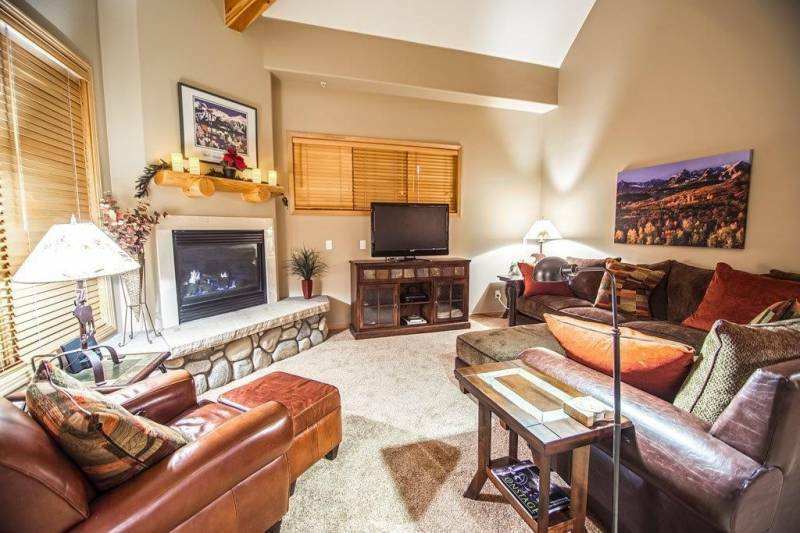 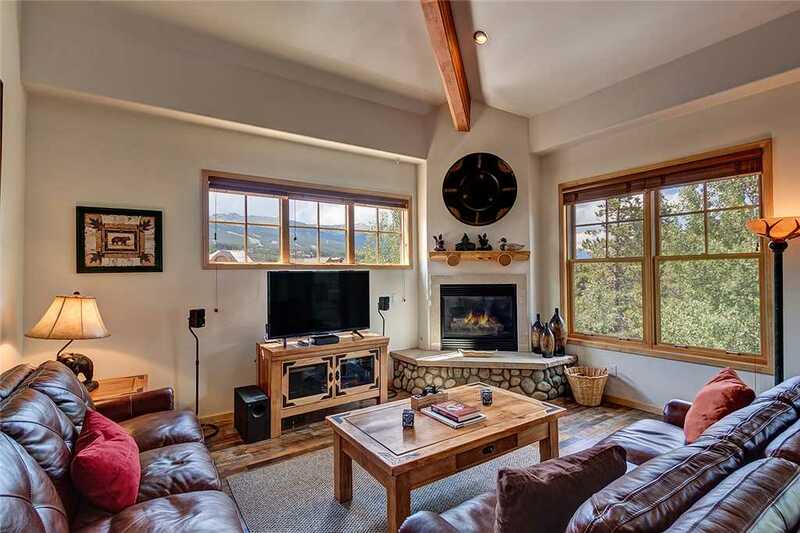 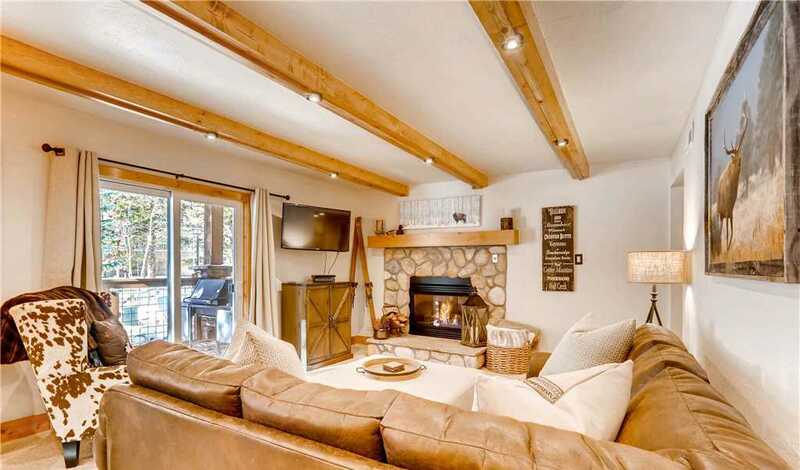 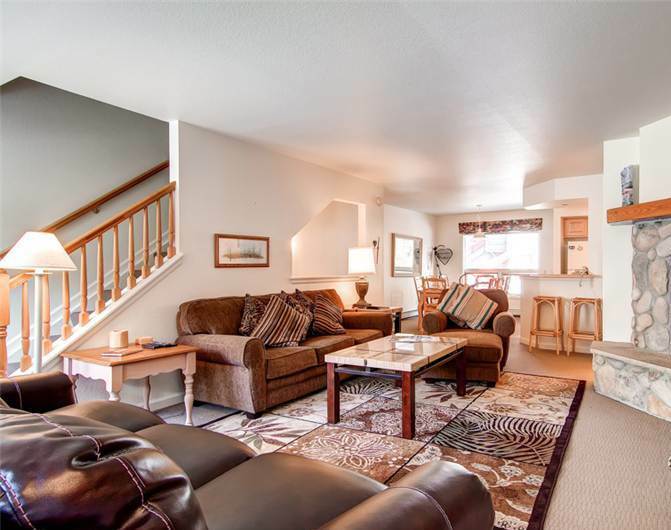 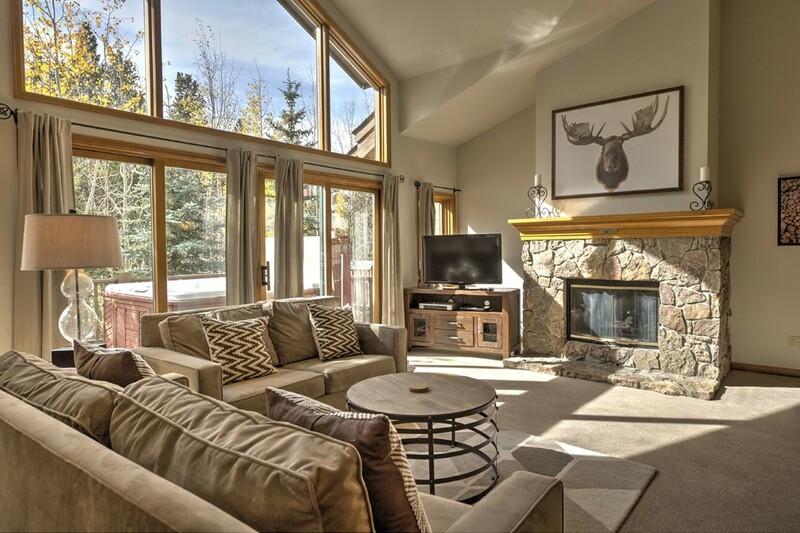 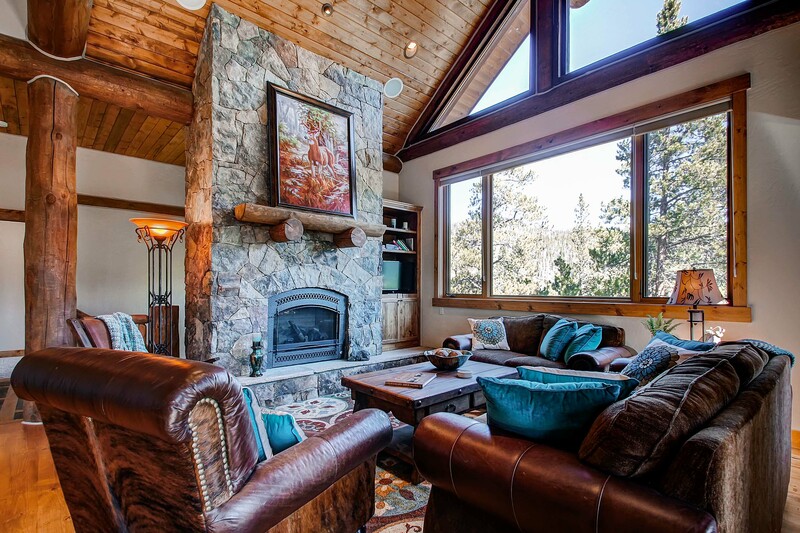 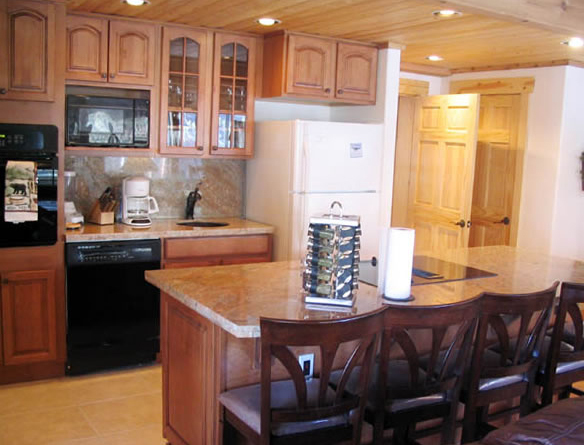 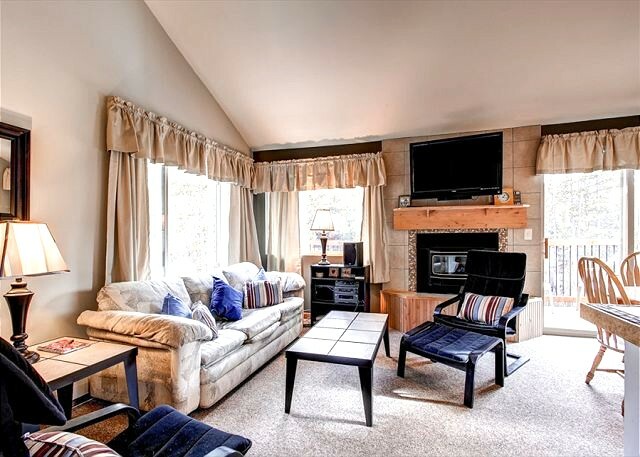 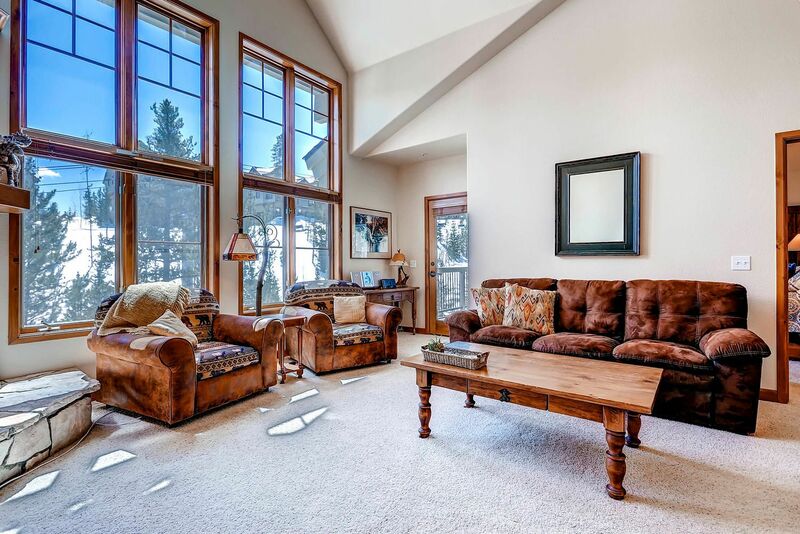 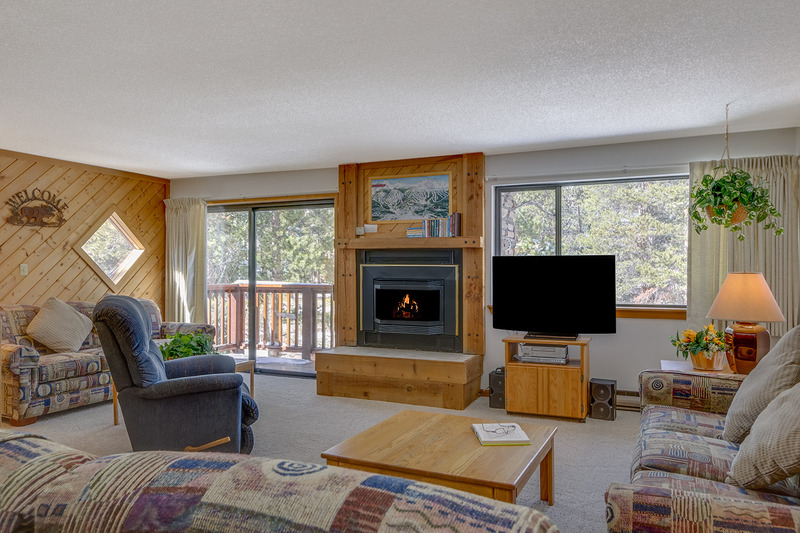 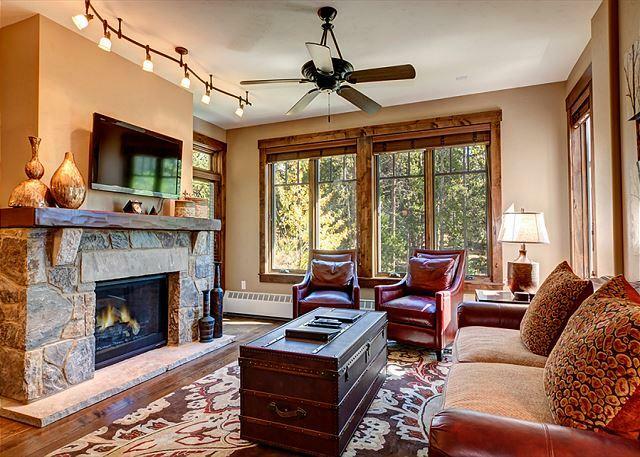 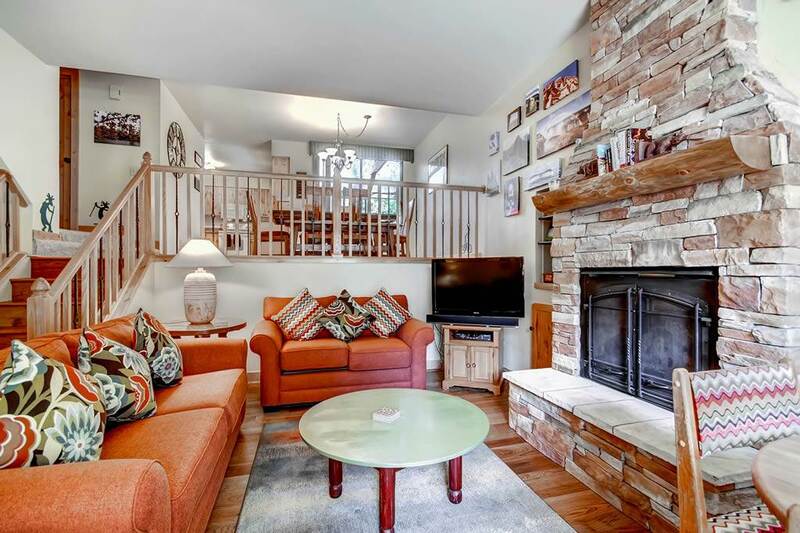 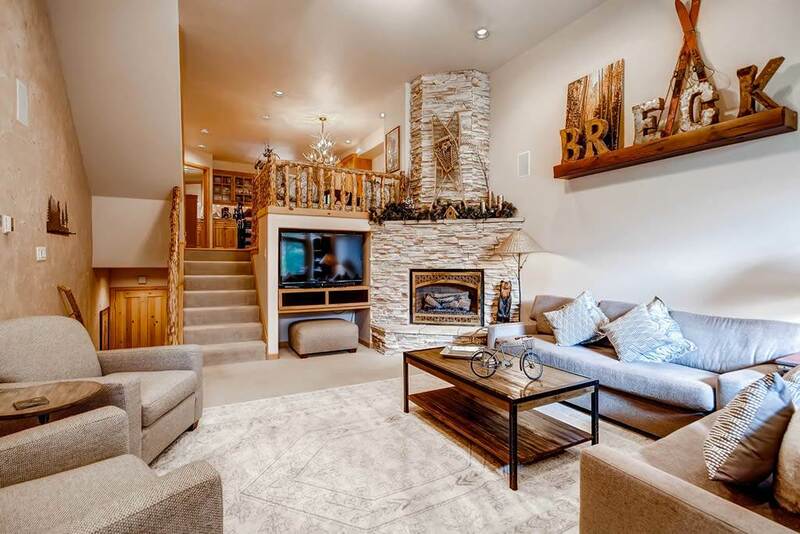 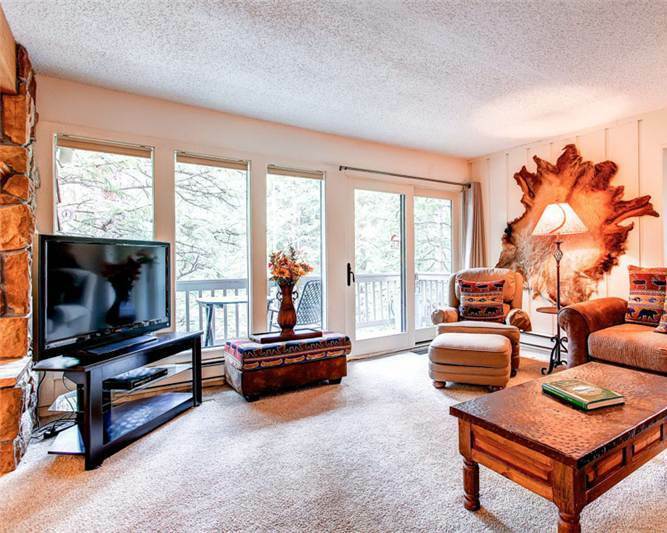 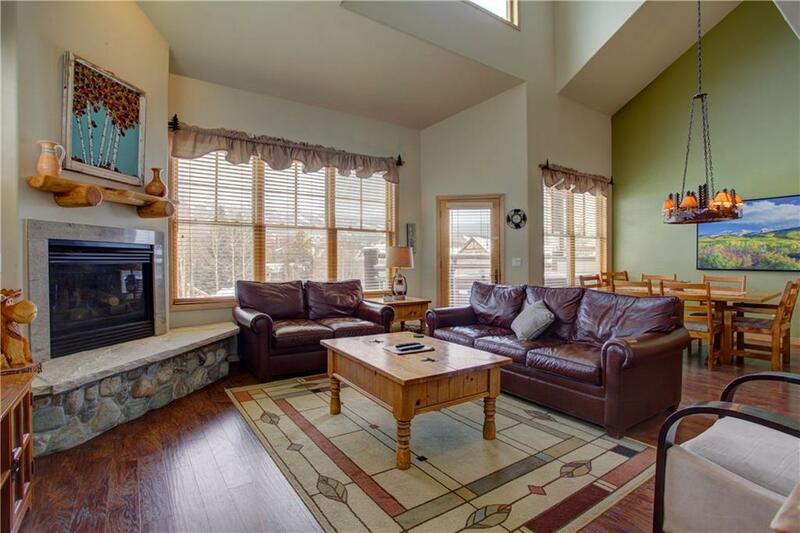 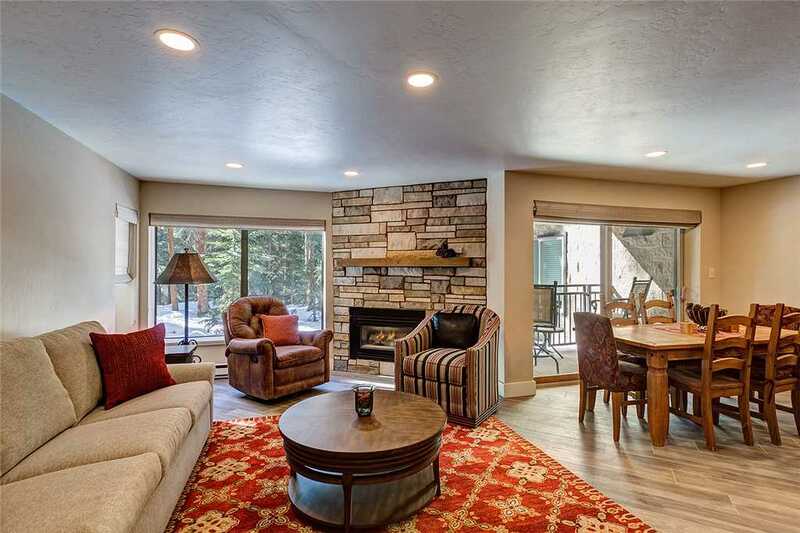 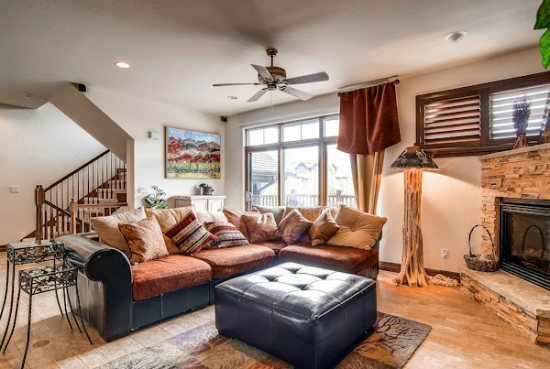 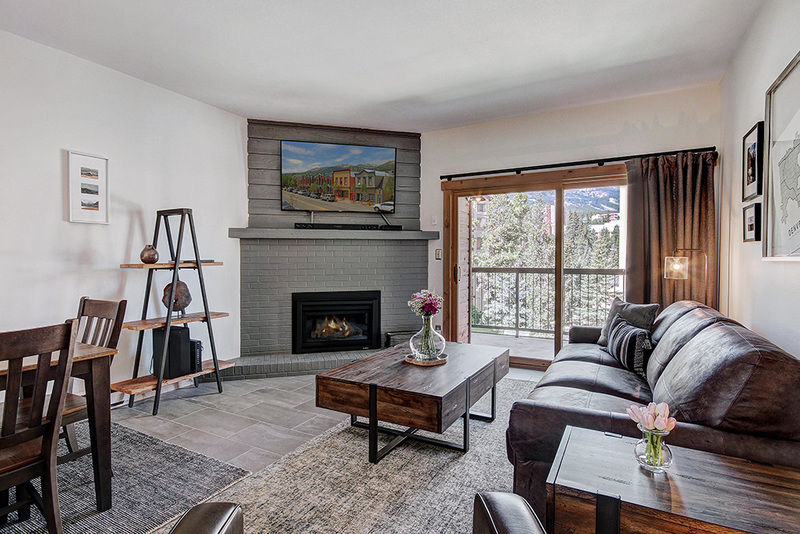 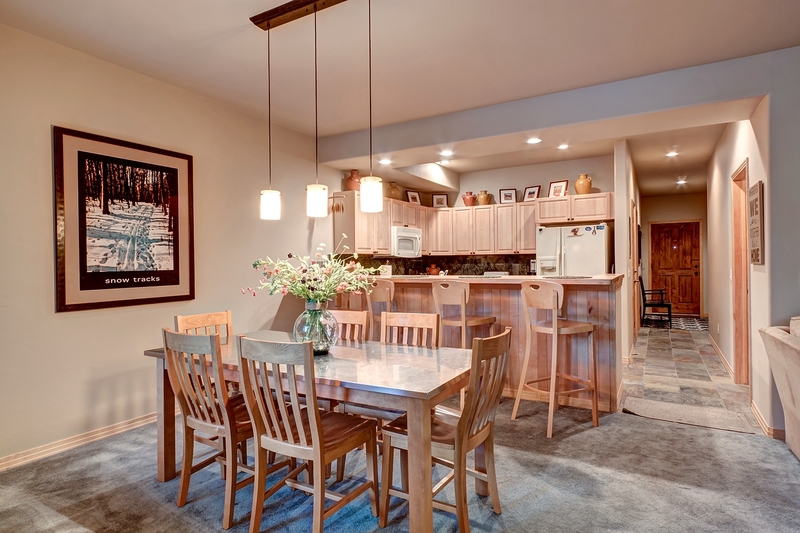 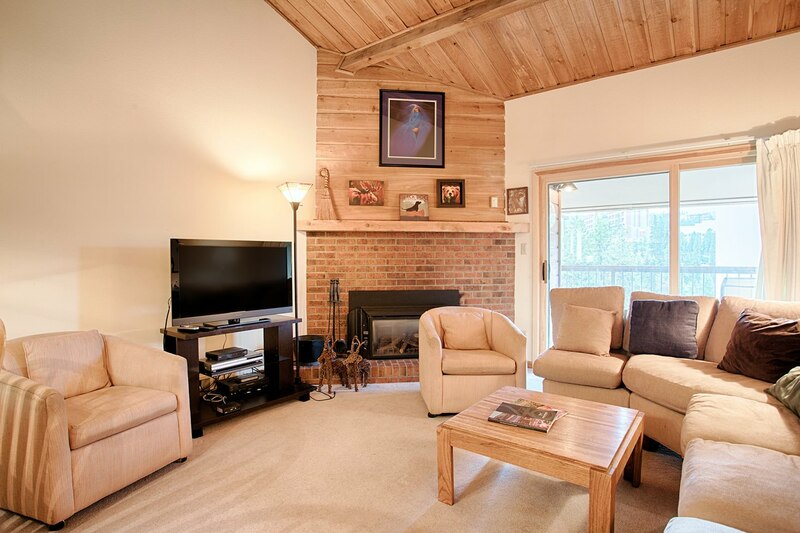 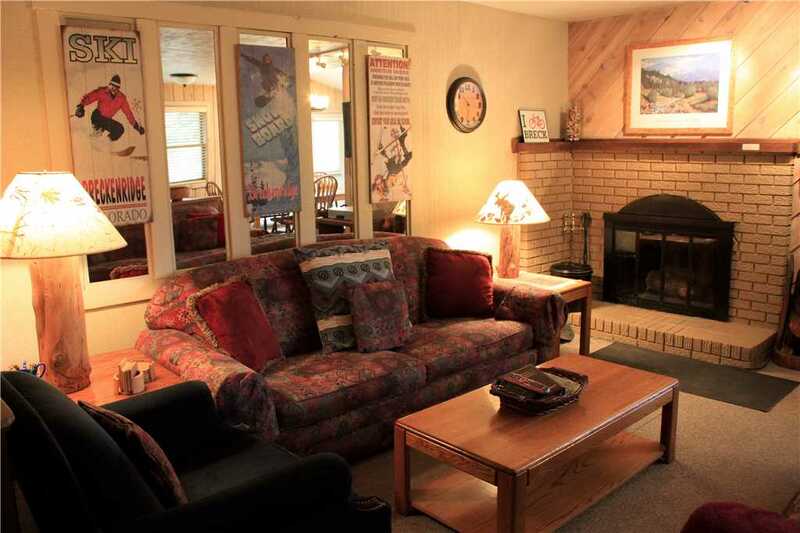 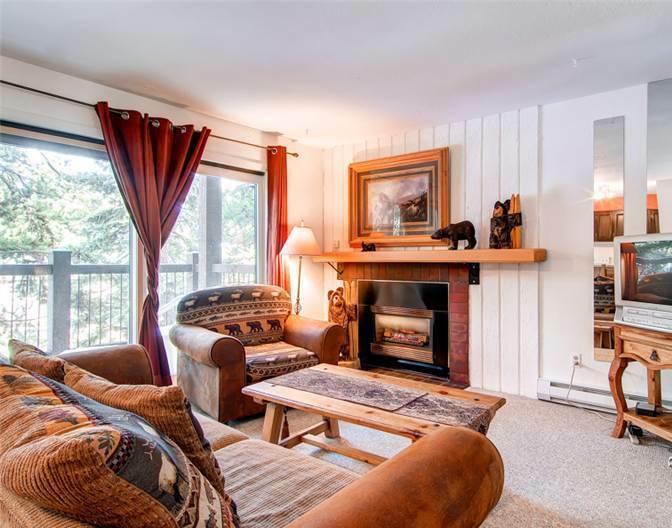 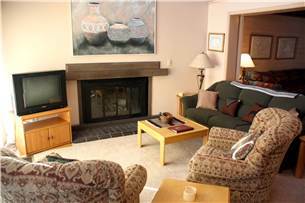 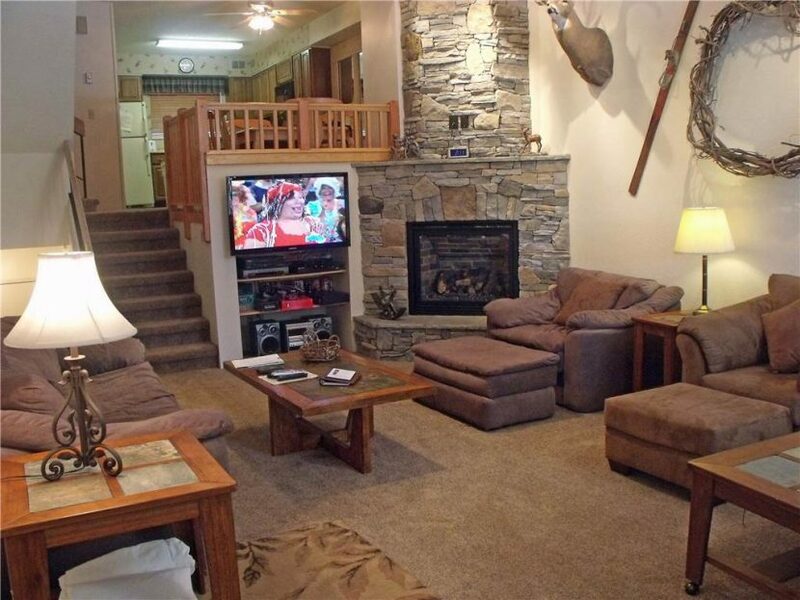 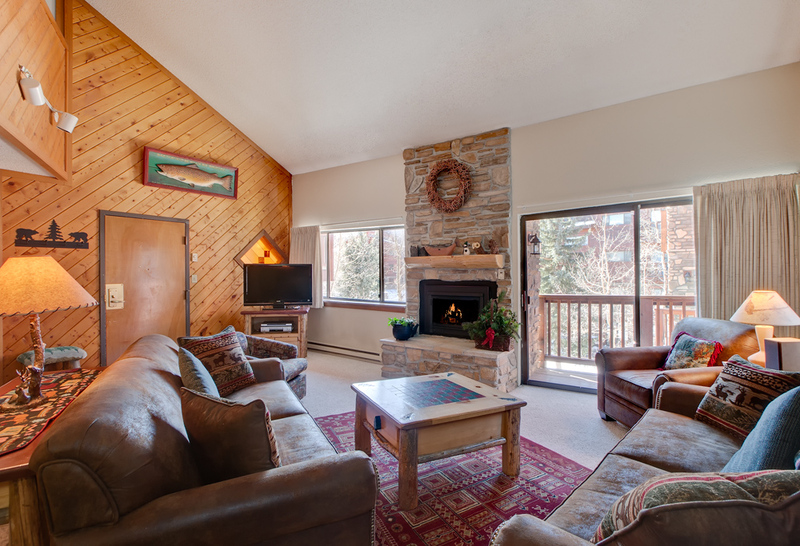 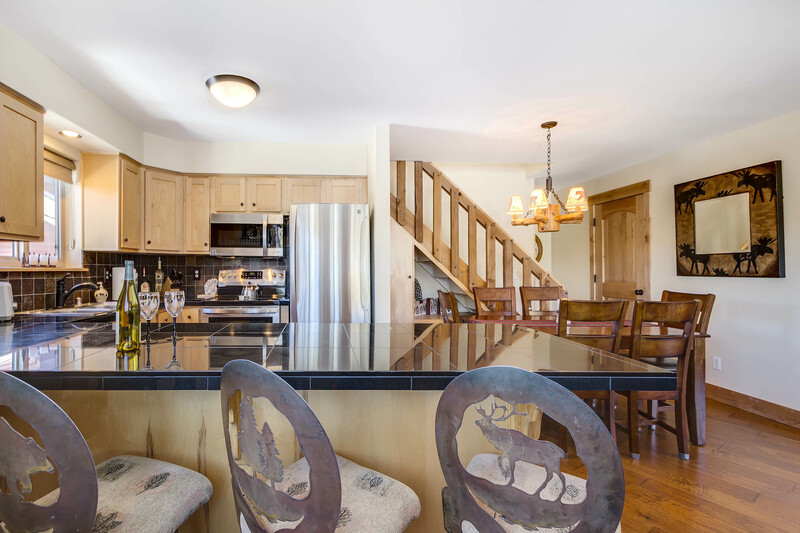 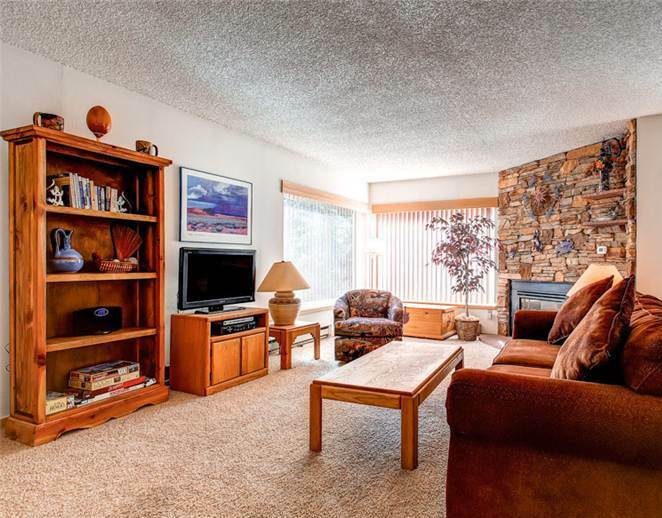 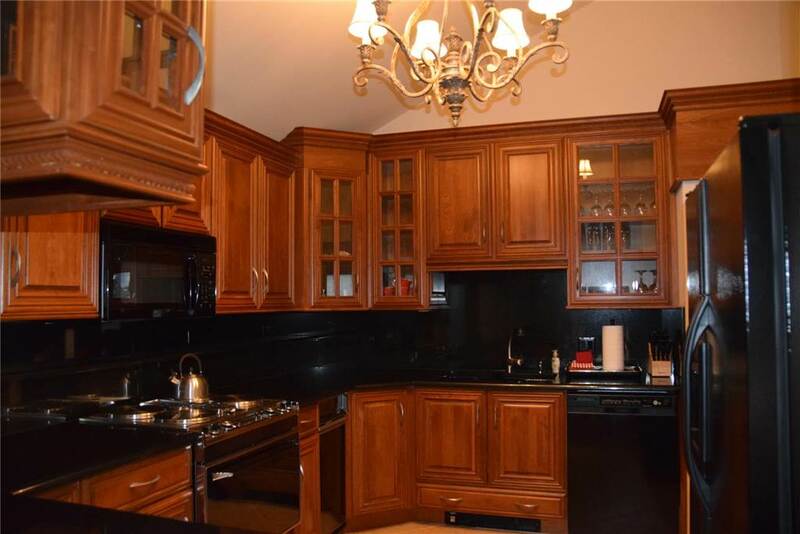 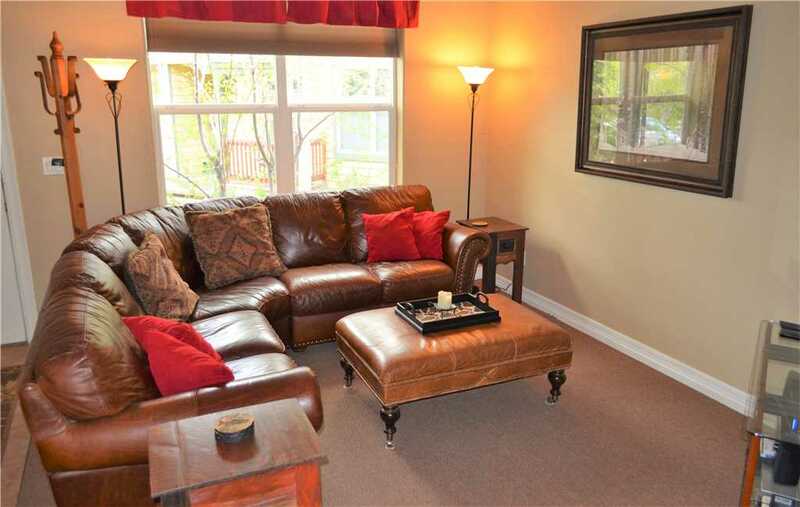 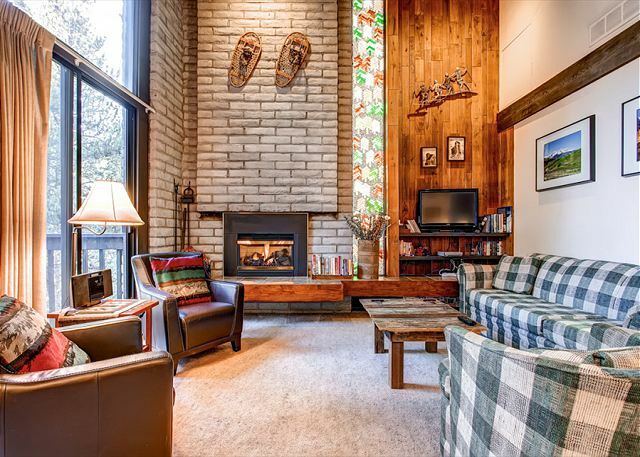 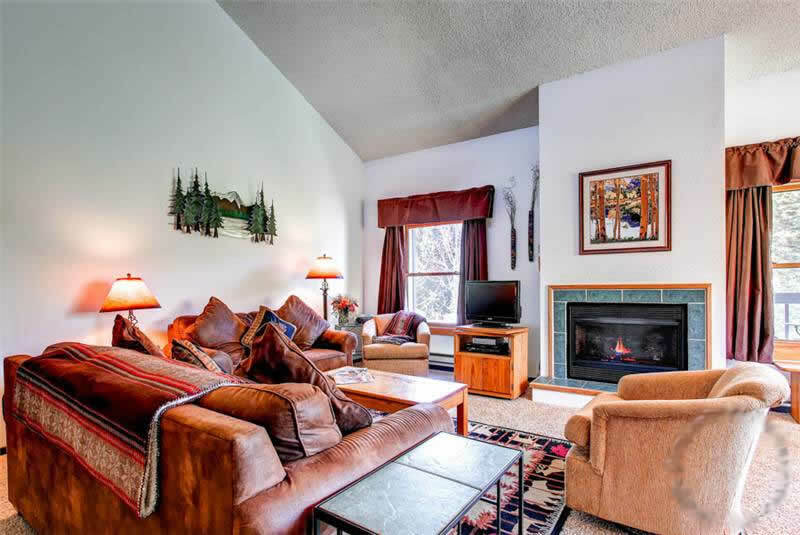 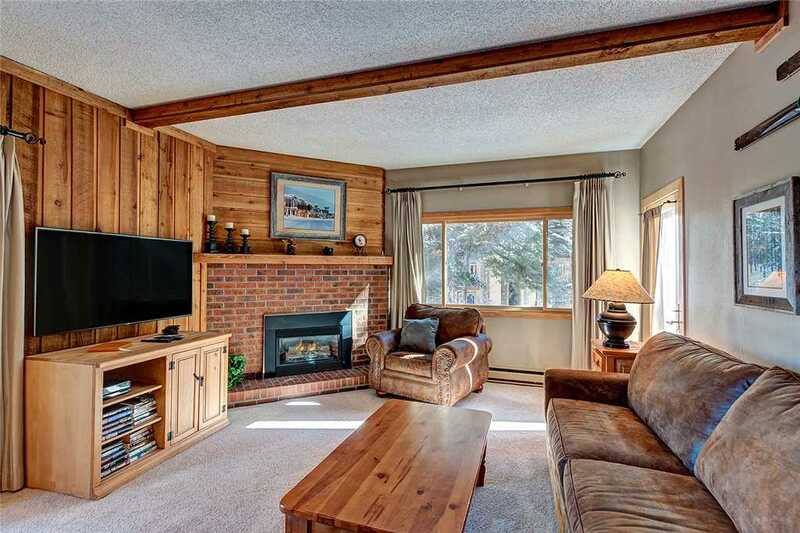 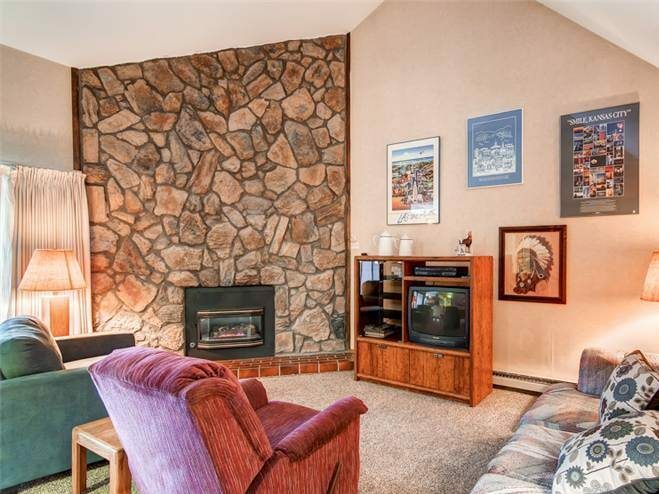 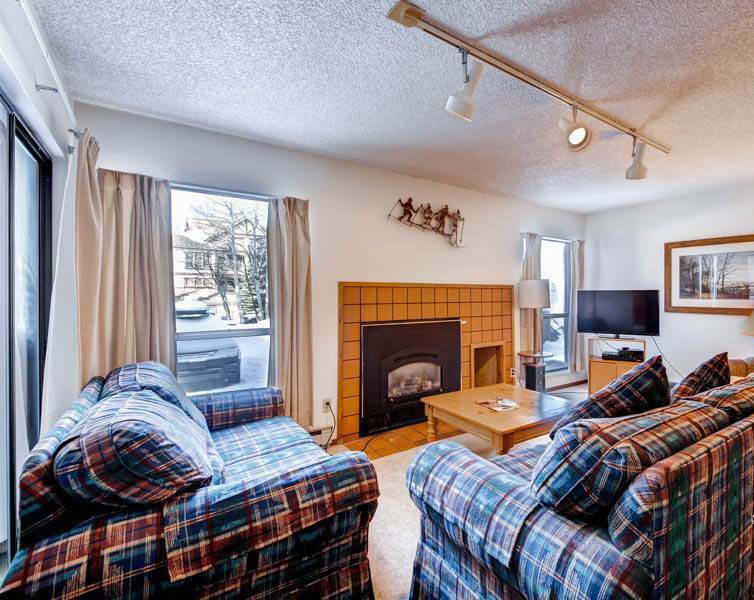 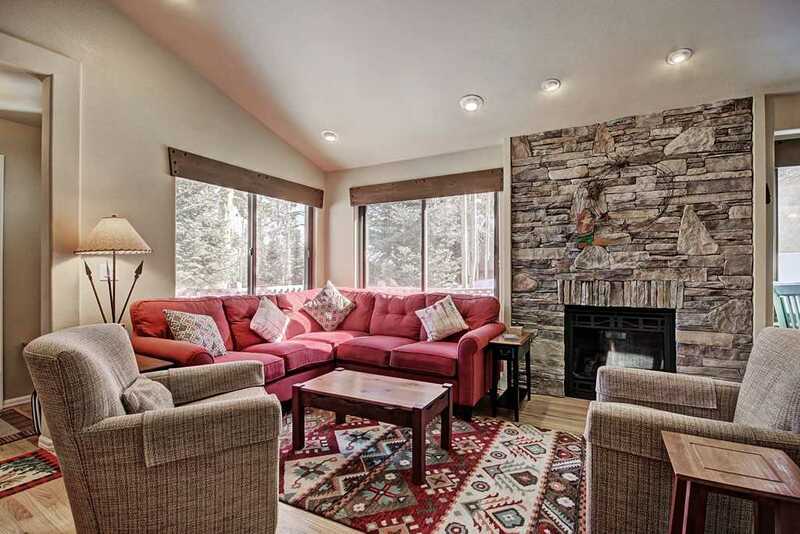 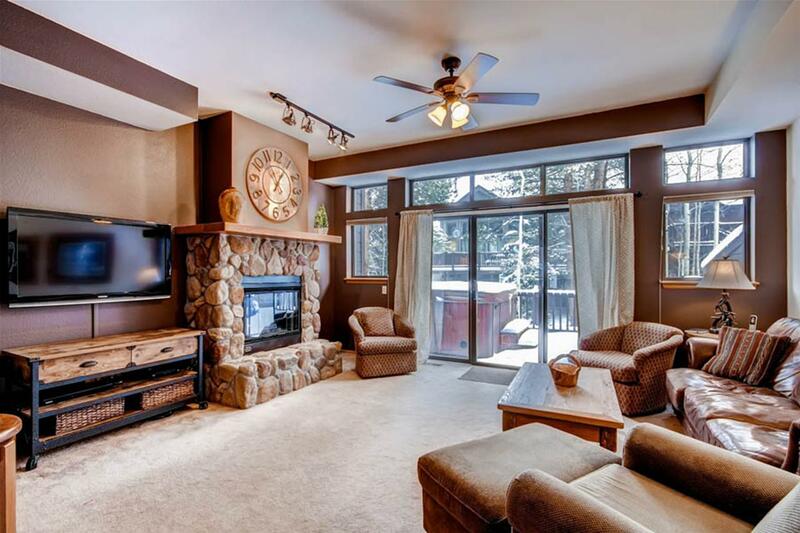 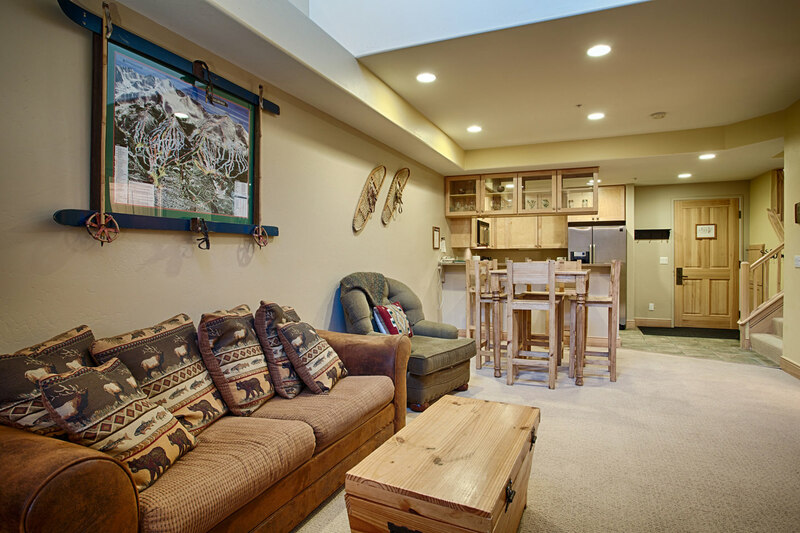 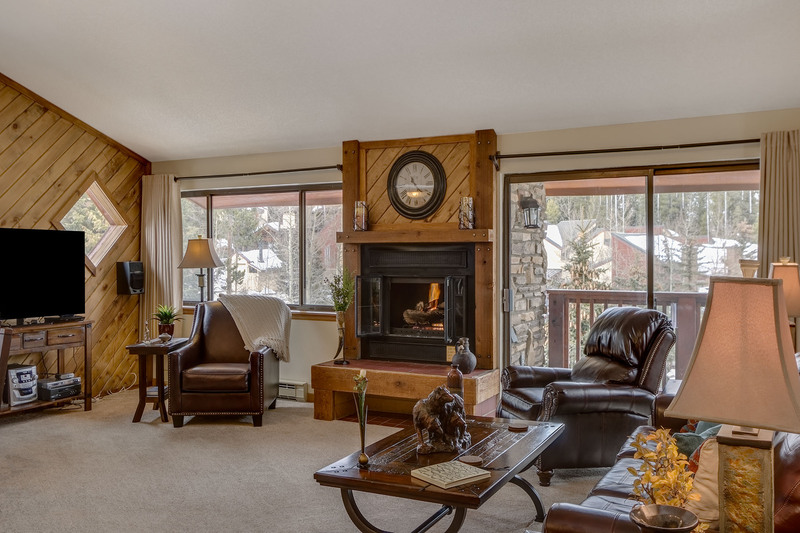 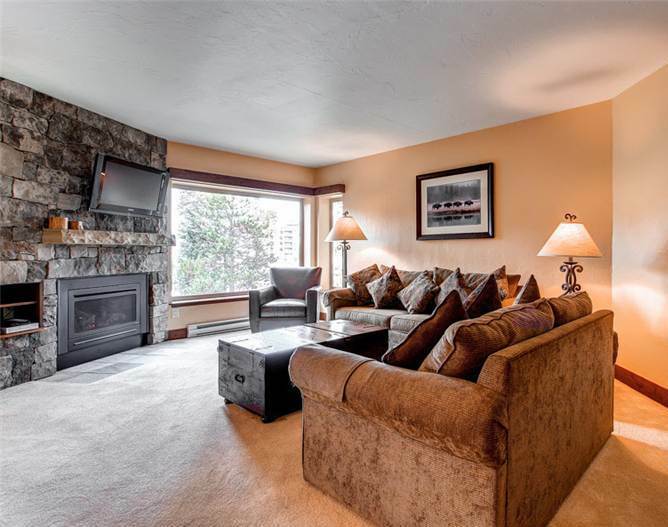 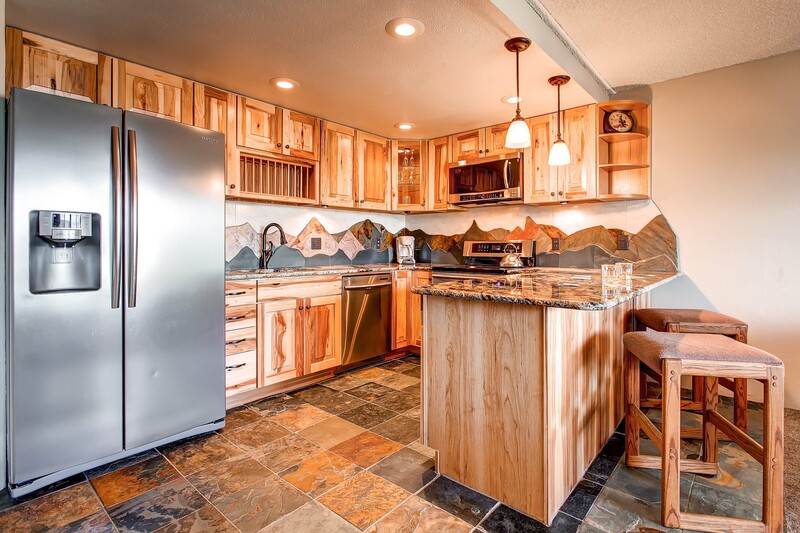 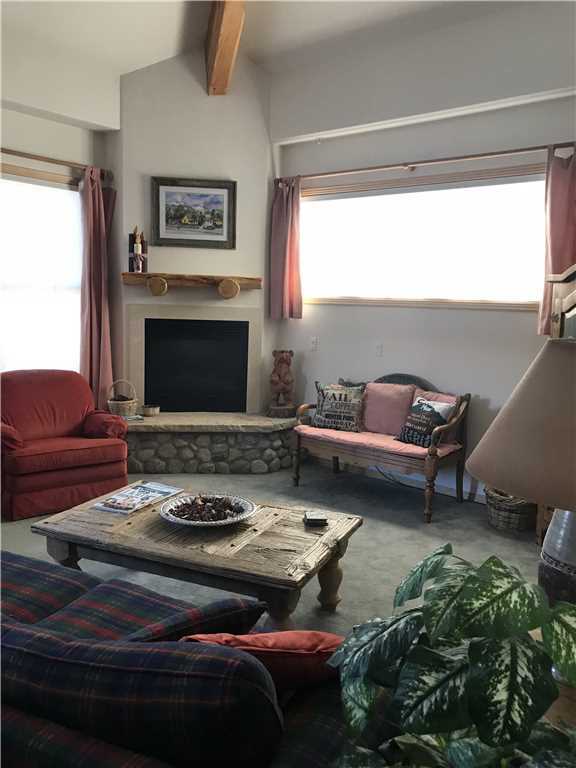 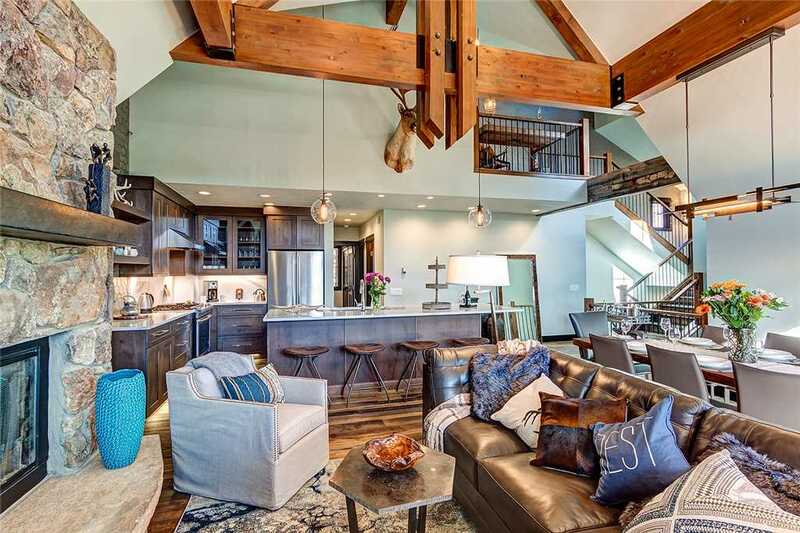 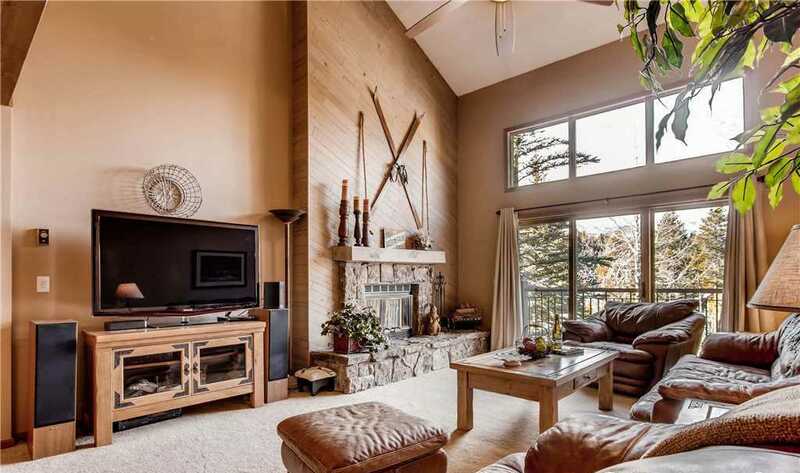 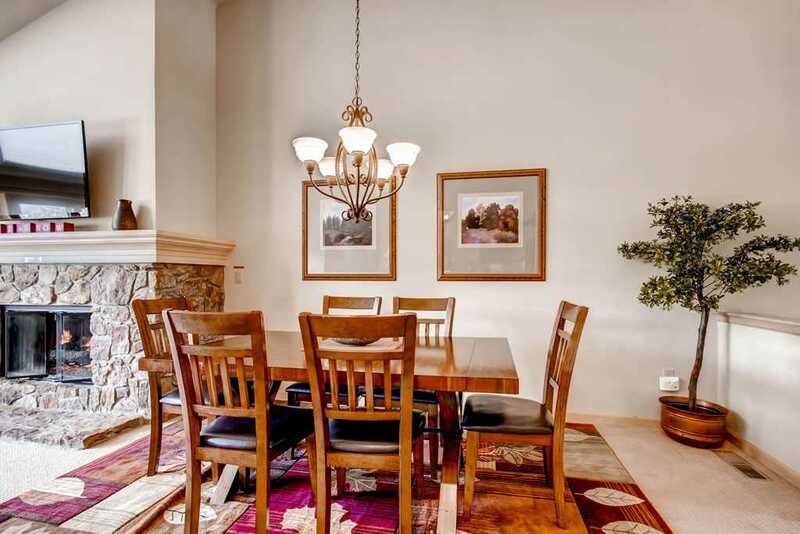 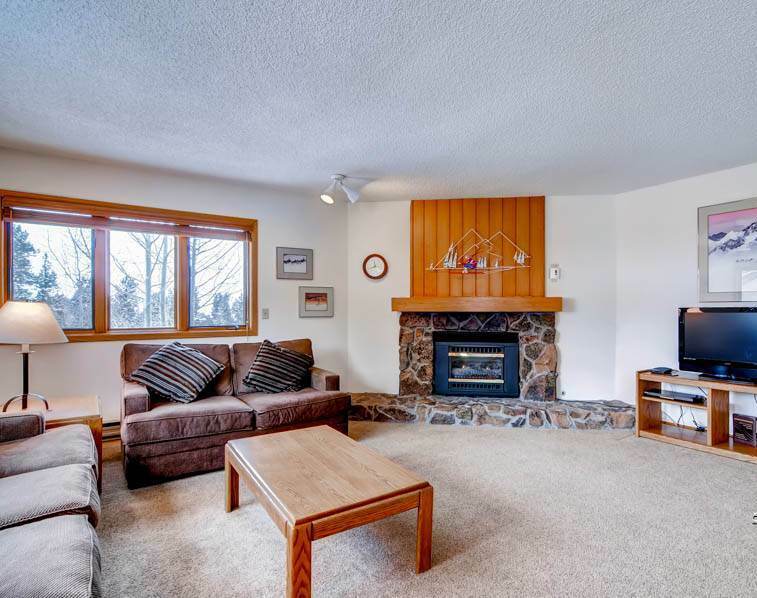 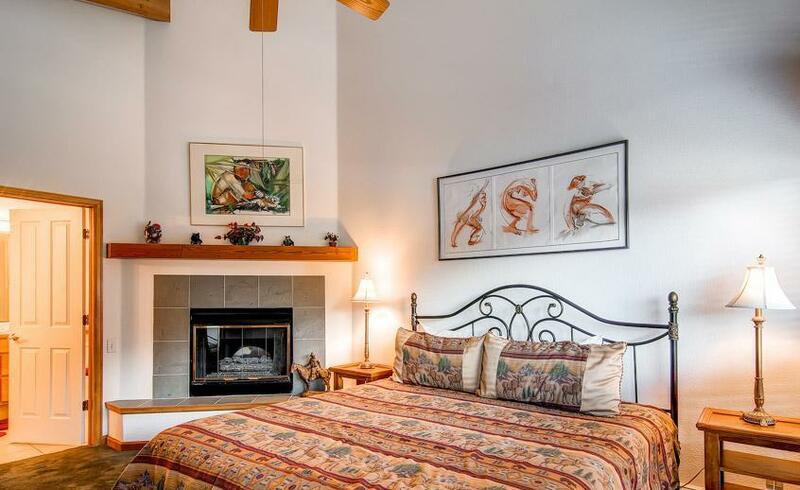 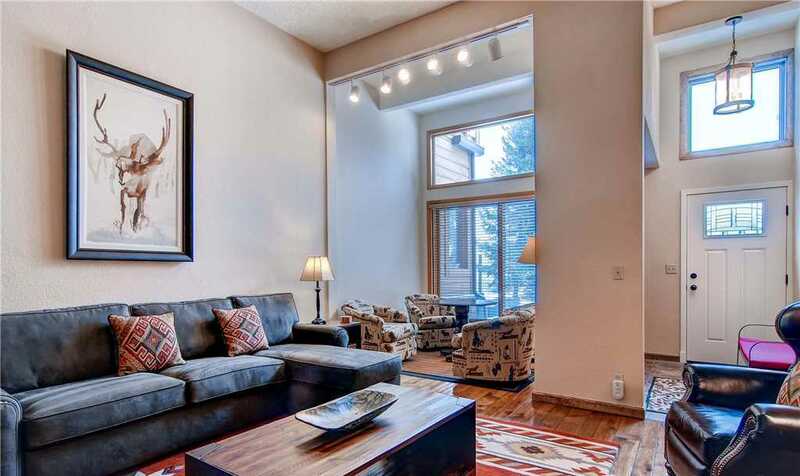 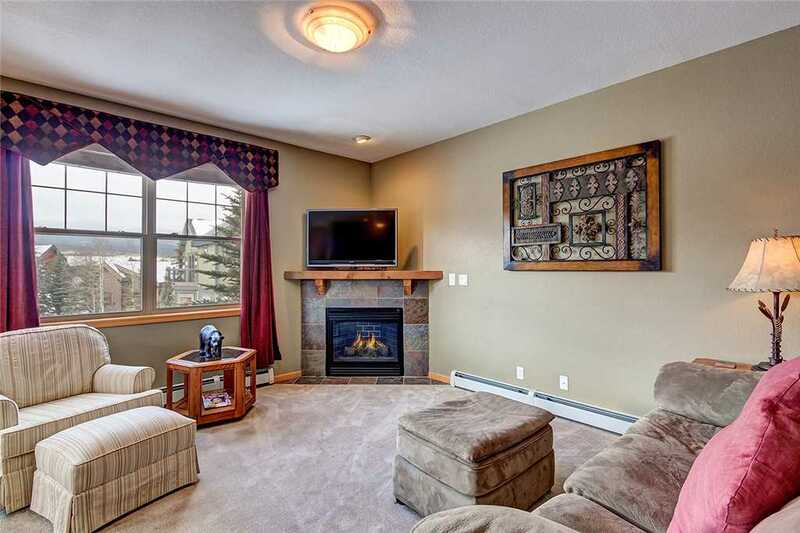 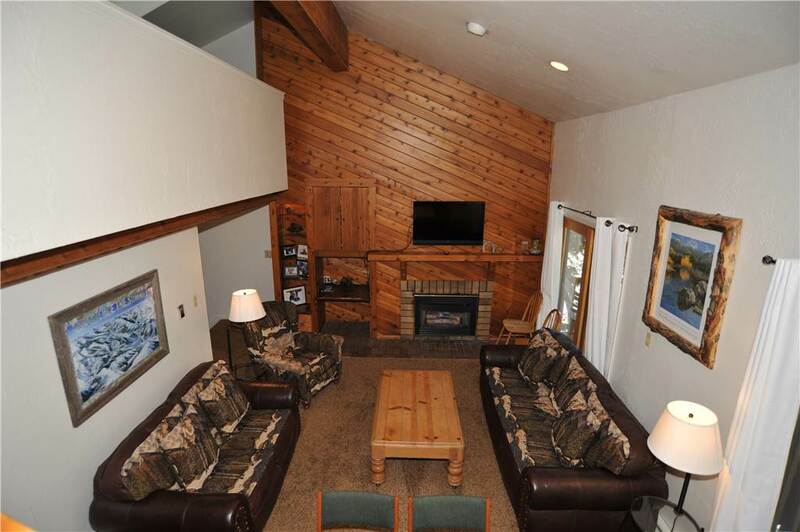 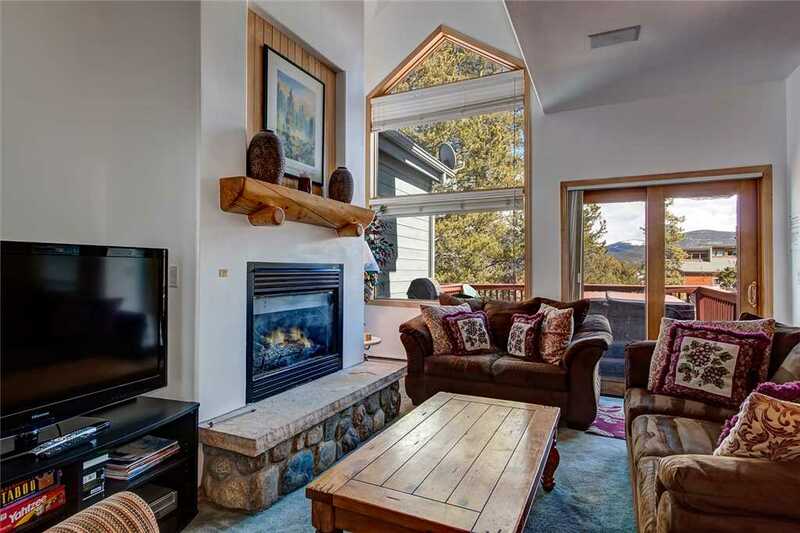 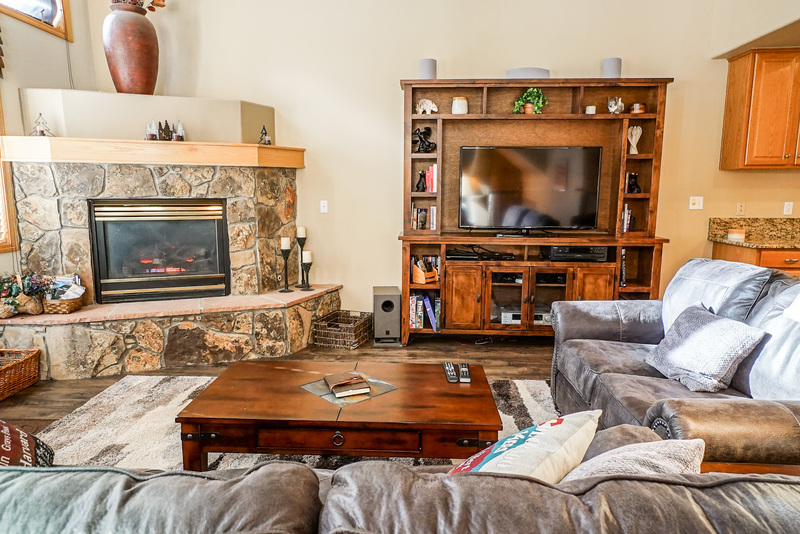 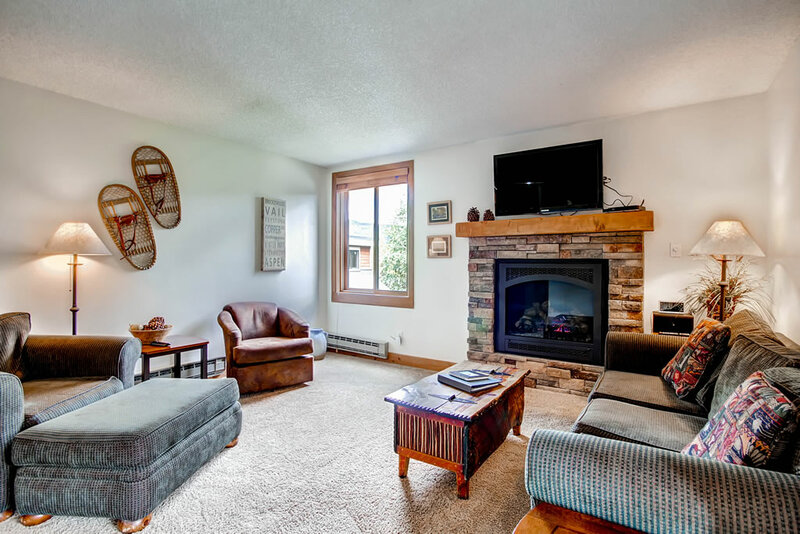 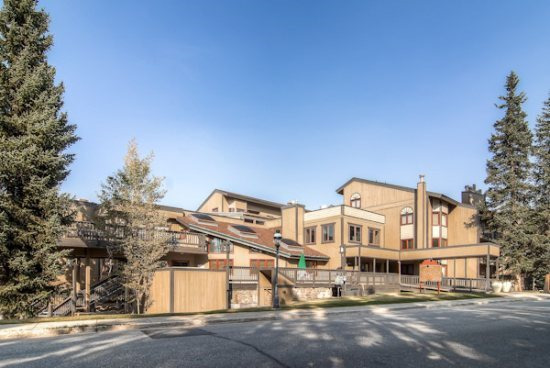 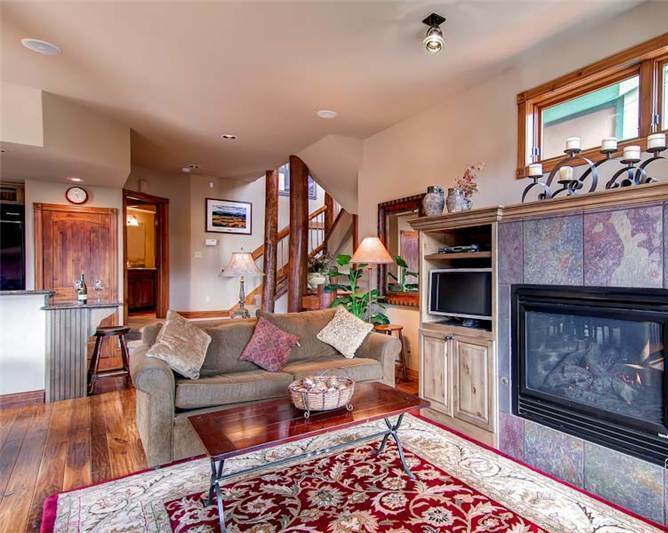 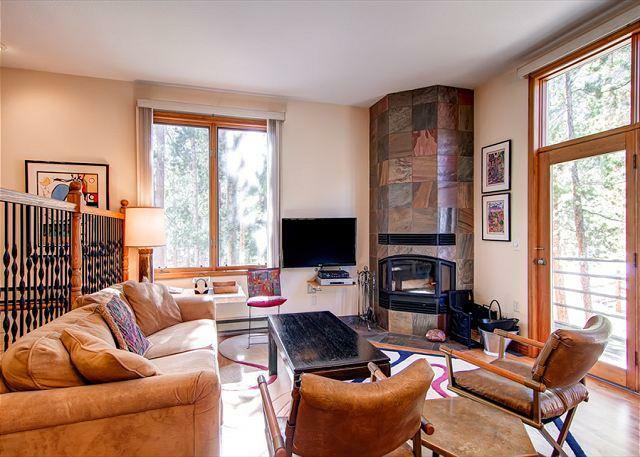 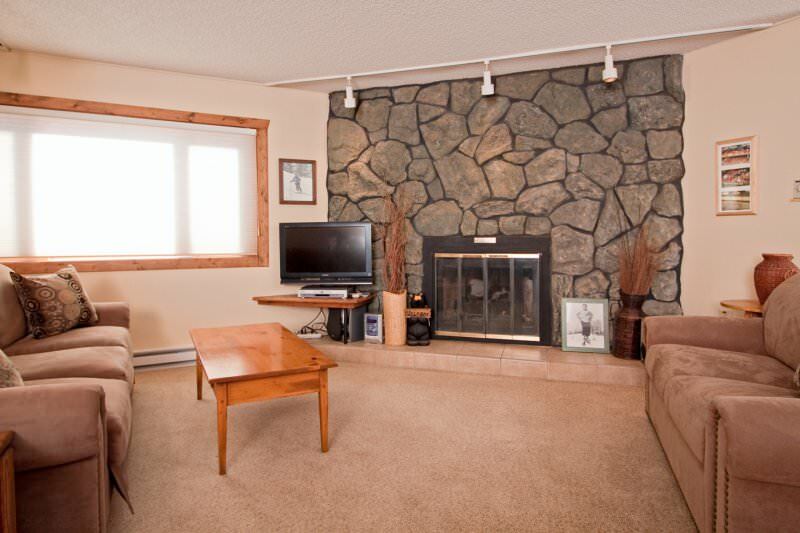 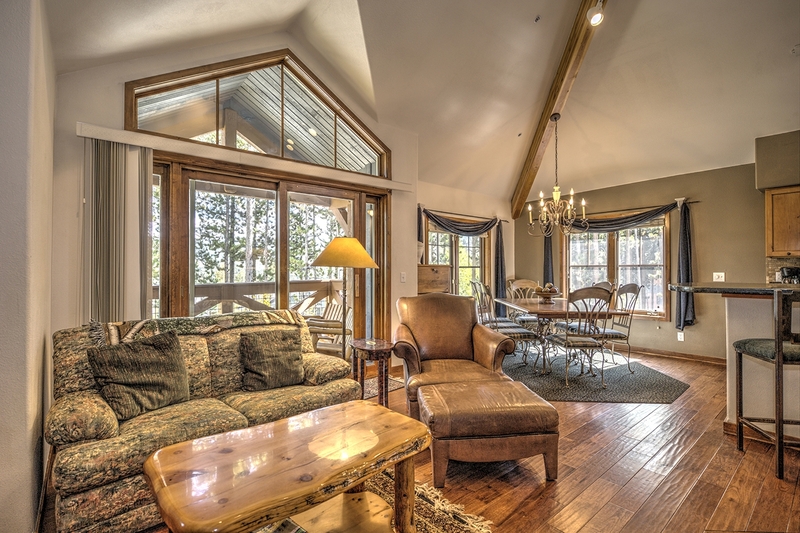 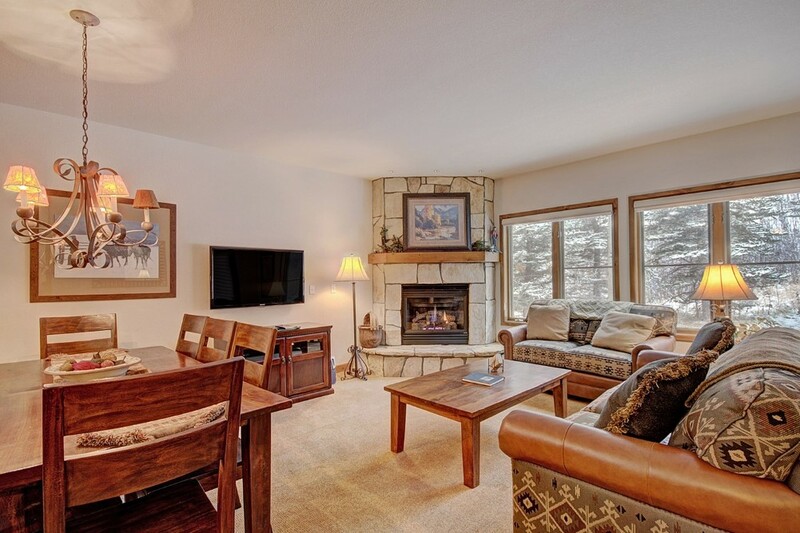 Underground heated garage parking, a fitness room, shared gas grills, private ski storage and elevator access add to the ease of this appealing ski-in/ski-out complex. 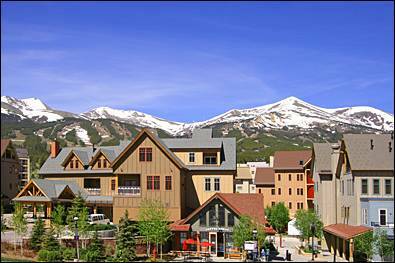 Town and ski area bus stops are also located right at the base of the chairlift.